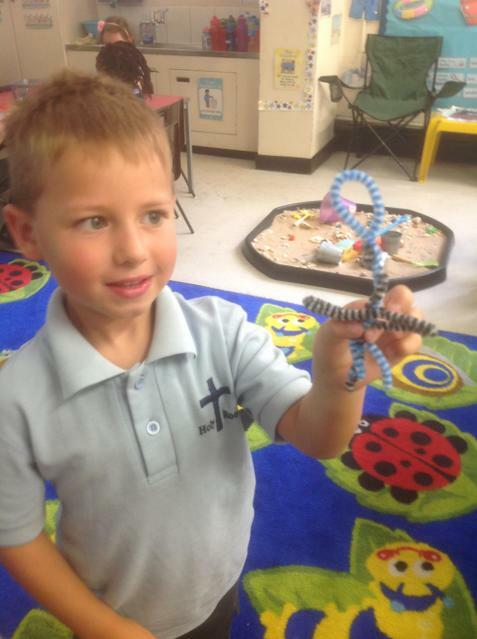 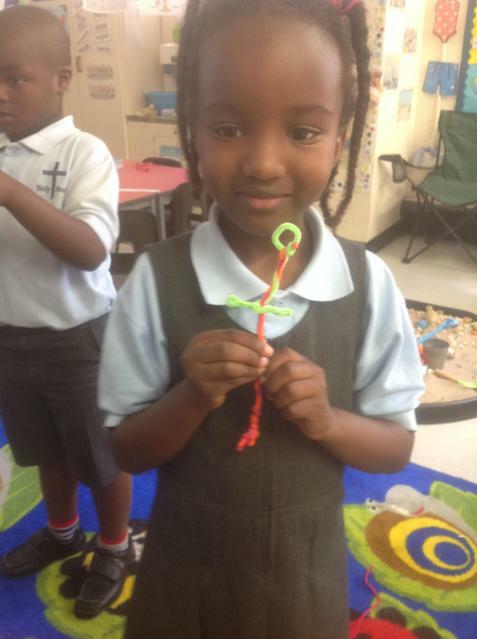 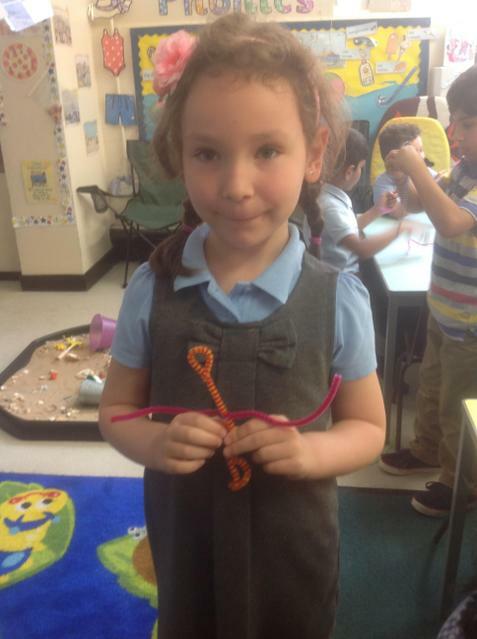 We have sculpted humans out of pipe cleaners. 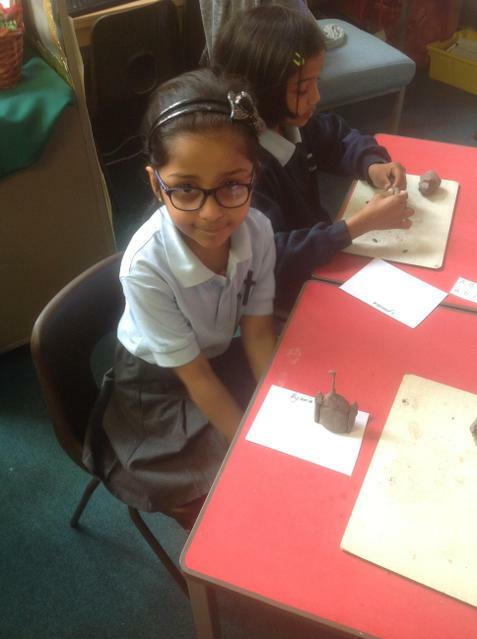 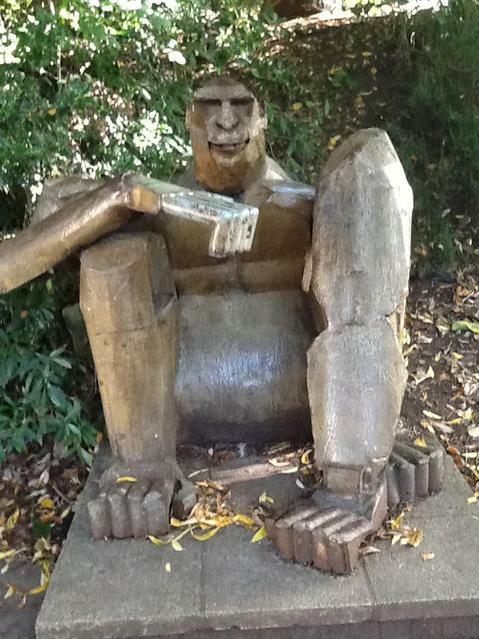 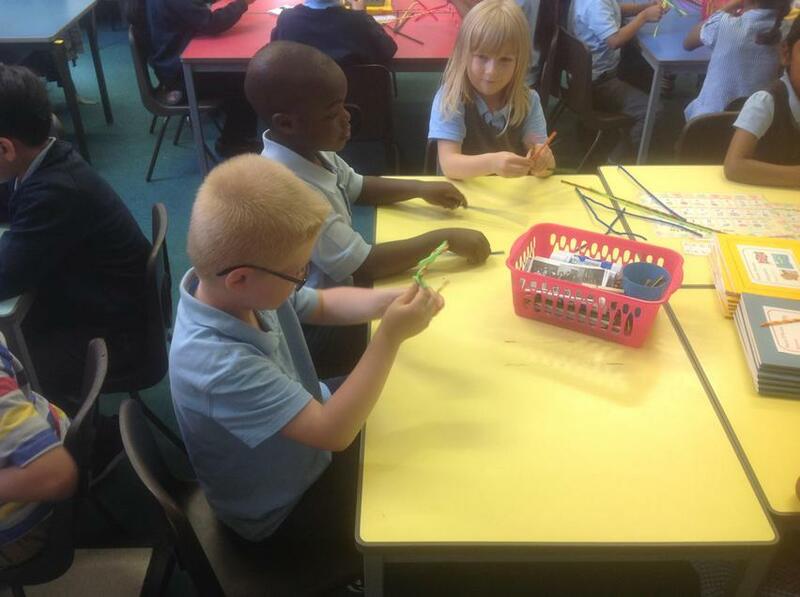 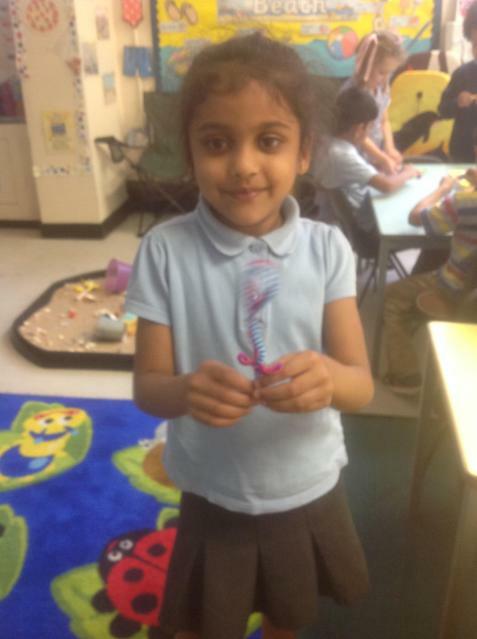 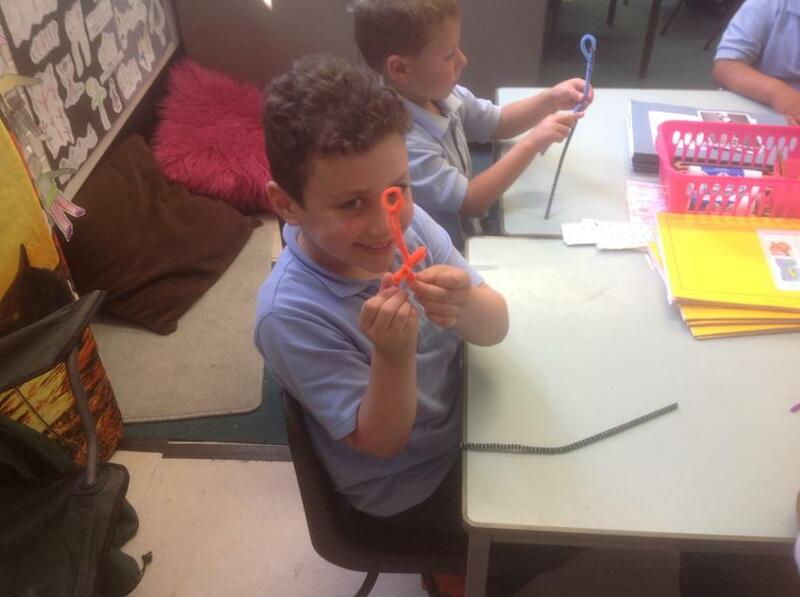 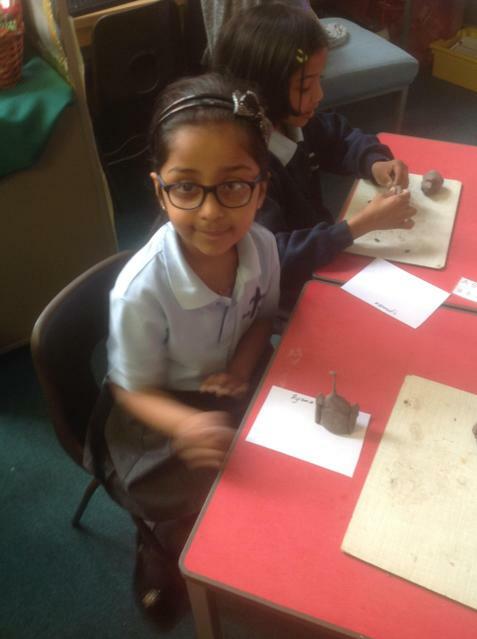 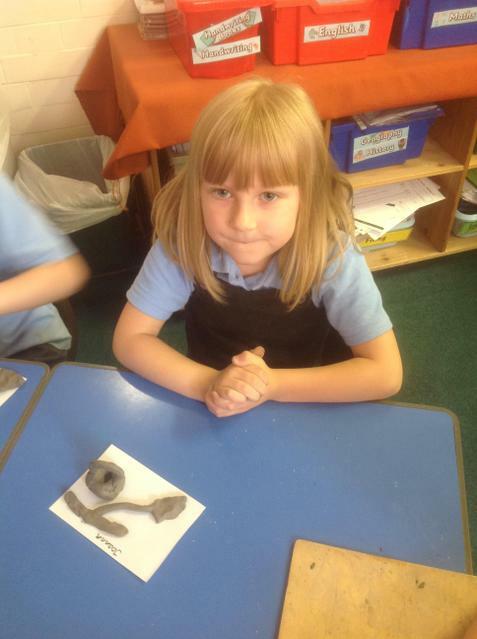 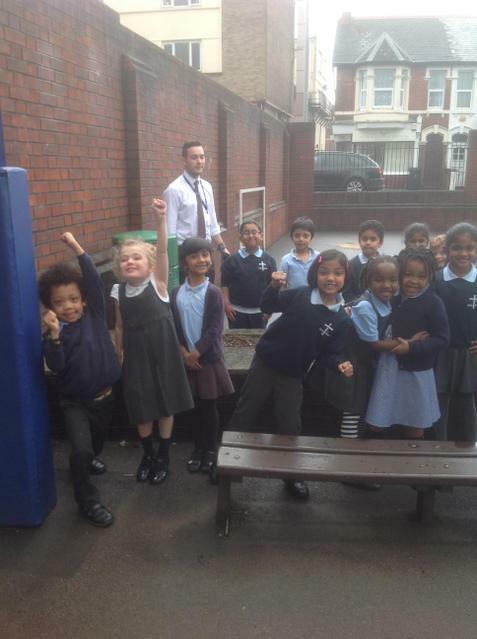 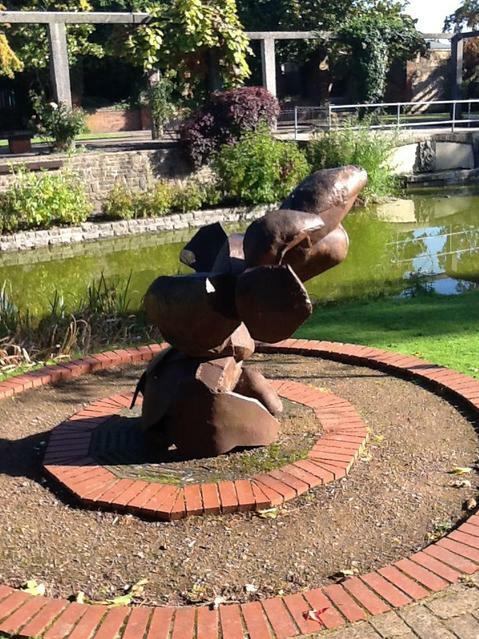 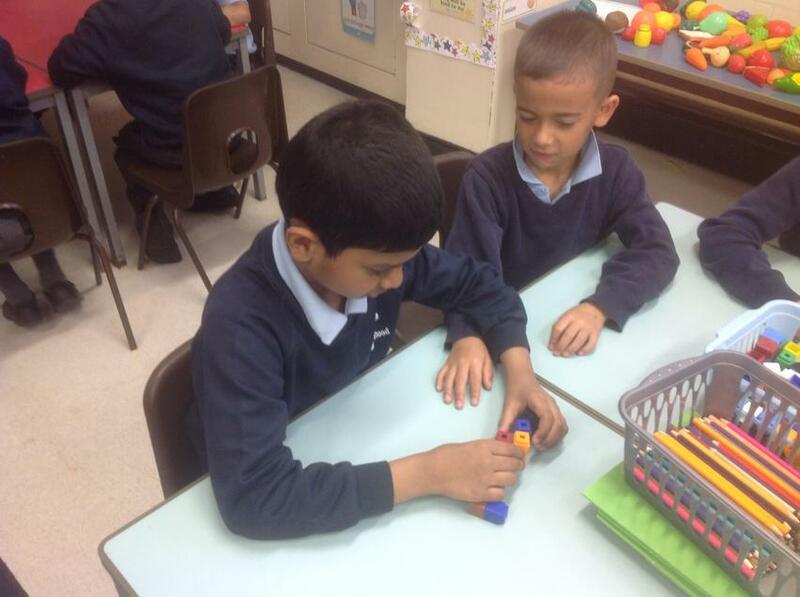 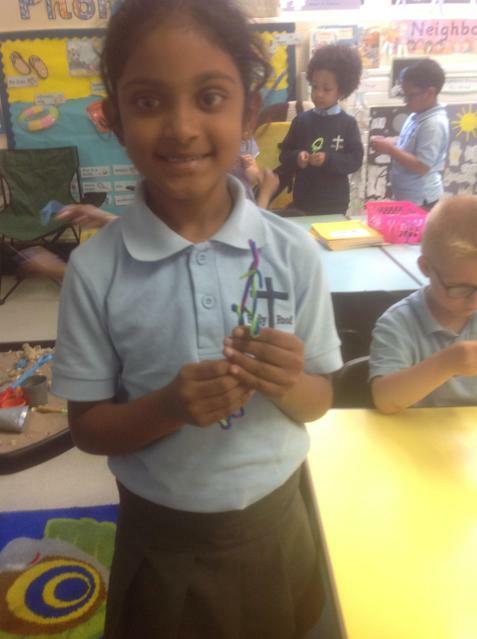 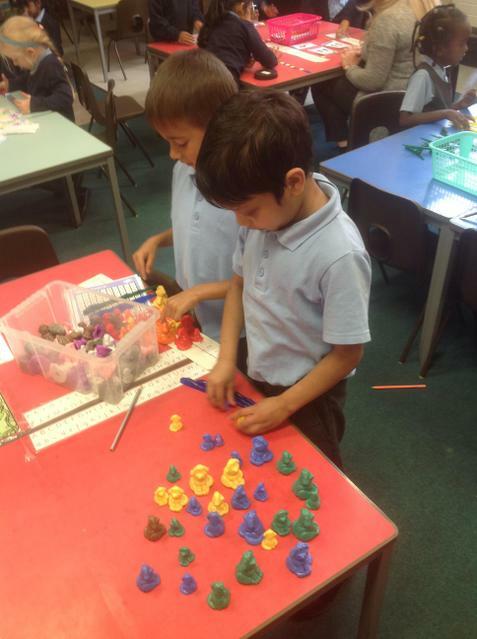 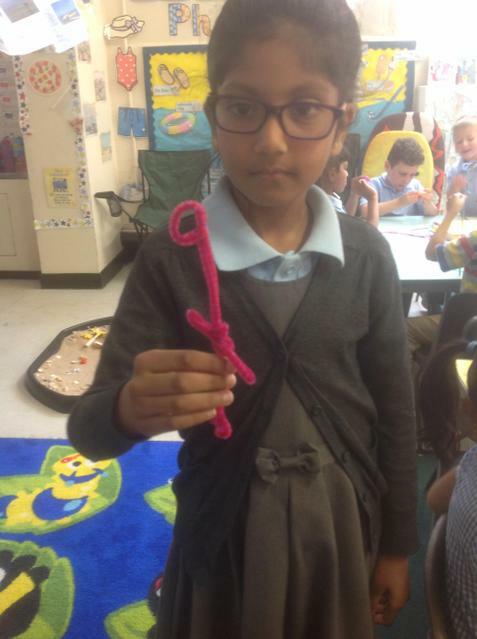 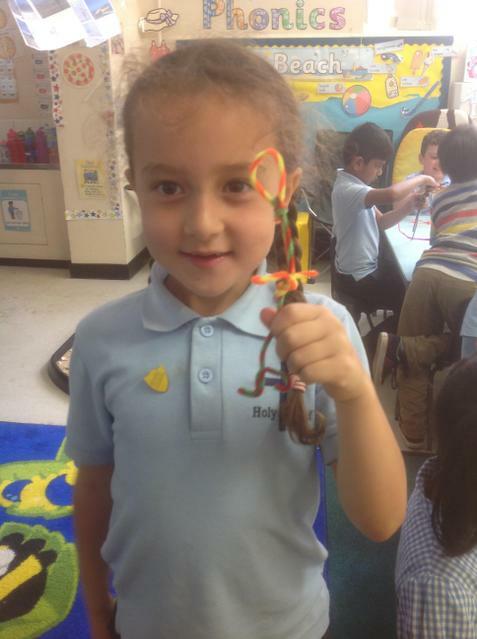 We really enjoyed finding out ways to keep our sculpture secure. 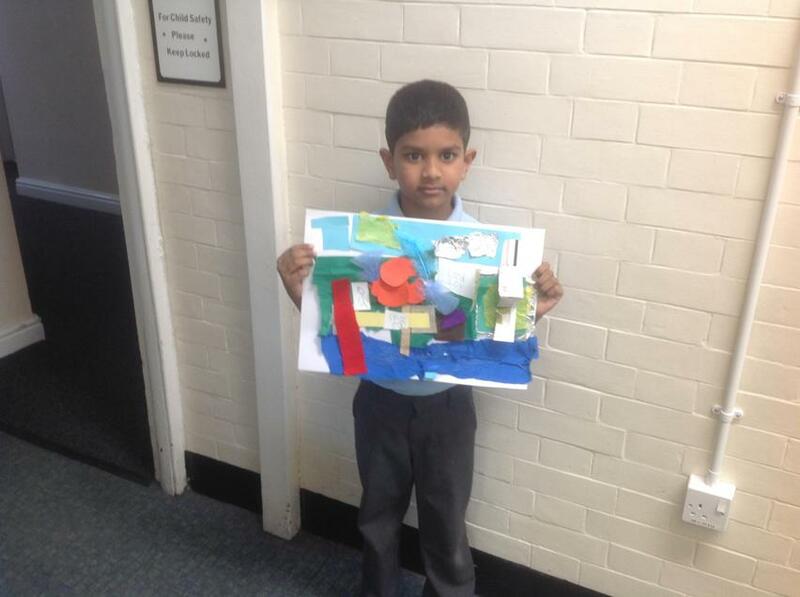 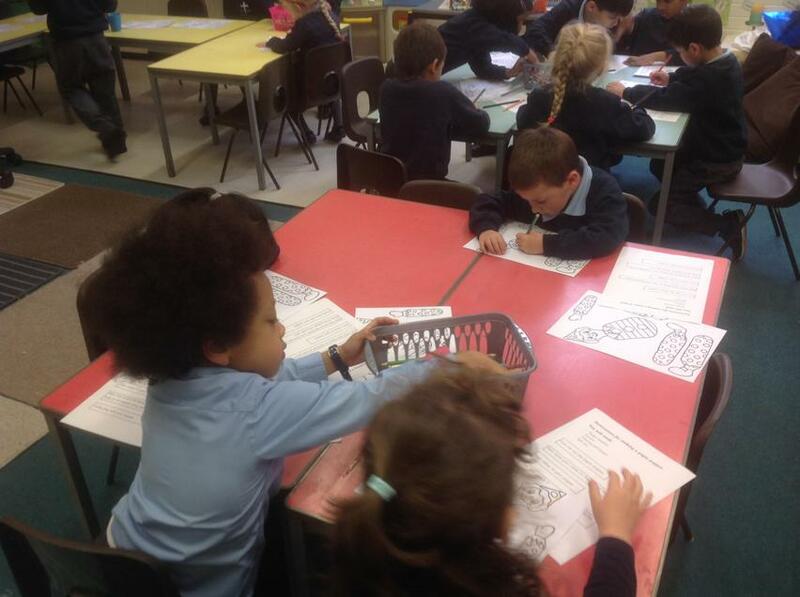 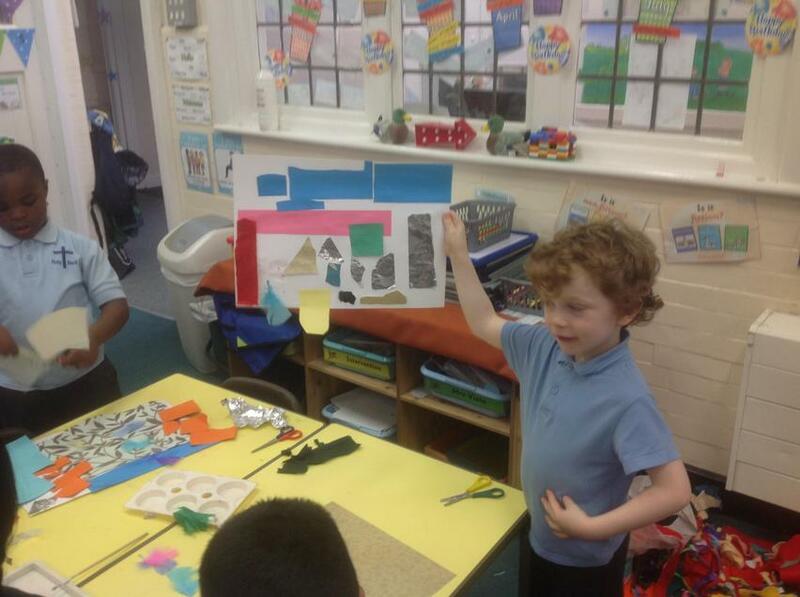 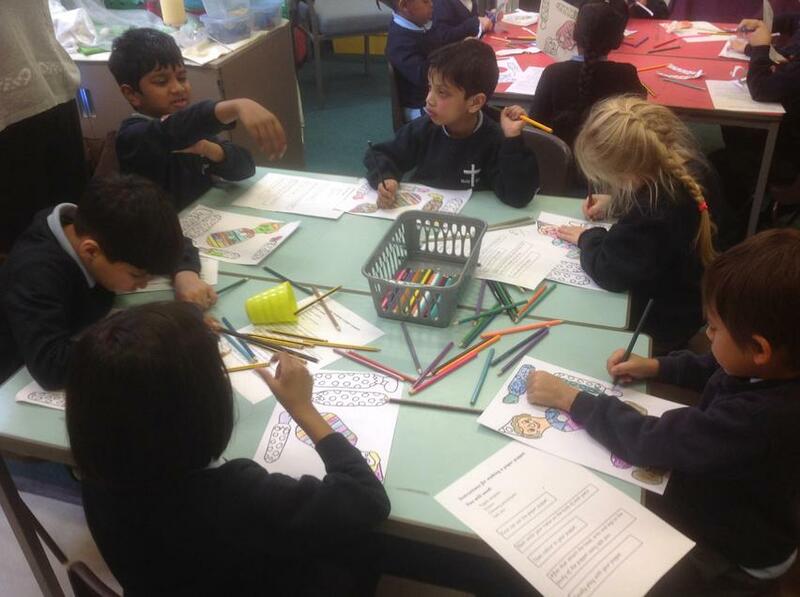 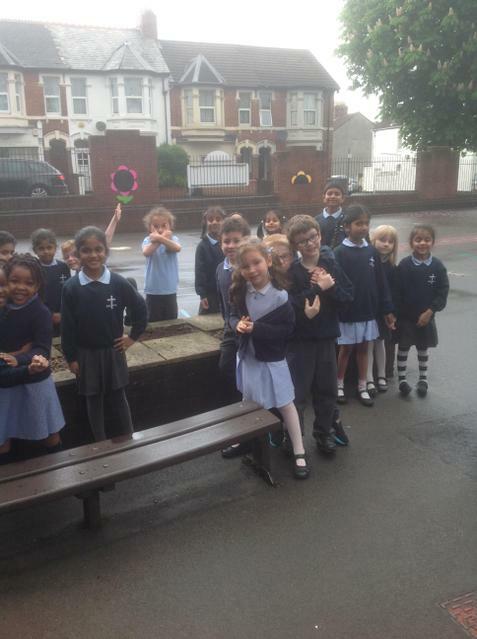 We have been looking at Brazil and finding out about the city of Rio. 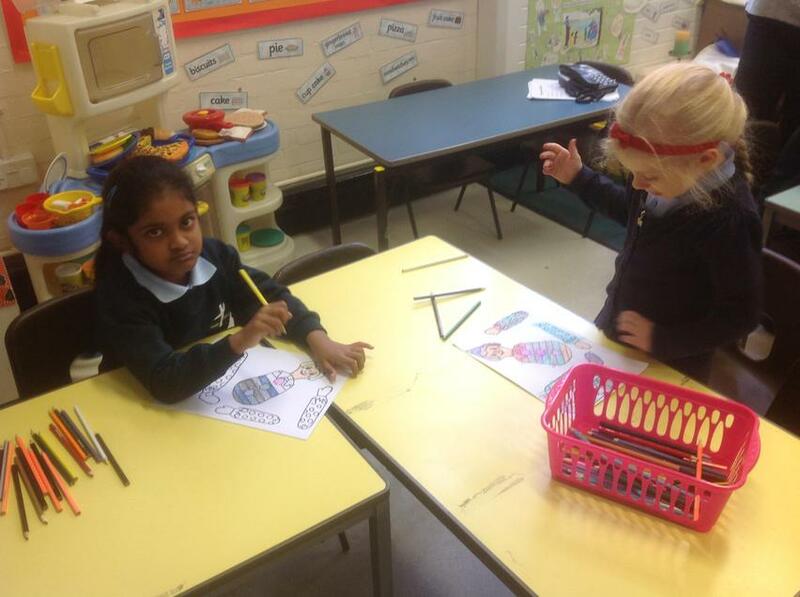 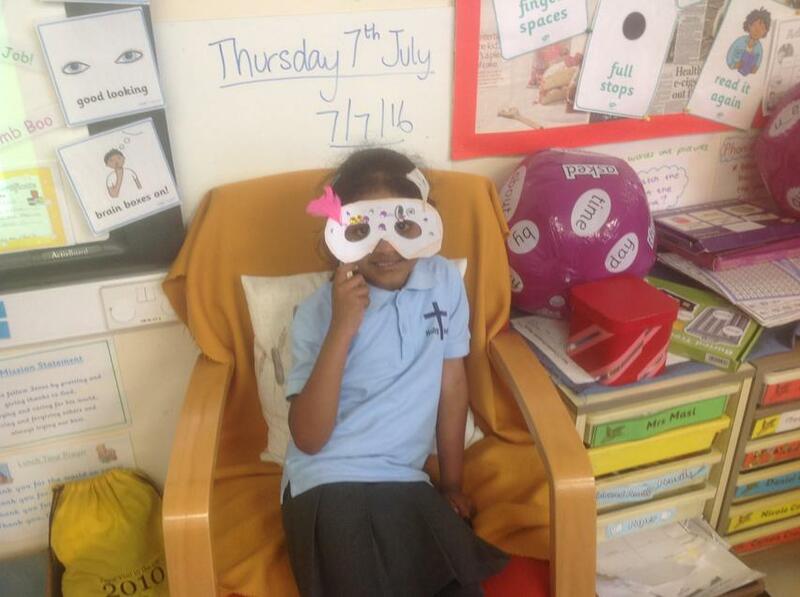 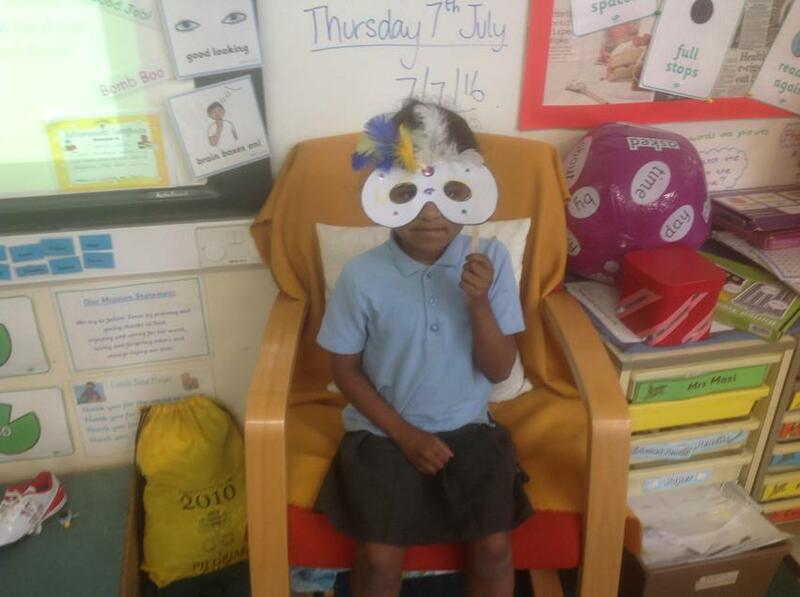 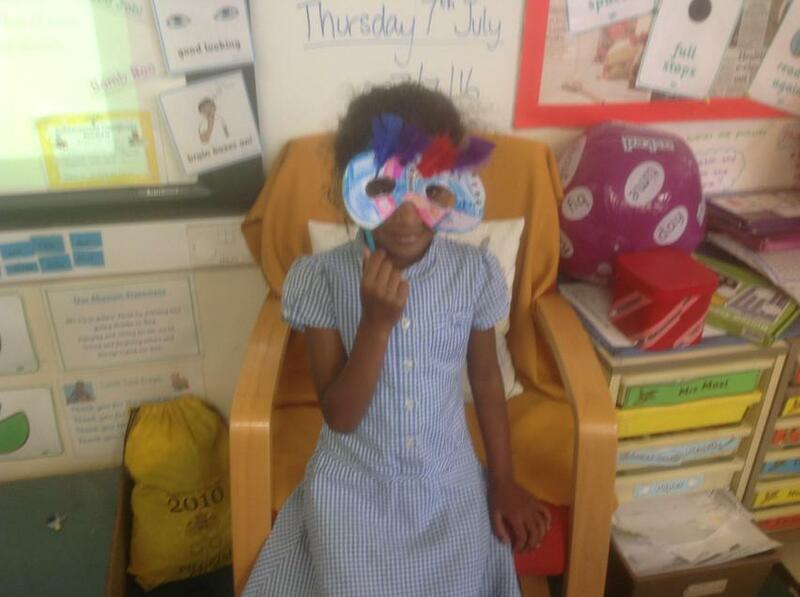 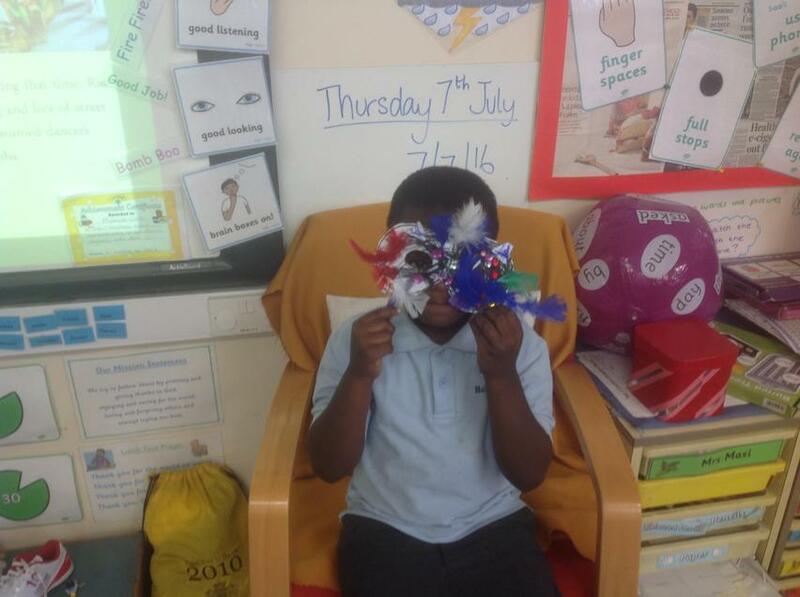 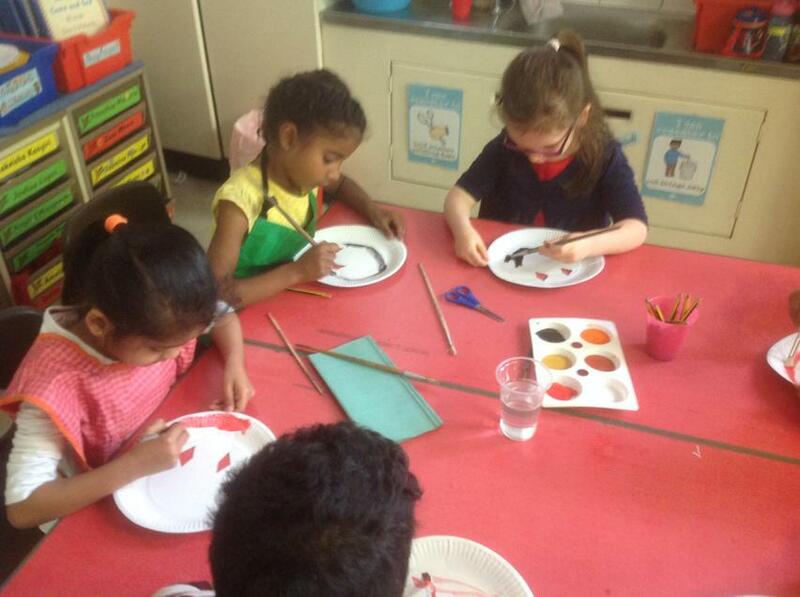 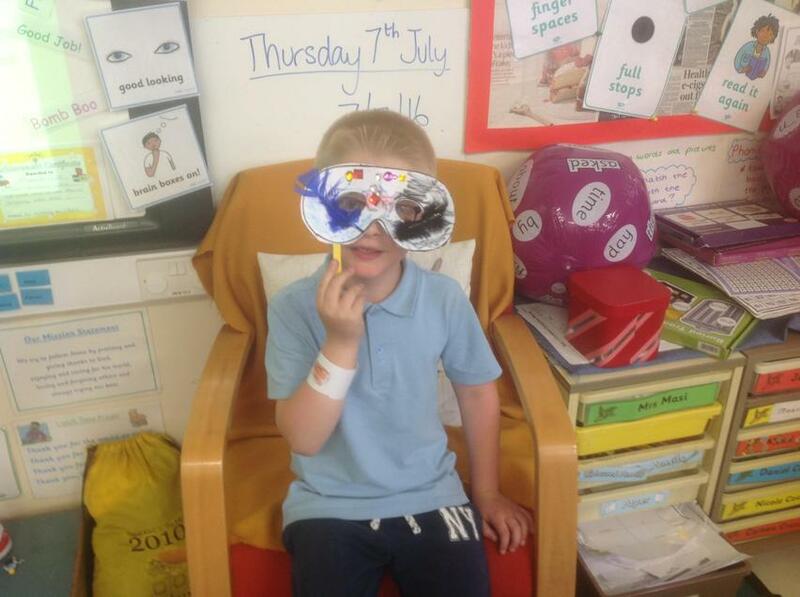 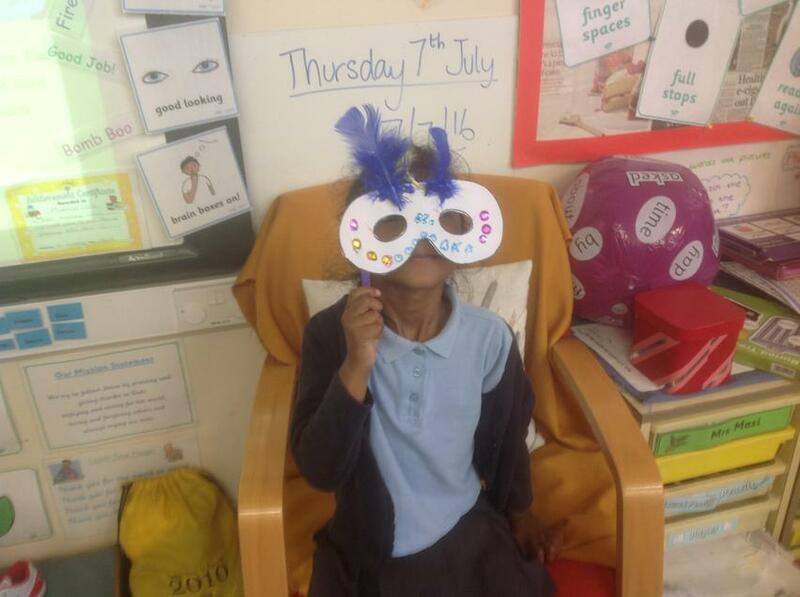 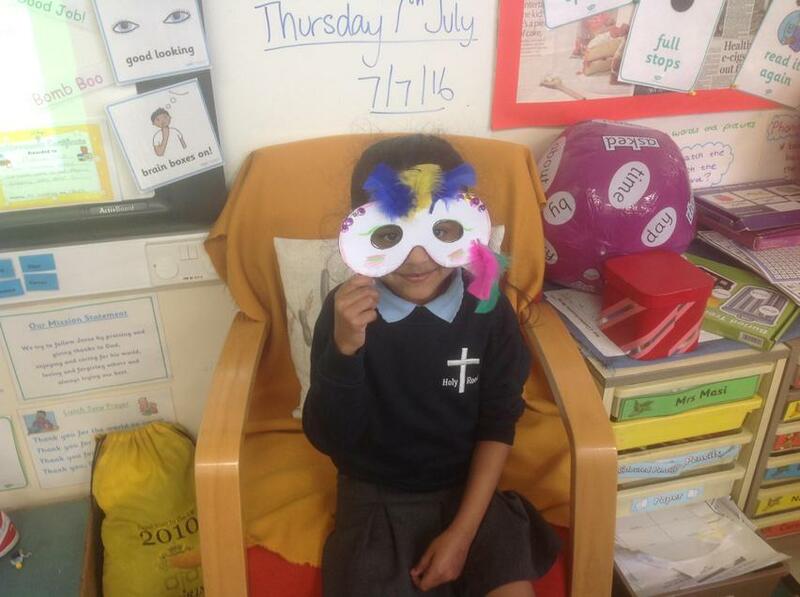 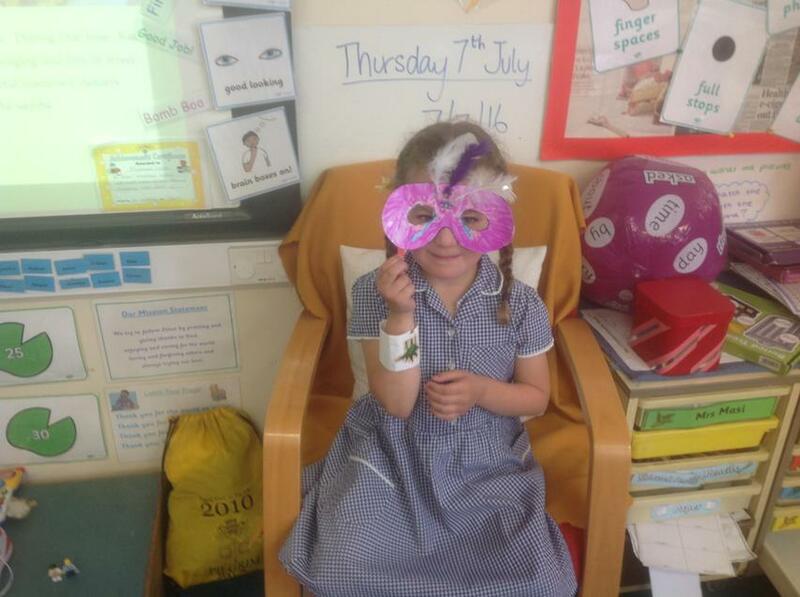 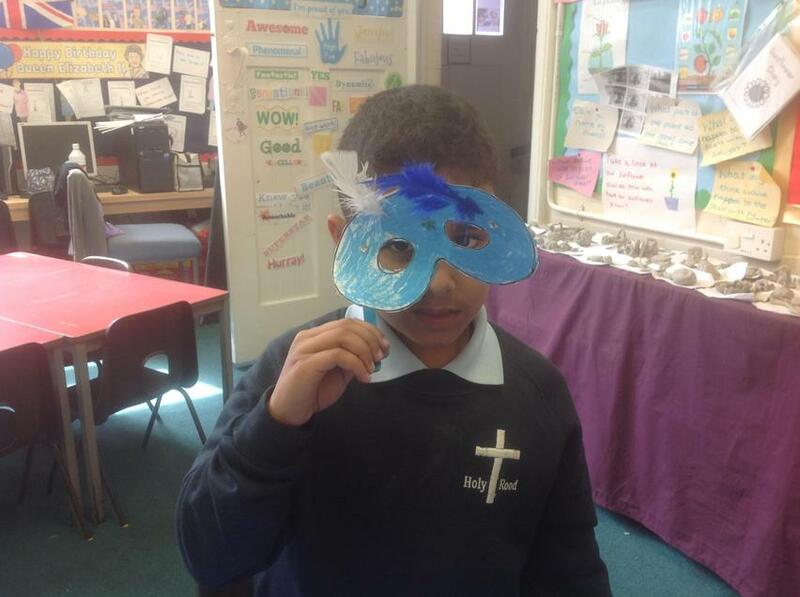 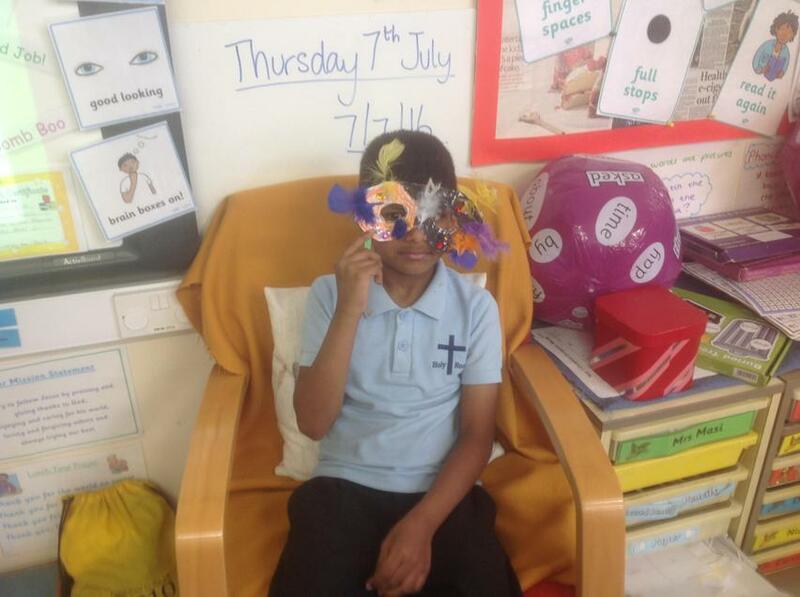 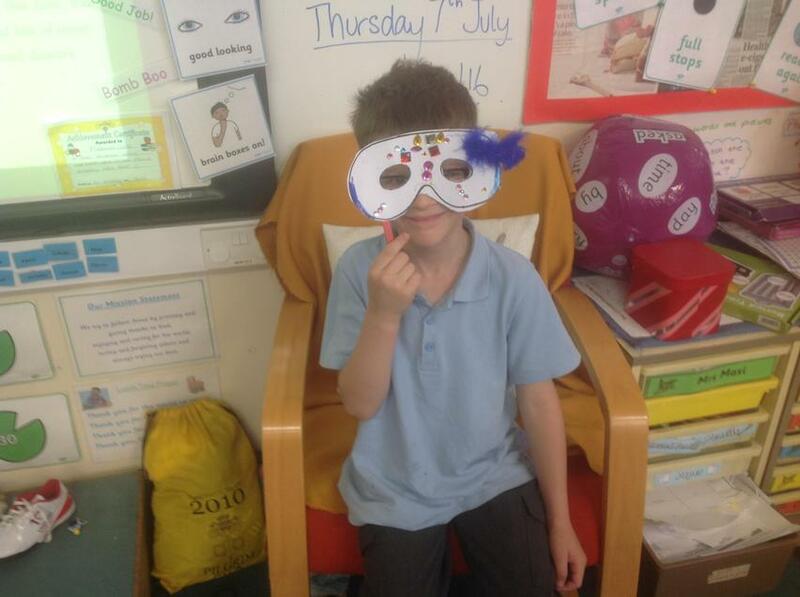 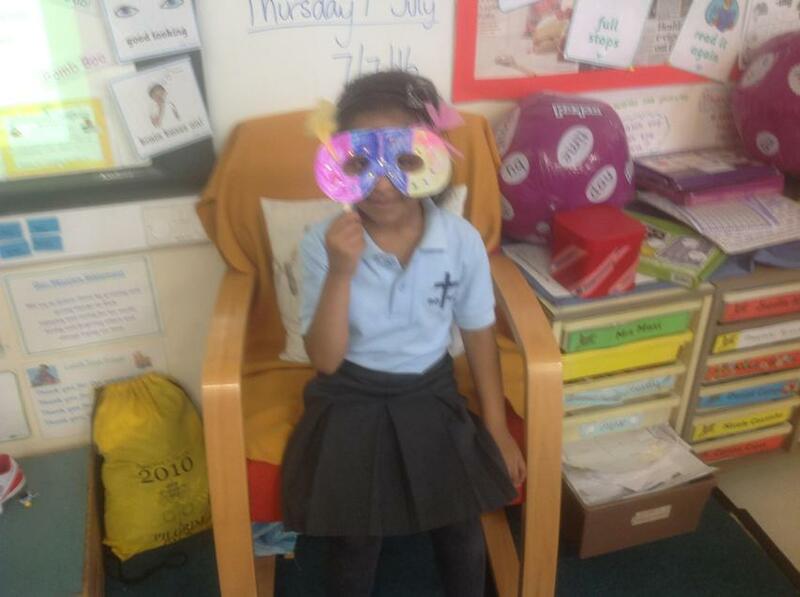 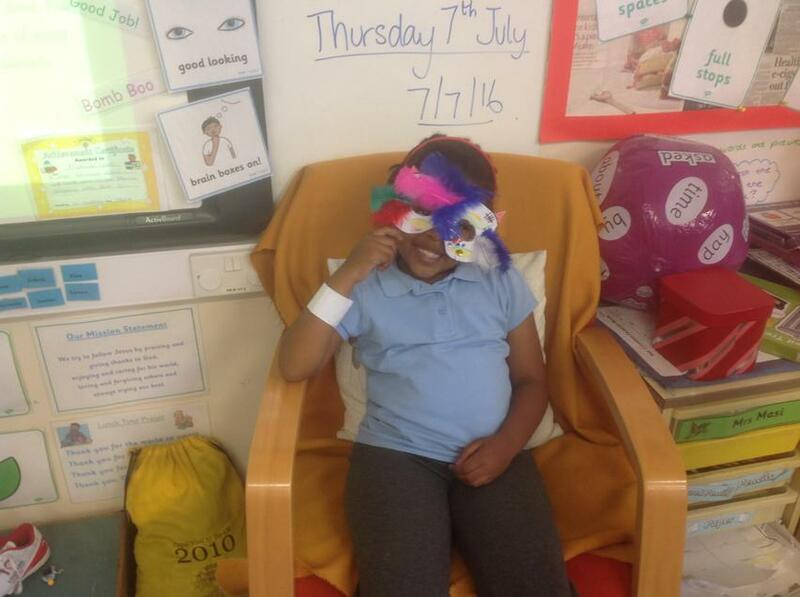 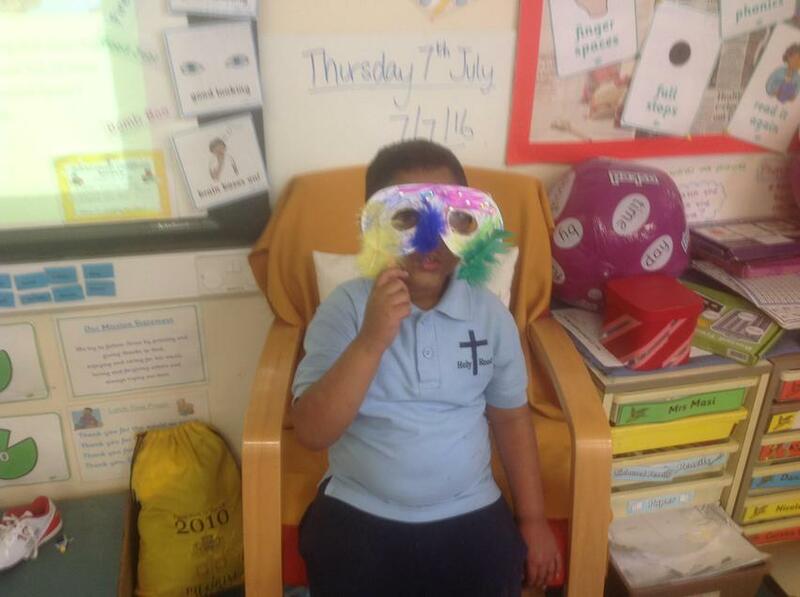 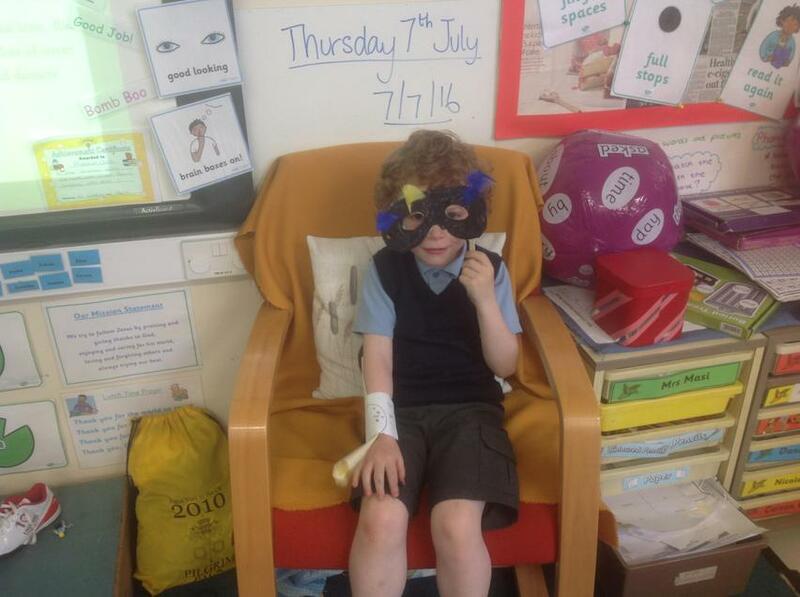 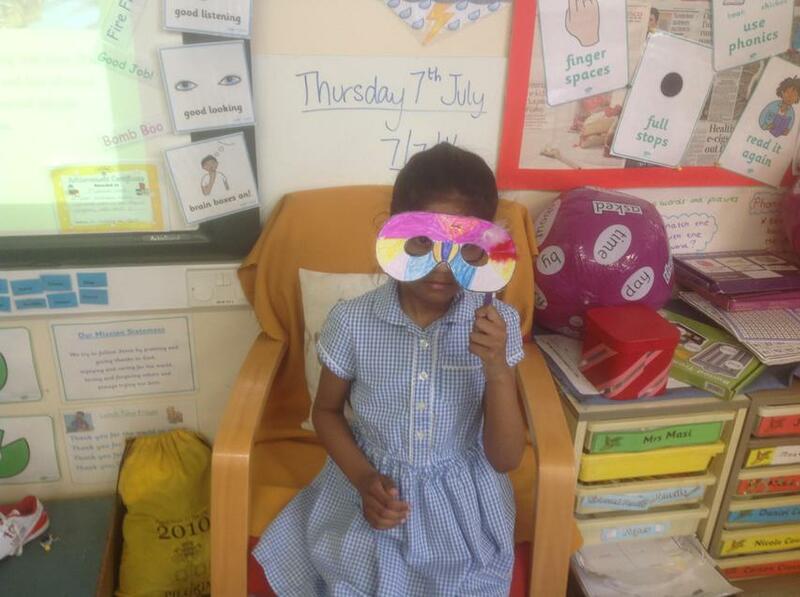 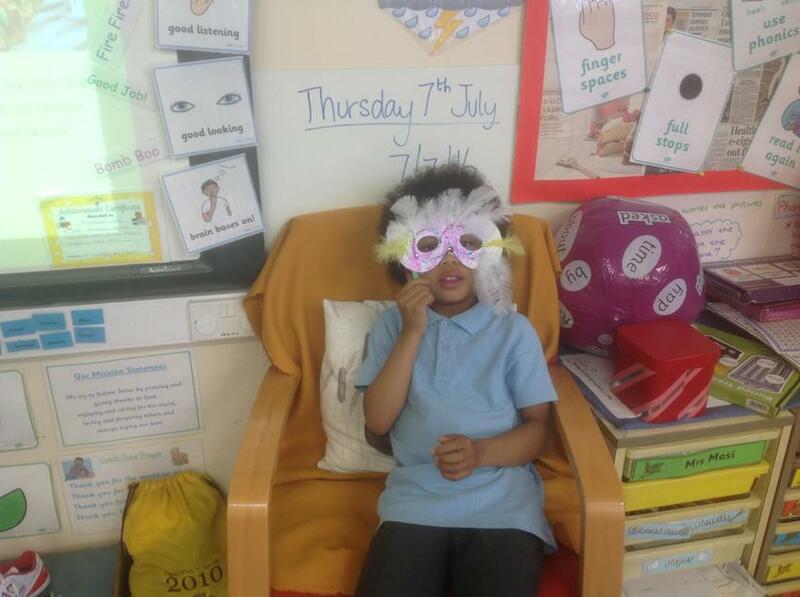 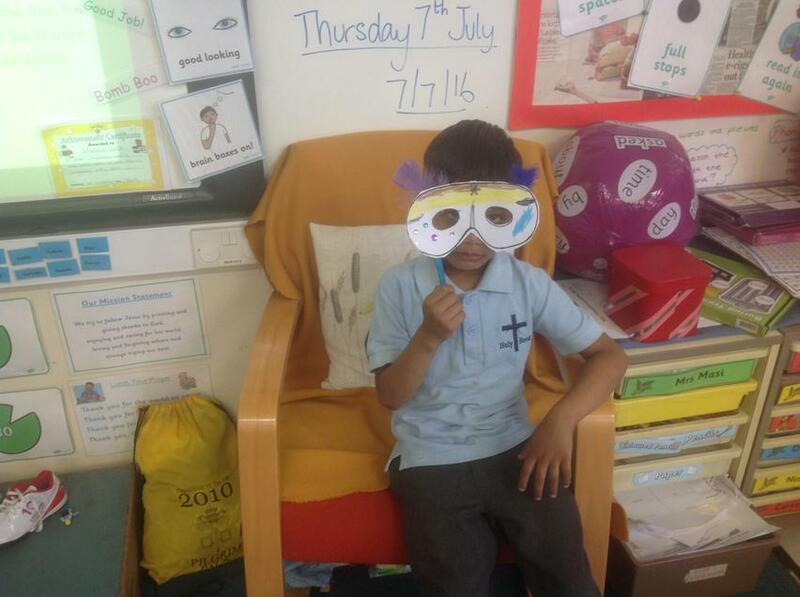 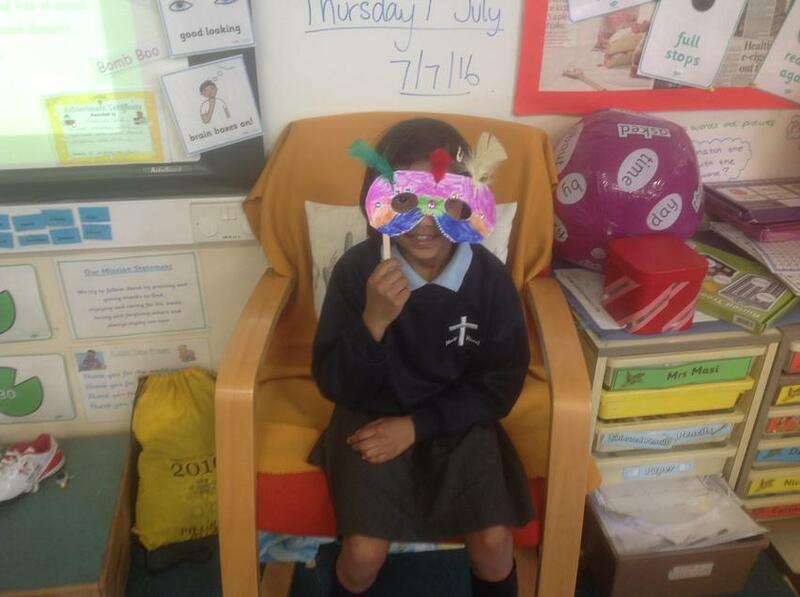 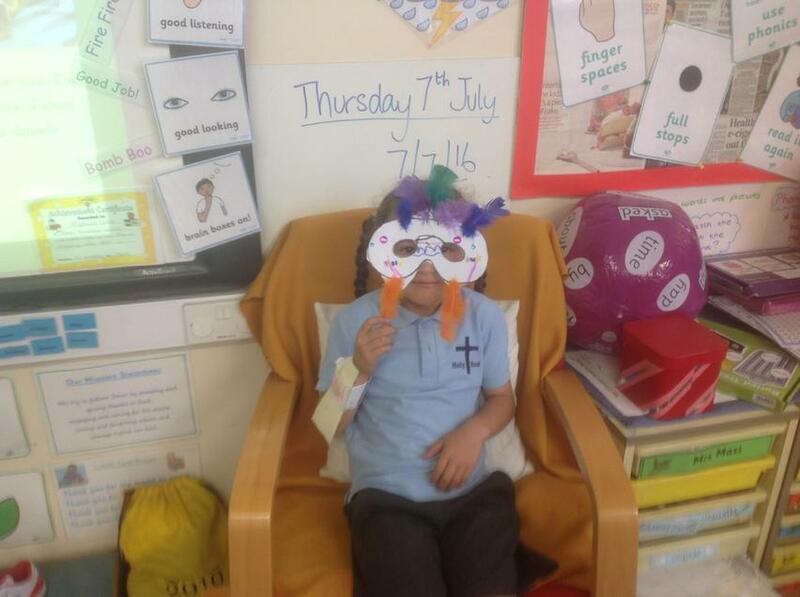 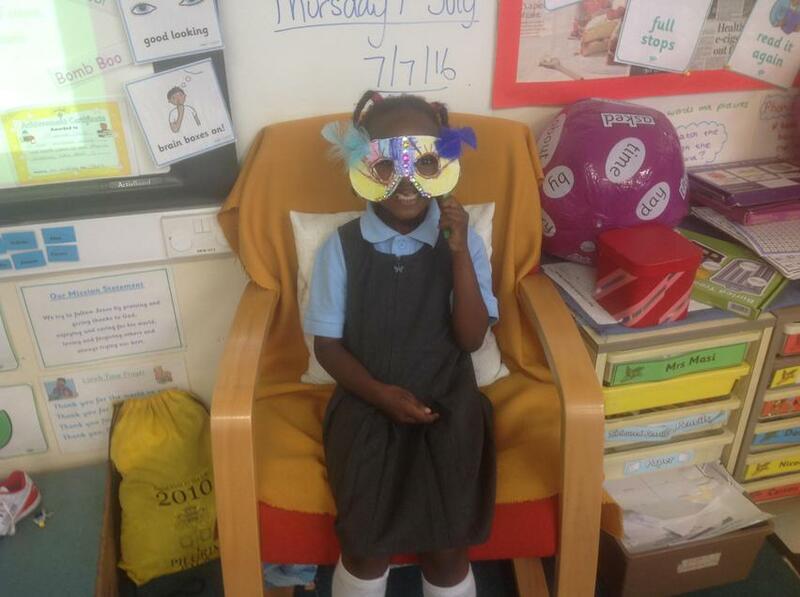 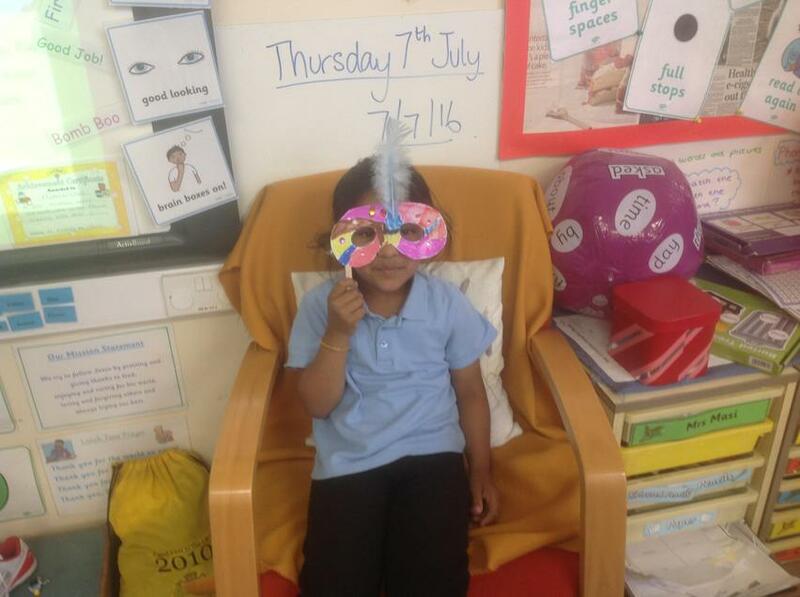 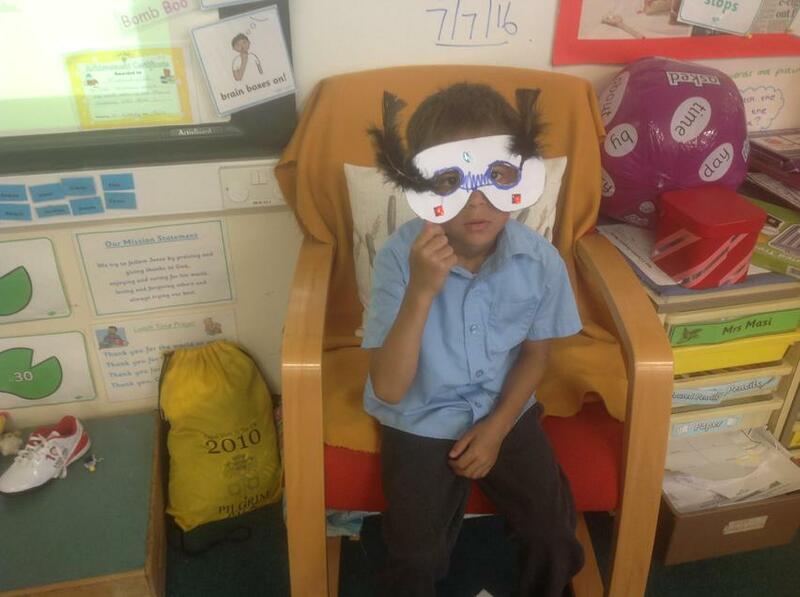 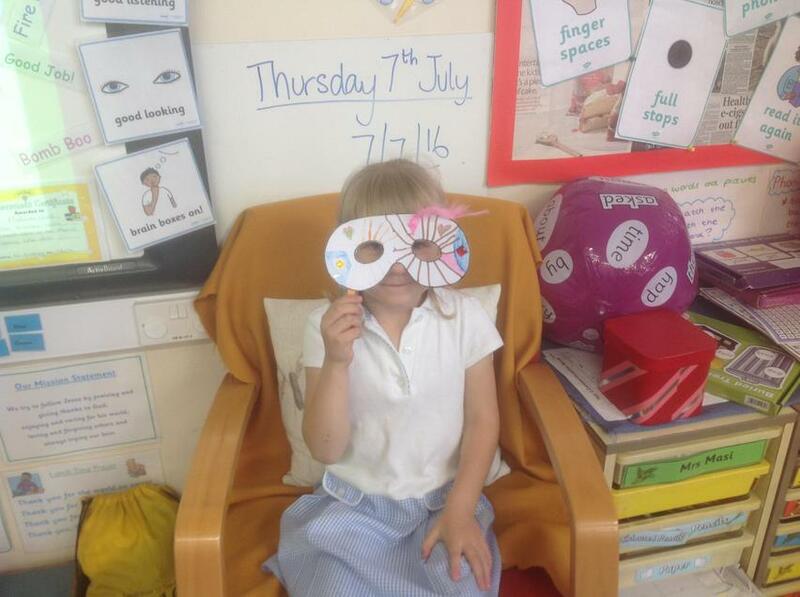 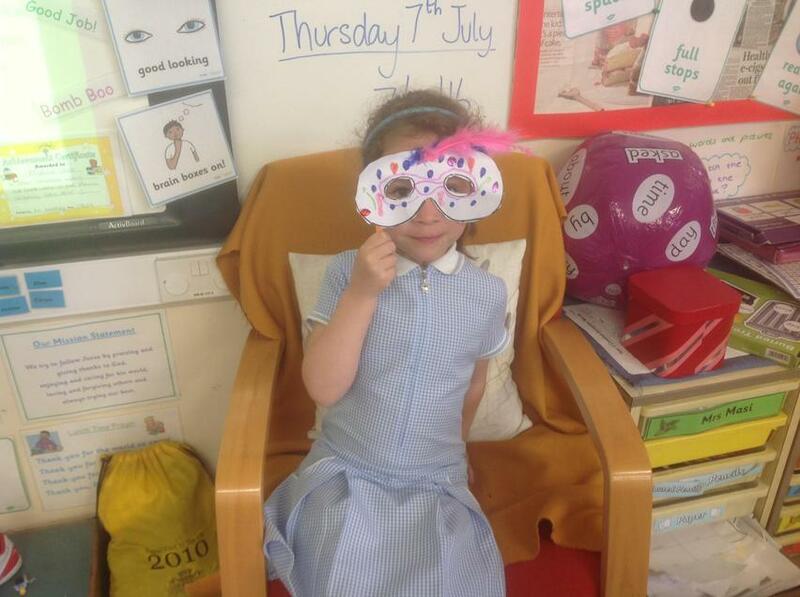 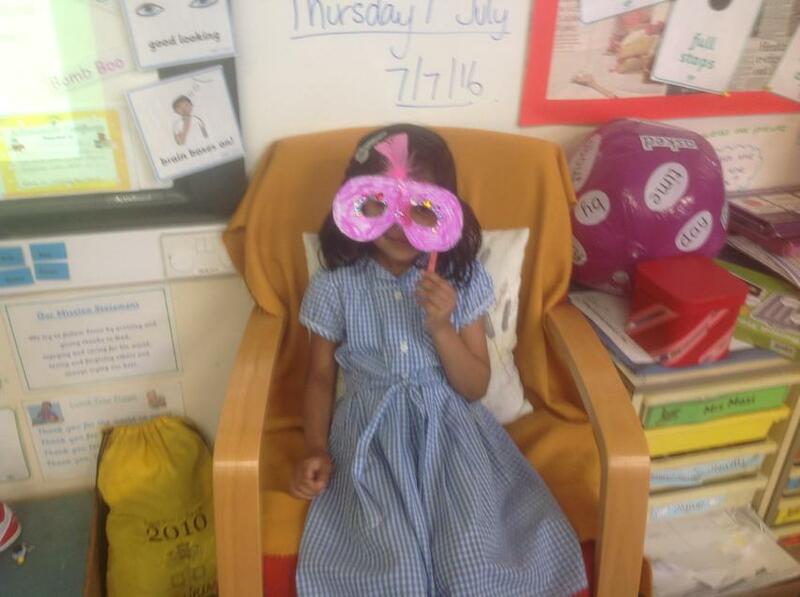 We have made masks inspired from the Rio Carnival. 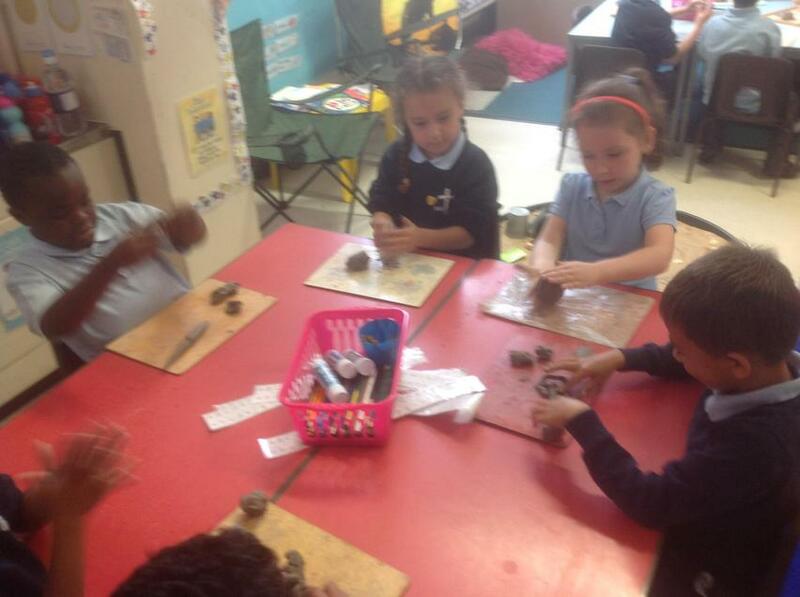 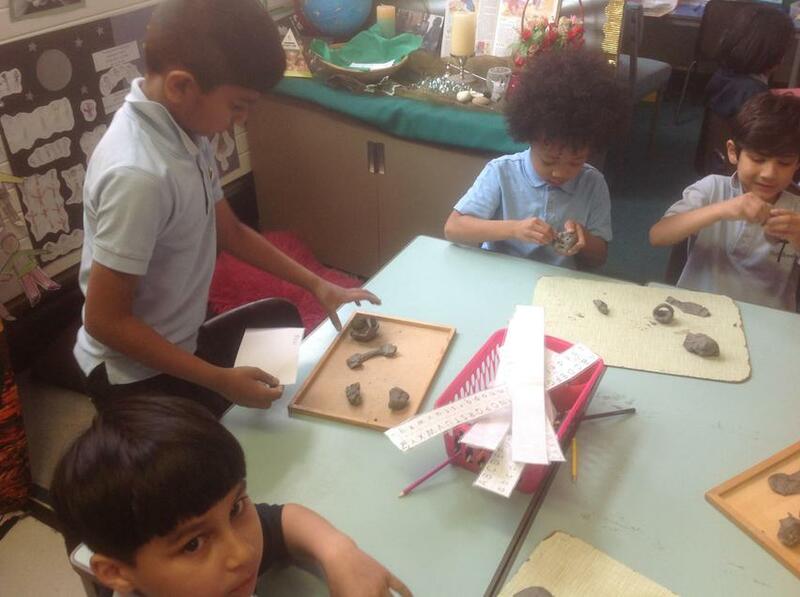 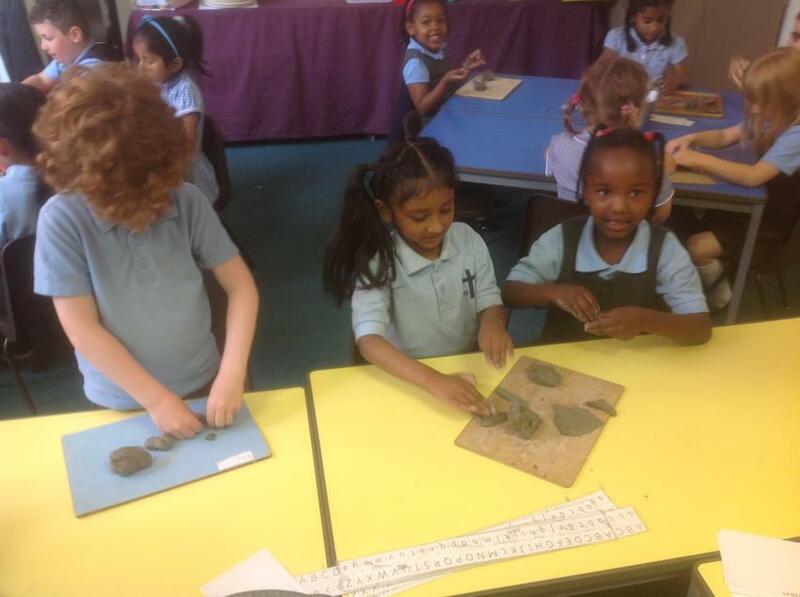 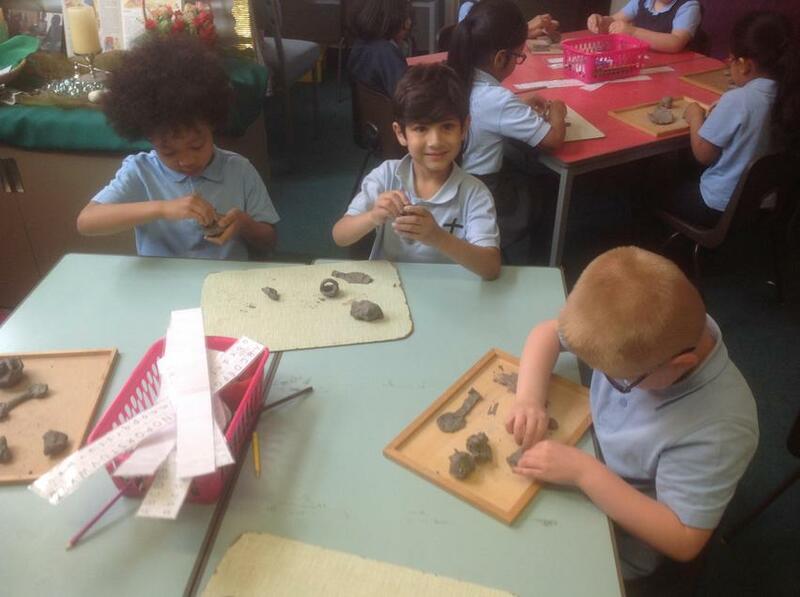 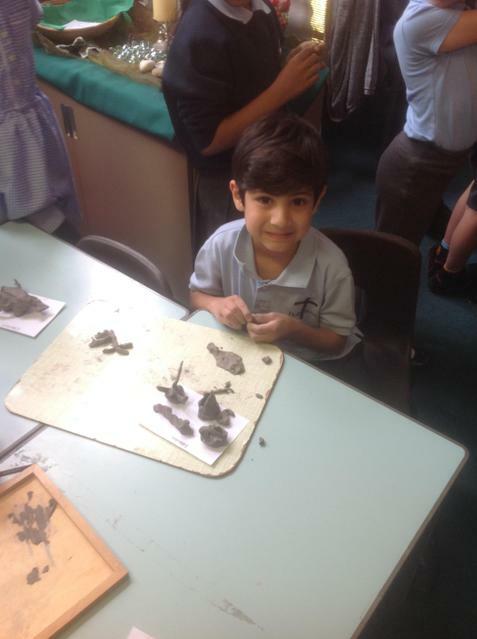 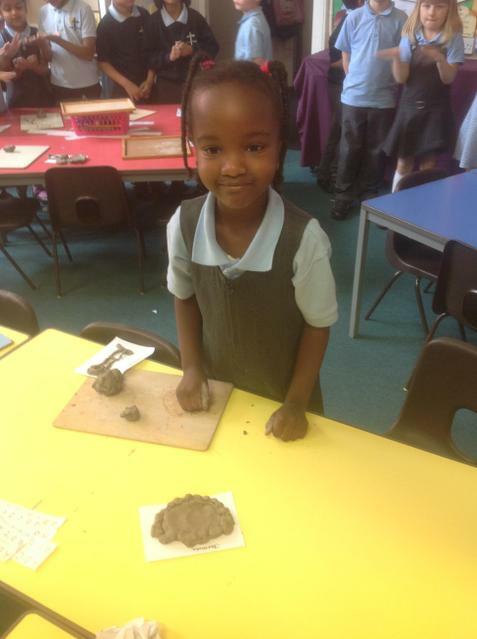 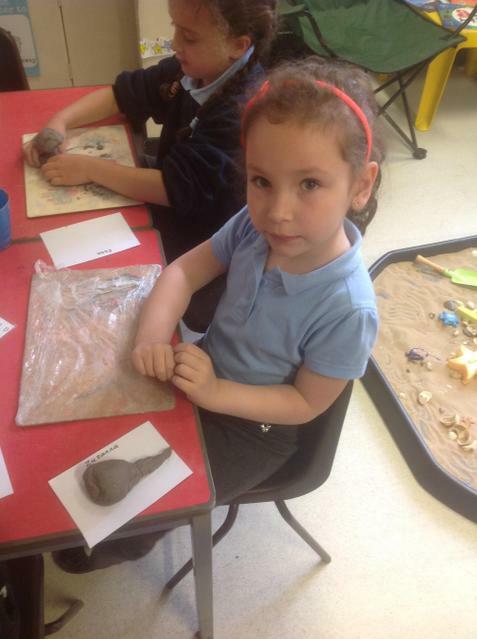 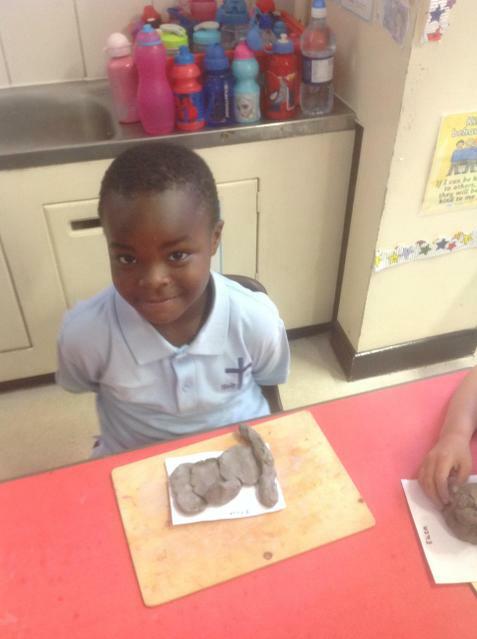 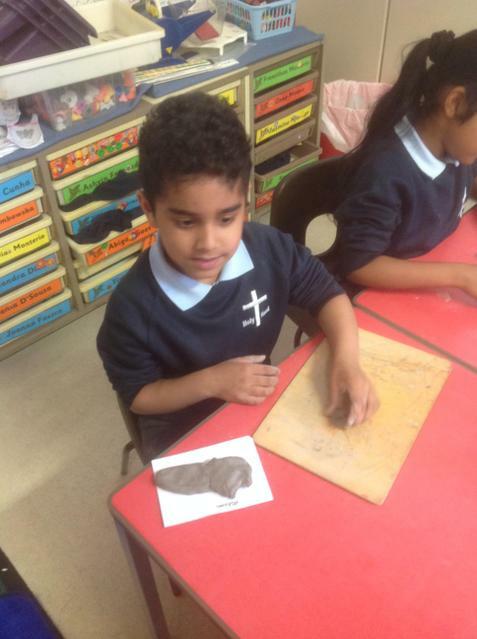 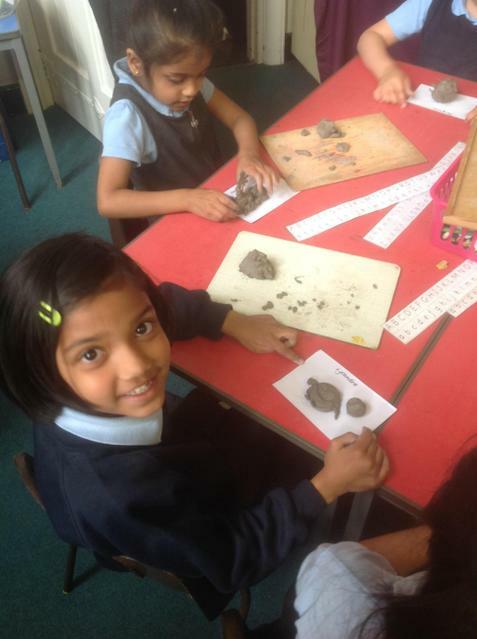 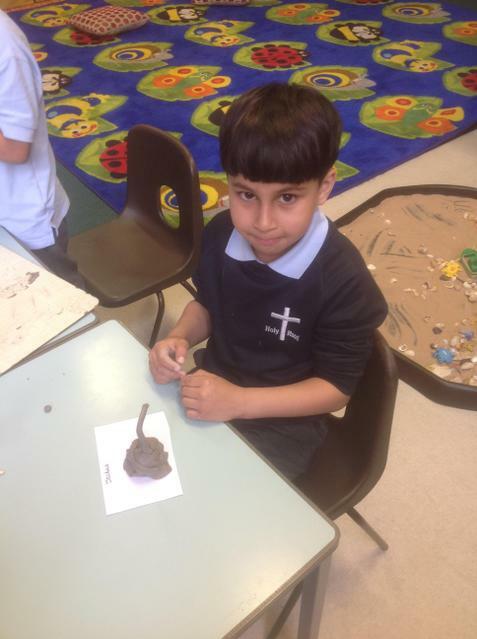 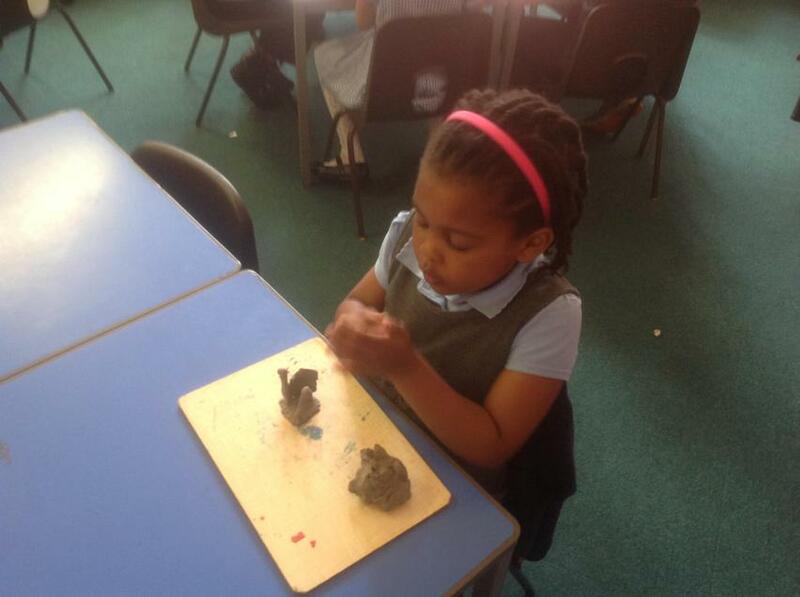 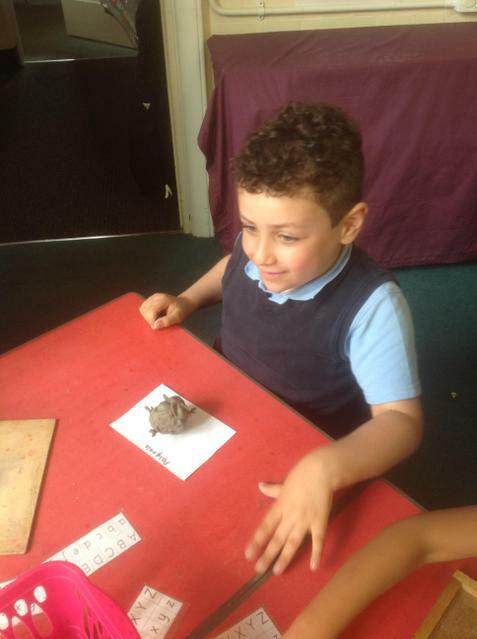 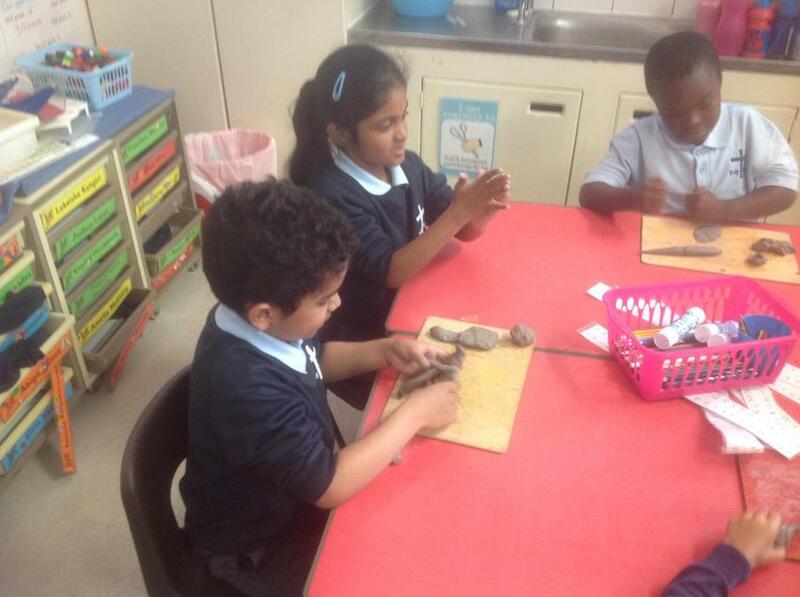 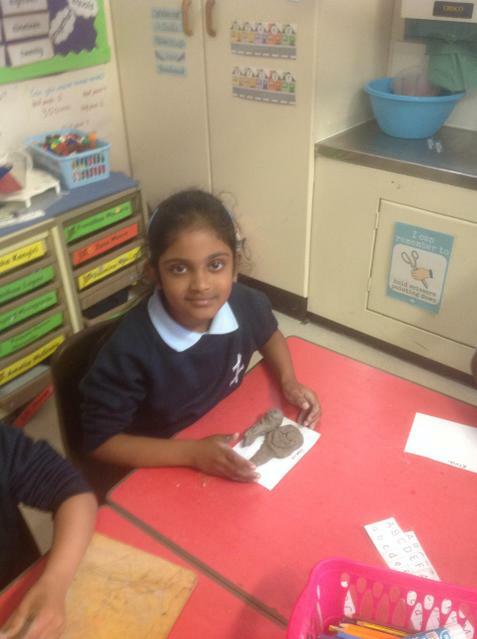 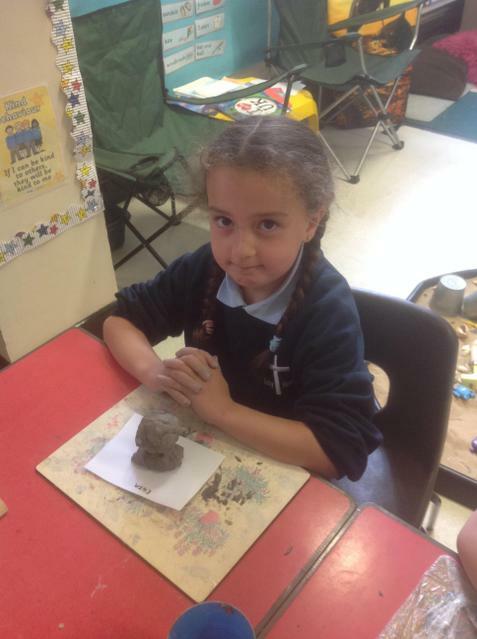 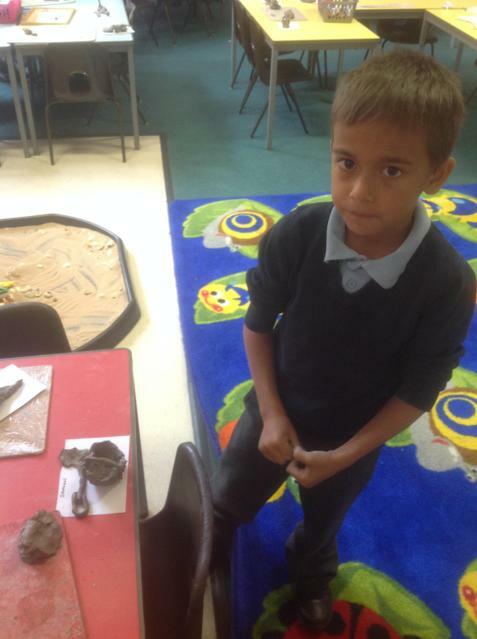 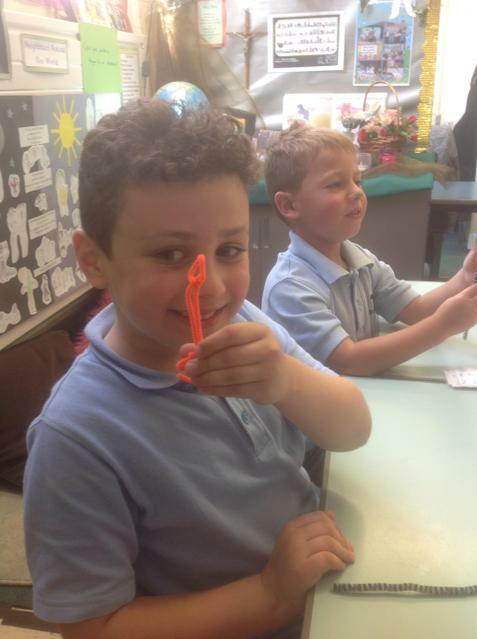 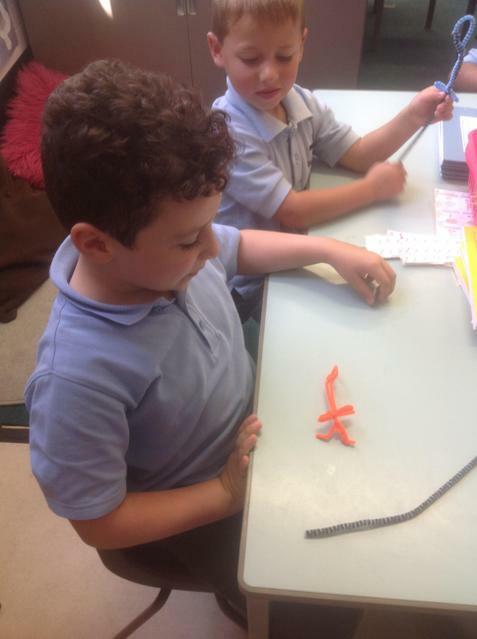 We used clay to sculpt objects we might find at the beach. 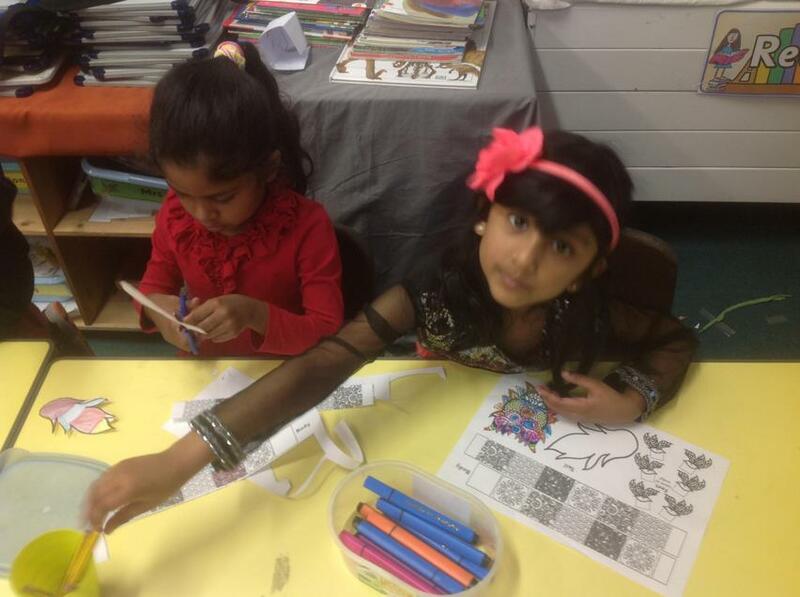 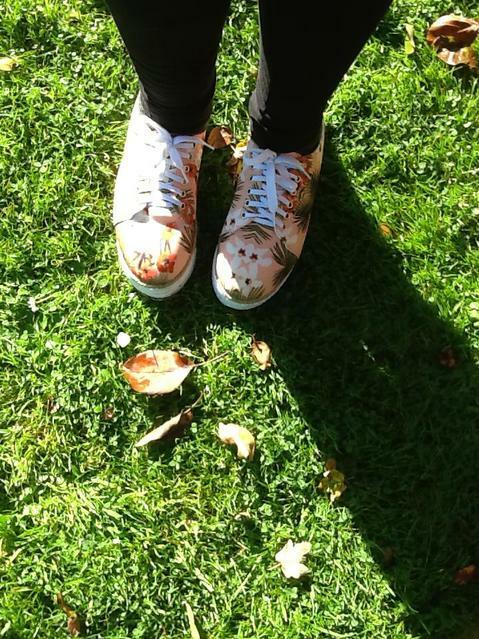 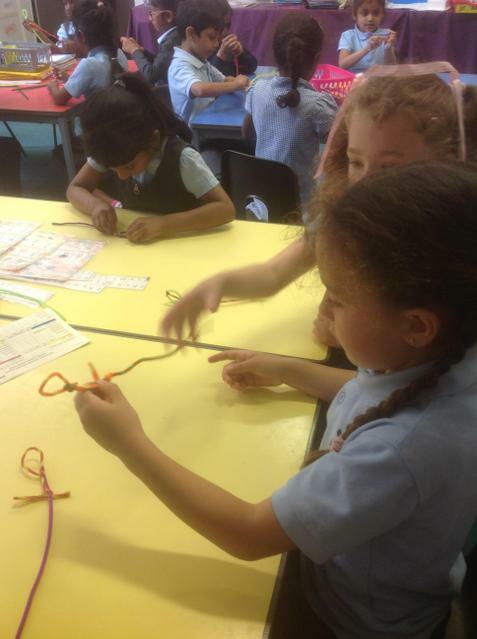 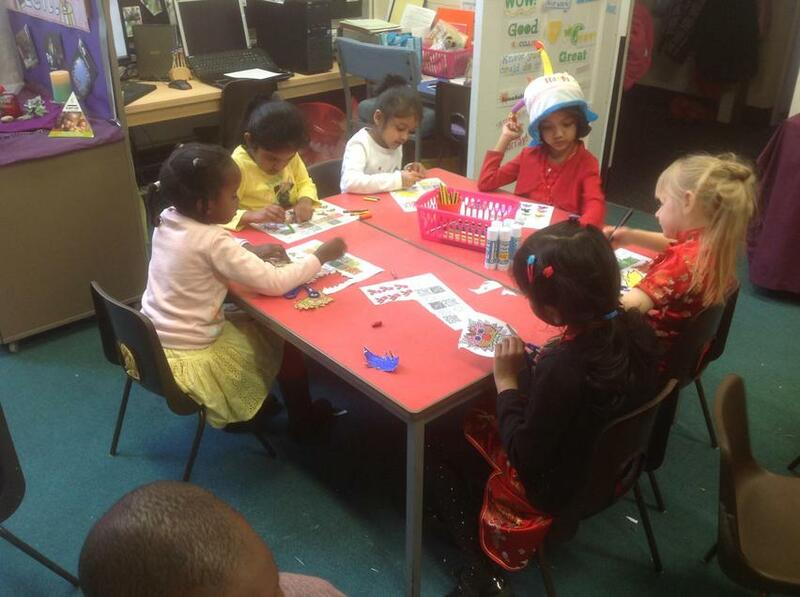 We really enjoyed the activity! 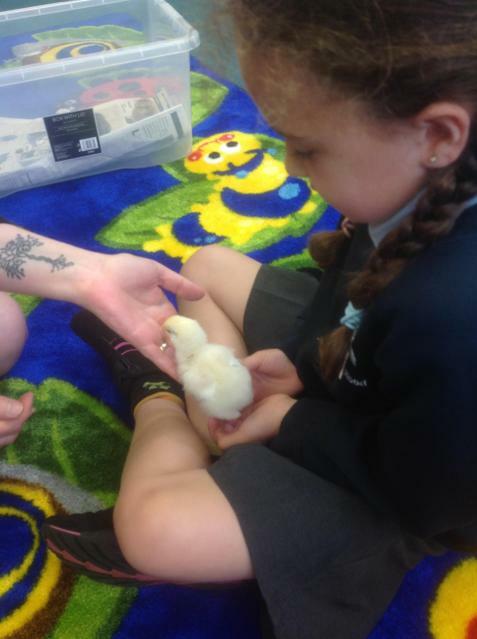 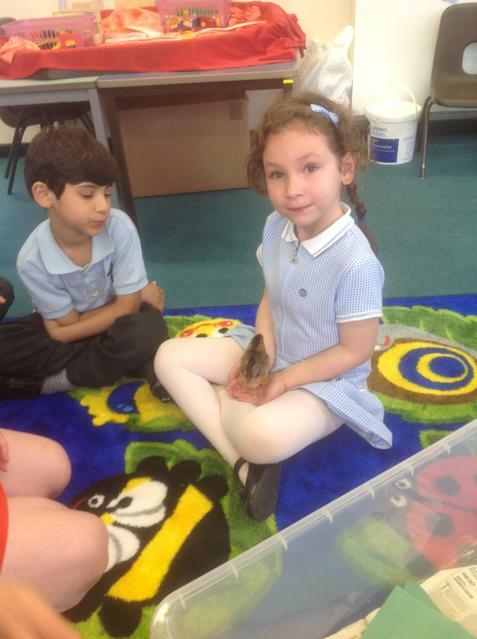 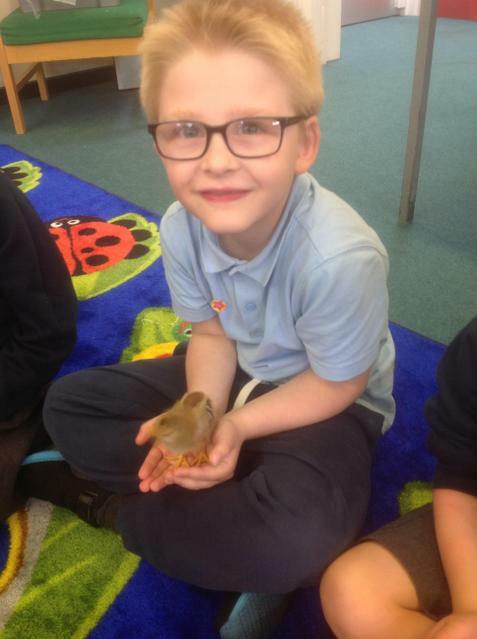 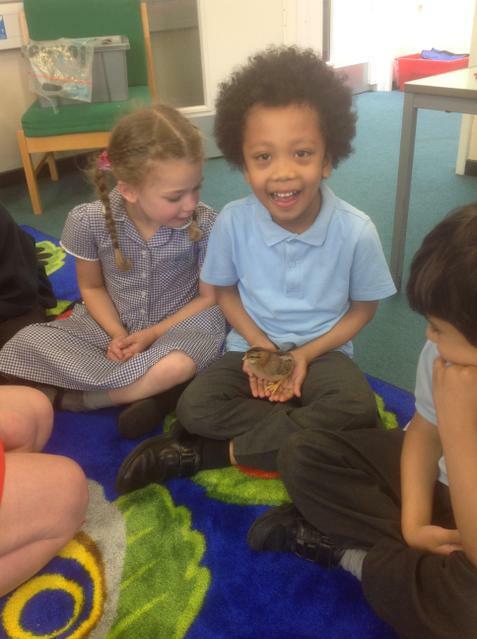 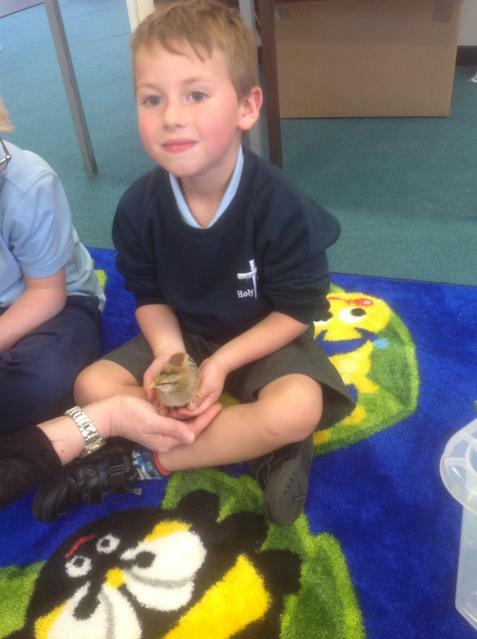 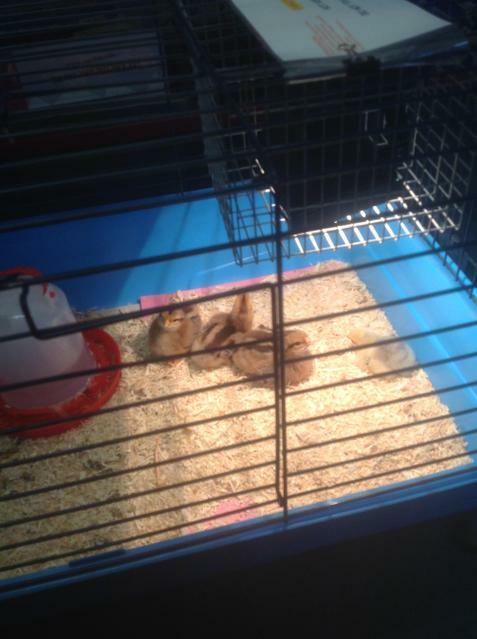 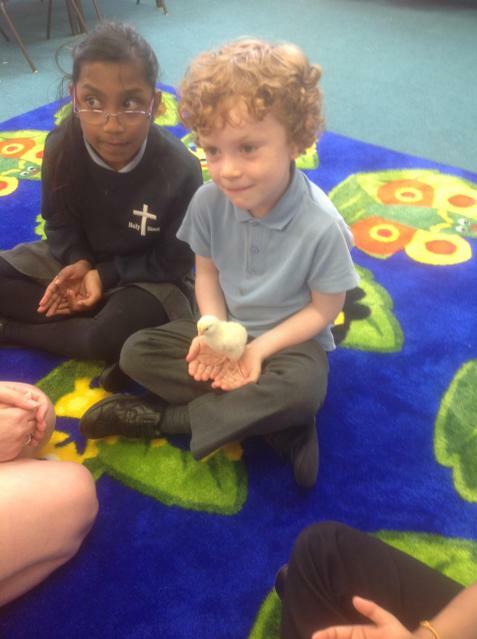 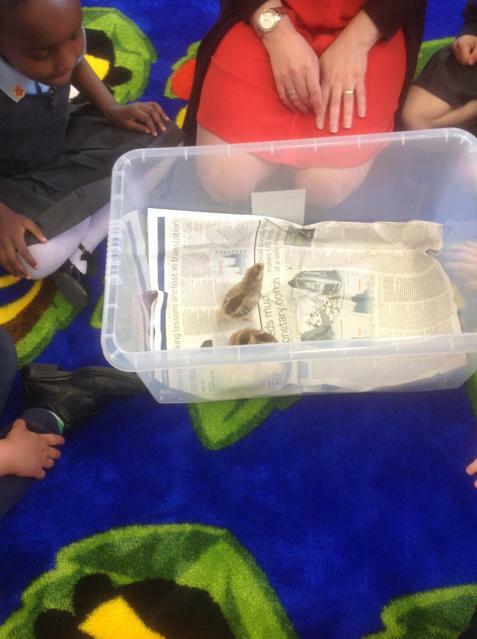 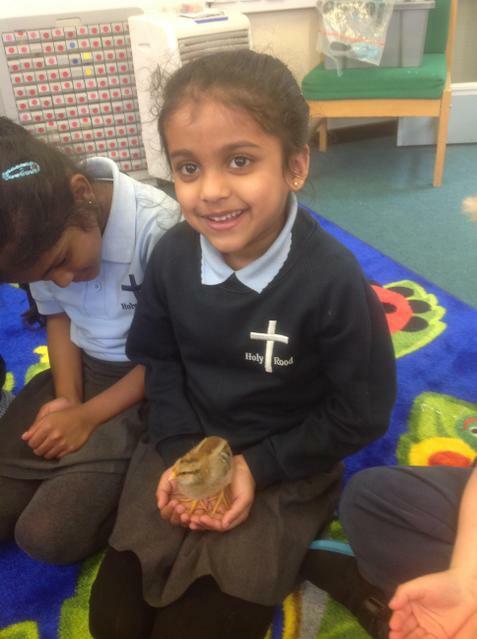 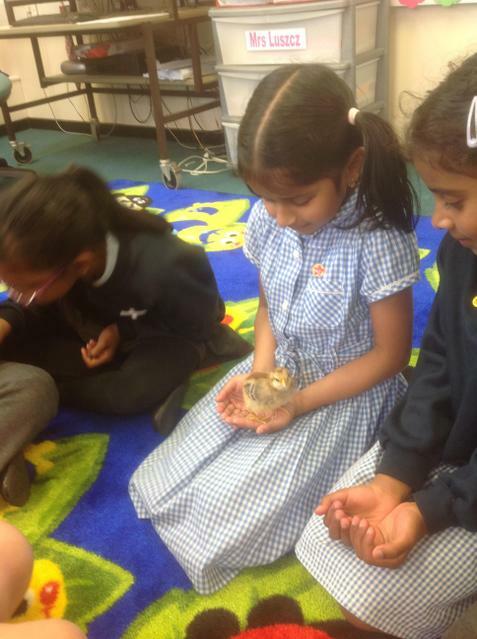 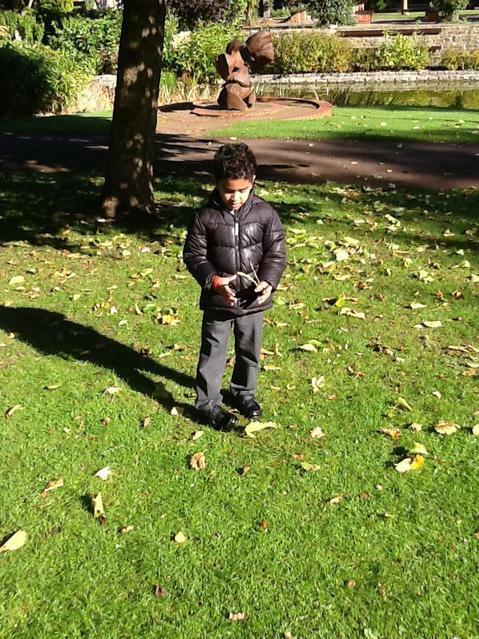 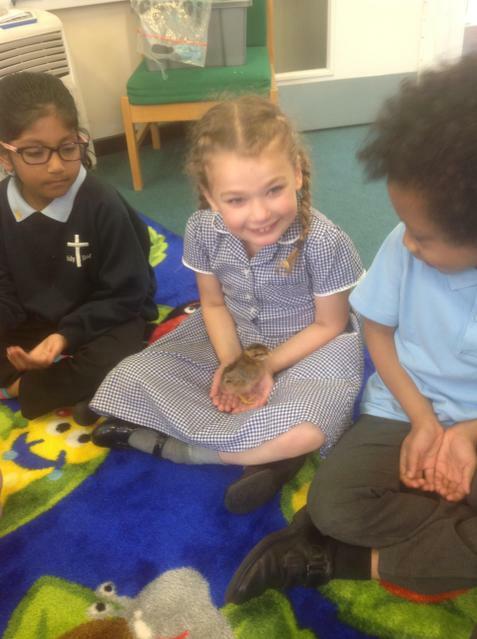 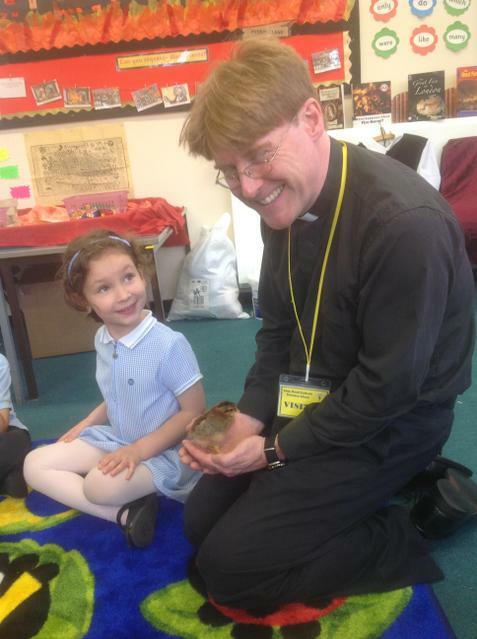 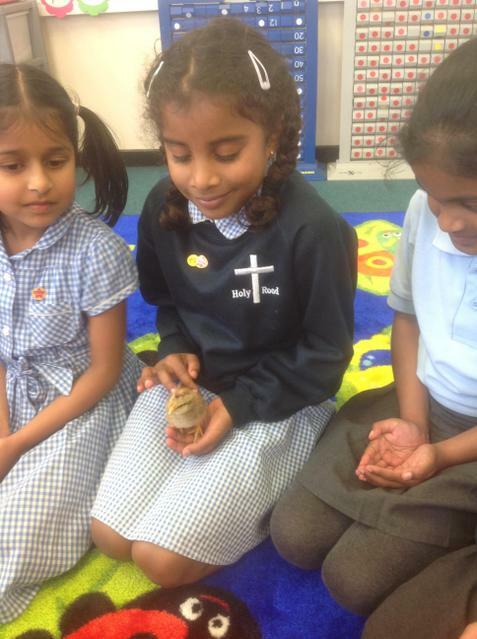 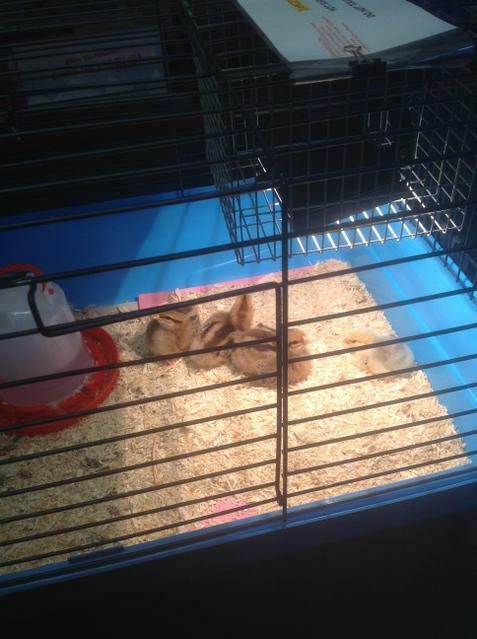 We were really excited today as we were able to meet the chicks. 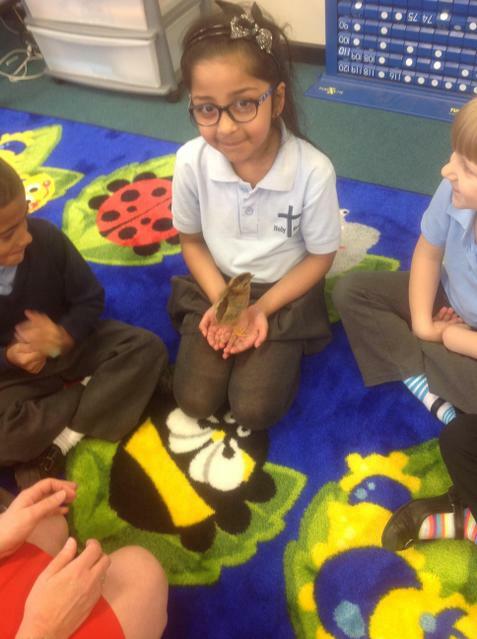 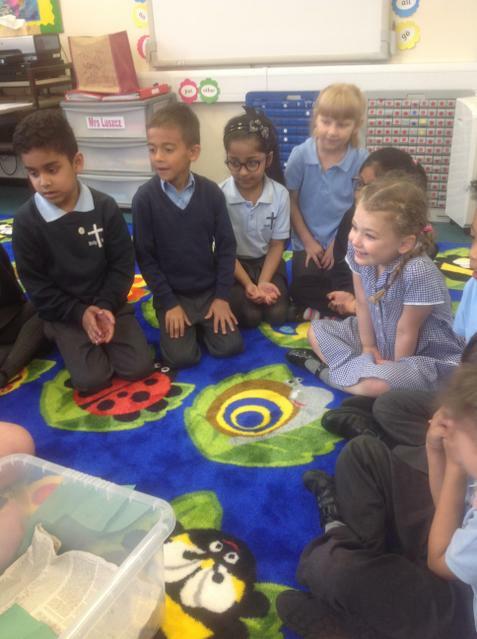 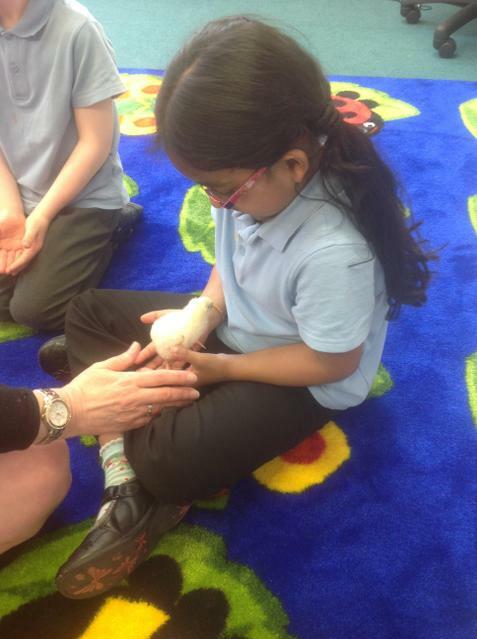 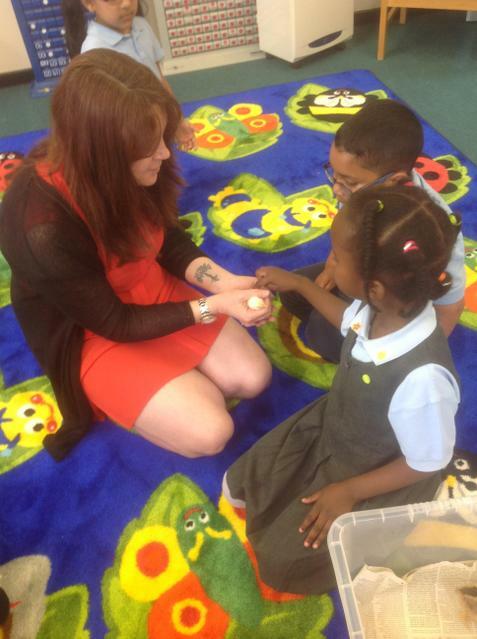 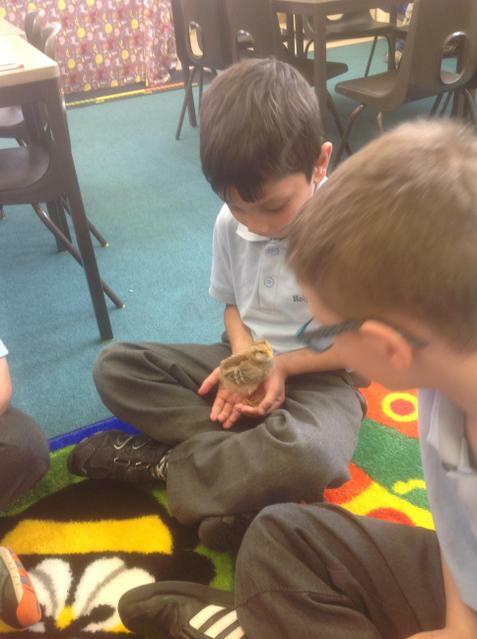 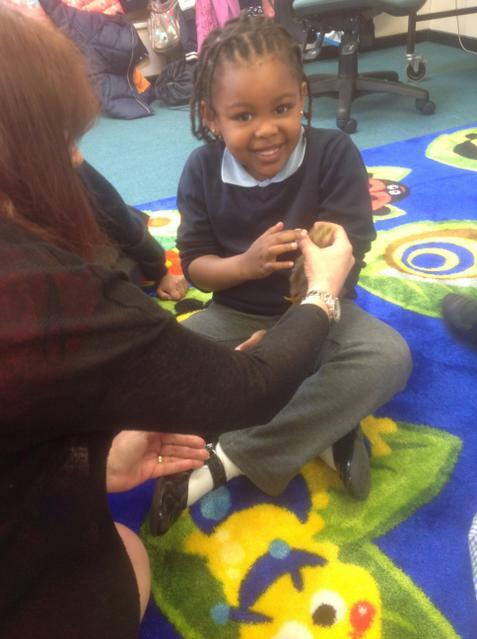 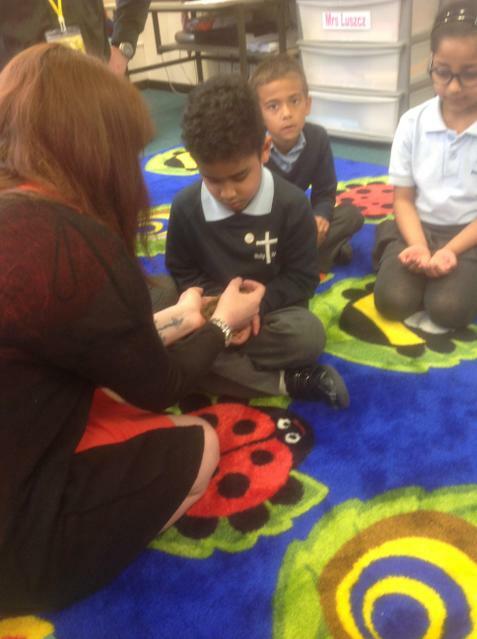 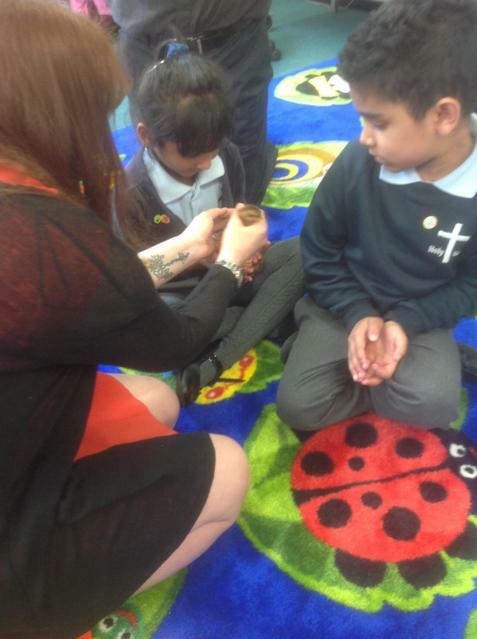 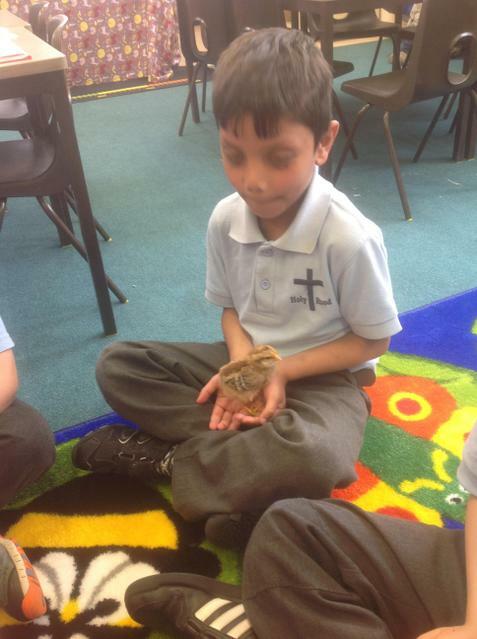 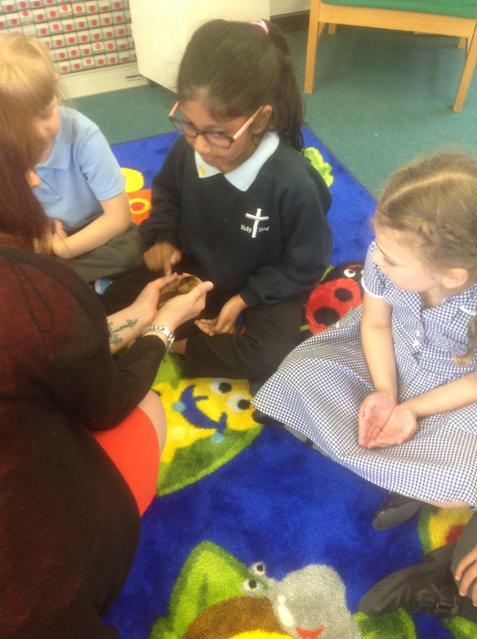 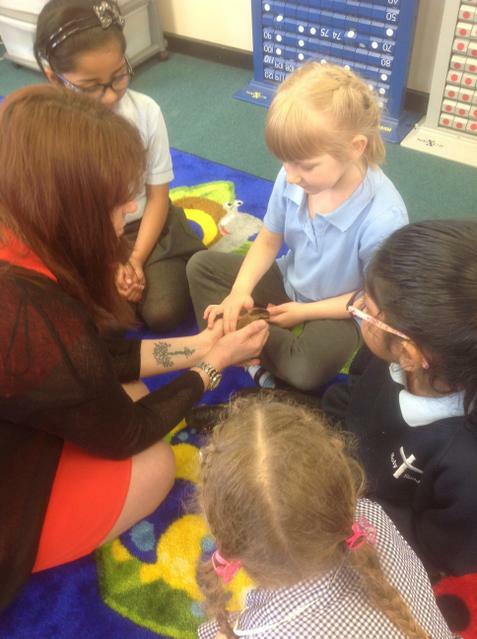 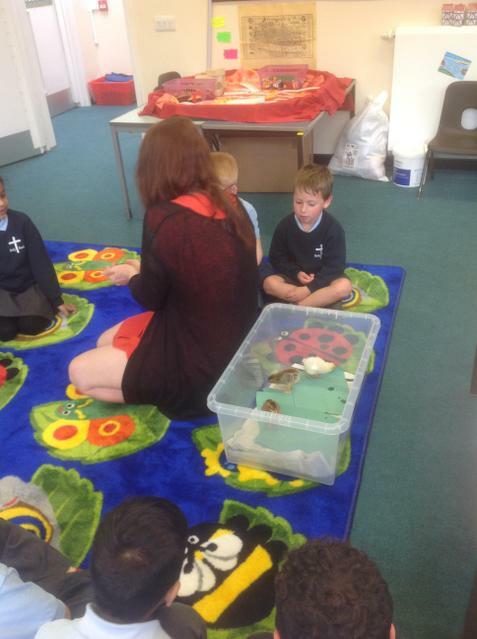 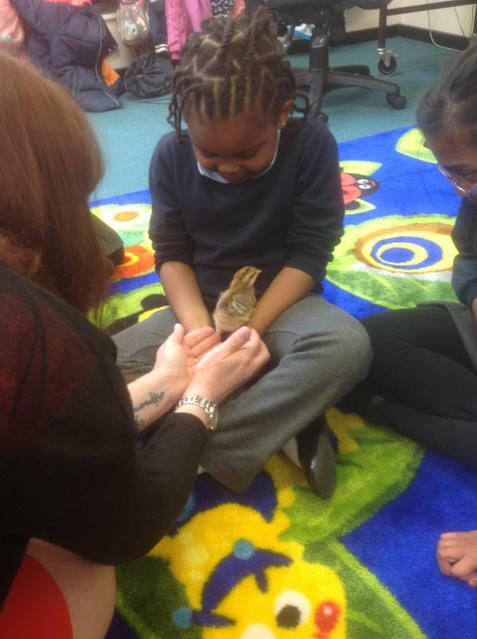 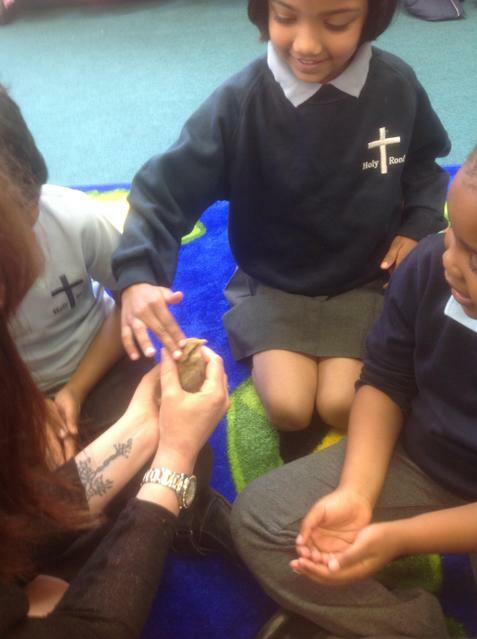 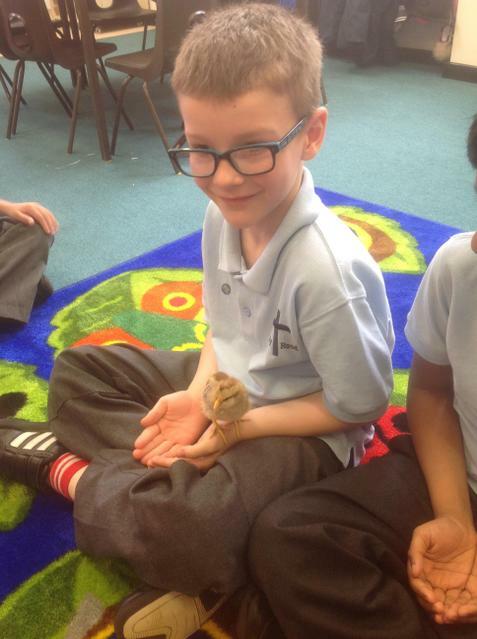 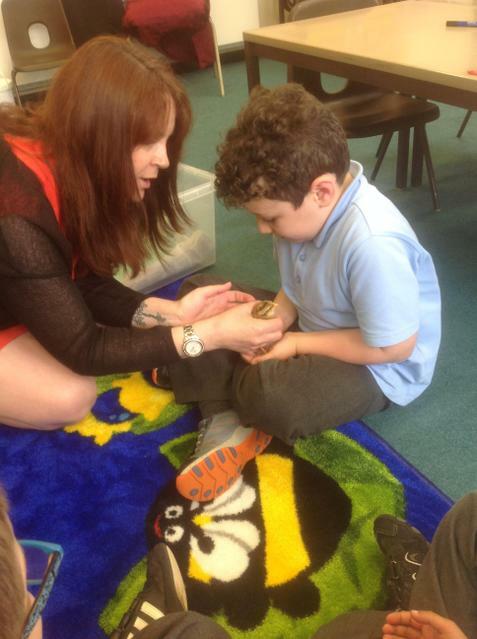 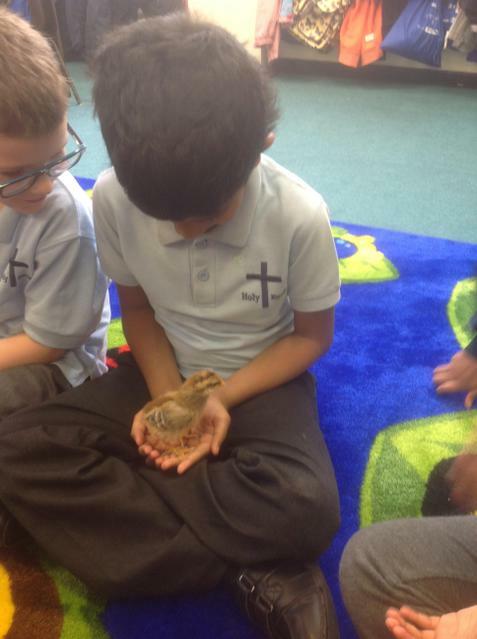 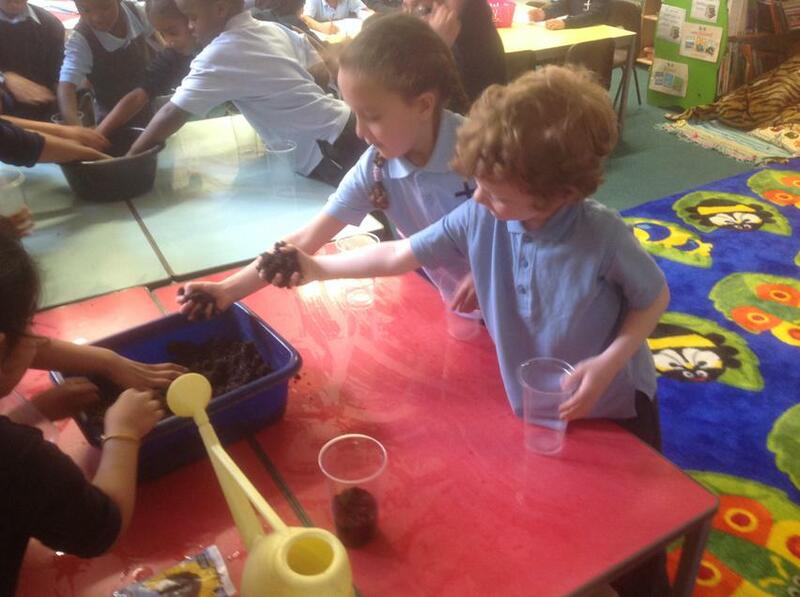 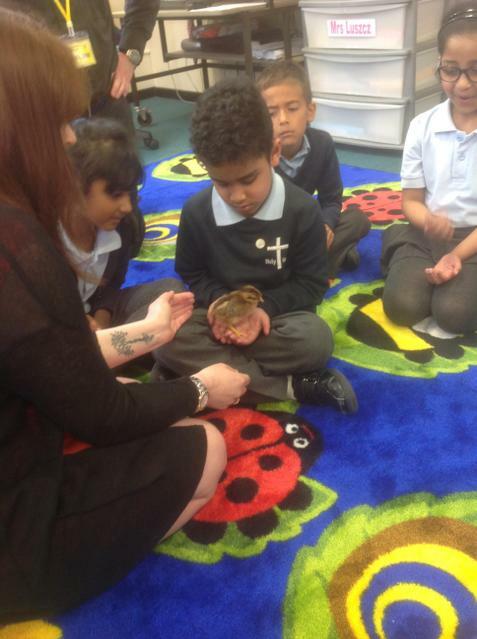 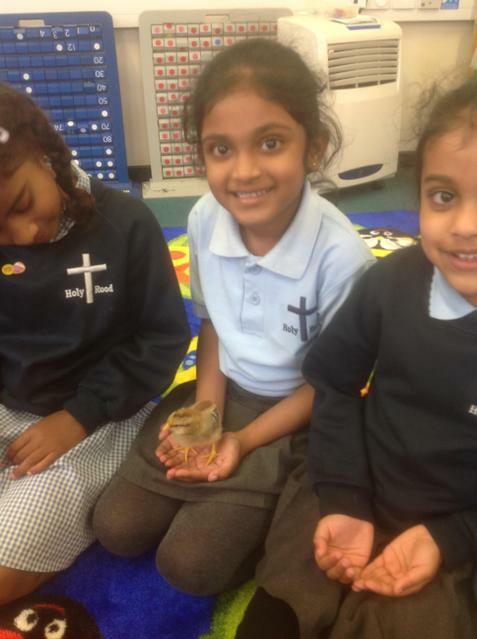 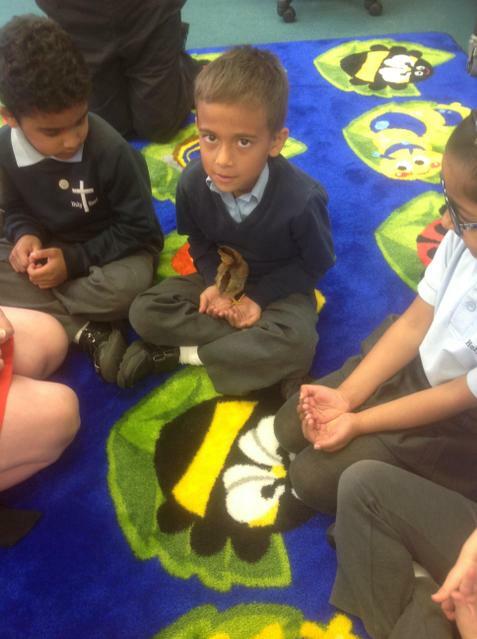 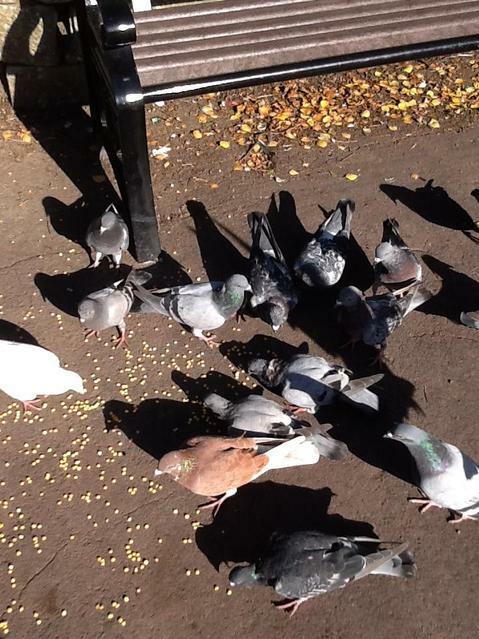 We had to make sure we were really quiet and held them very carefully. 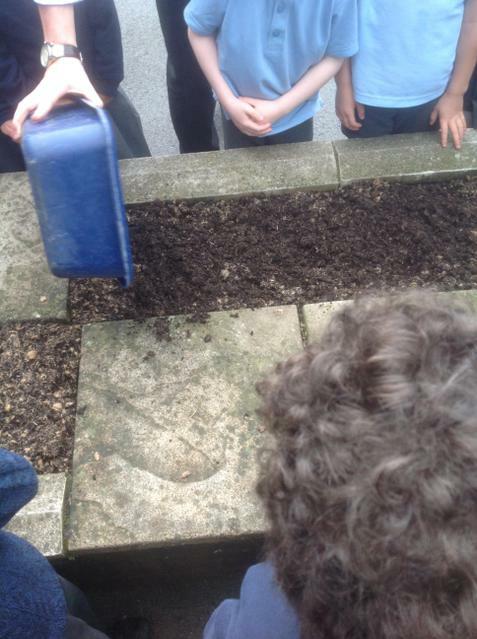 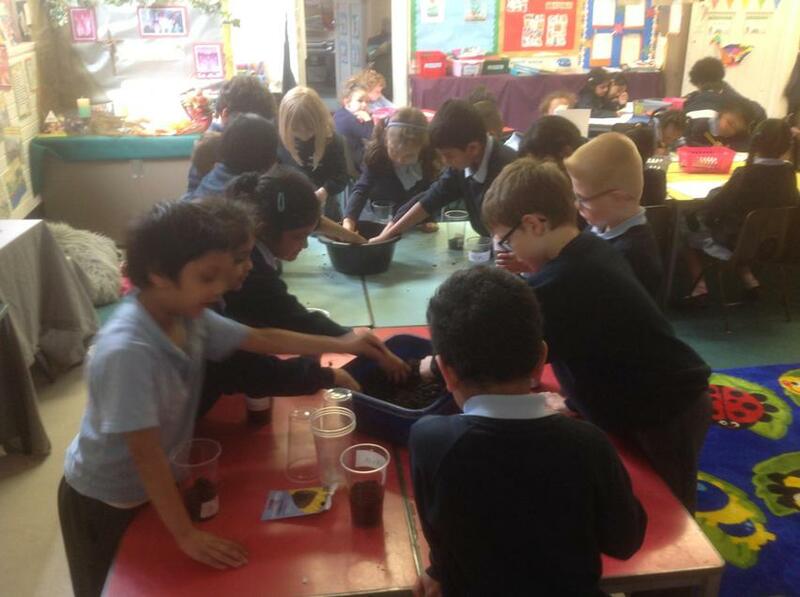 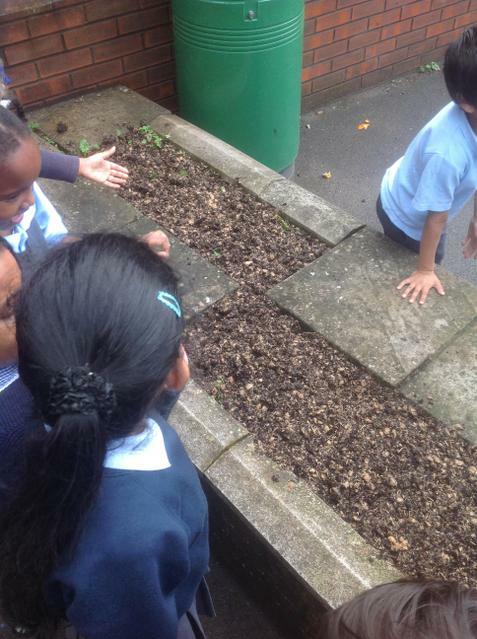 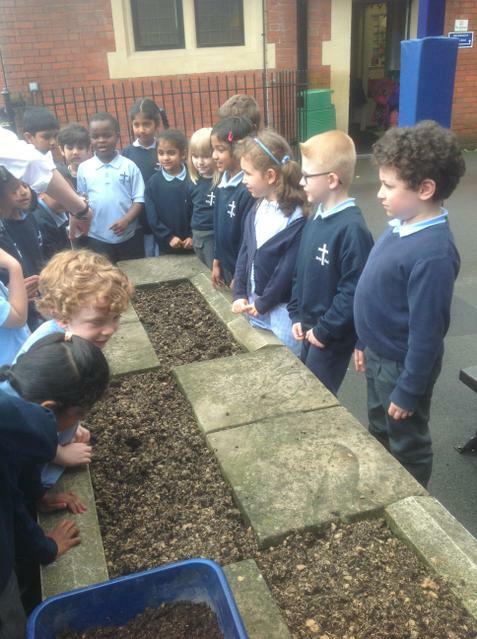 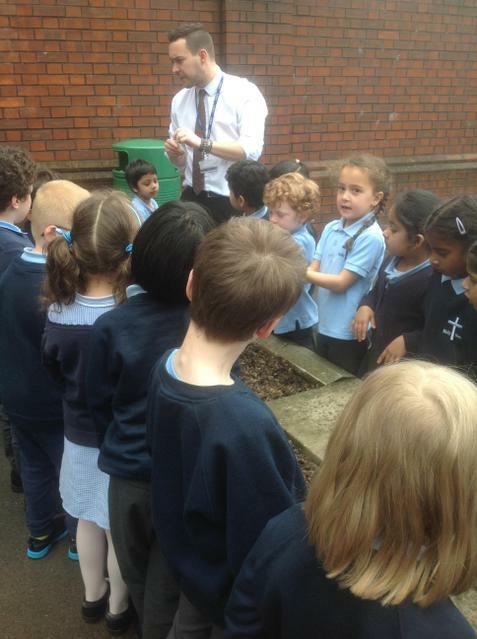 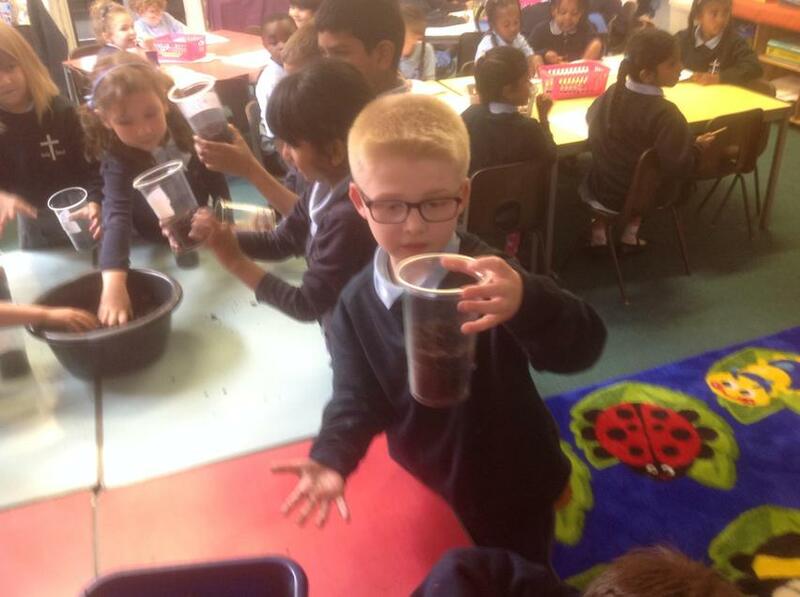 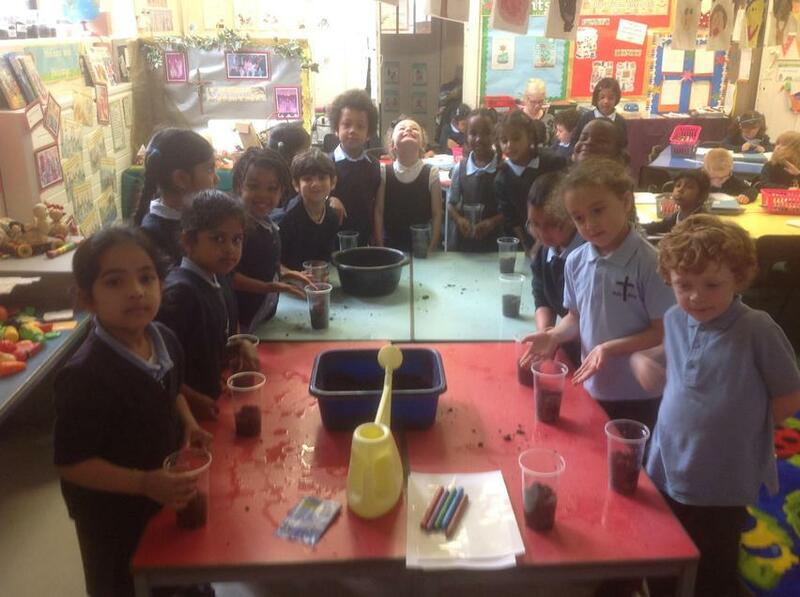 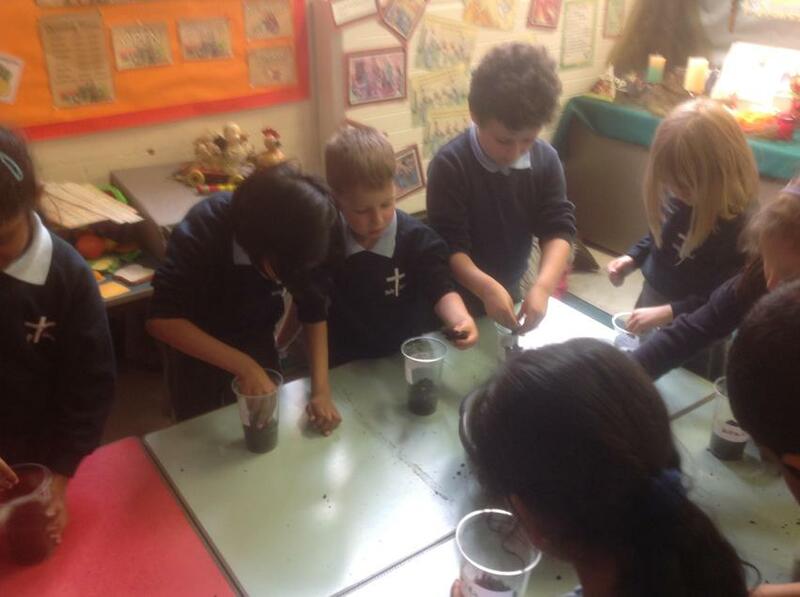 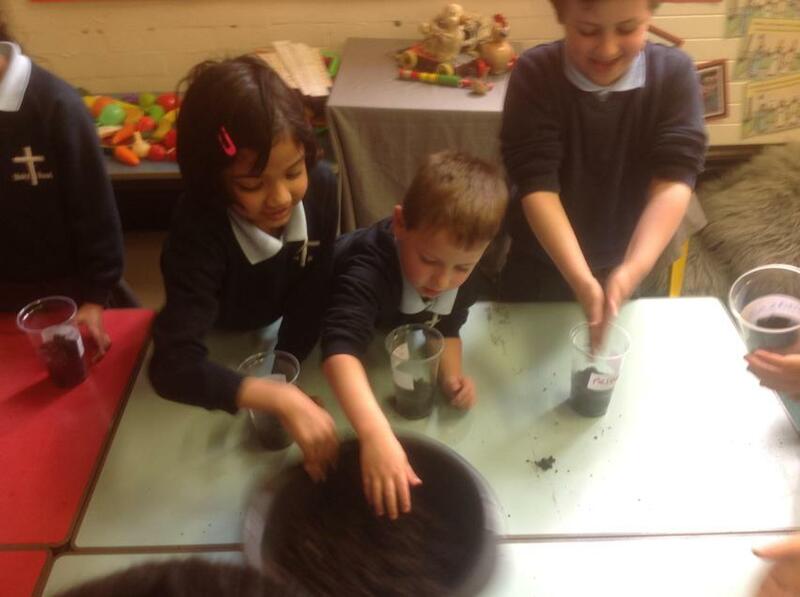 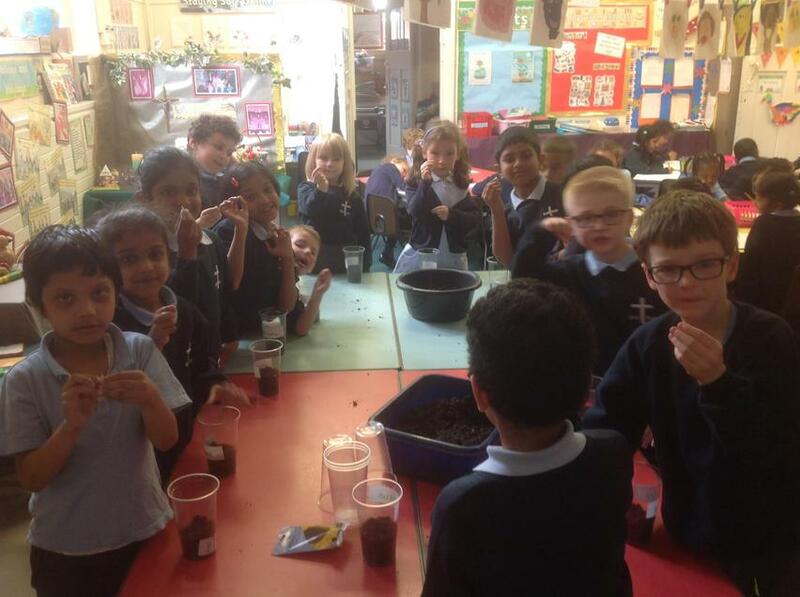 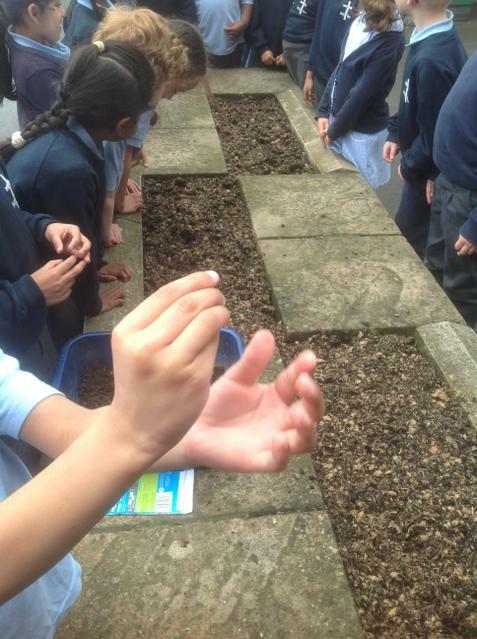 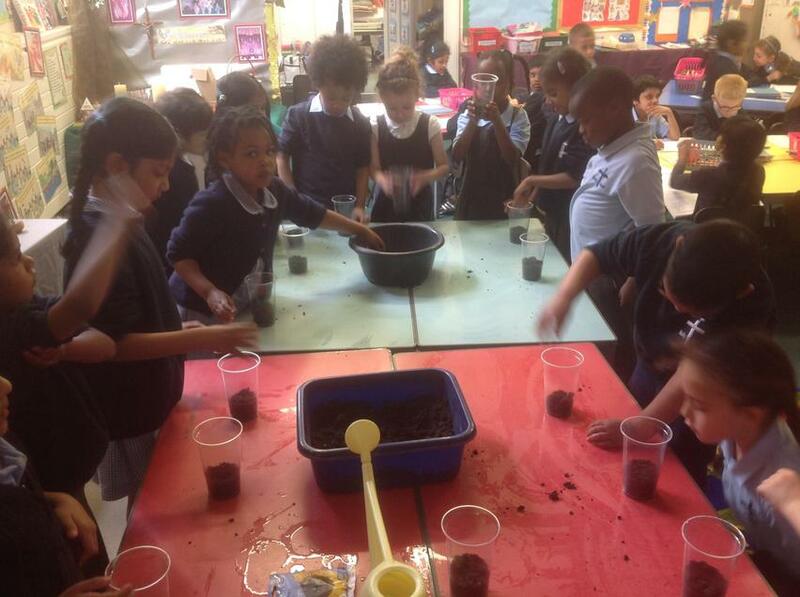 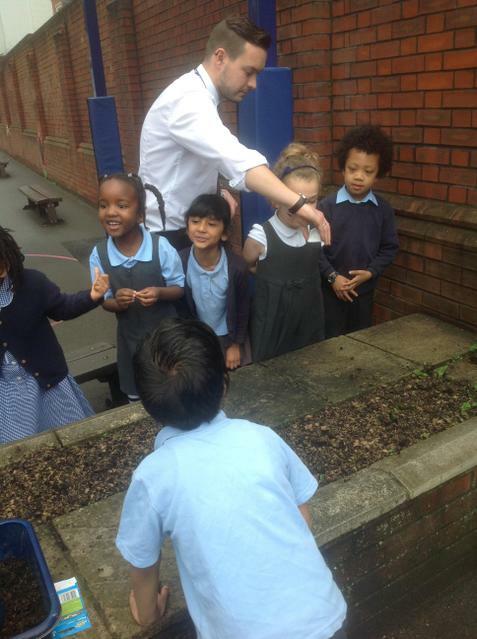 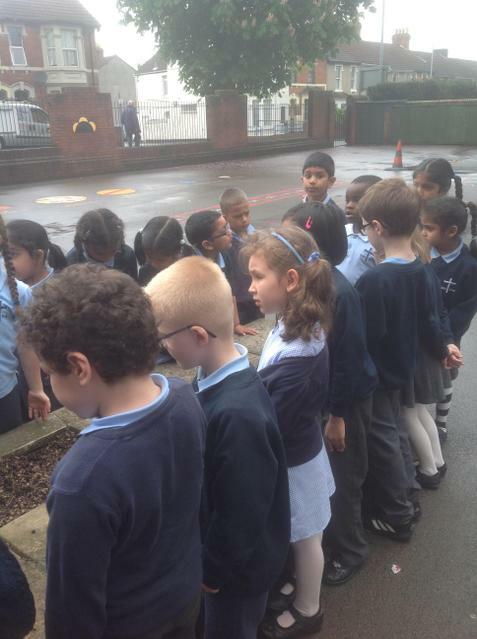 We have been busy planting sunflower seeds, over the next few weeks, we are going to watch our sunflowers grow and record what we find. 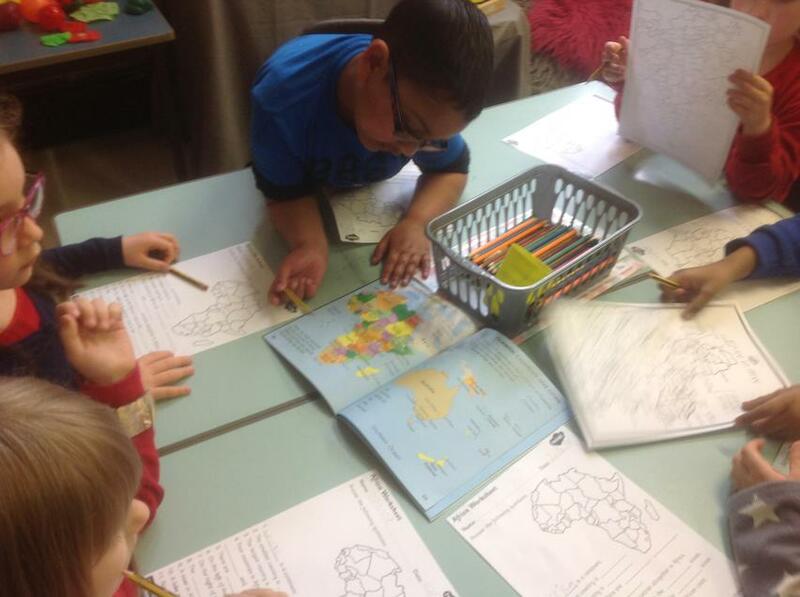 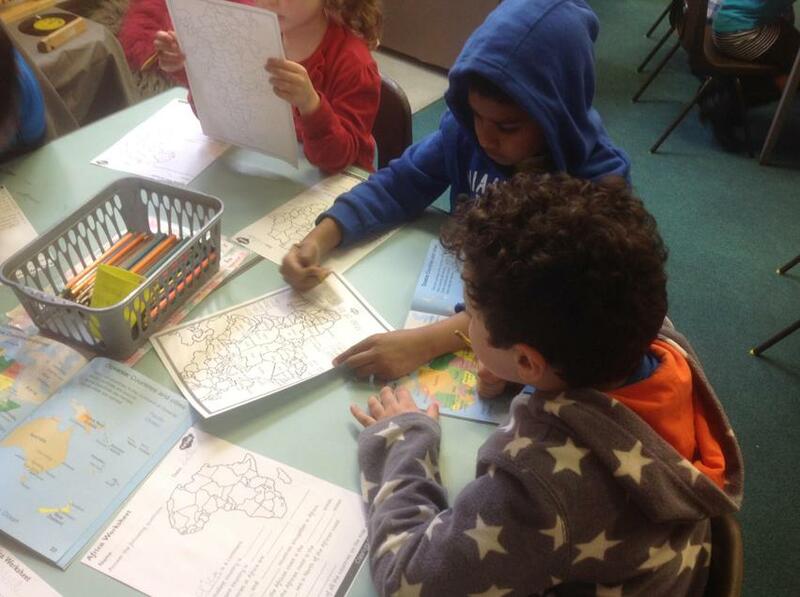 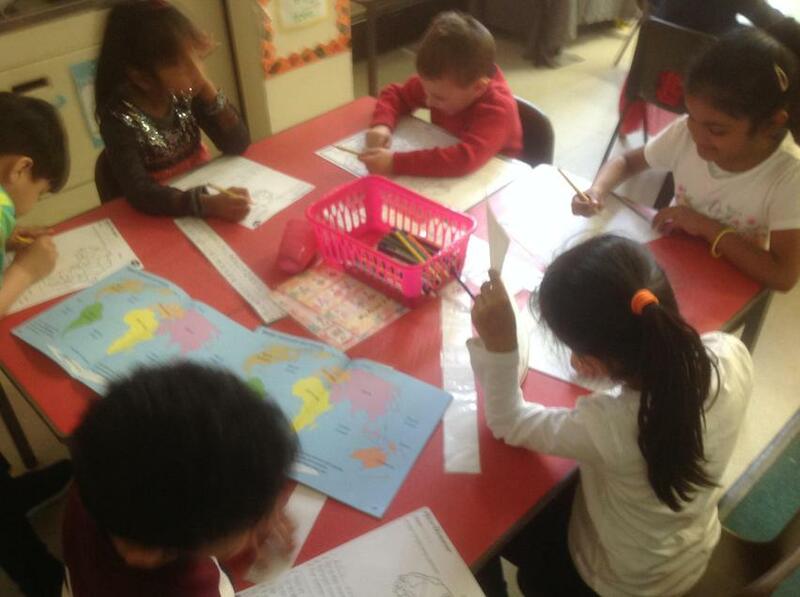 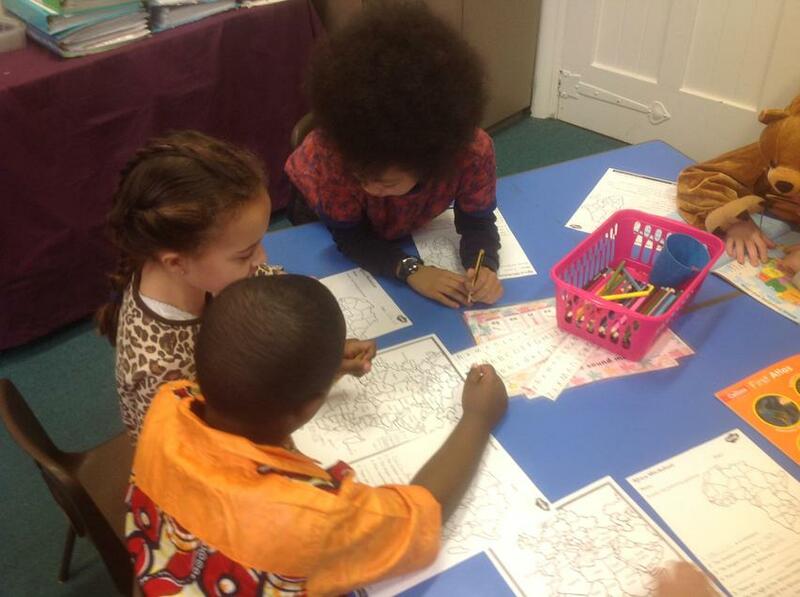 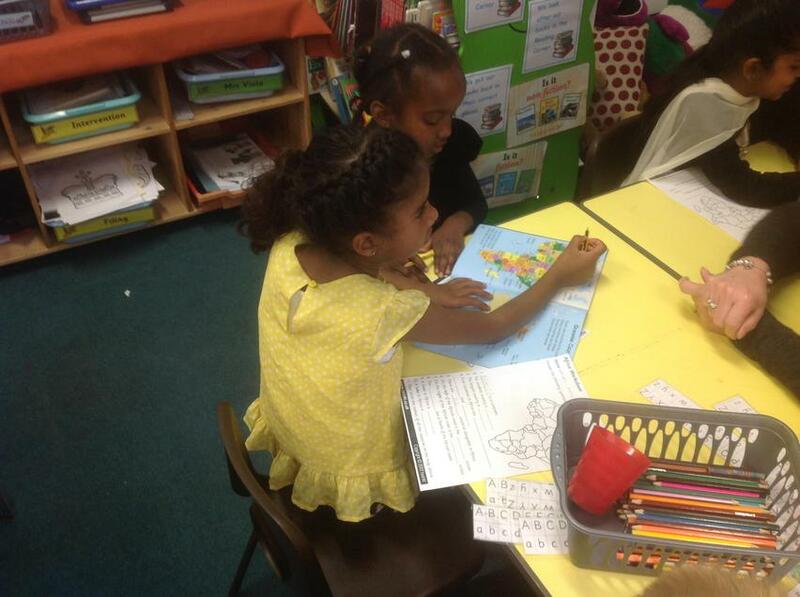 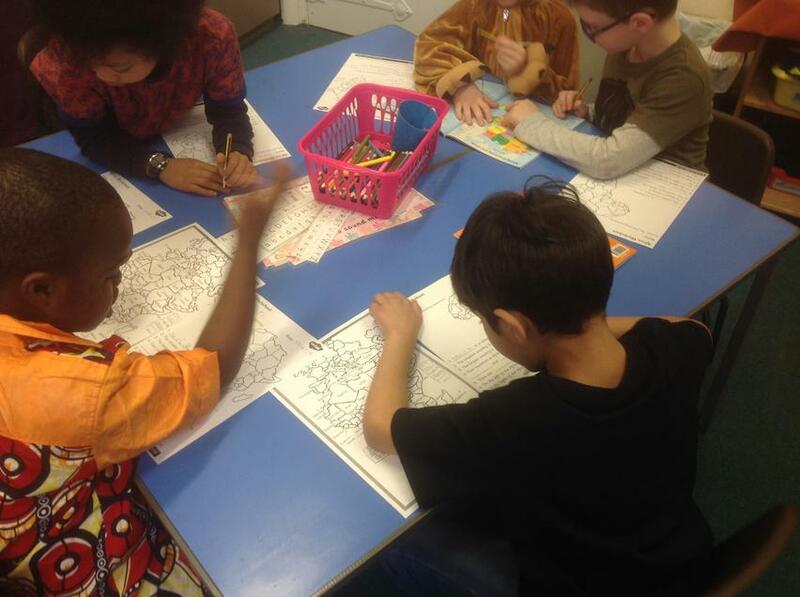 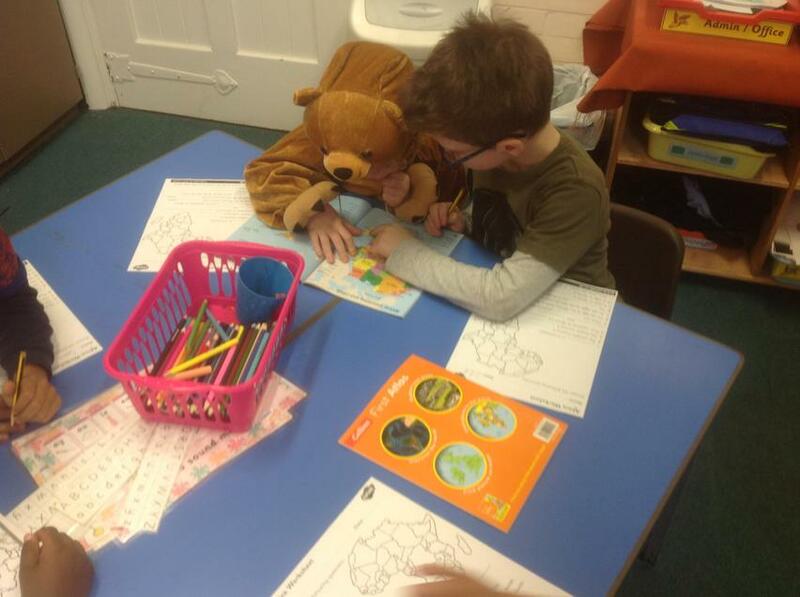 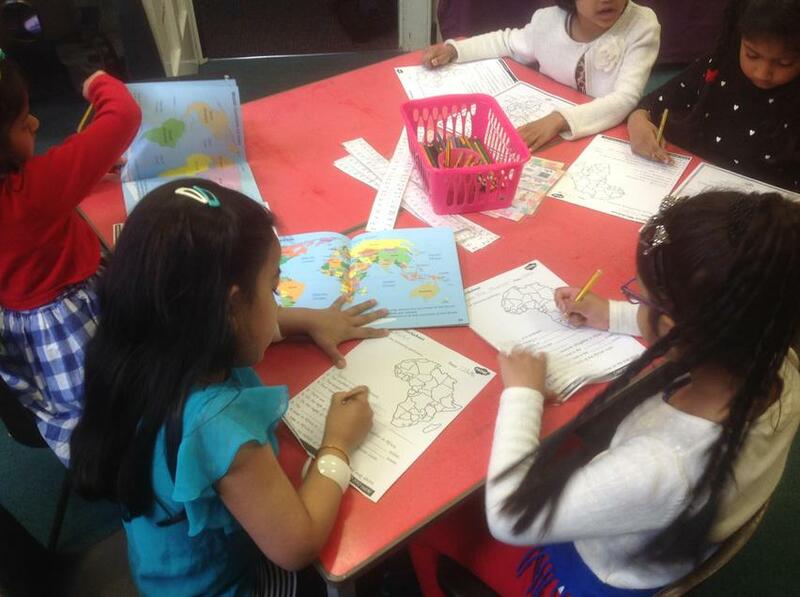 Today we used maps and atlas' to find out about the geography of Africa. 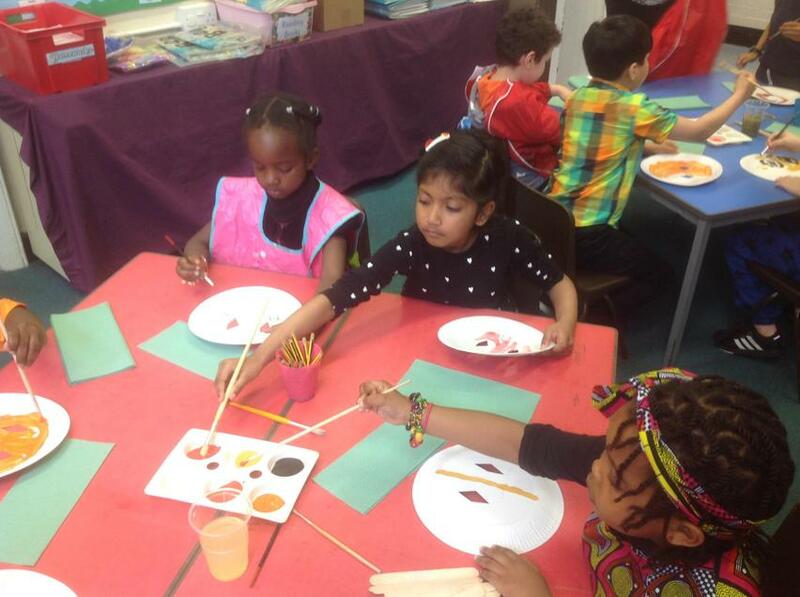 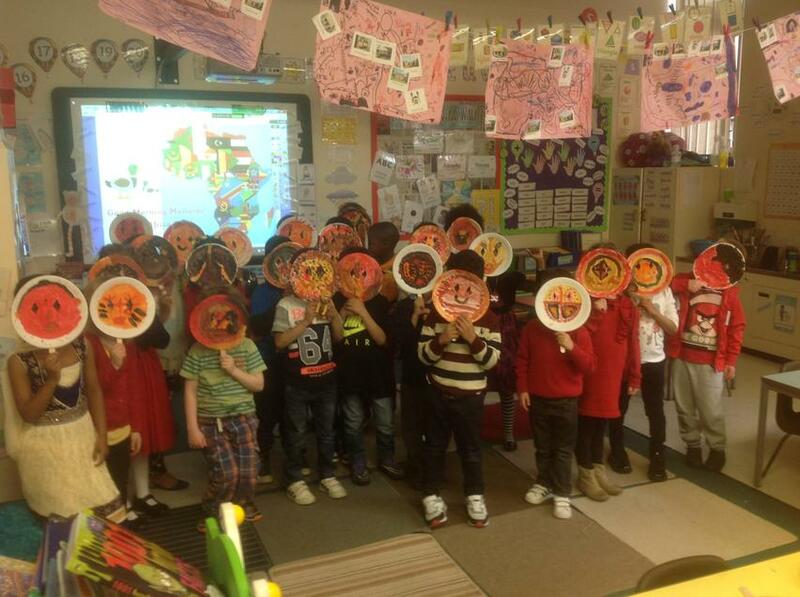 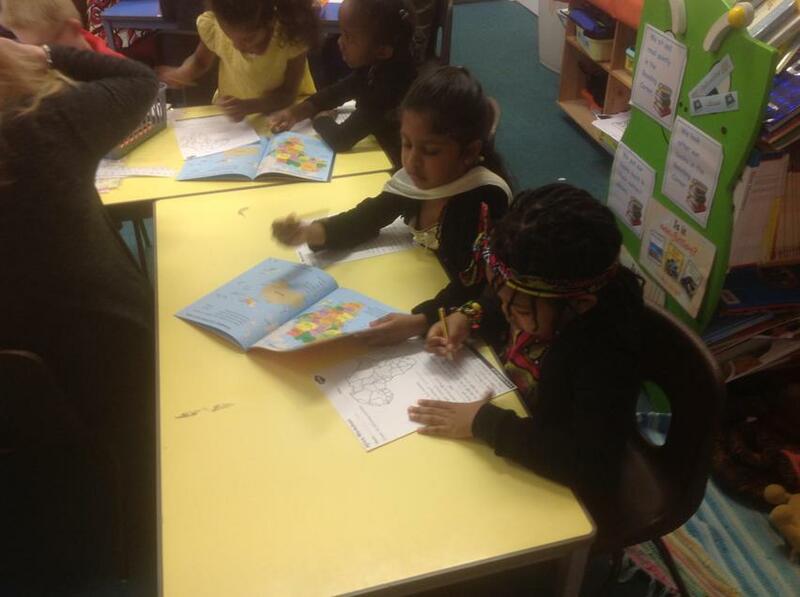 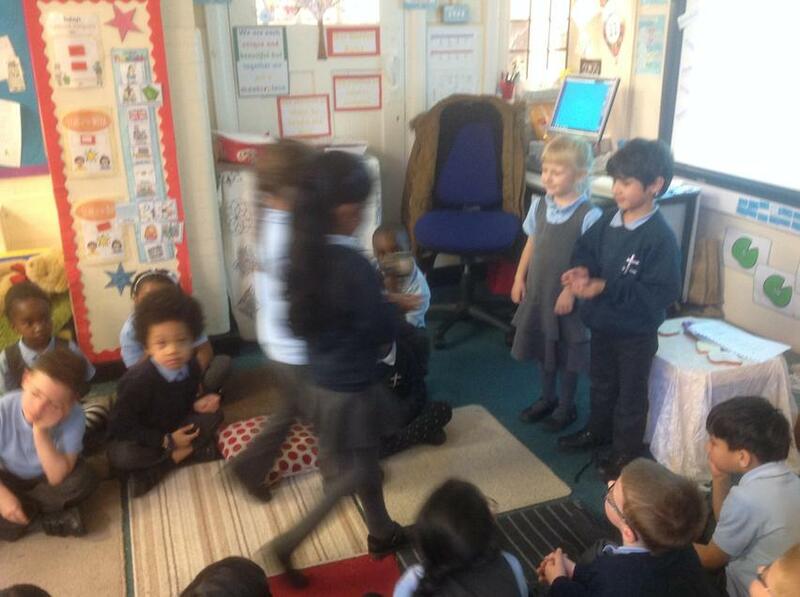 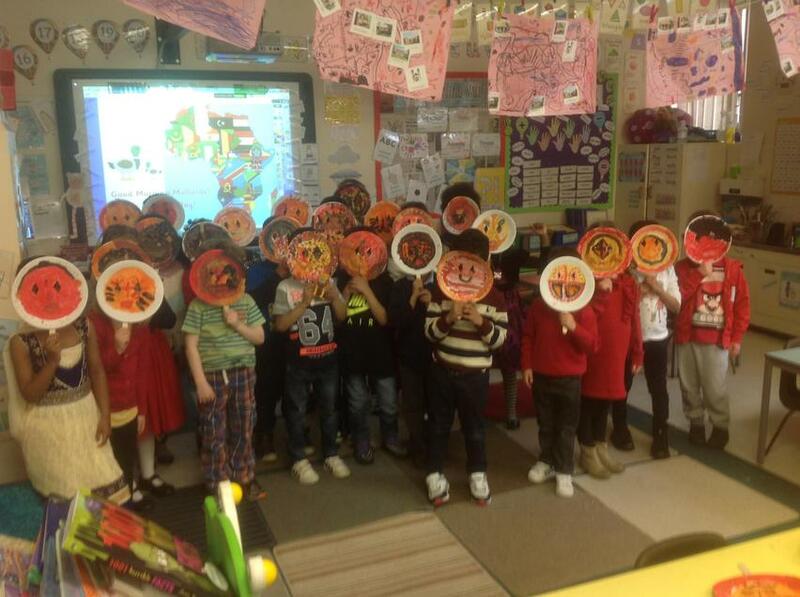 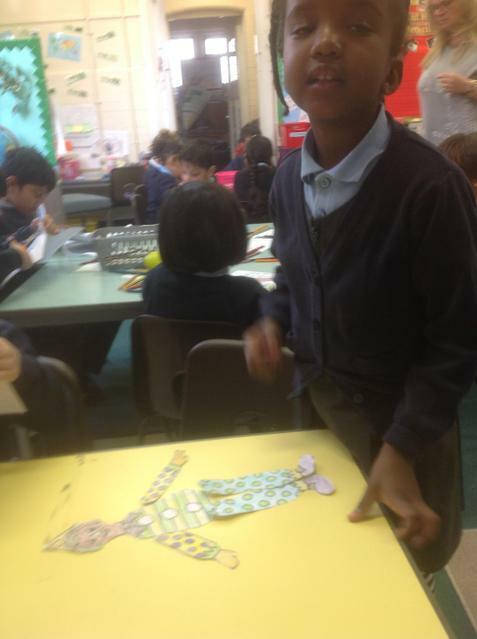 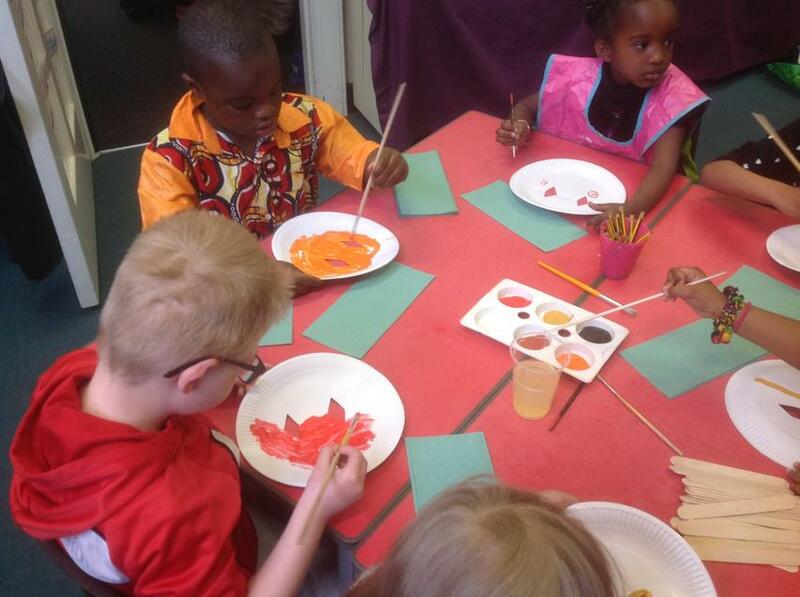 We also made different African masks and practised a traditional dance. 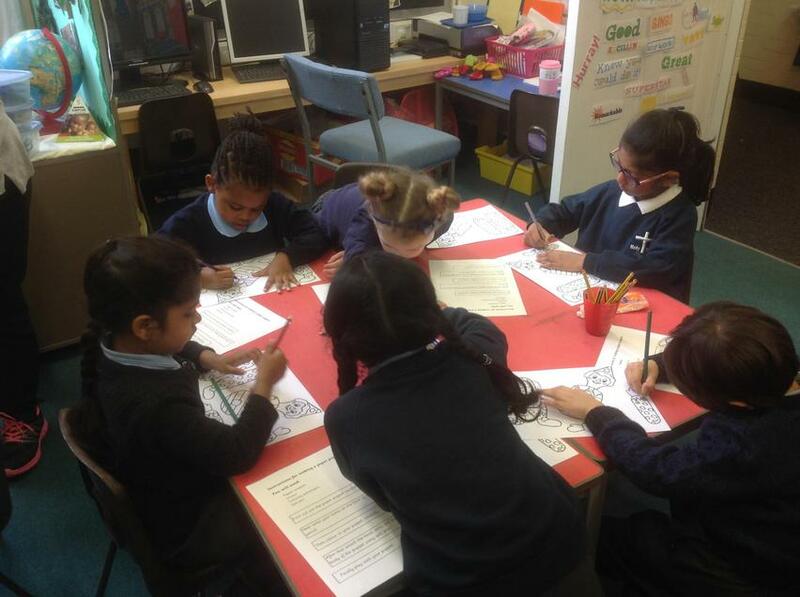 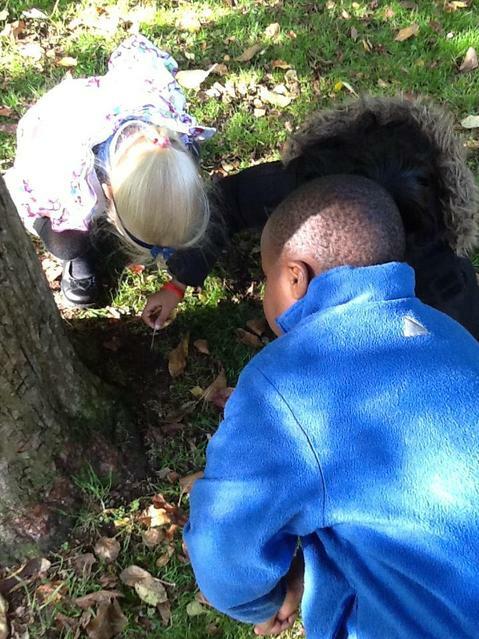 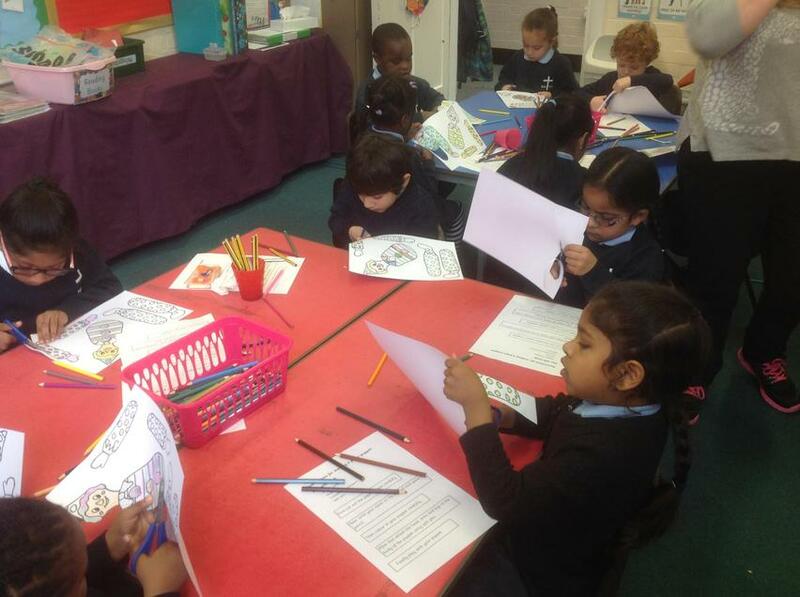 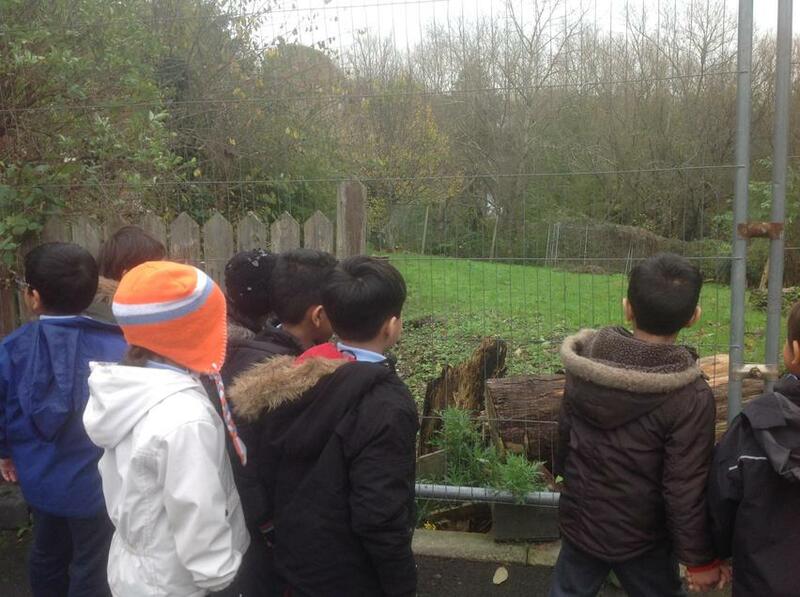 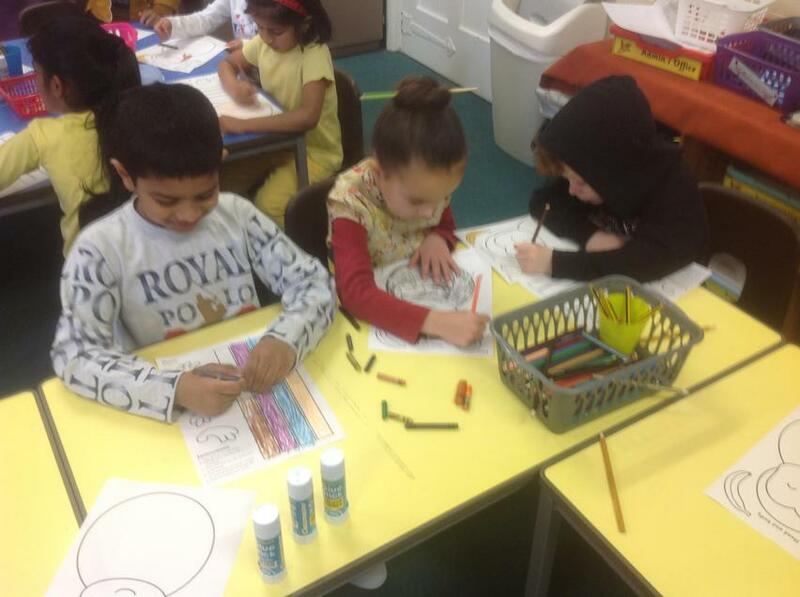 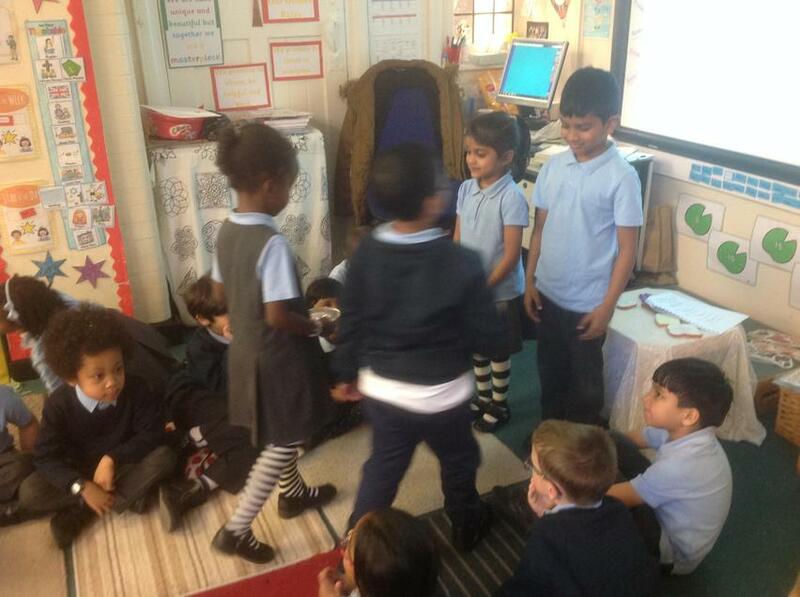 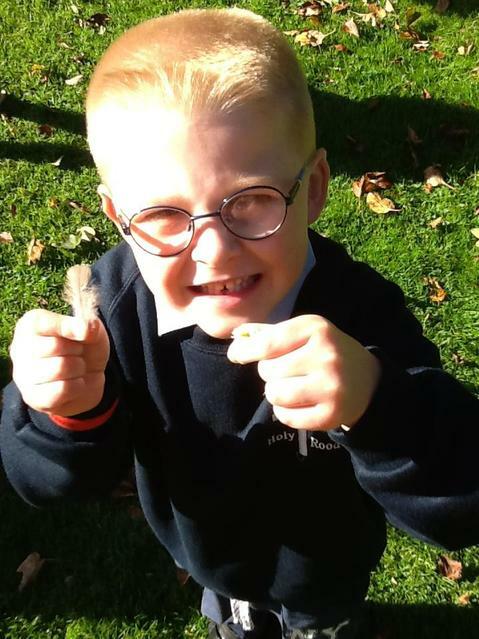 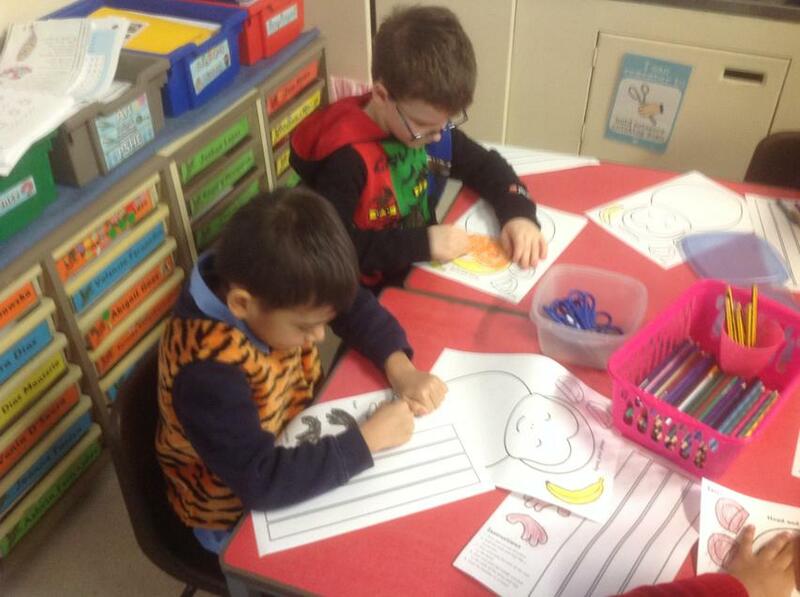 We have been looking at the story of 'Where the Wild Things Are'. 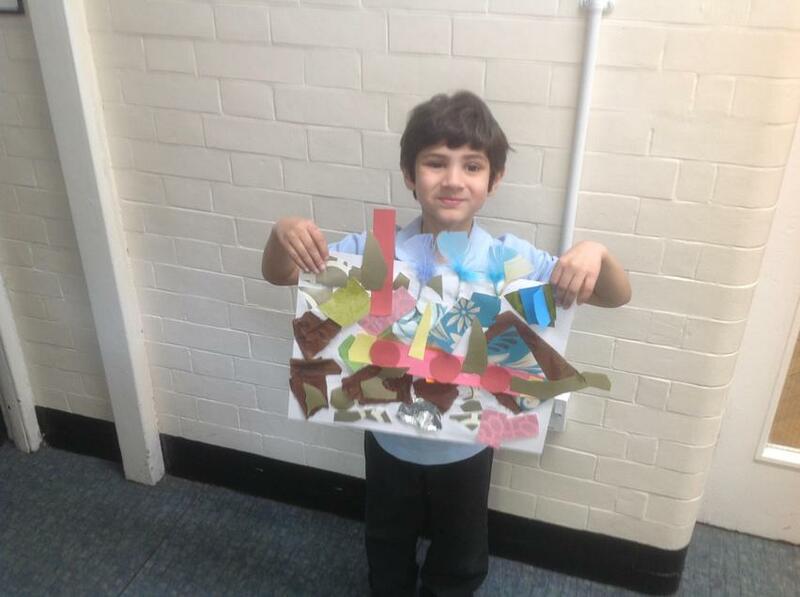 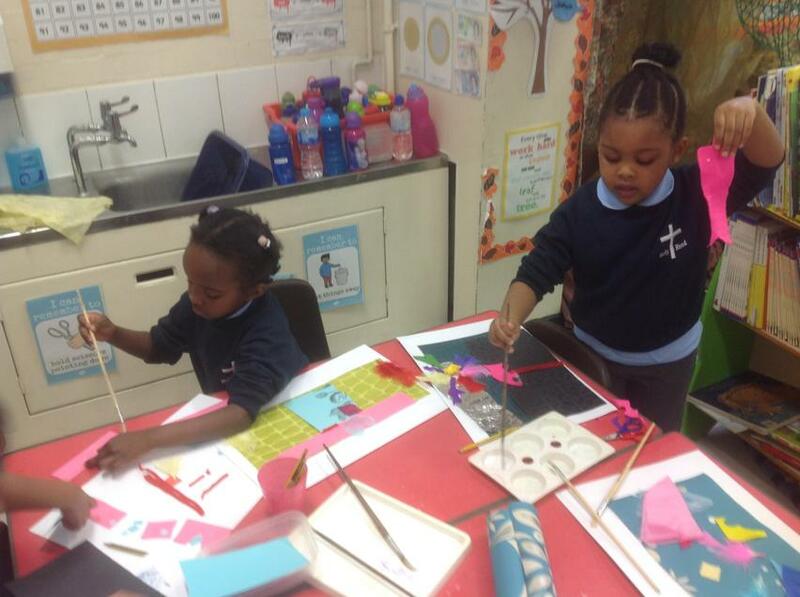 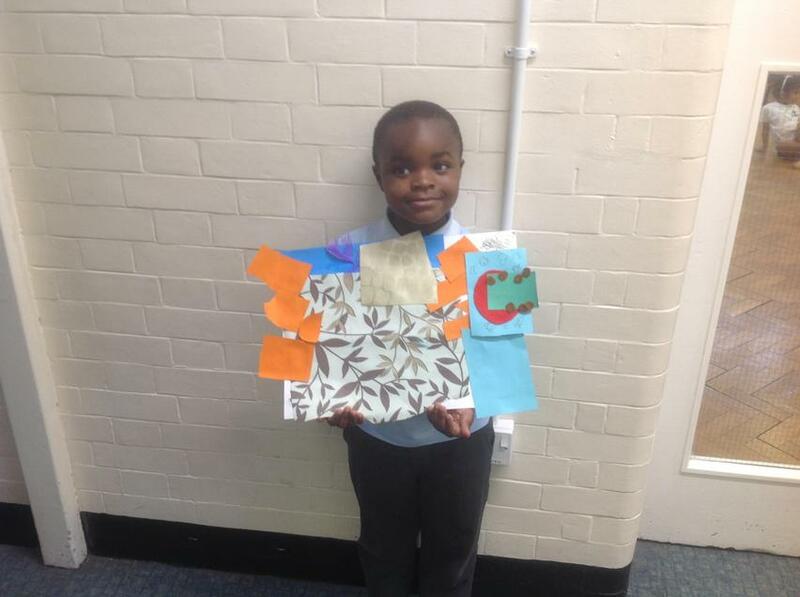 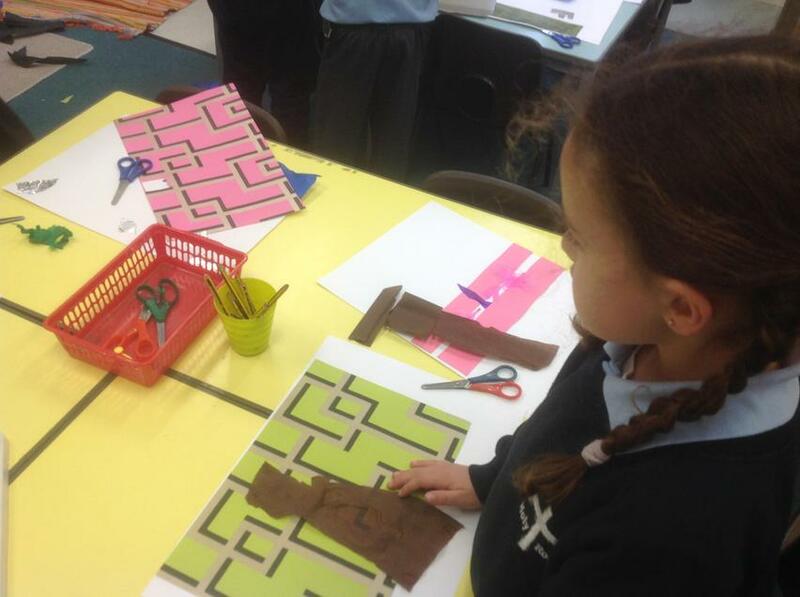 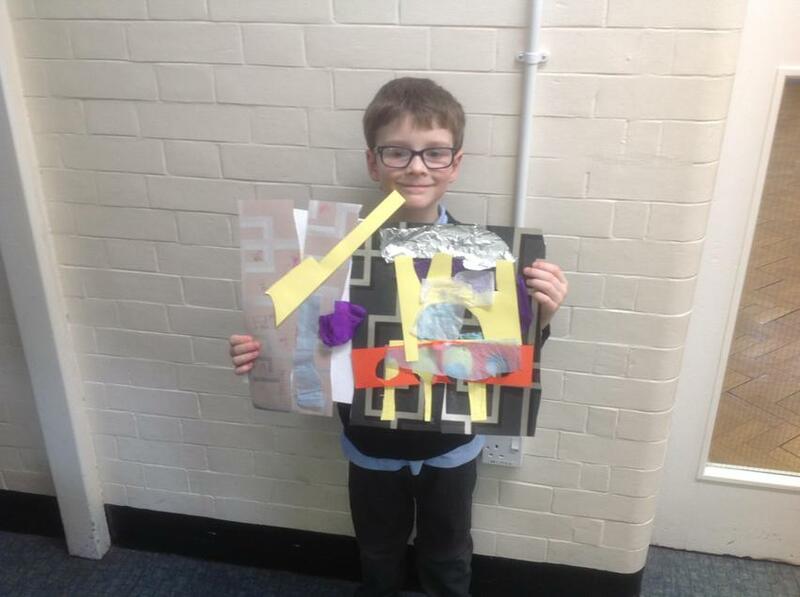 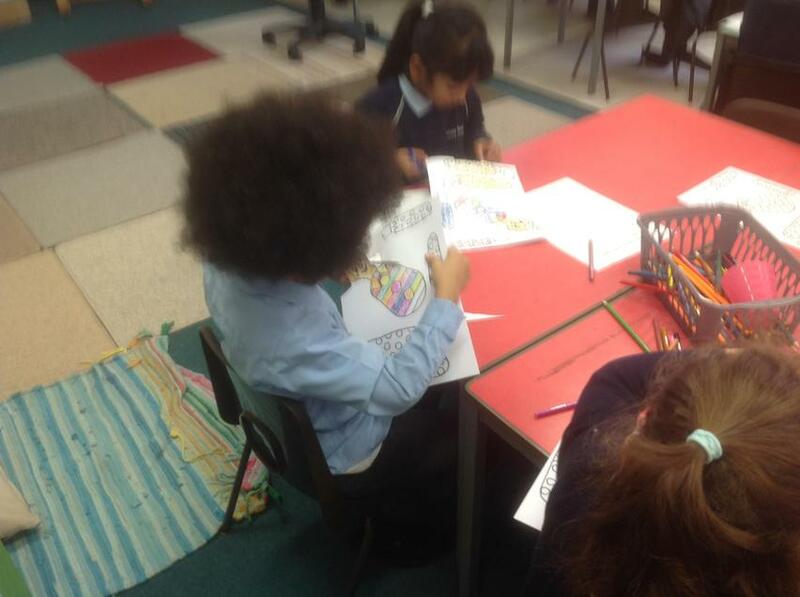 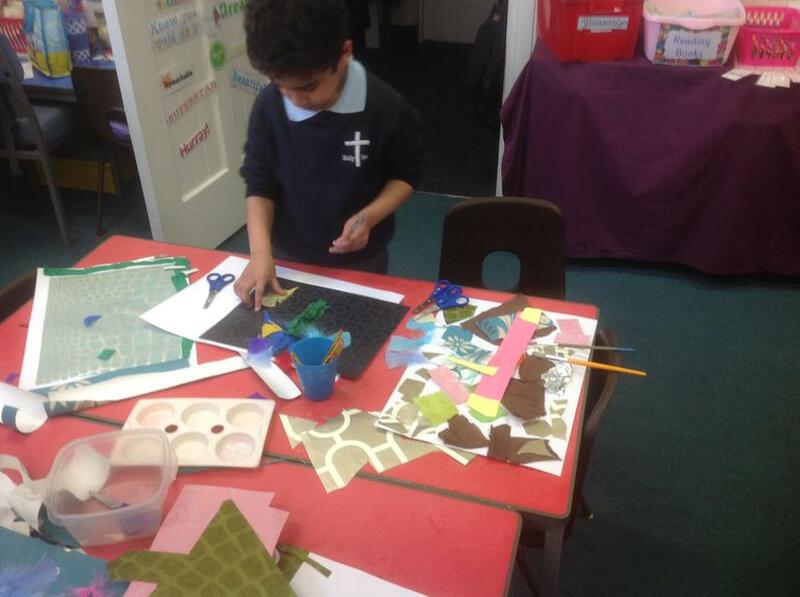 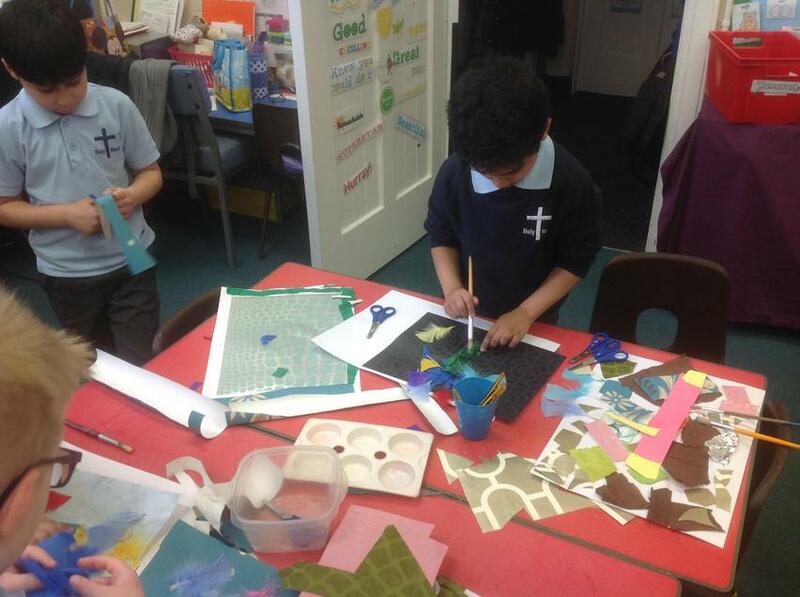 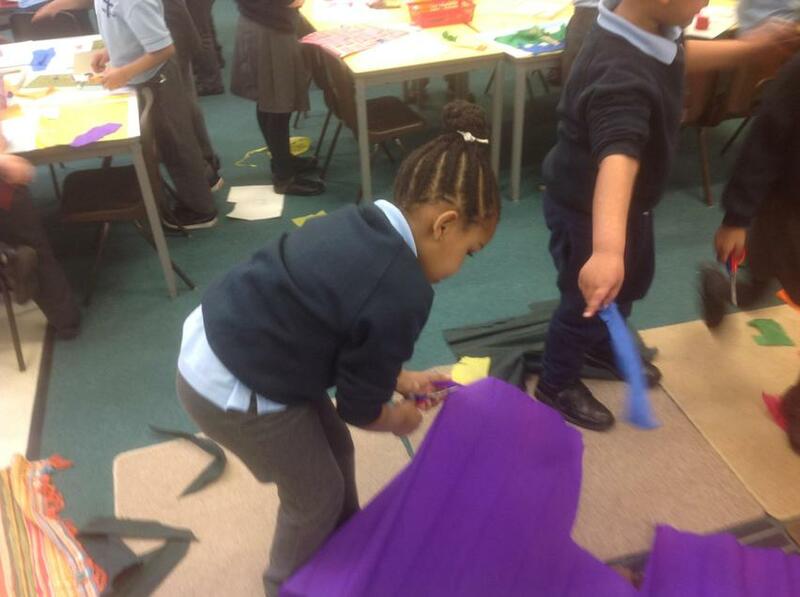 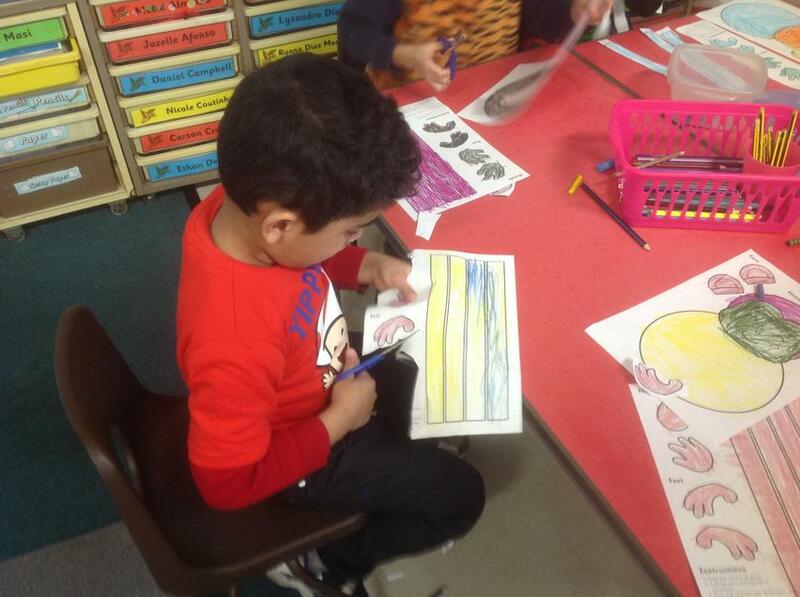 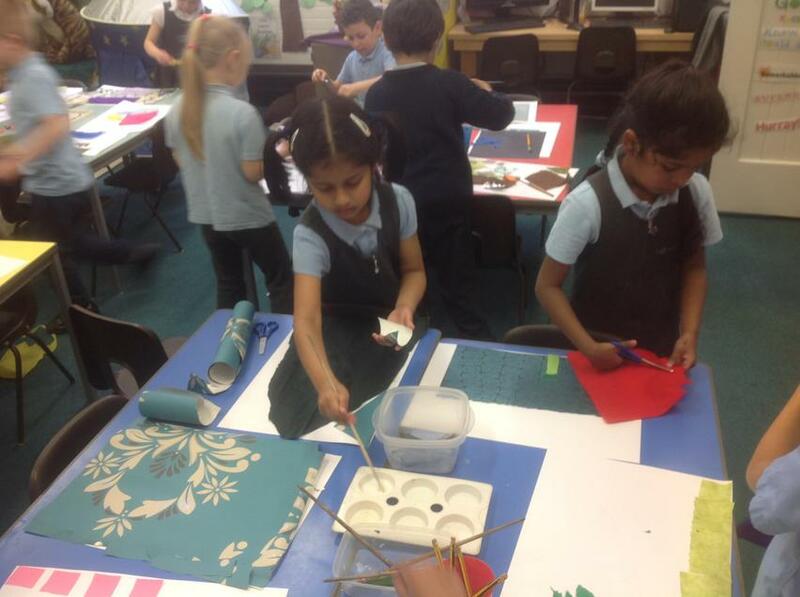 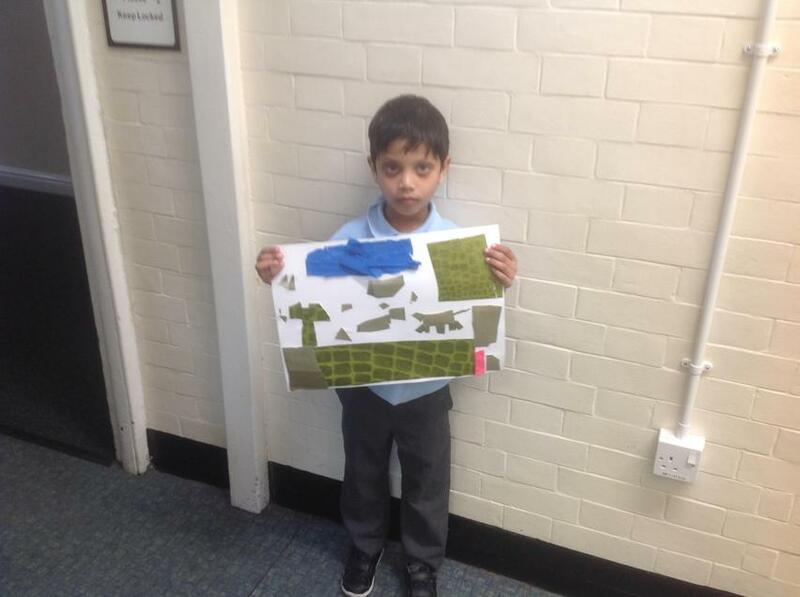 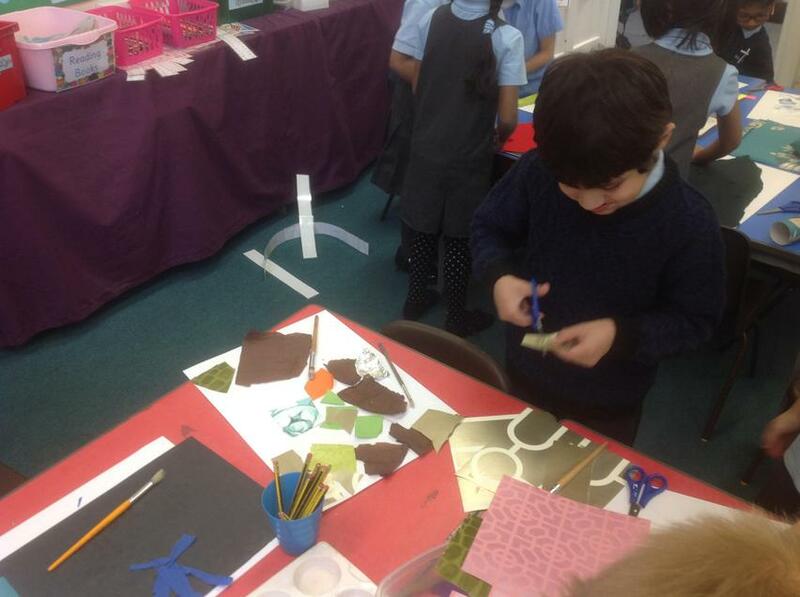 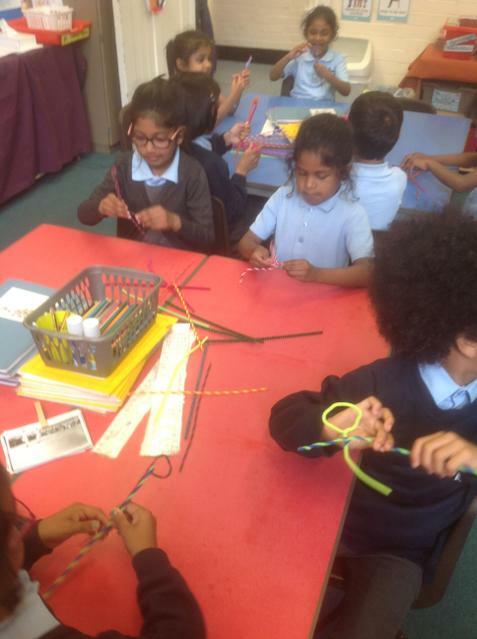 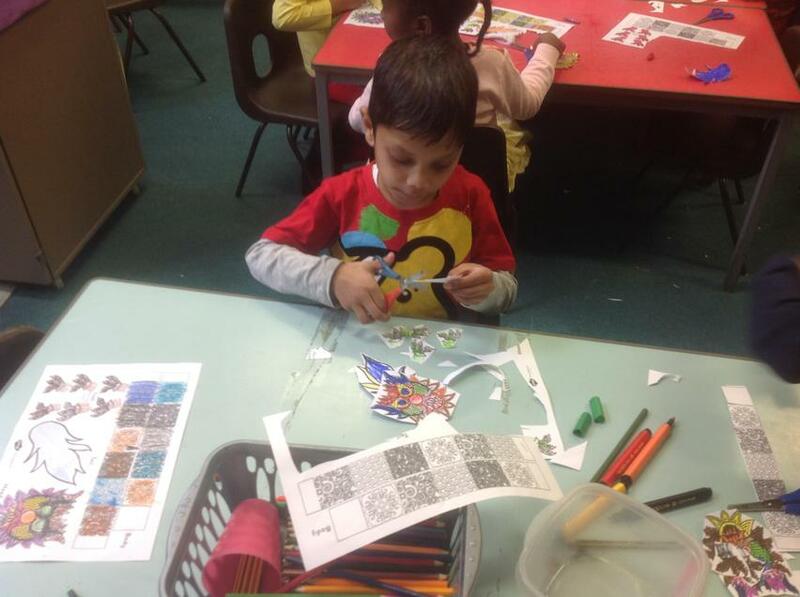 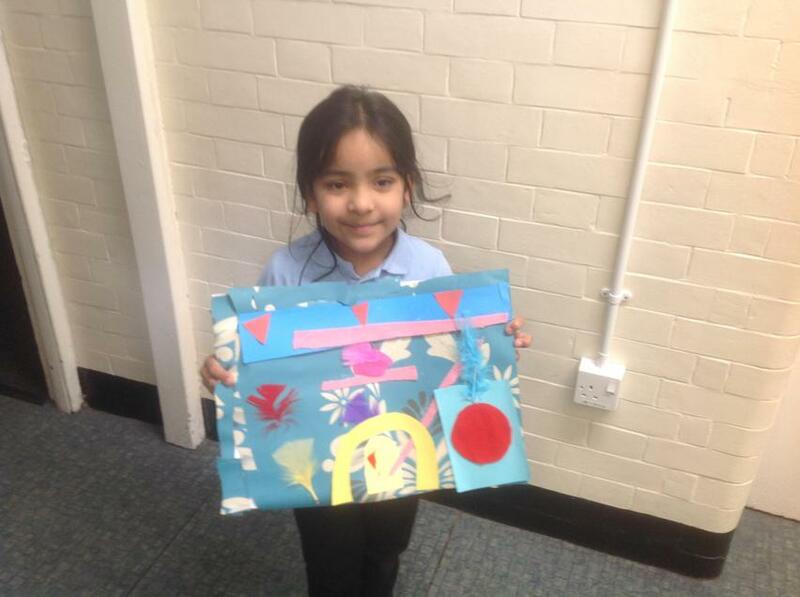 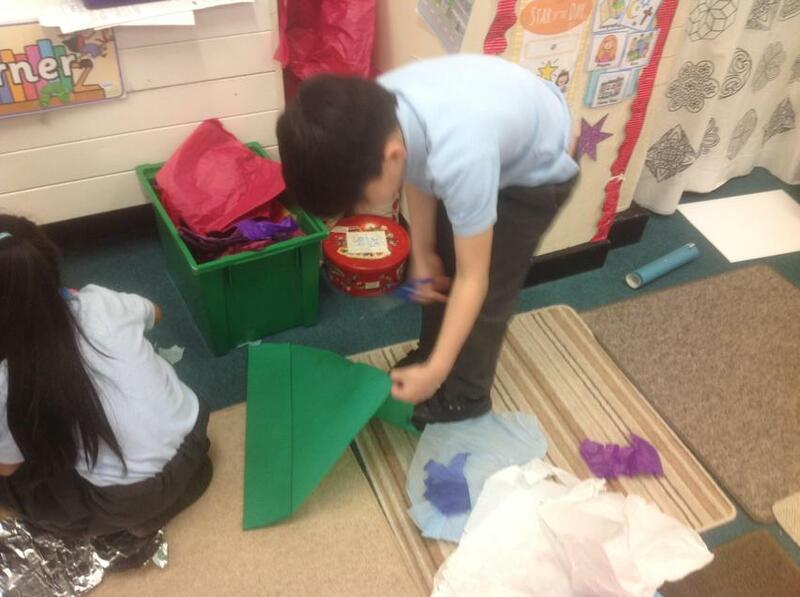 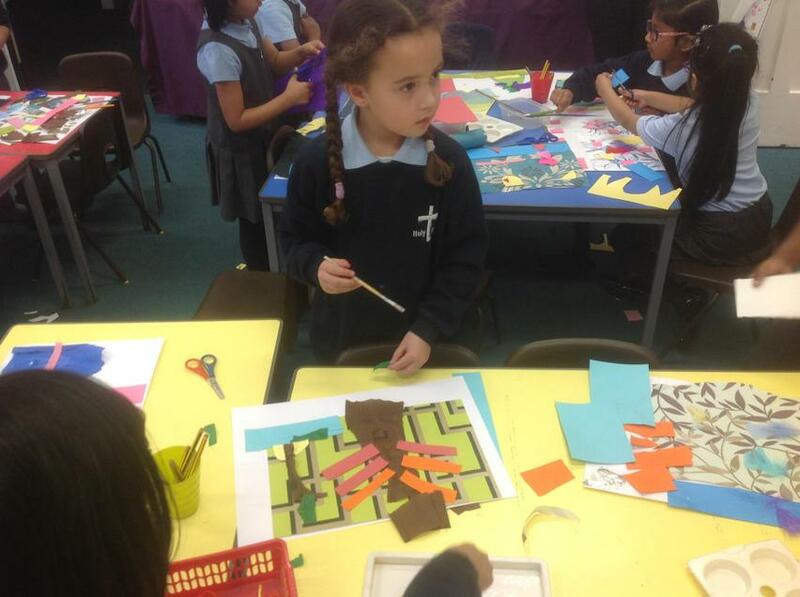 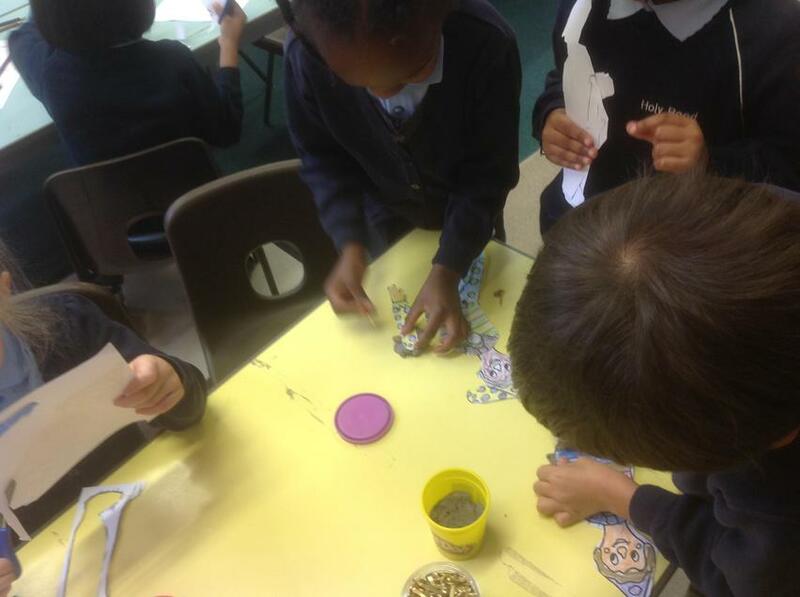 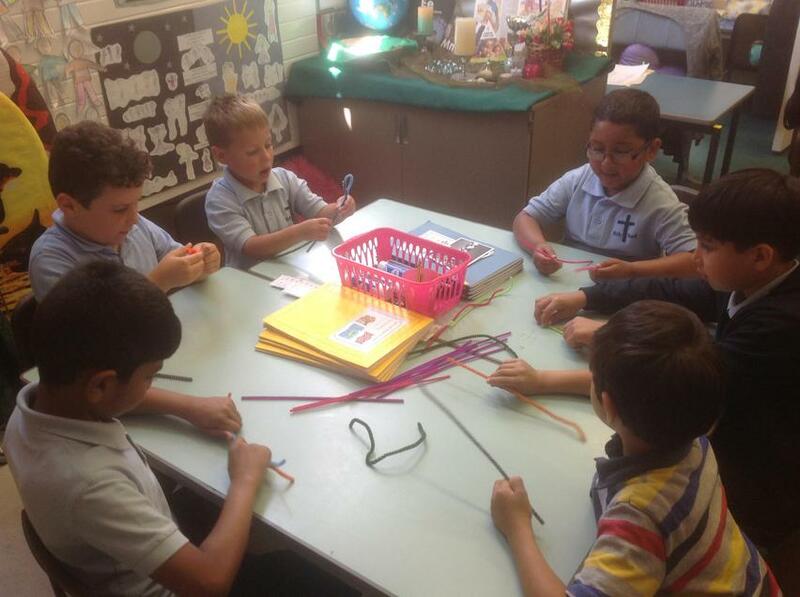 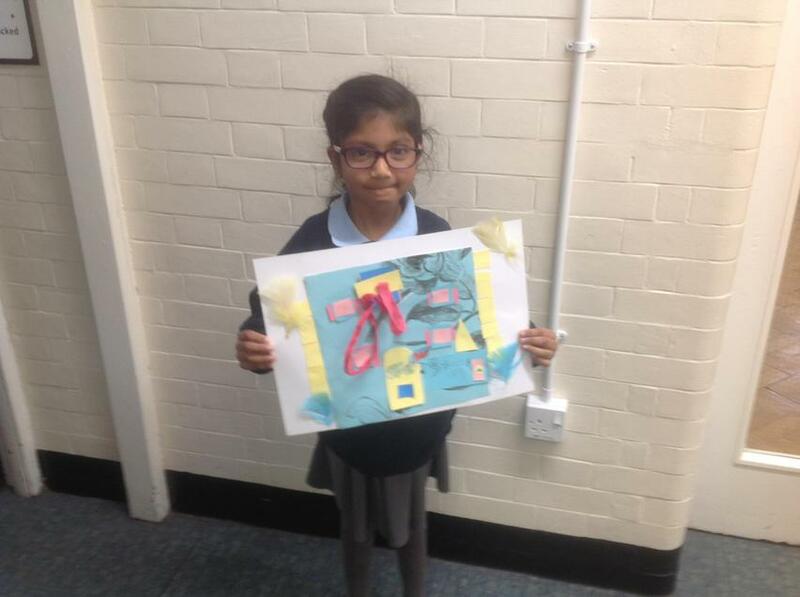 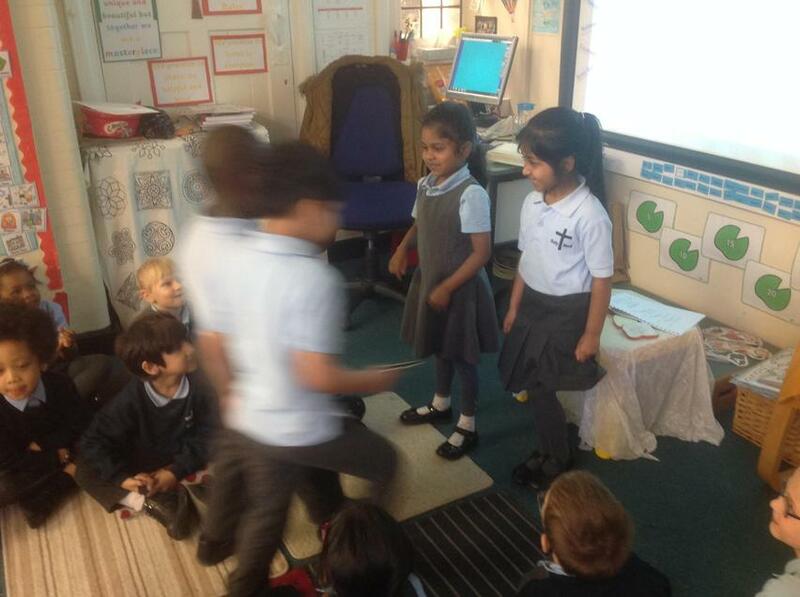 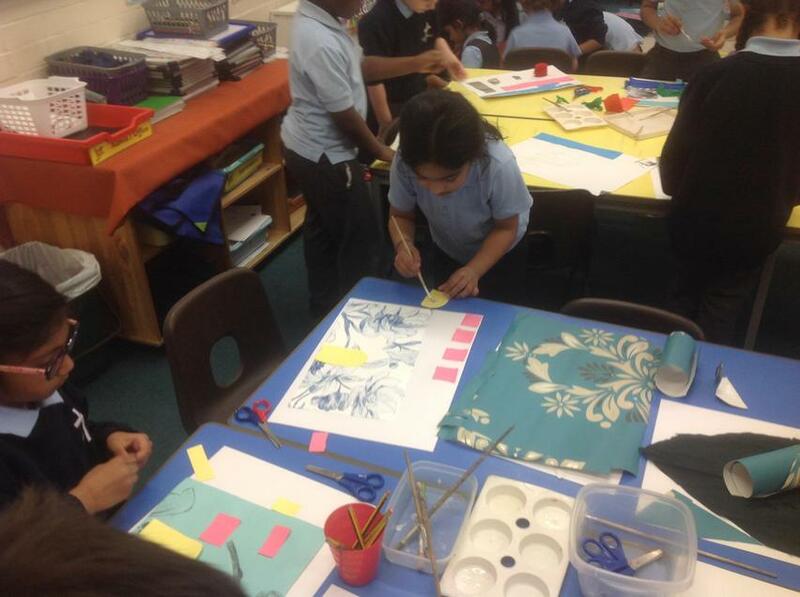 We used the story as inspiration for creating our own fantasy worlds and used different materials. 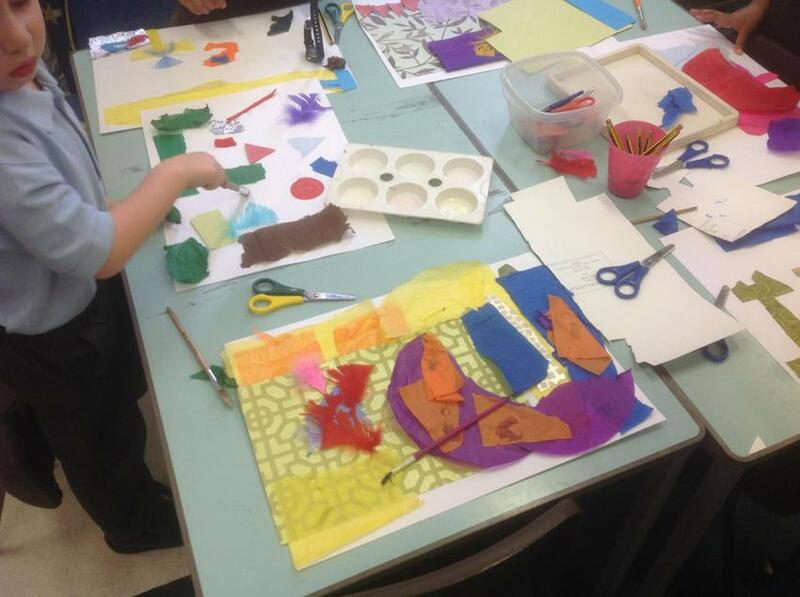 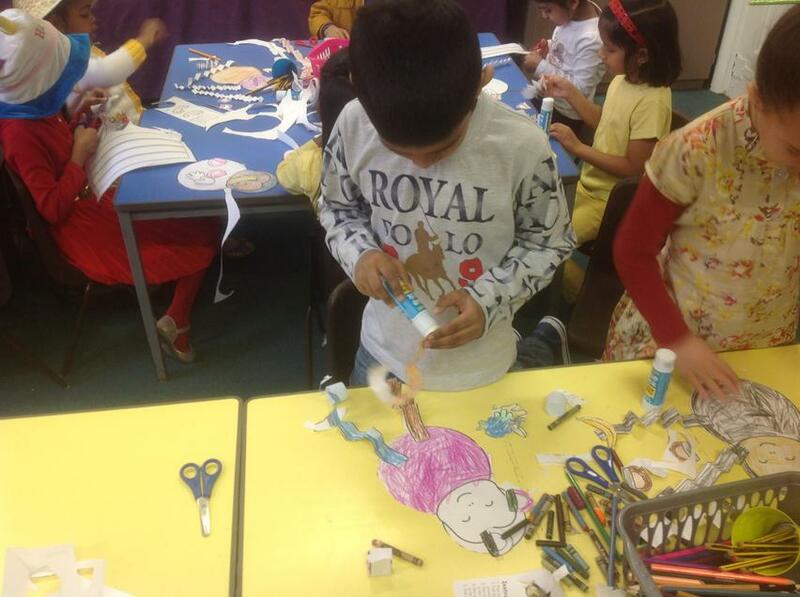 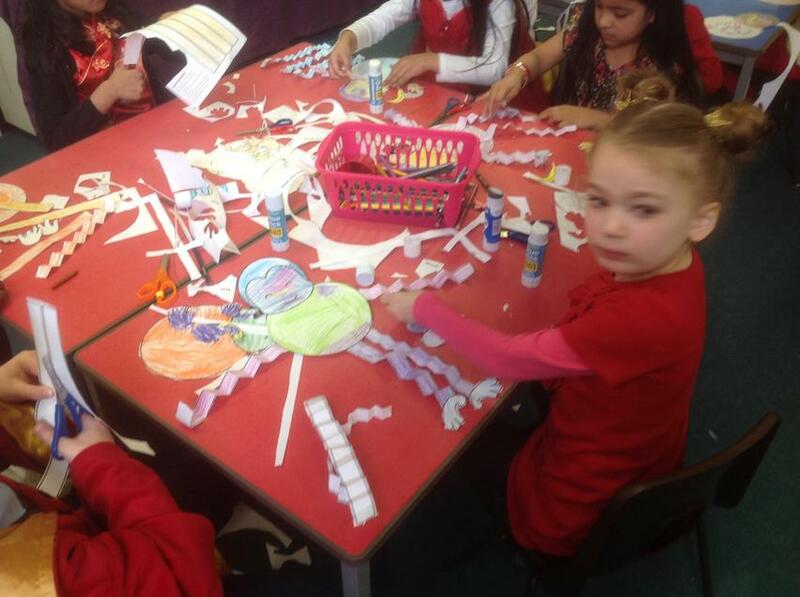 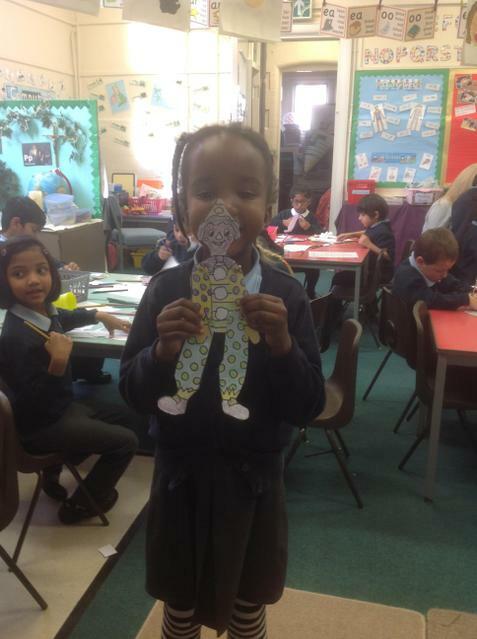 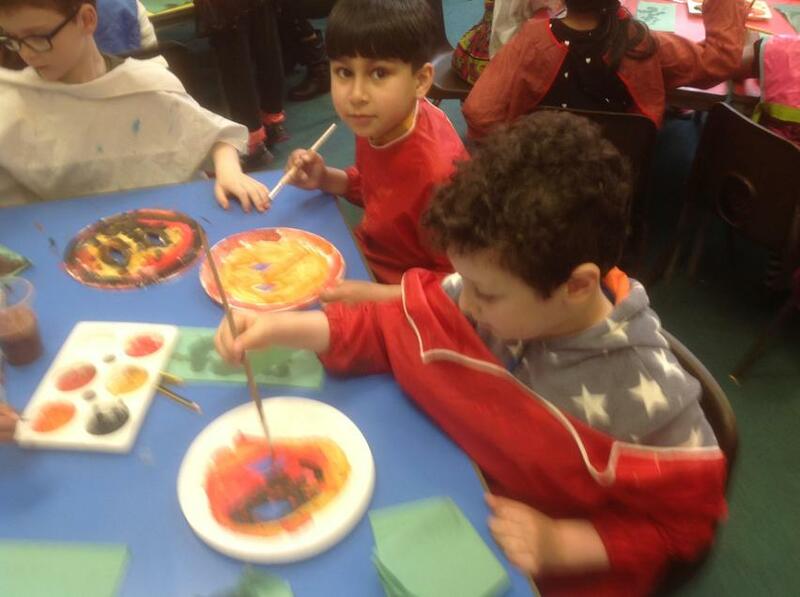 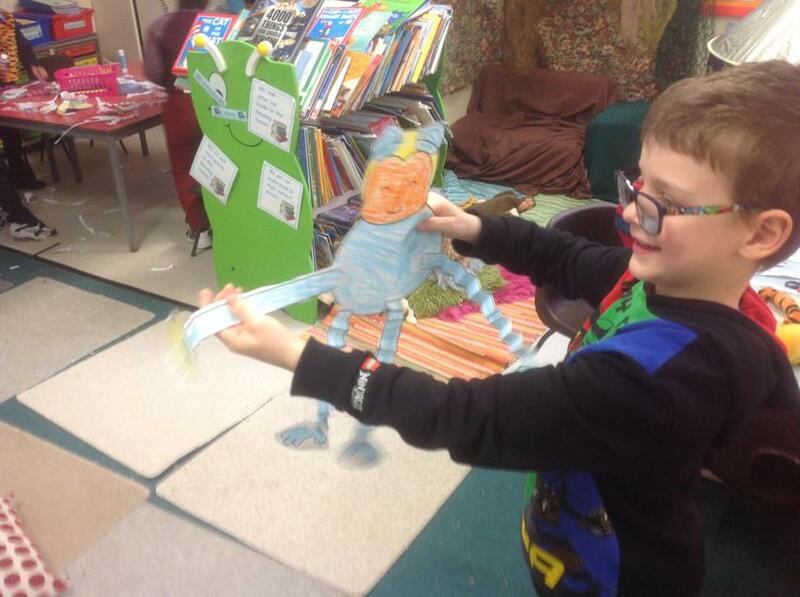 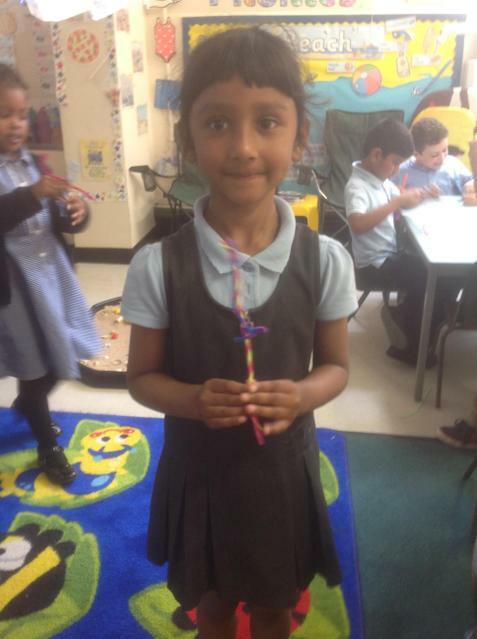 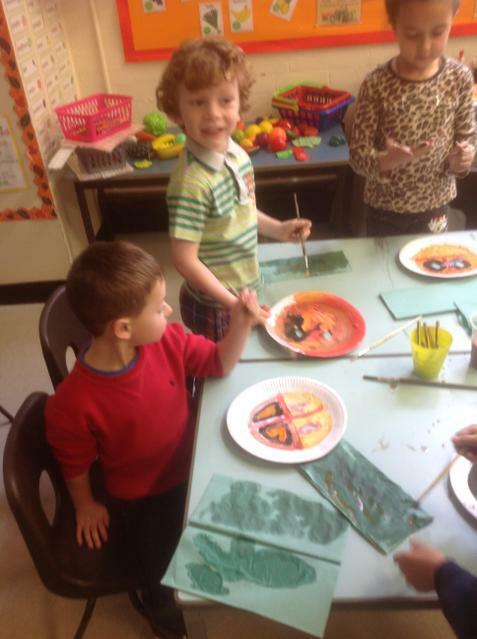 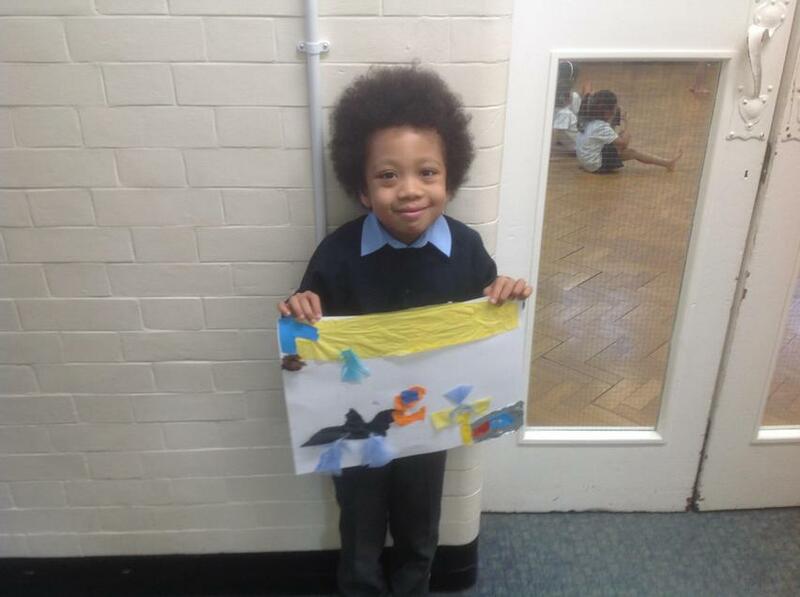 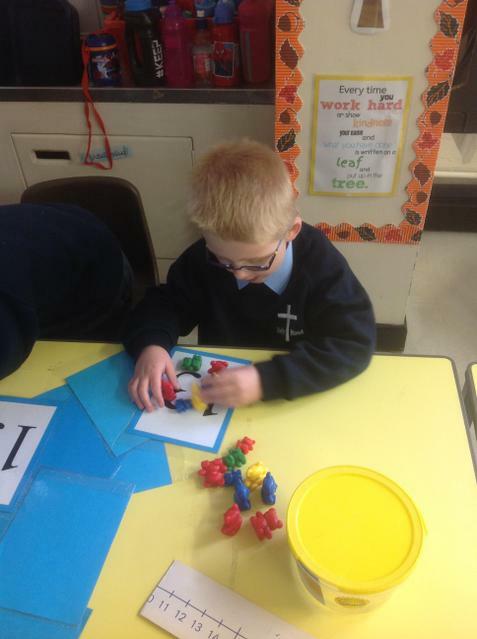 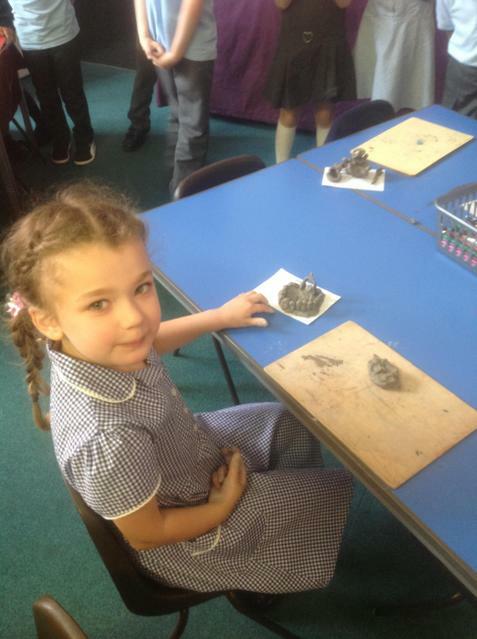 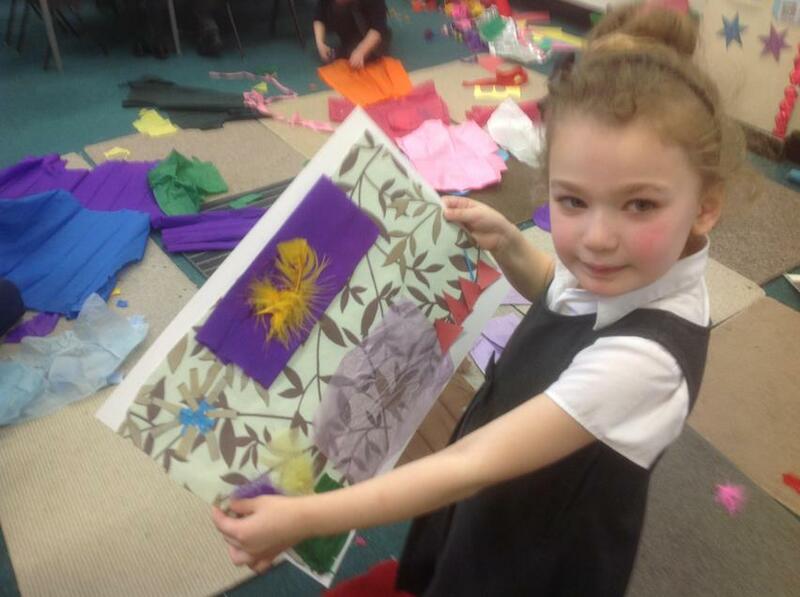 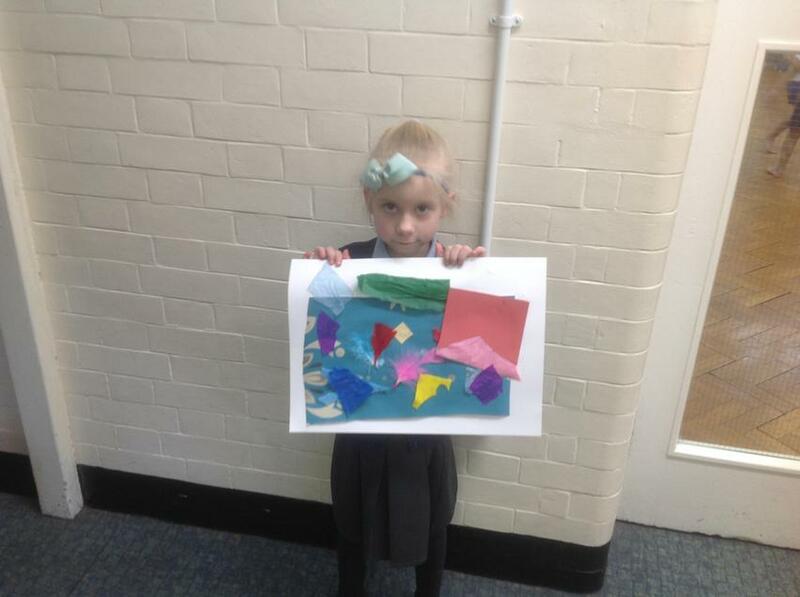 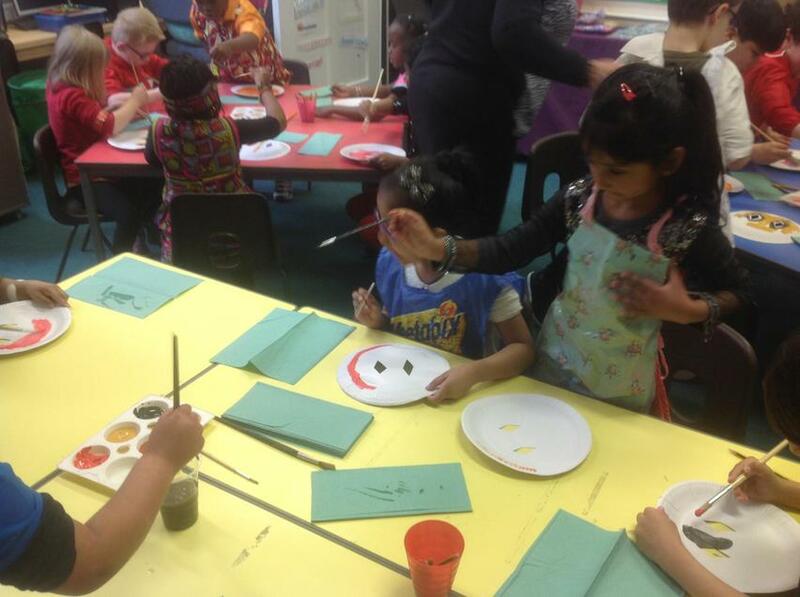 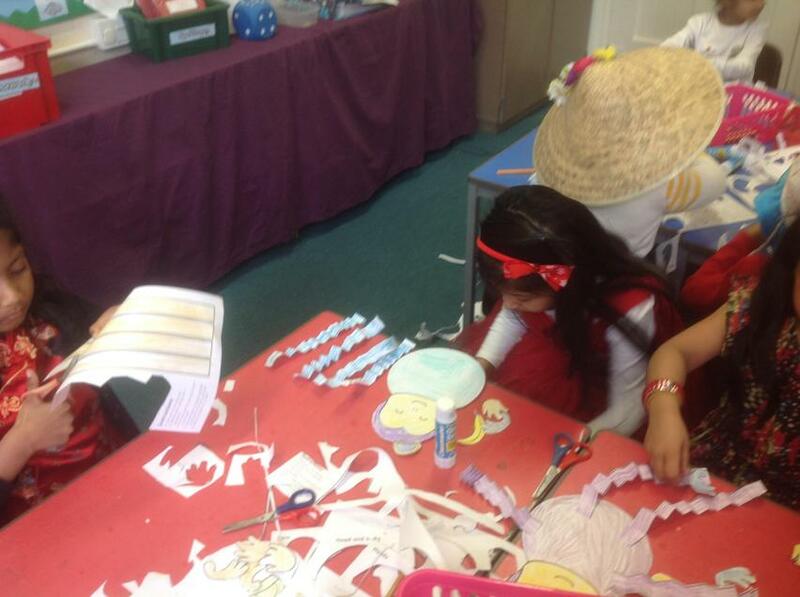 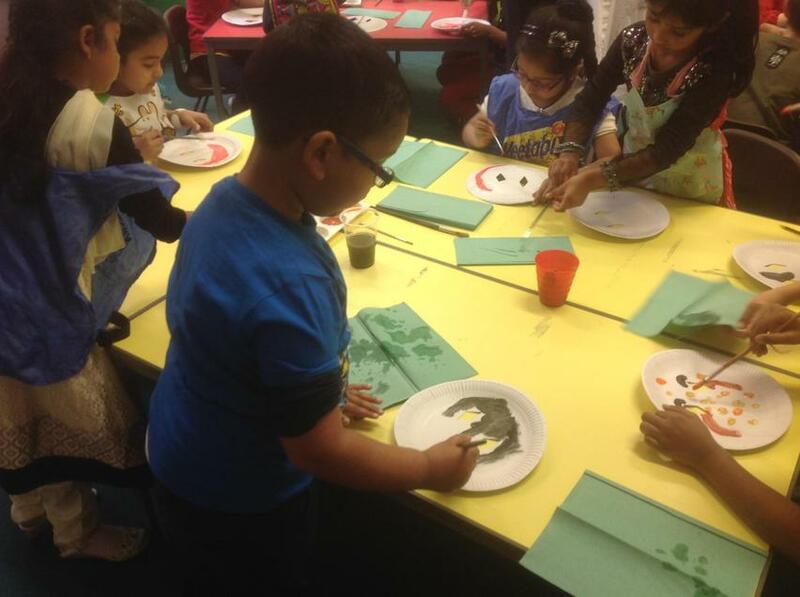 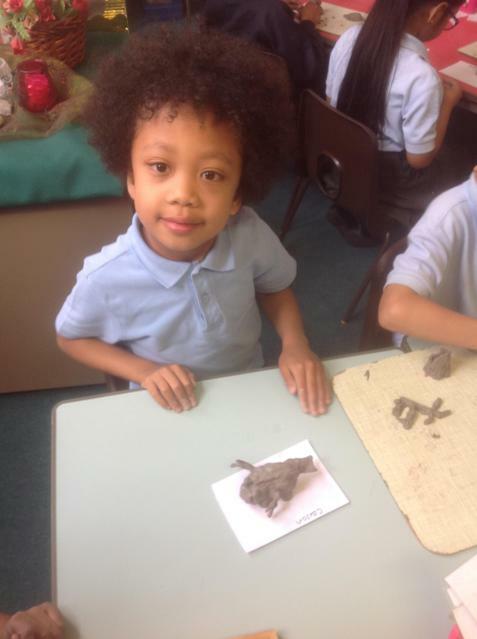 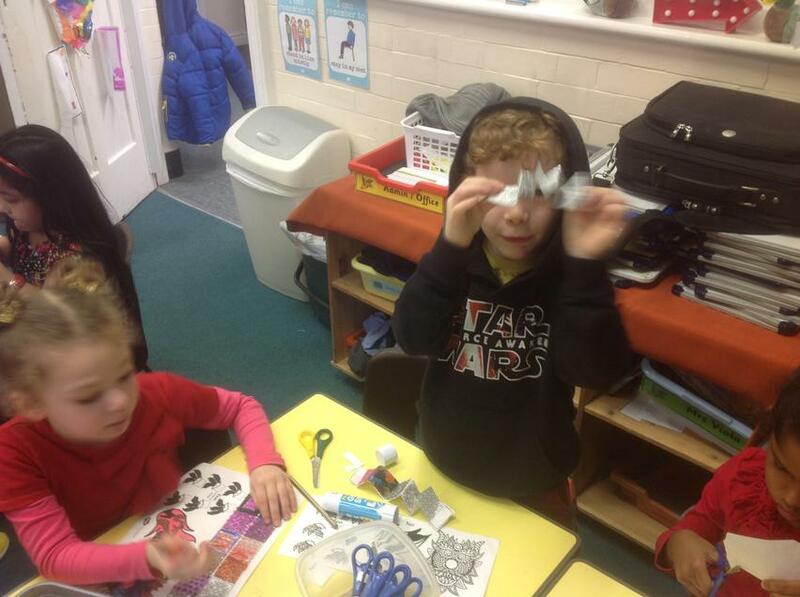 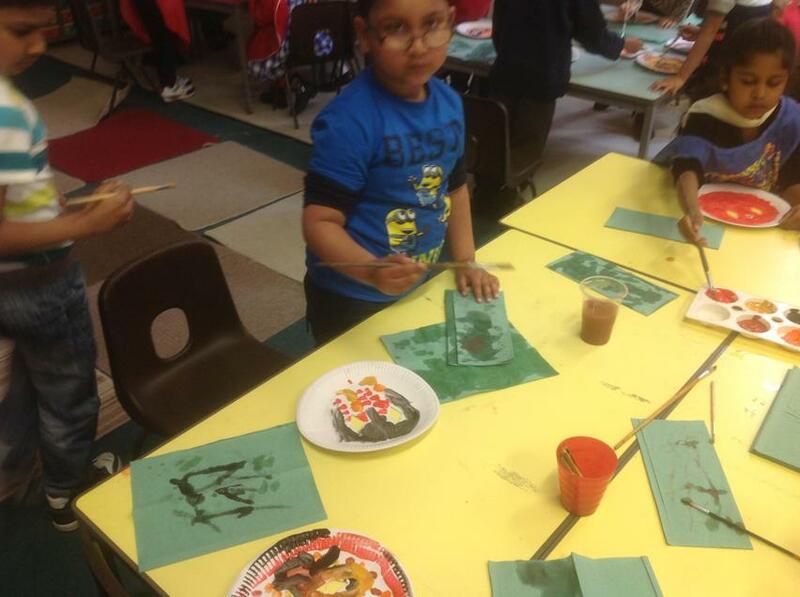 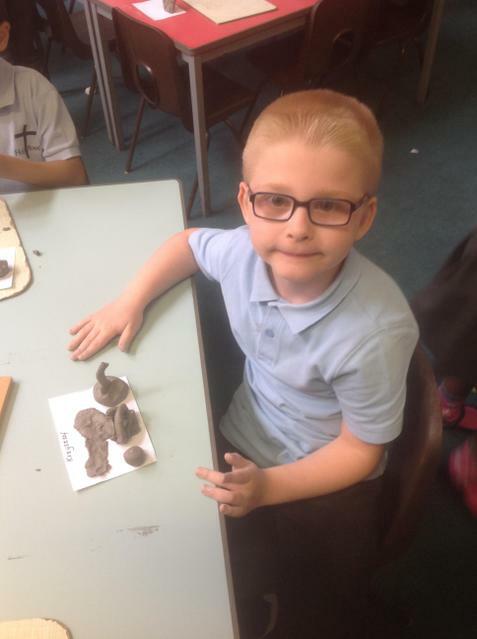 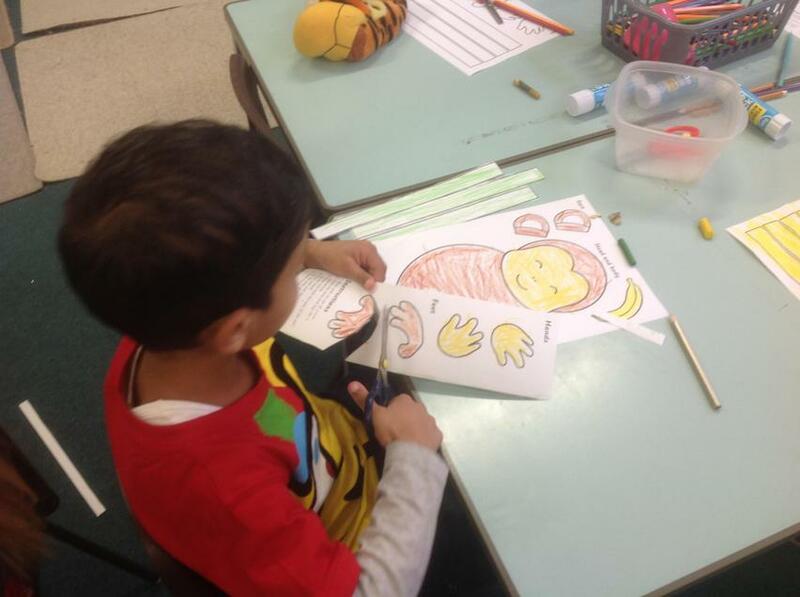 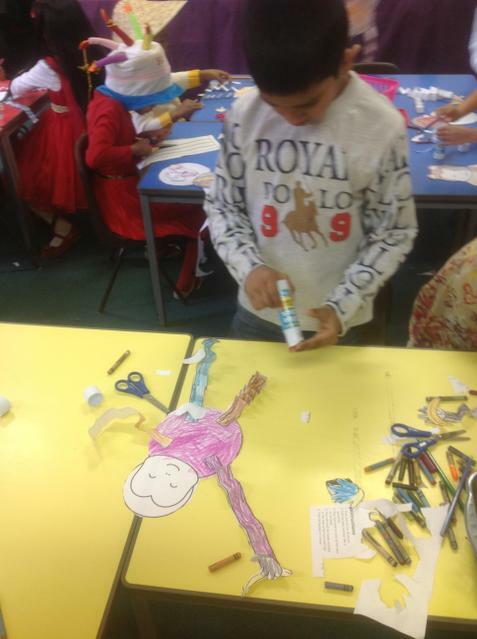 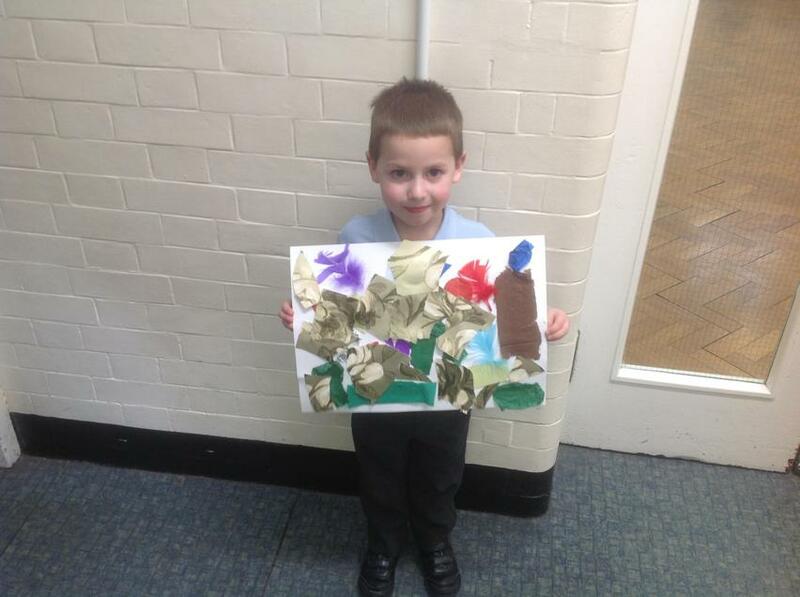 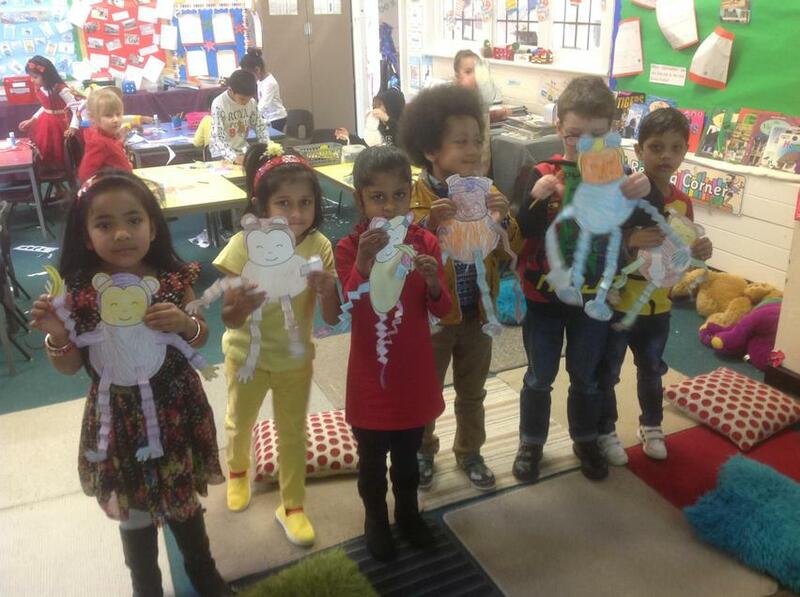 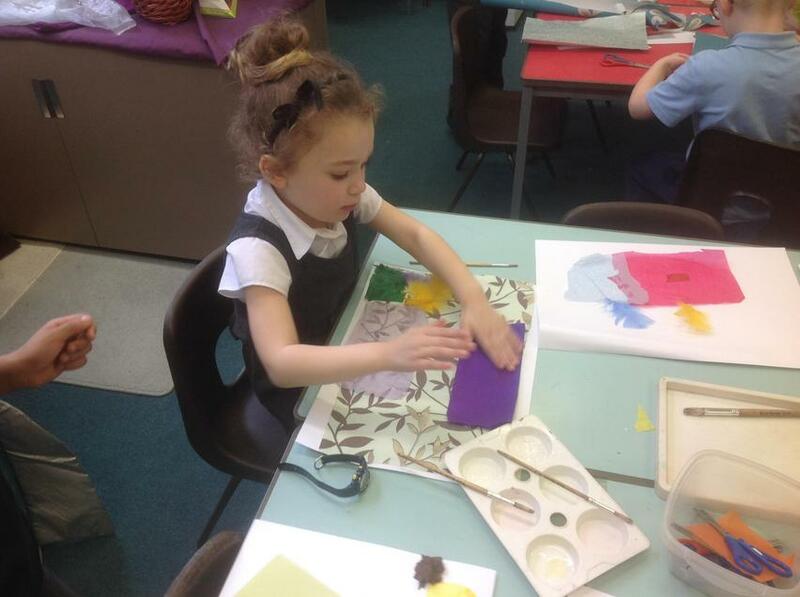 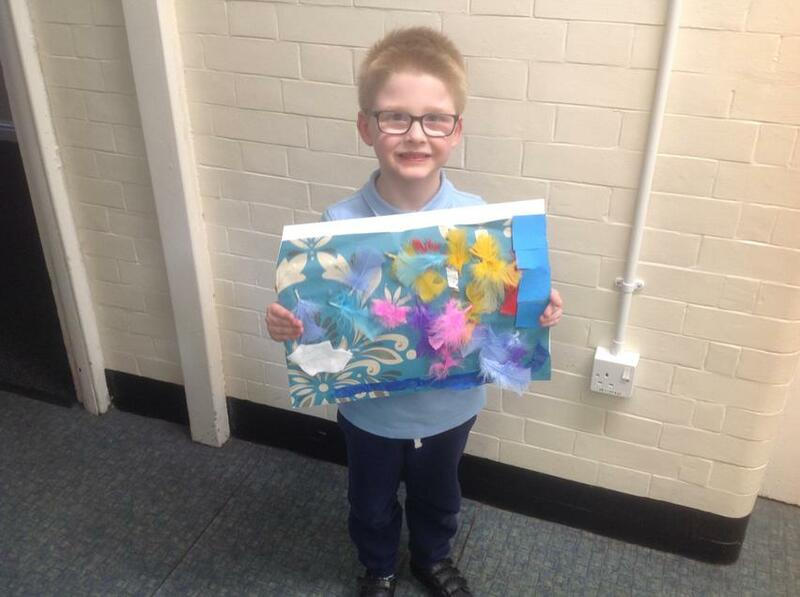 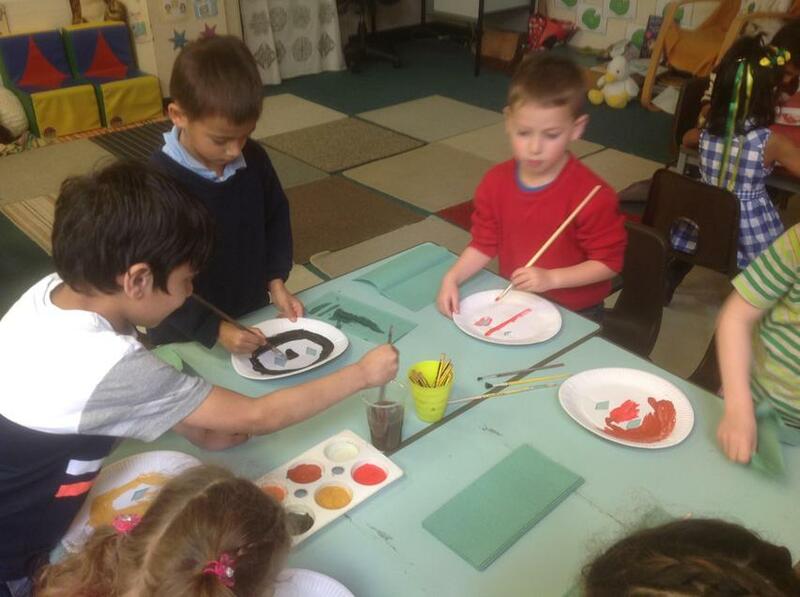 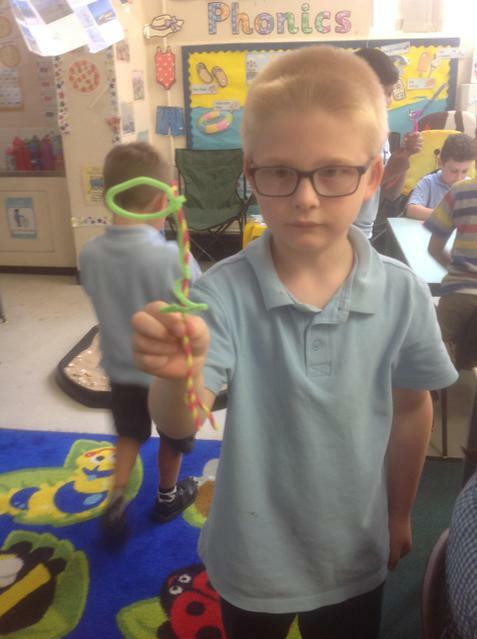 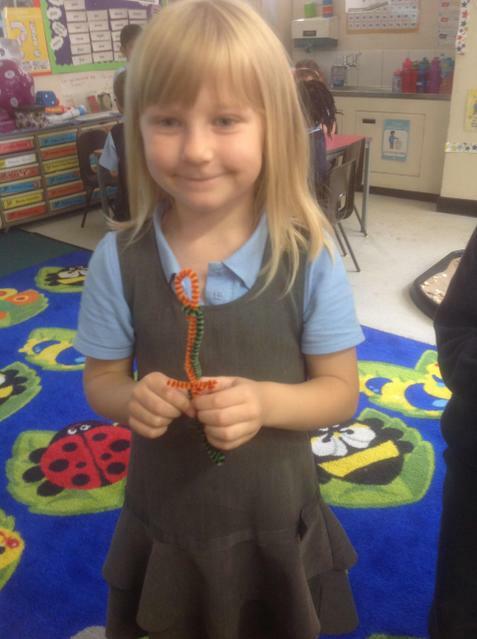 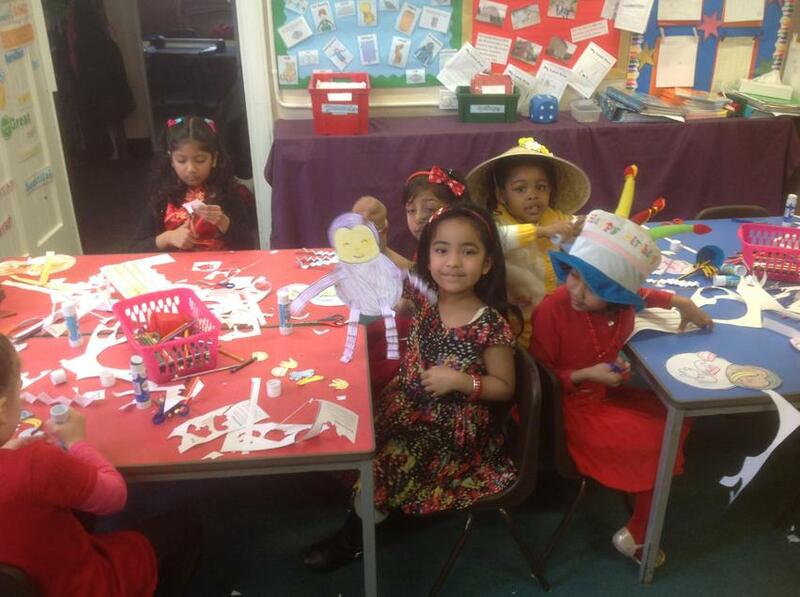 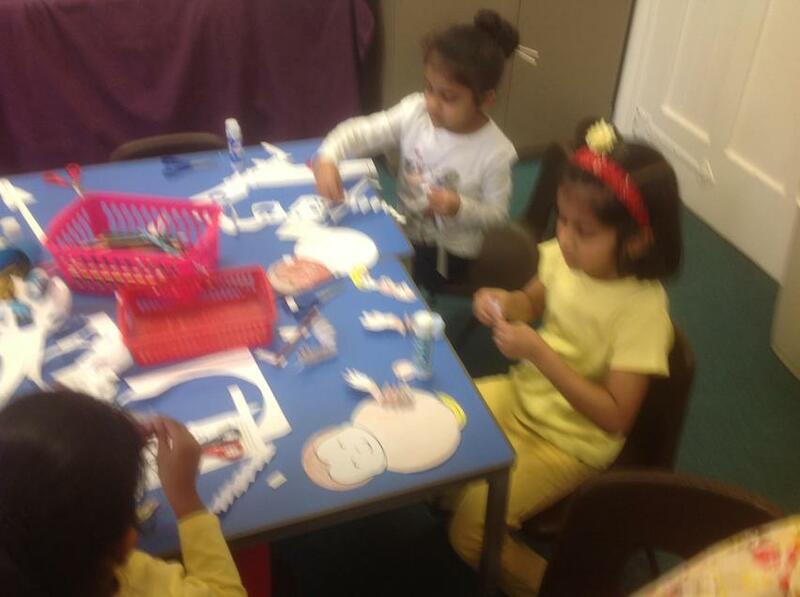 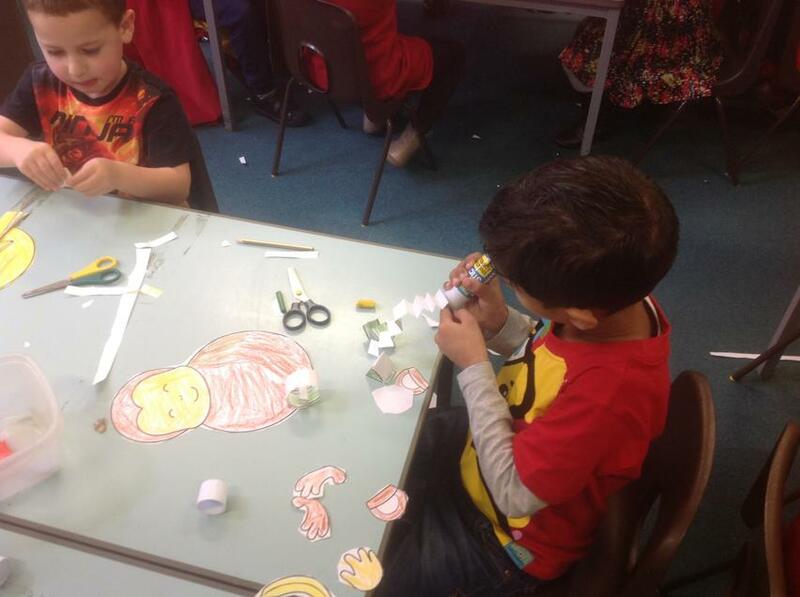 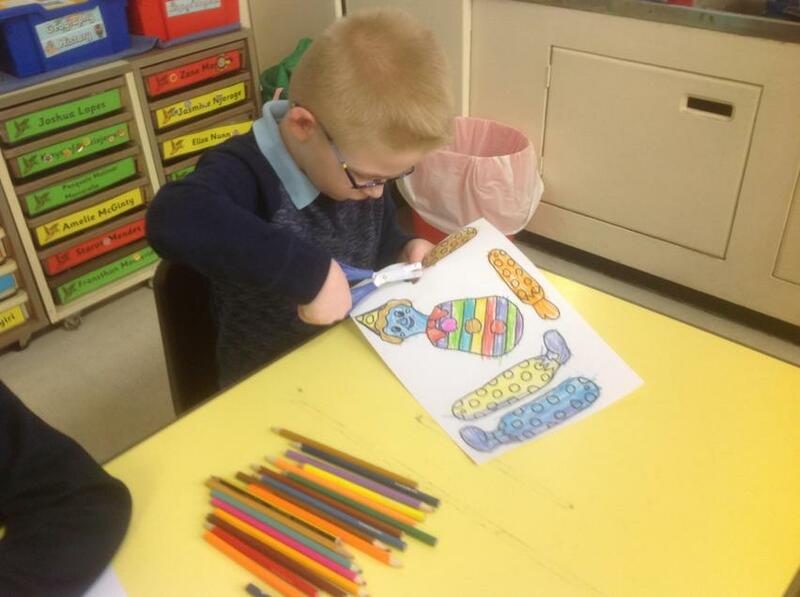 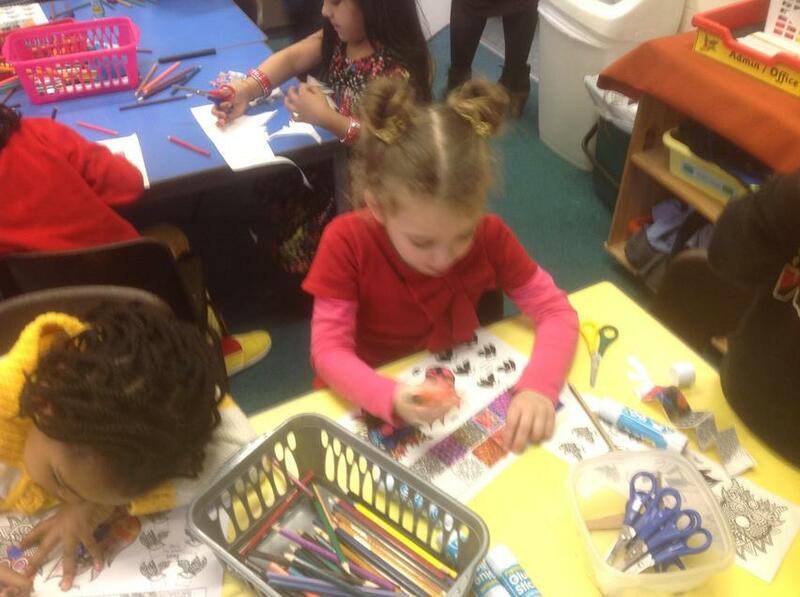 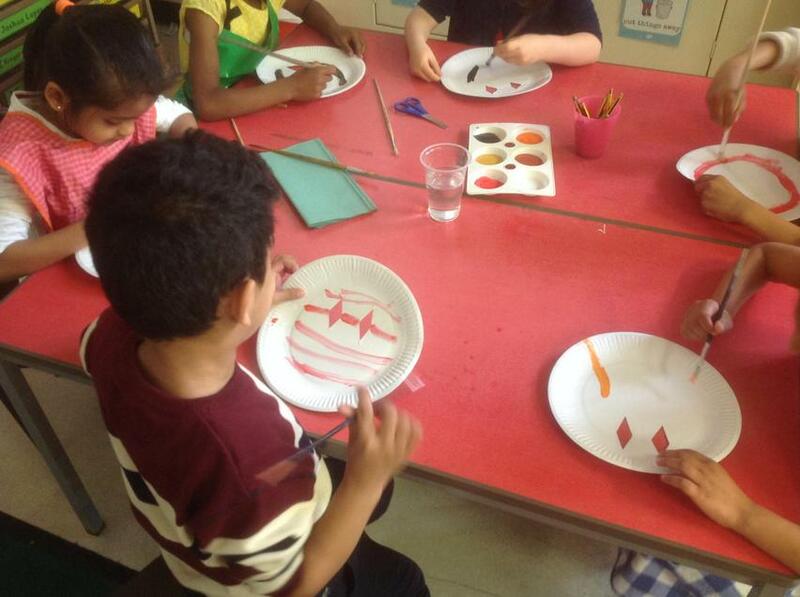 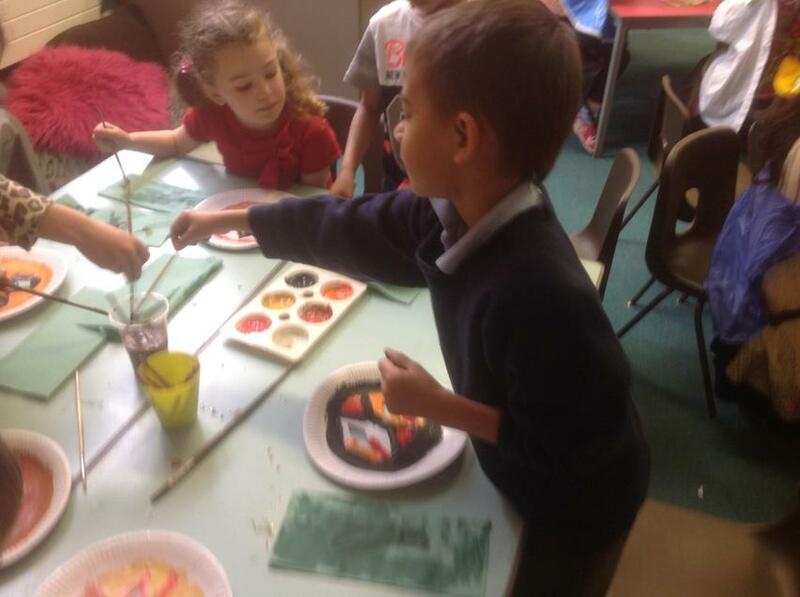 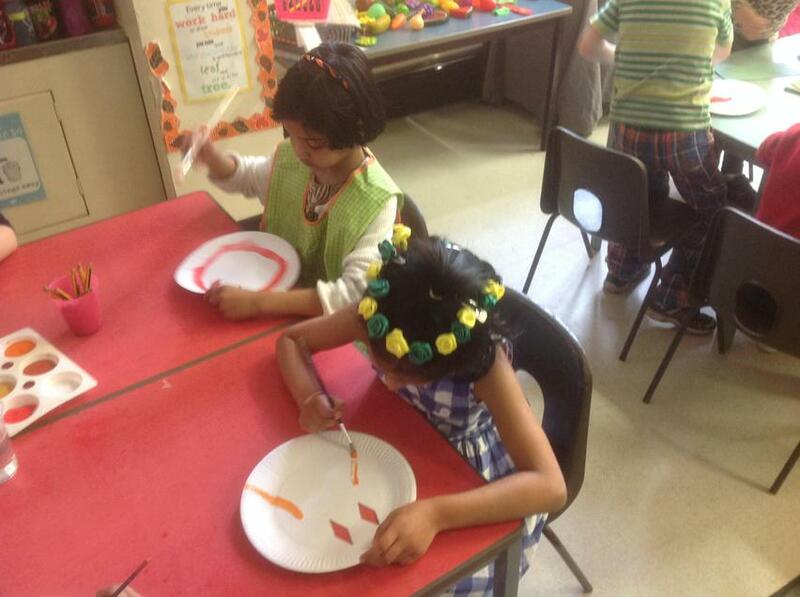 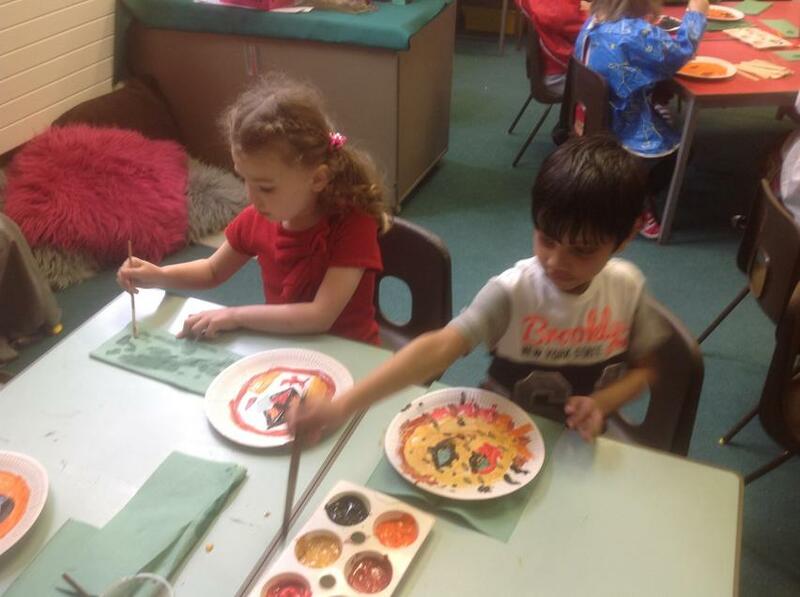 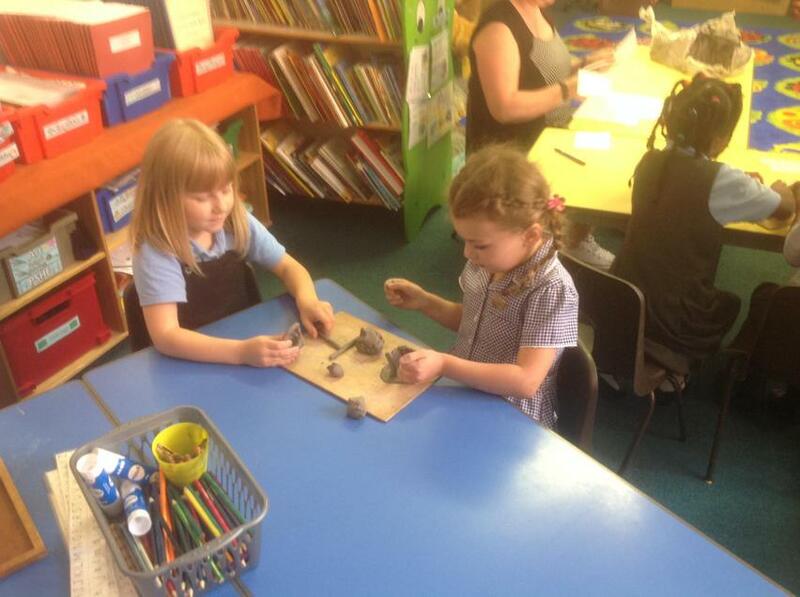 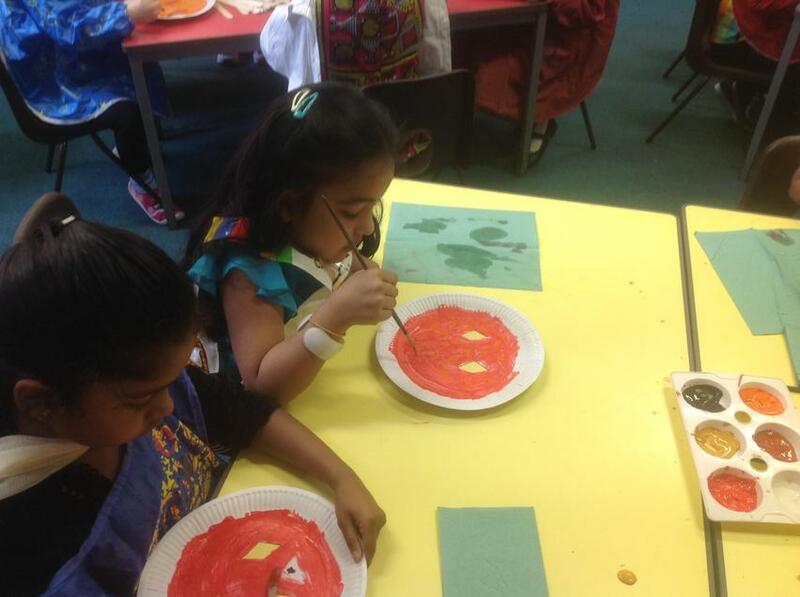 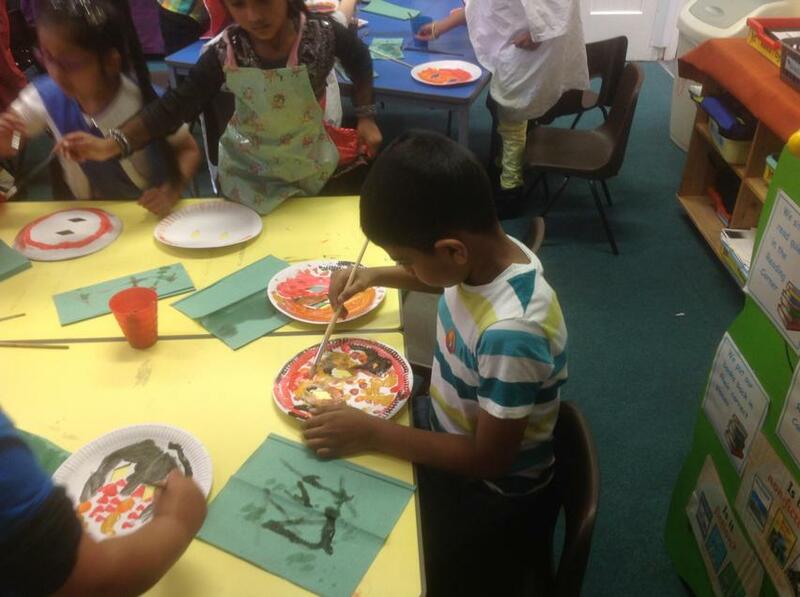 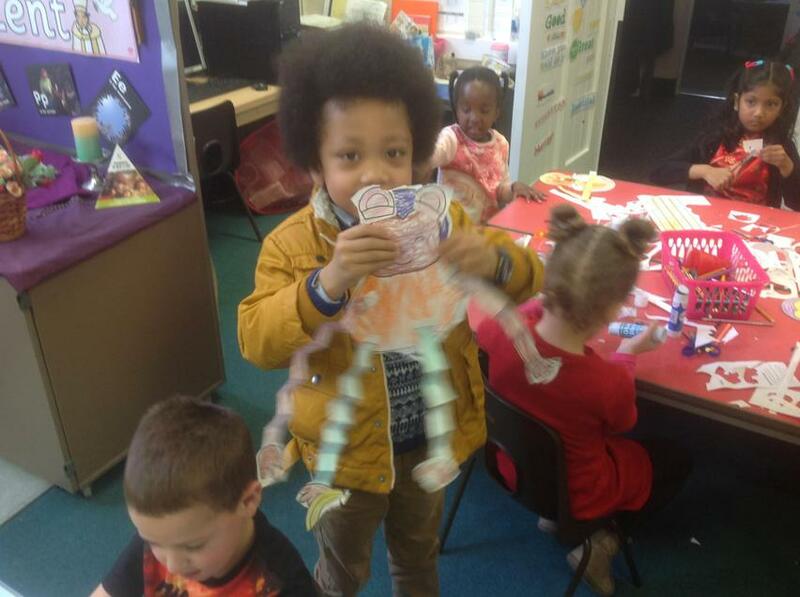 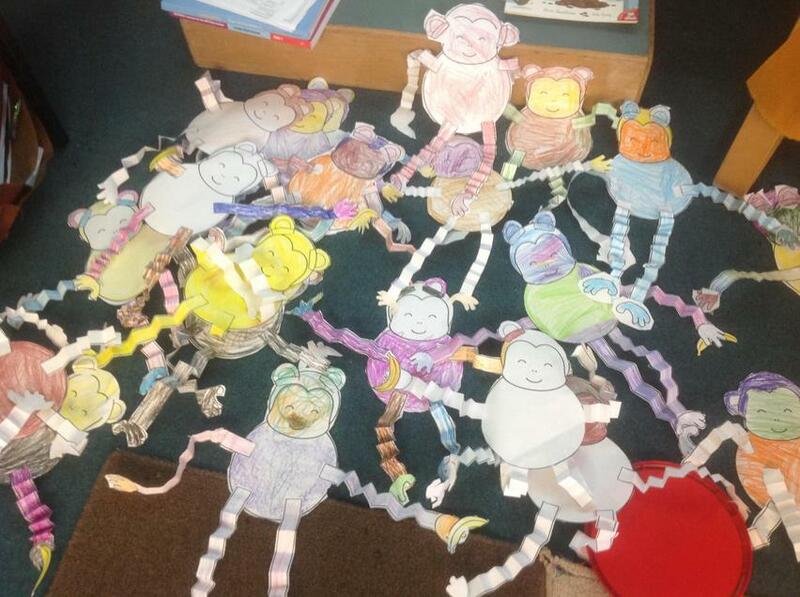 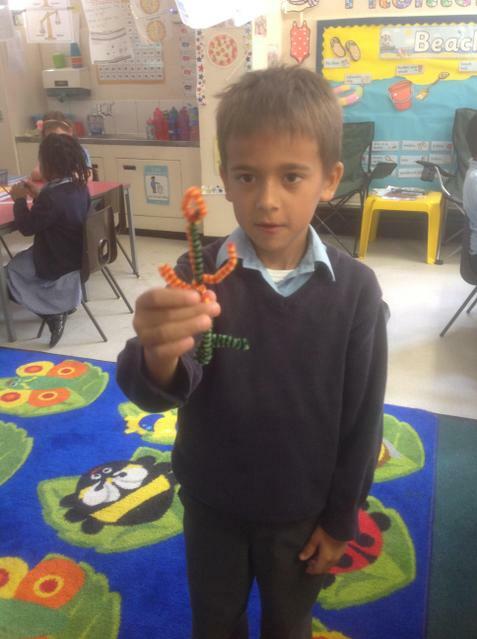 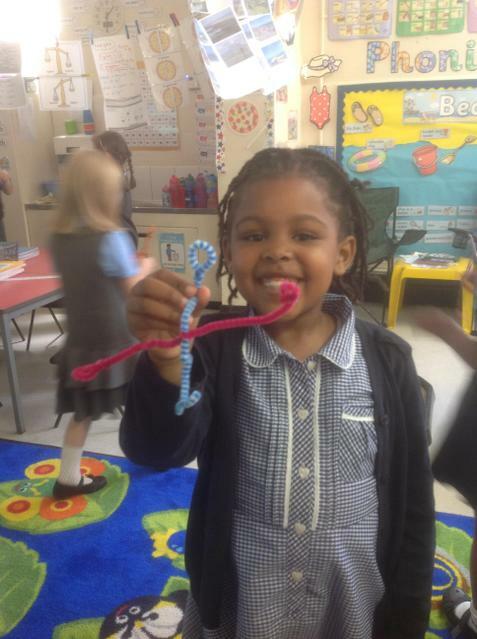 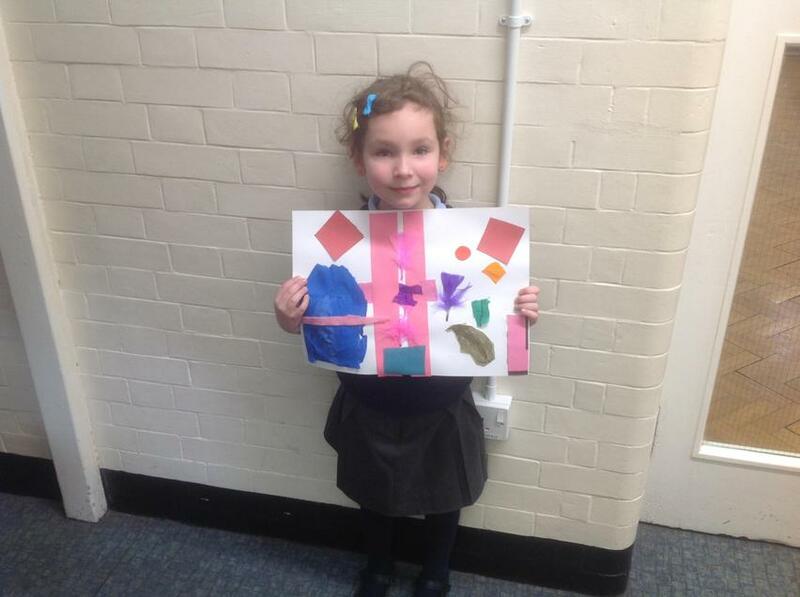 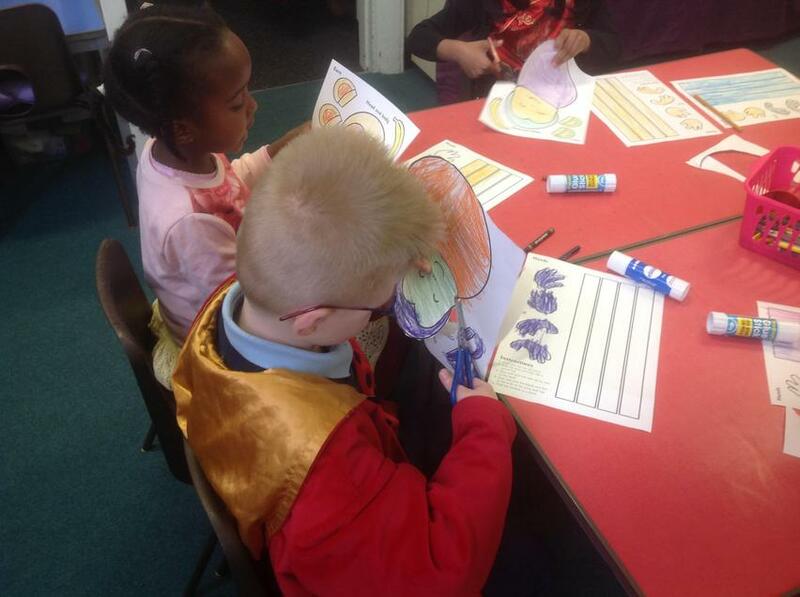 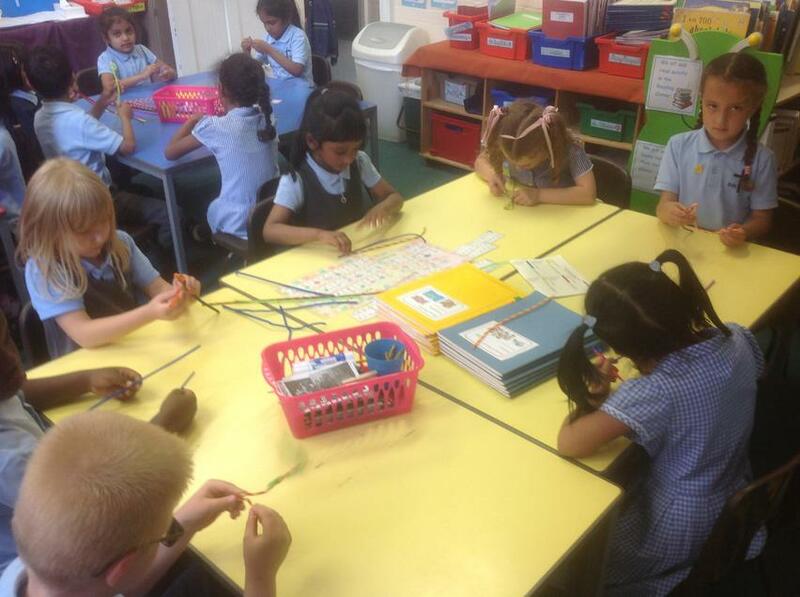 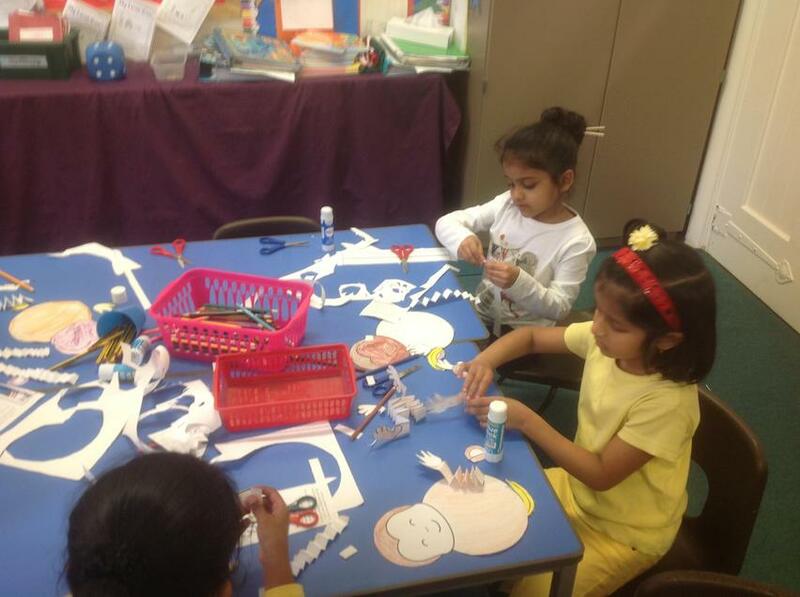 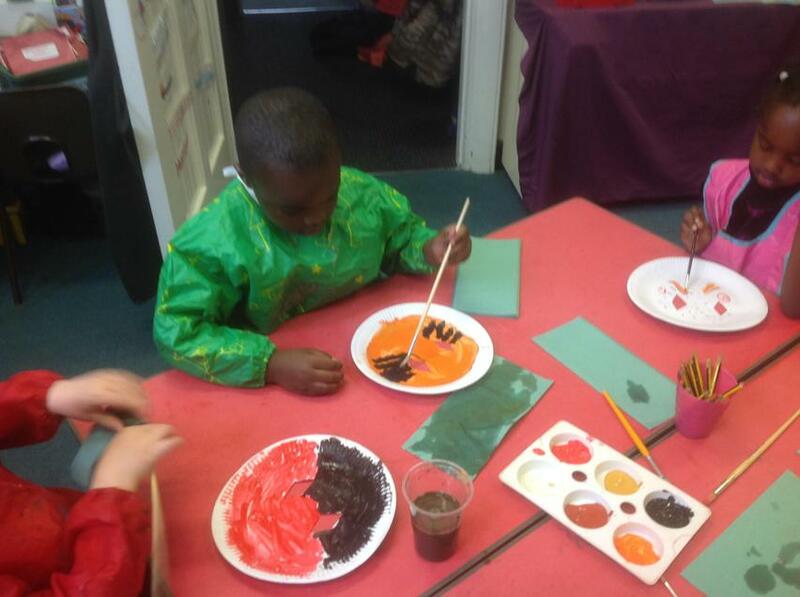 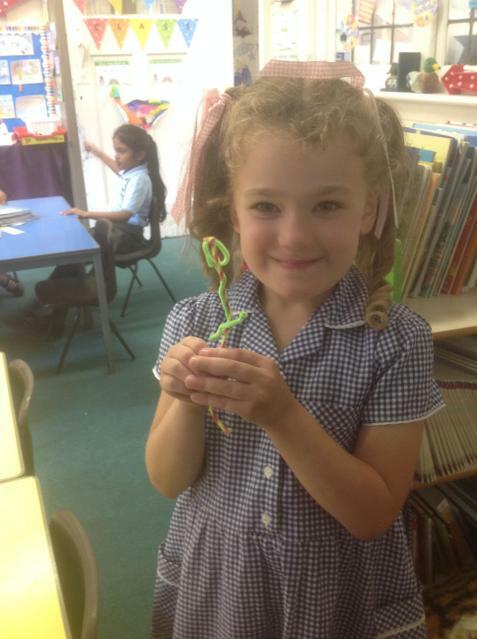 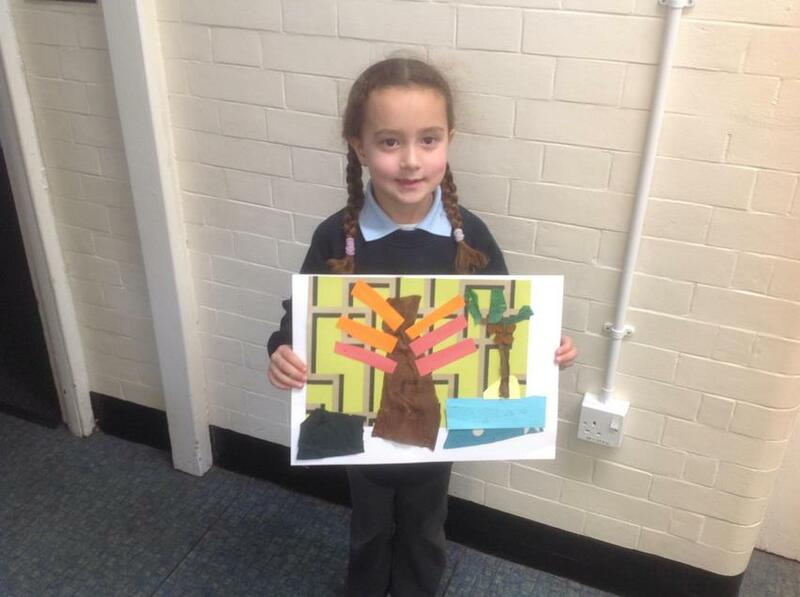 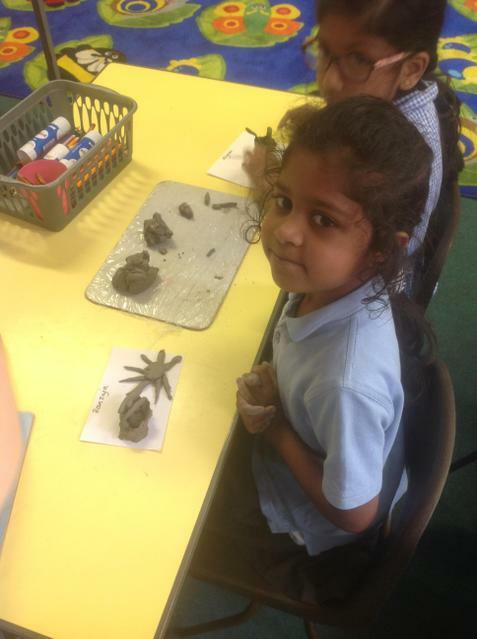 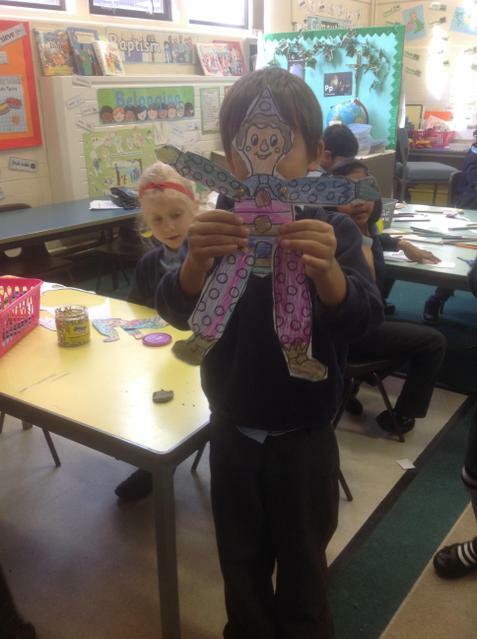 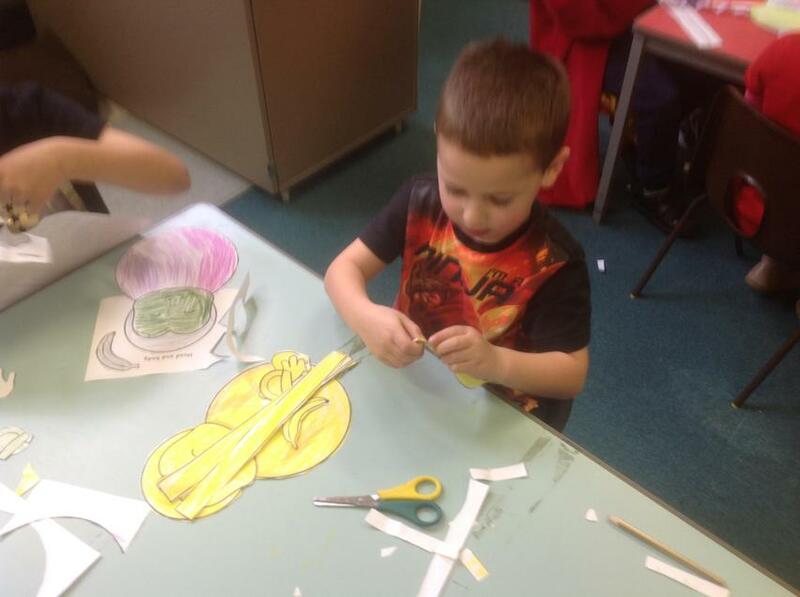 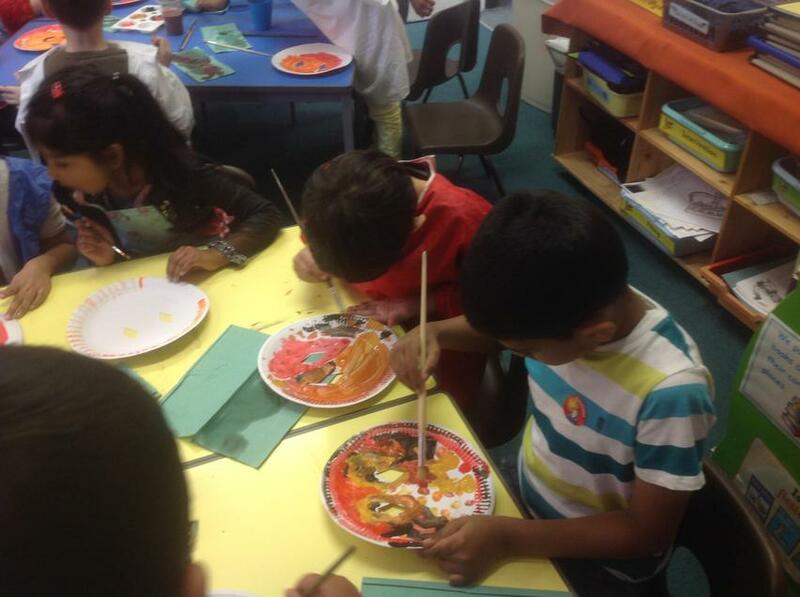 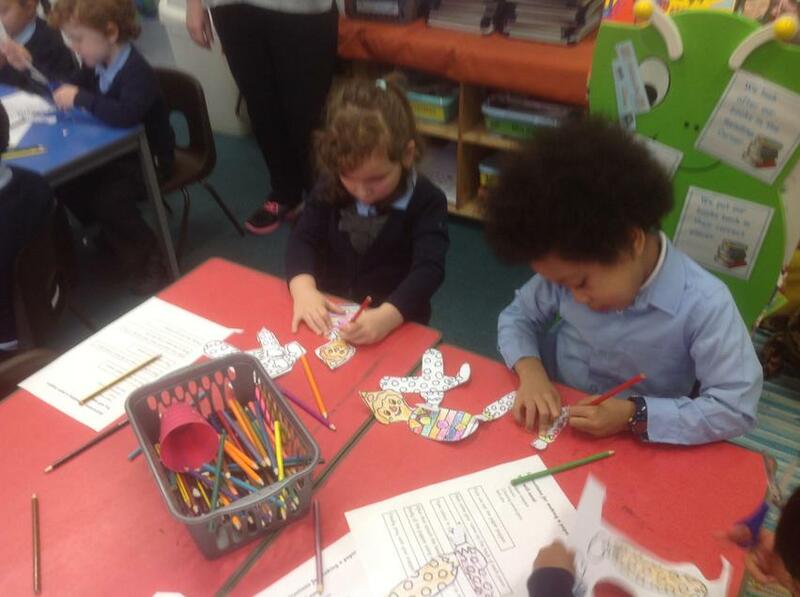 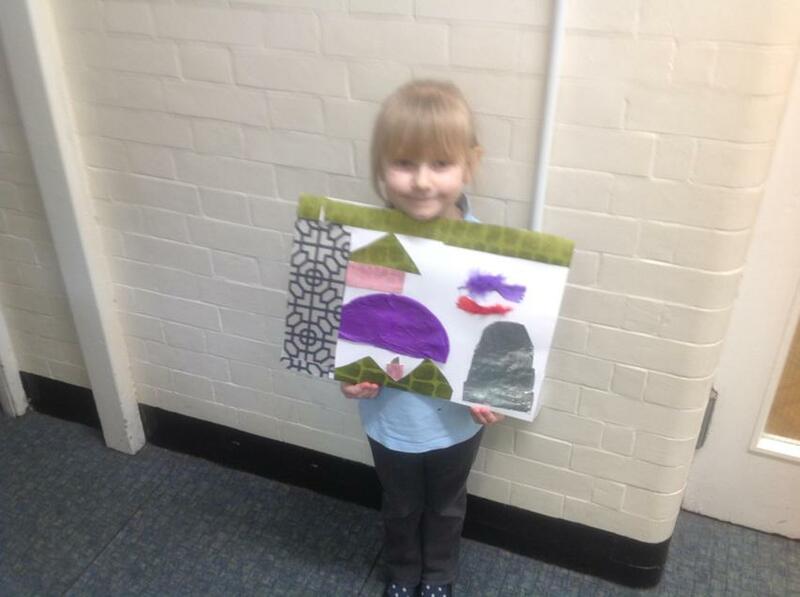 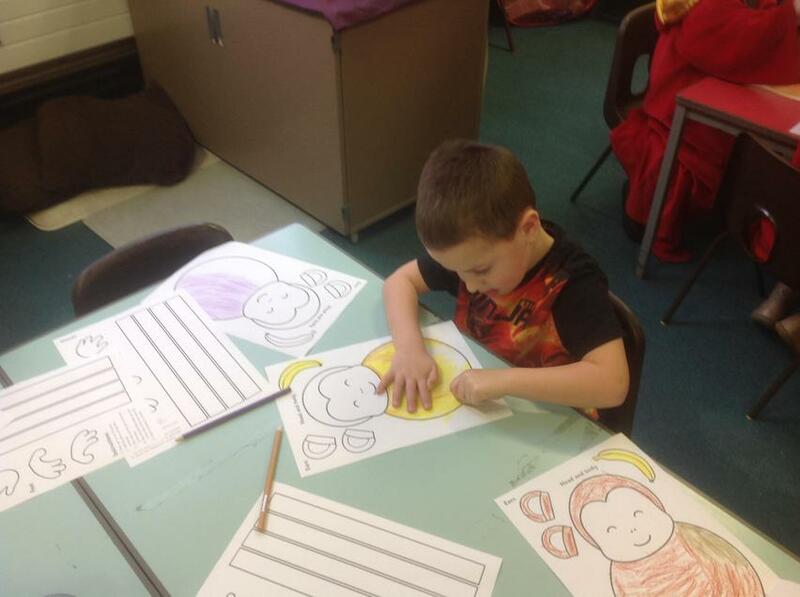 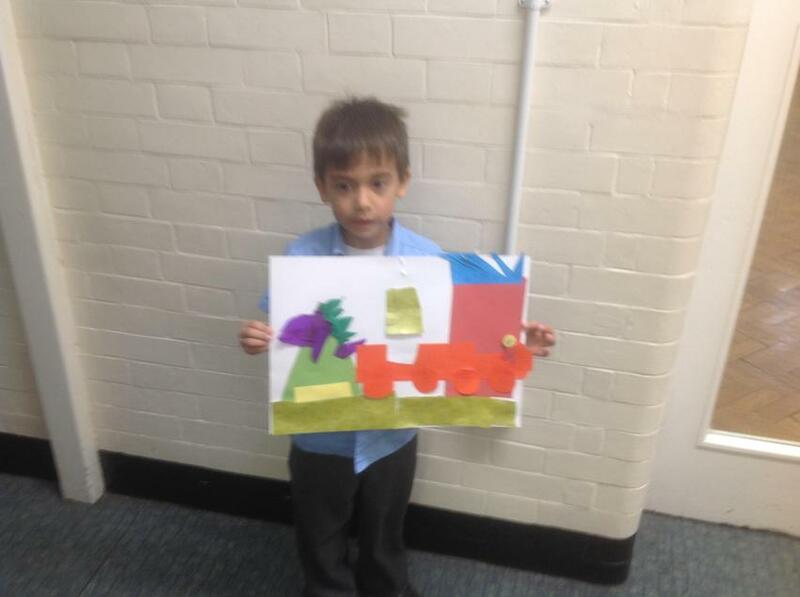 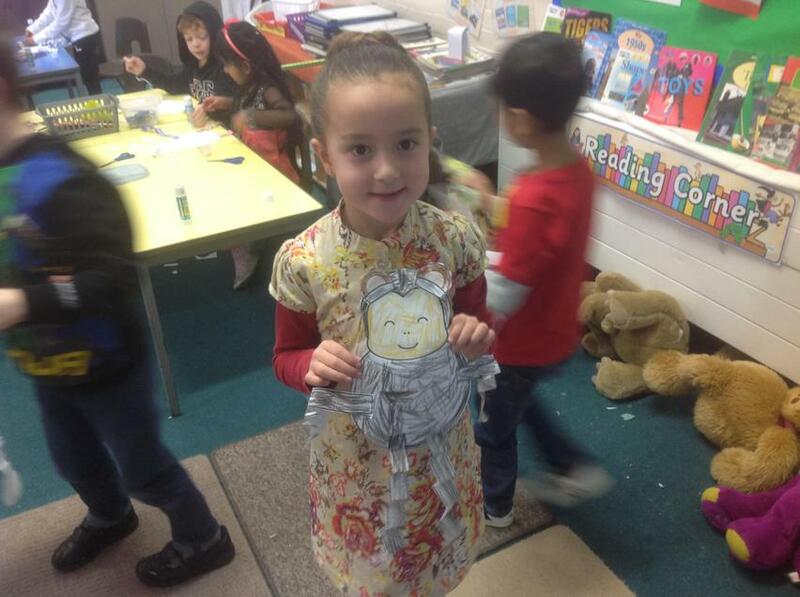 In Mallard class we have been making Monkeys and Chinese Dragons. 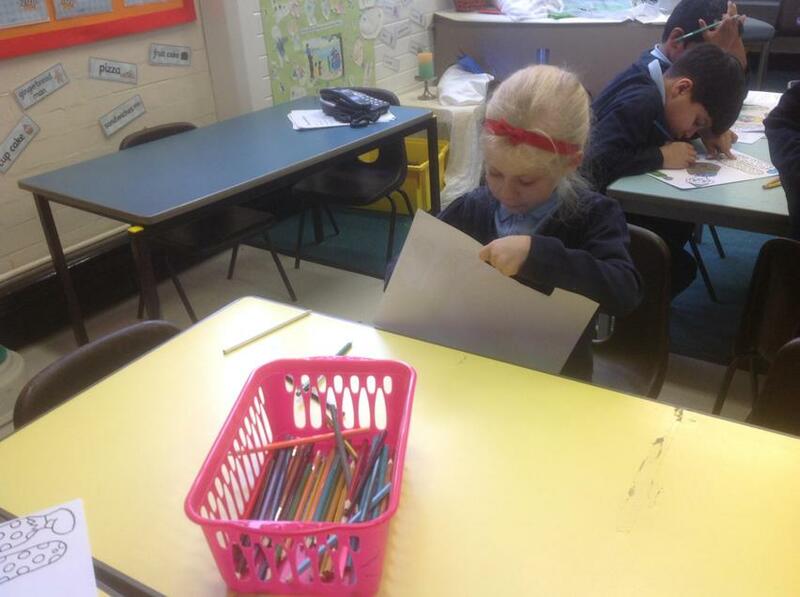 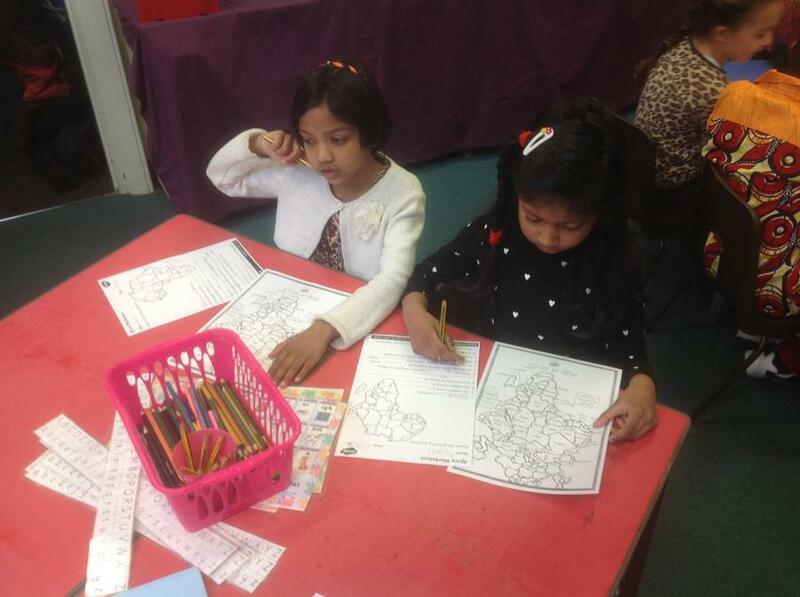 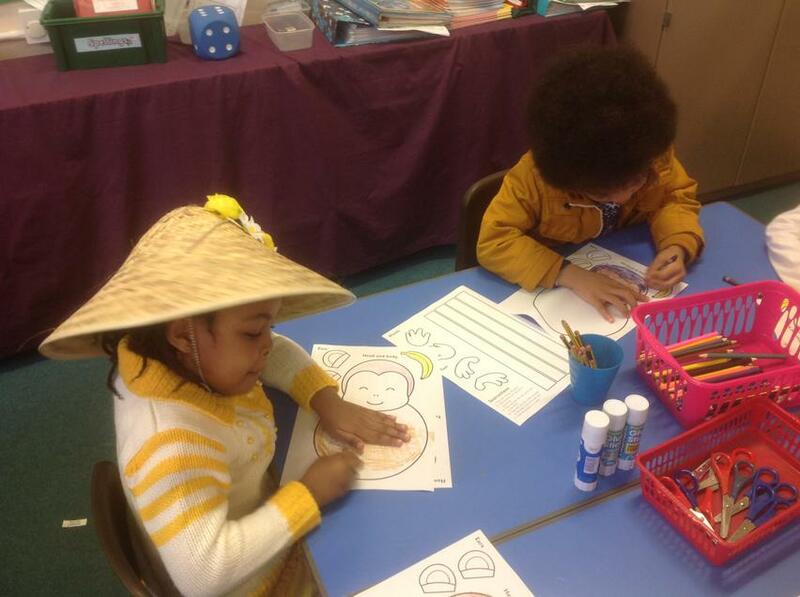 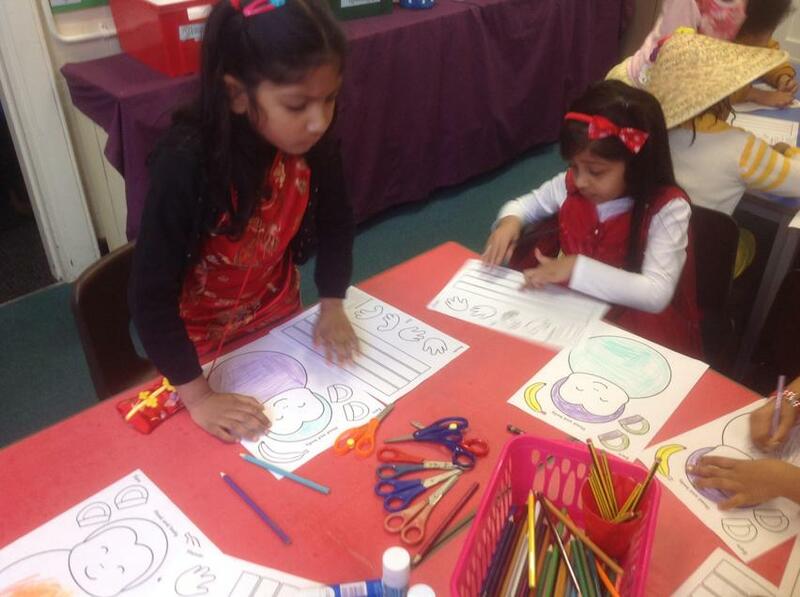 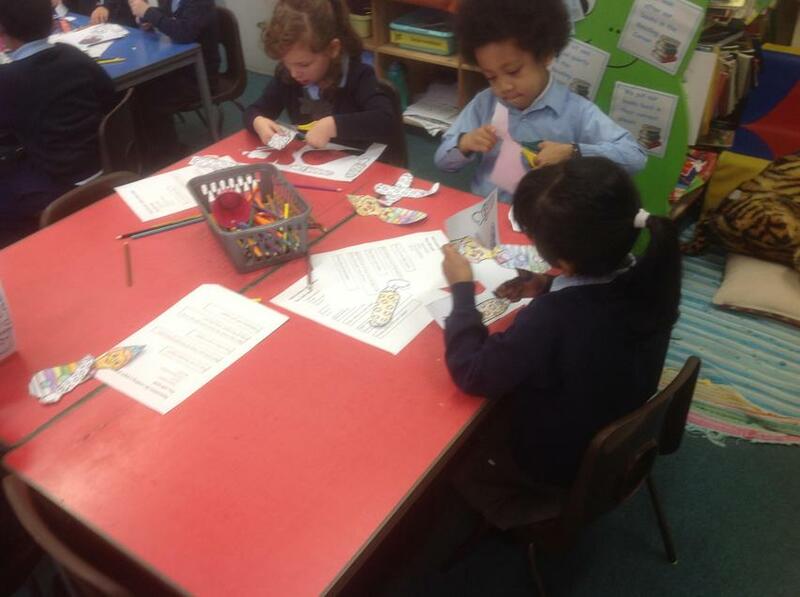 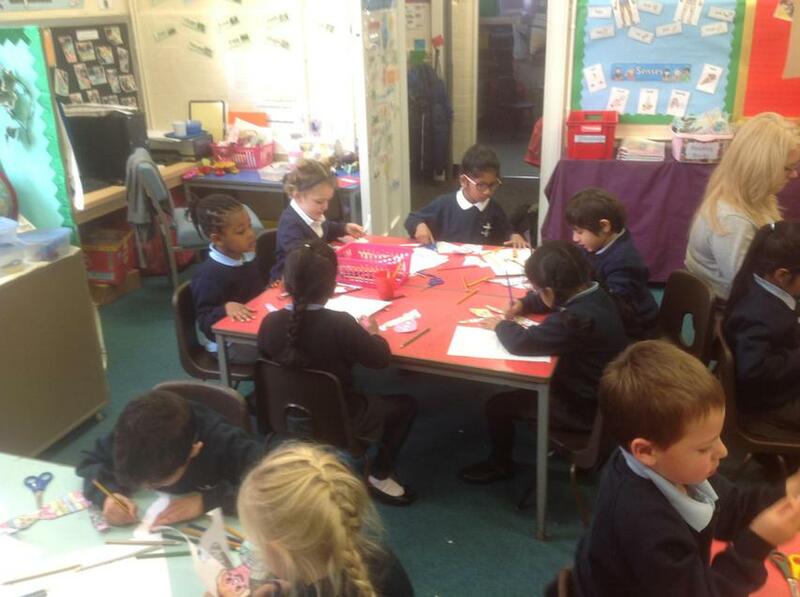 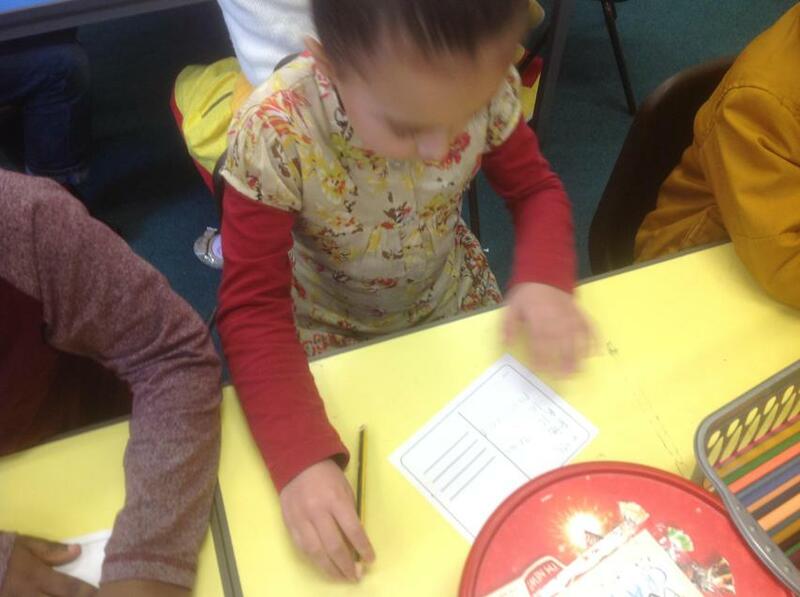 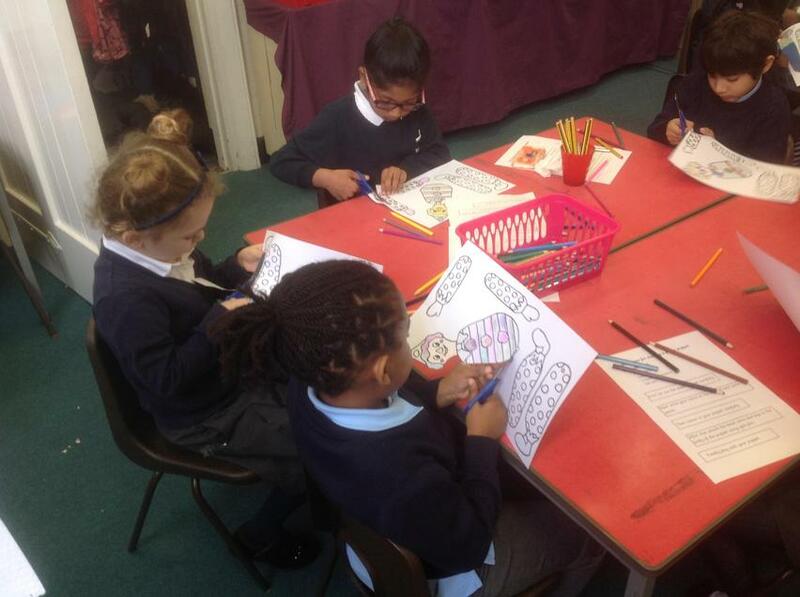 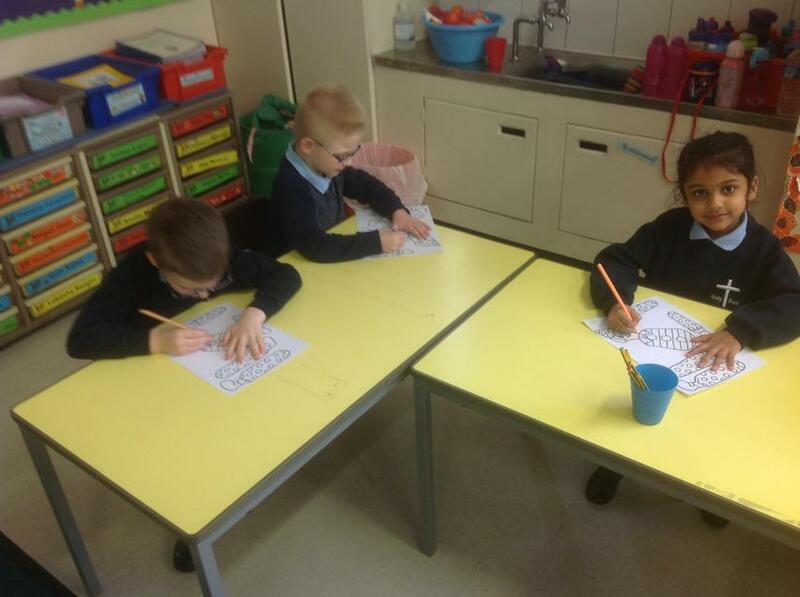 We have been learning lots about China and wrote postcards to our families about what we had found out. 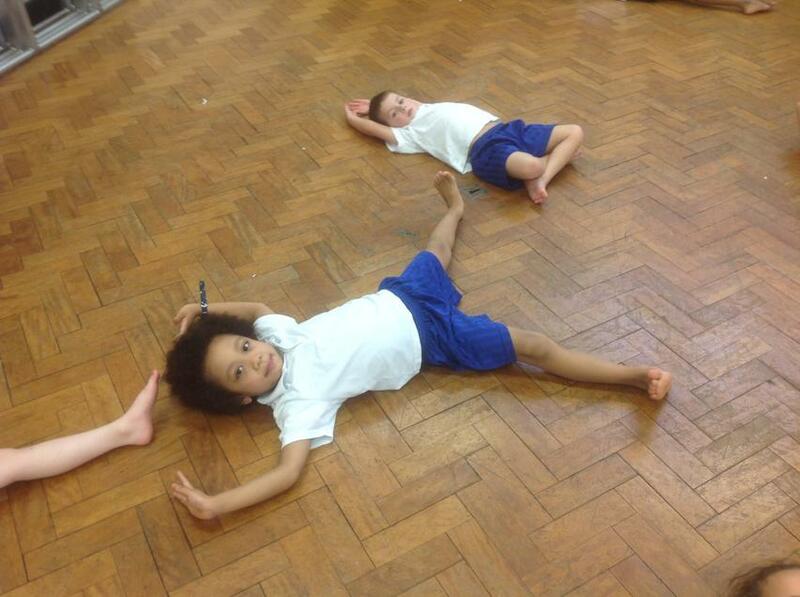 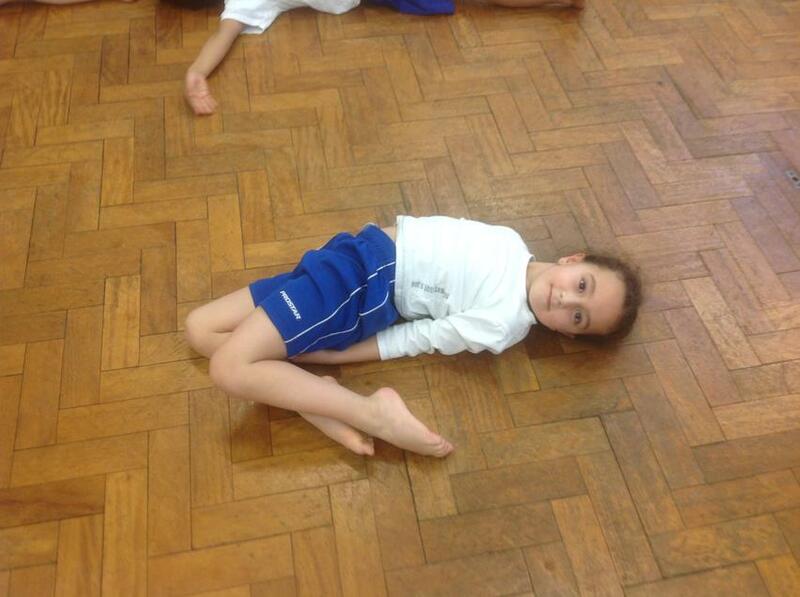 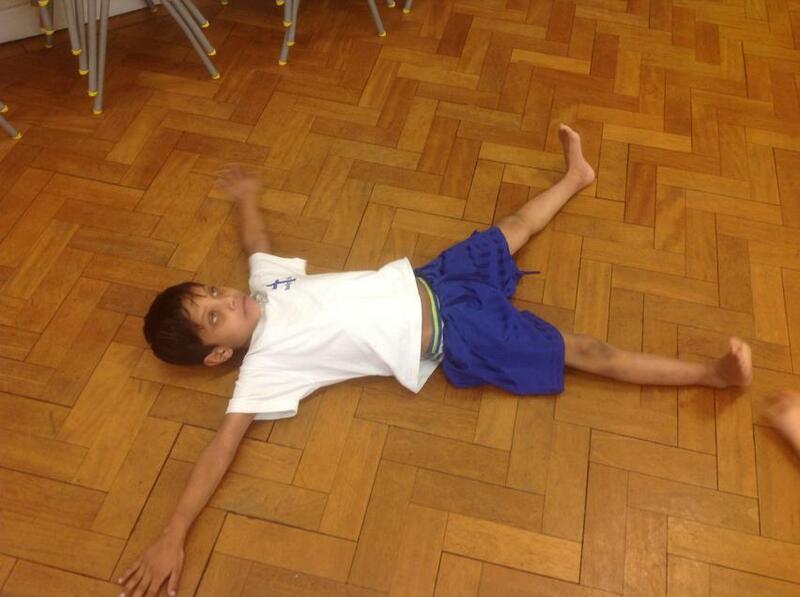 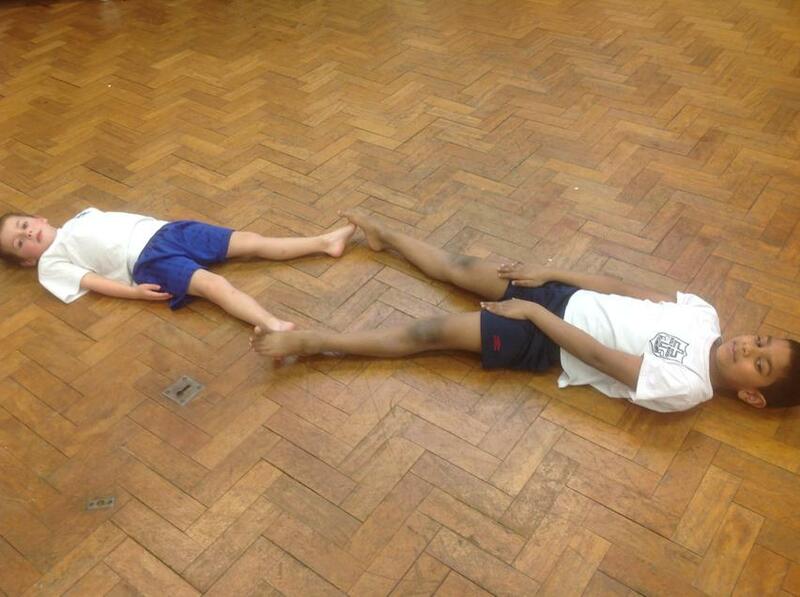 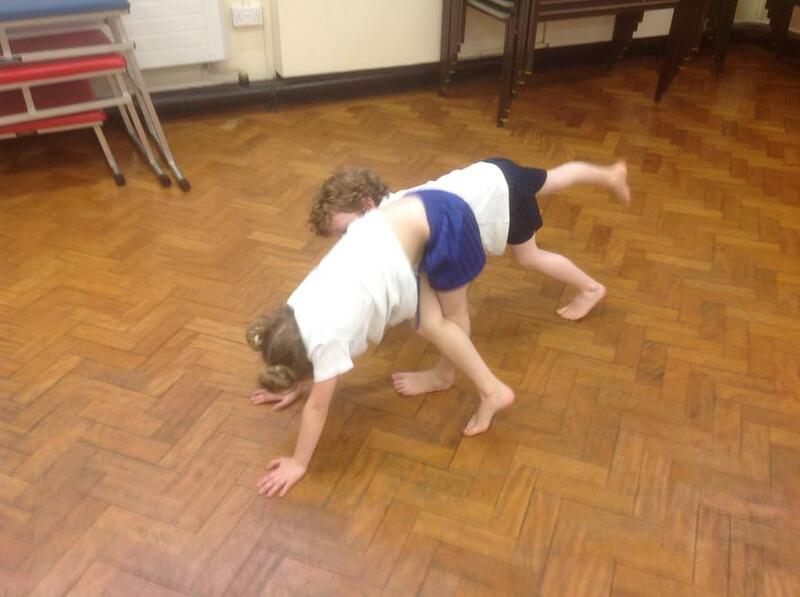 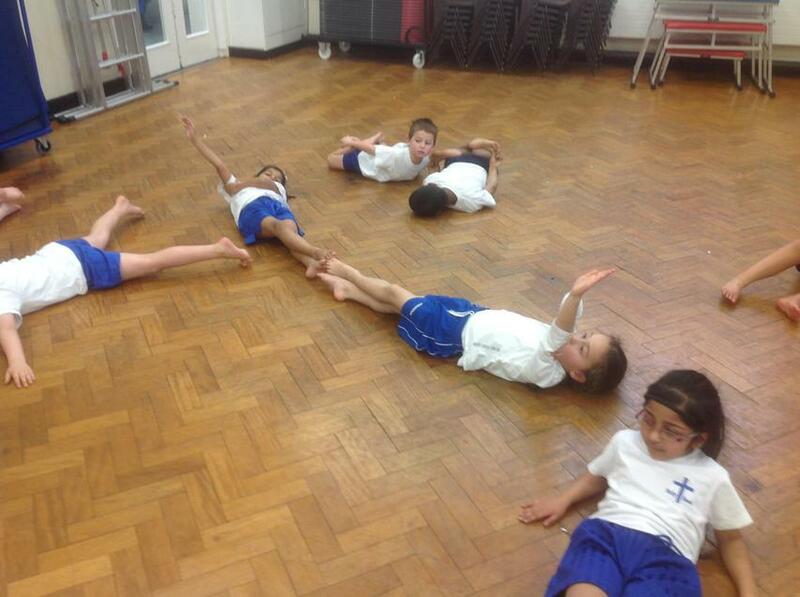 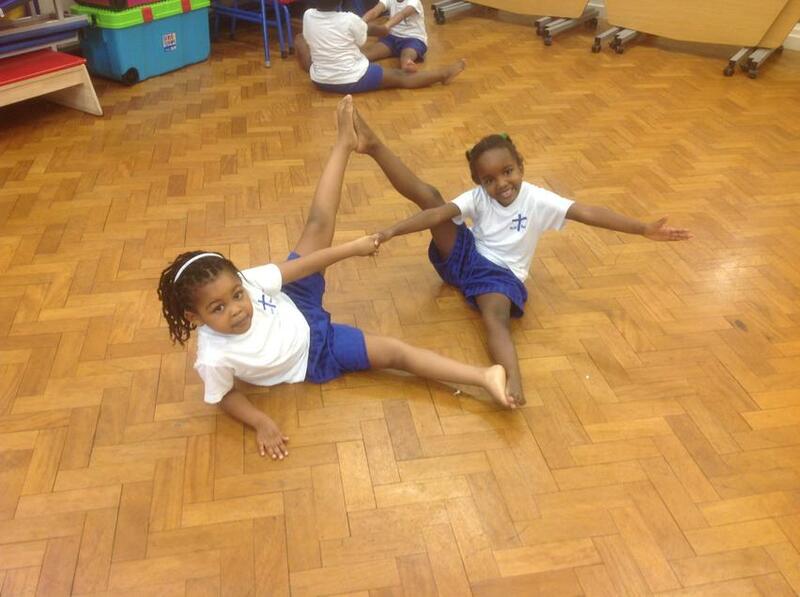 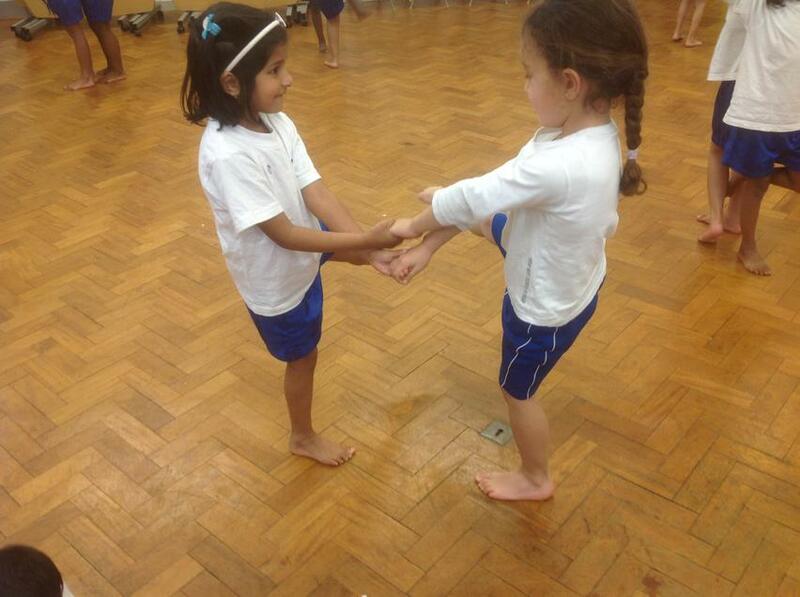 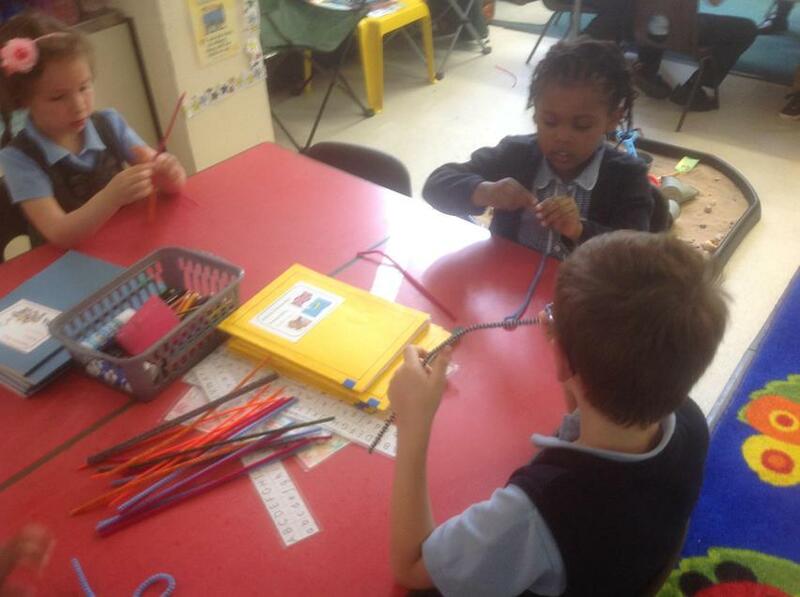 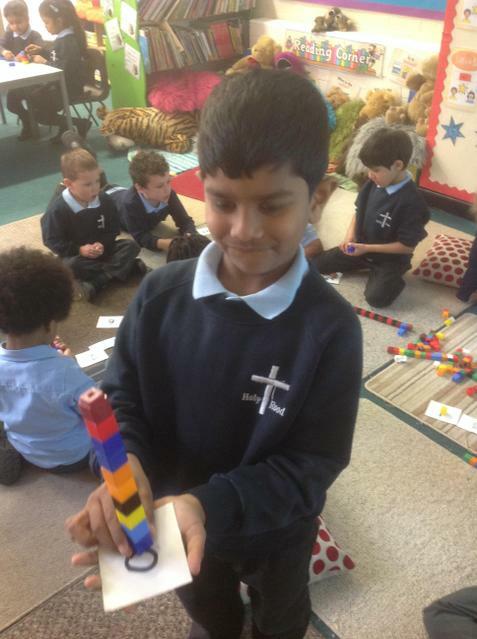 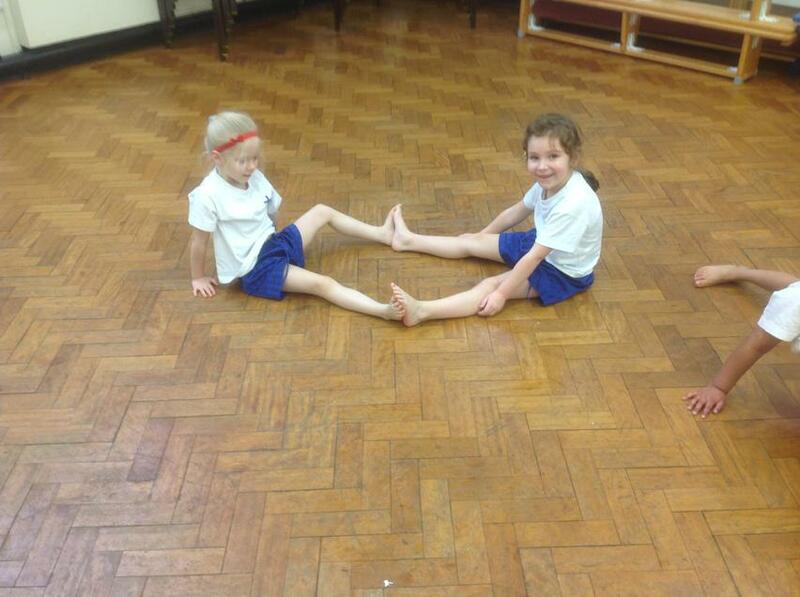 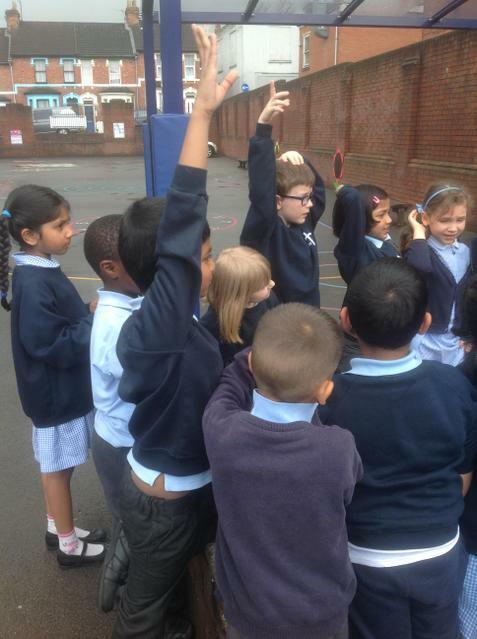 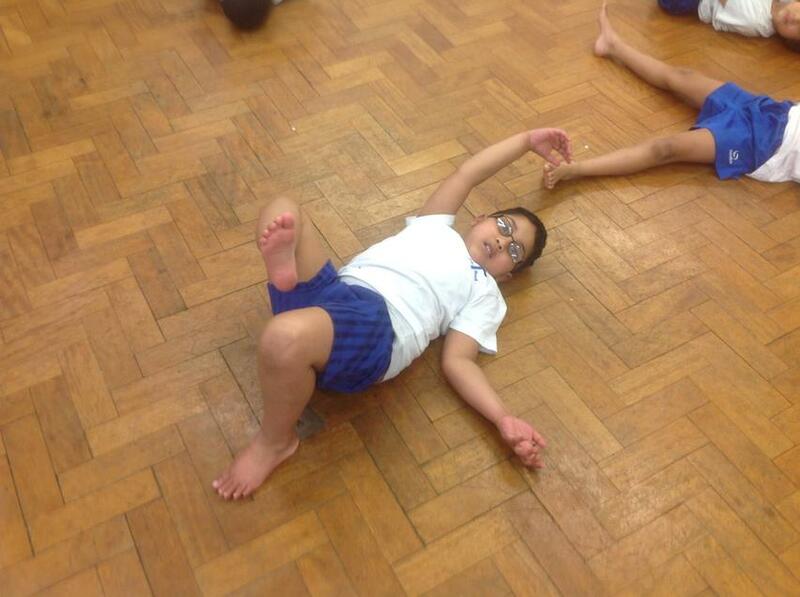 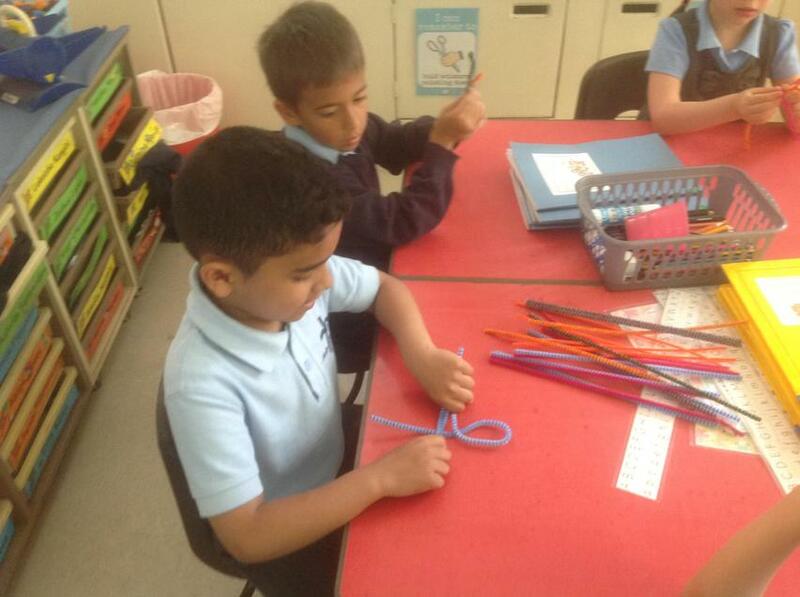 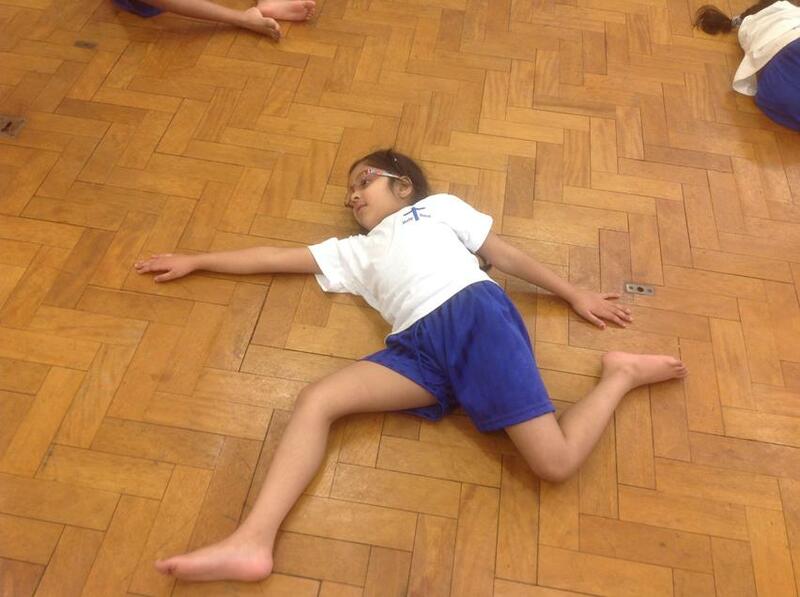 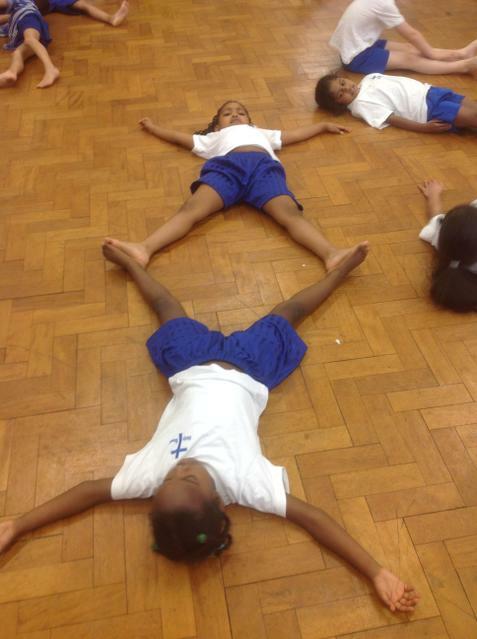 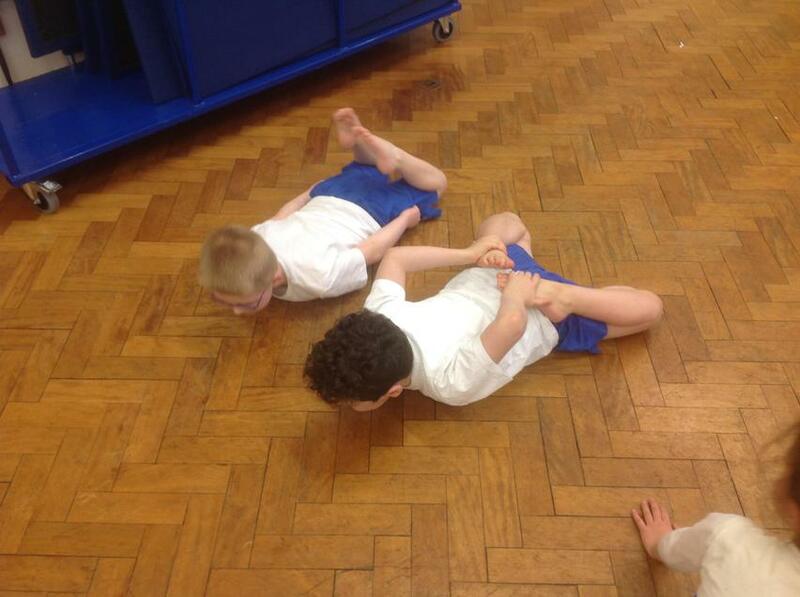 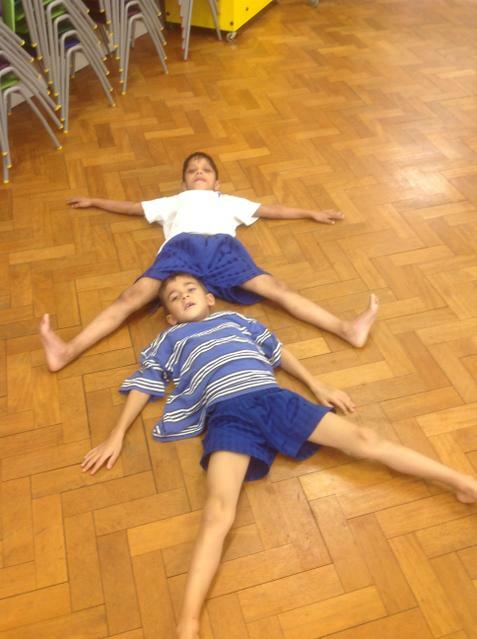 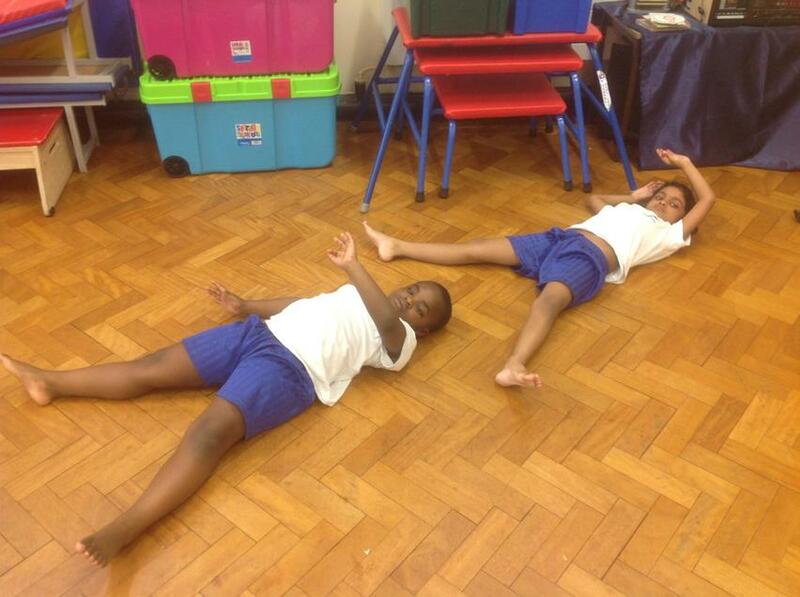 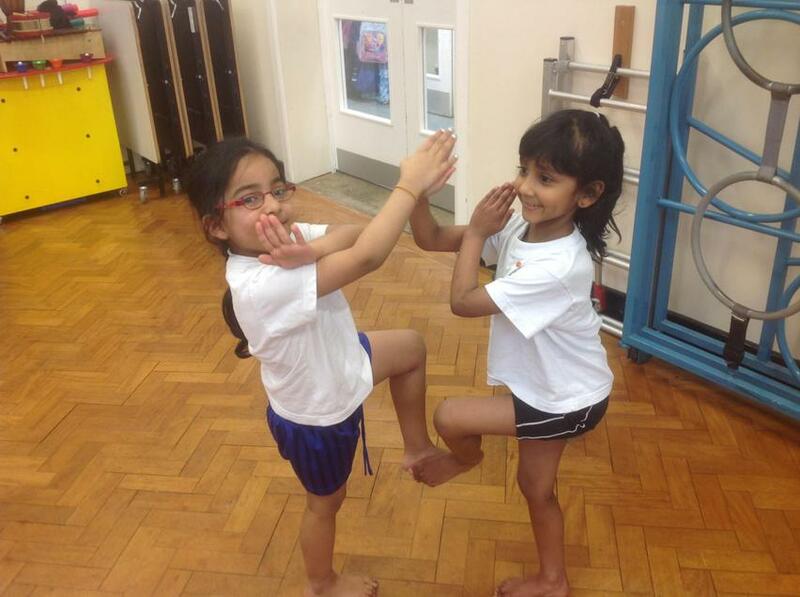 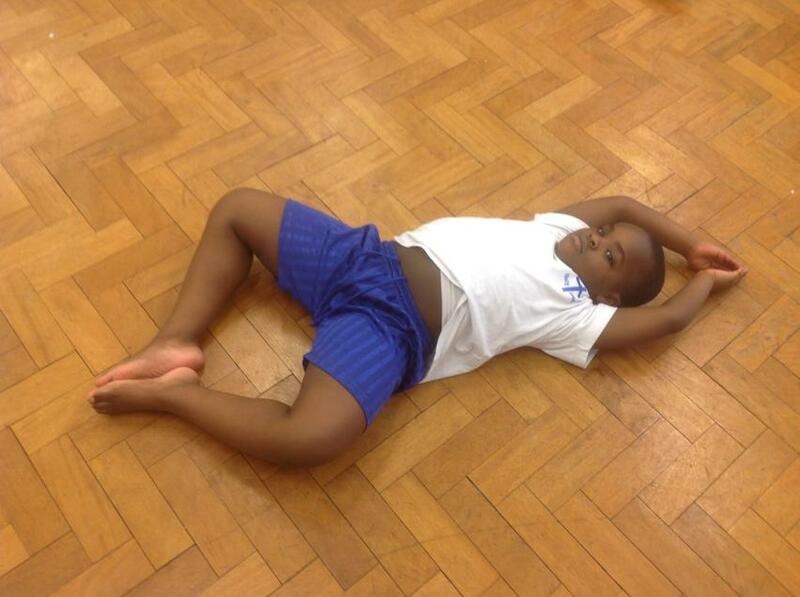 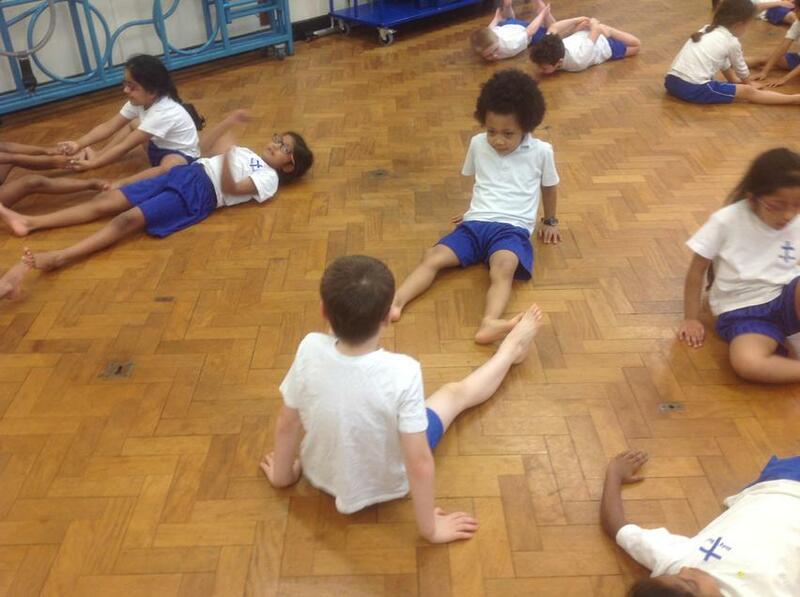 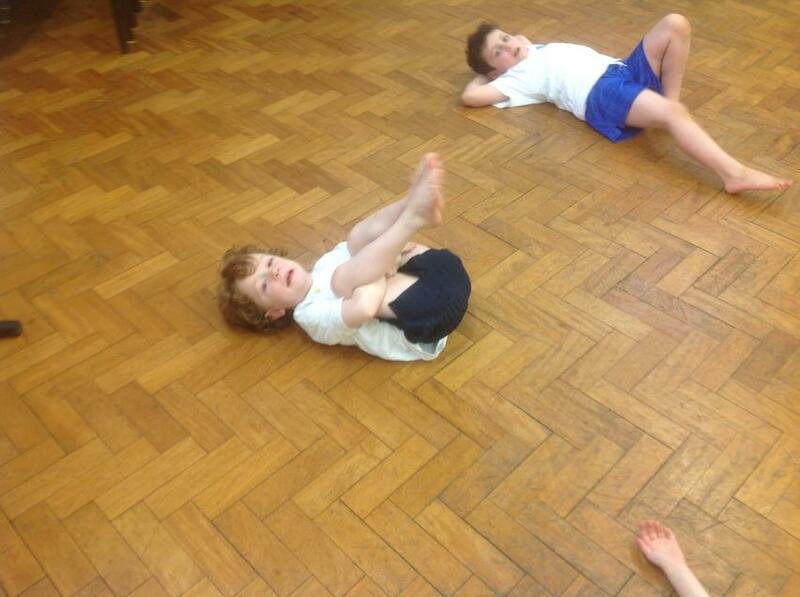 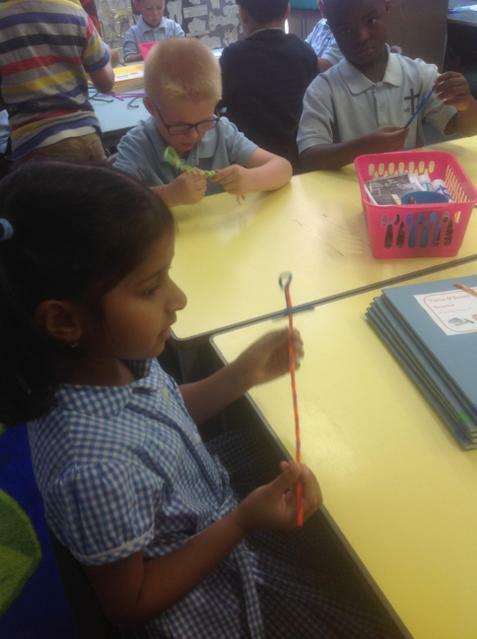 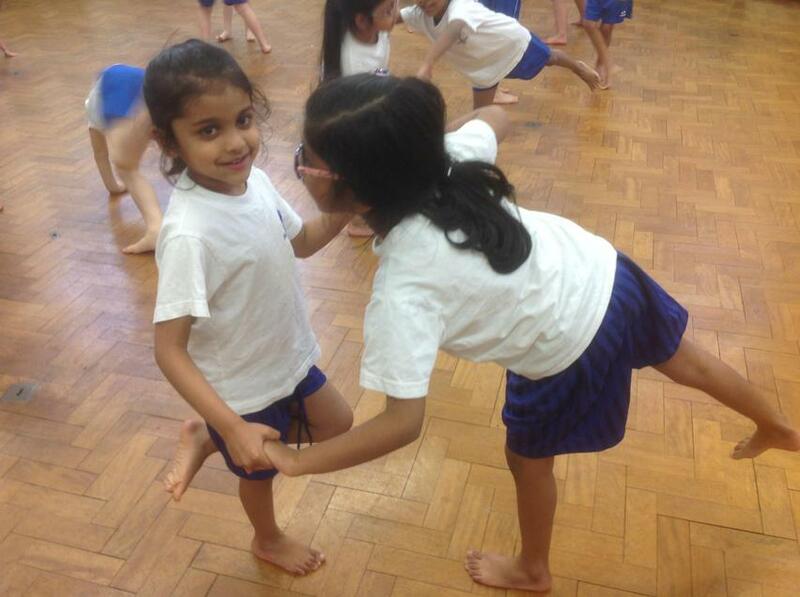 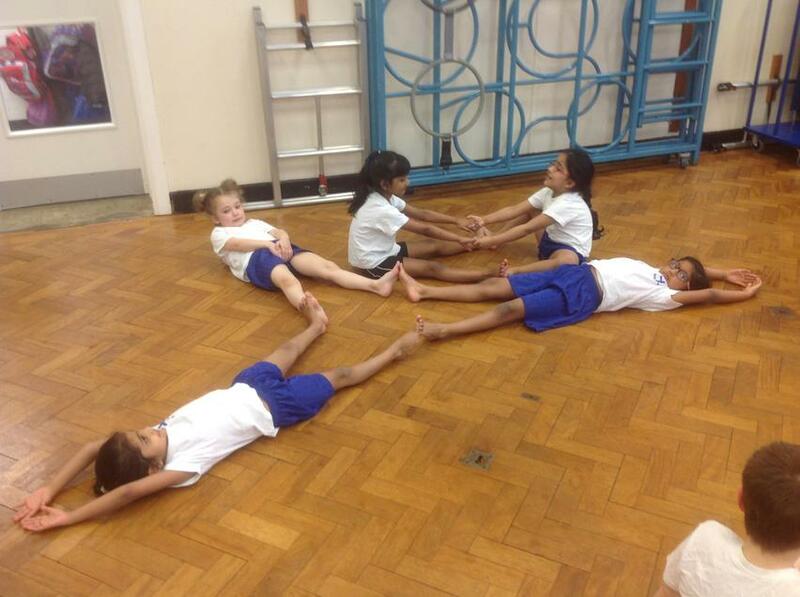 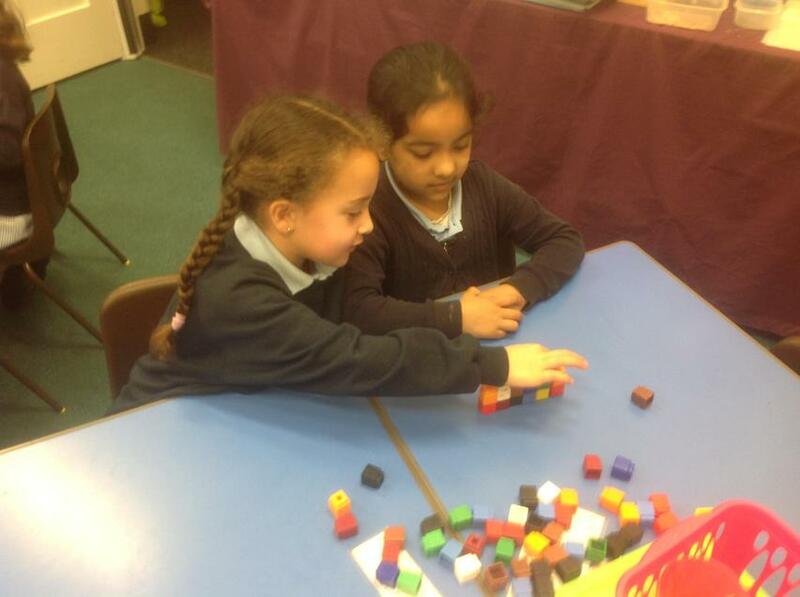 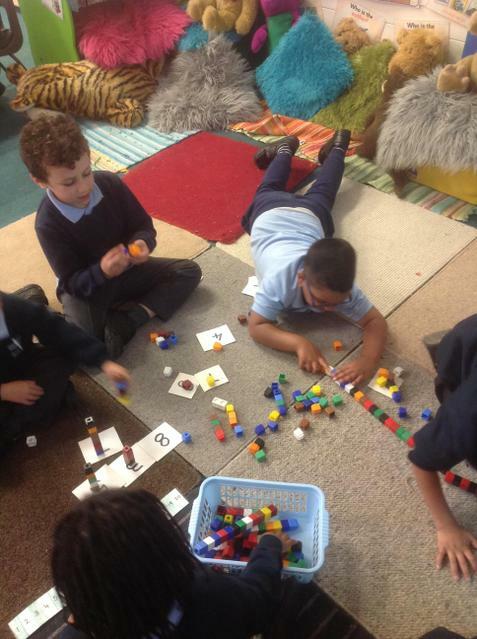 In PE, we have been exploring the shapes our body can make. 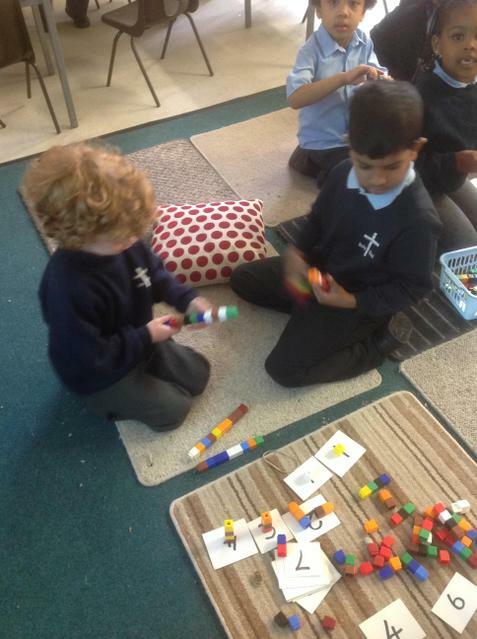 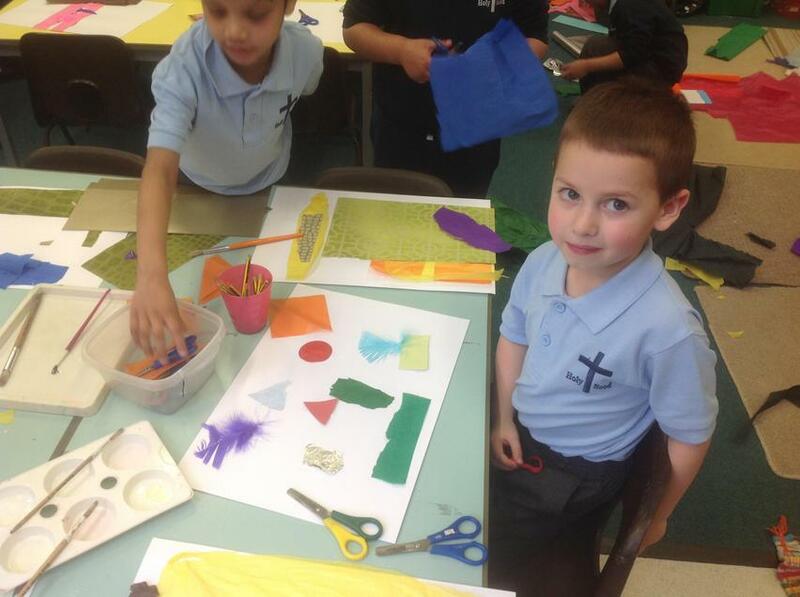 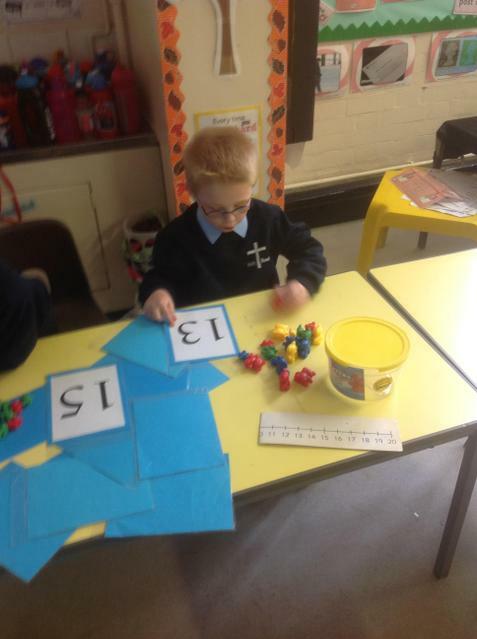 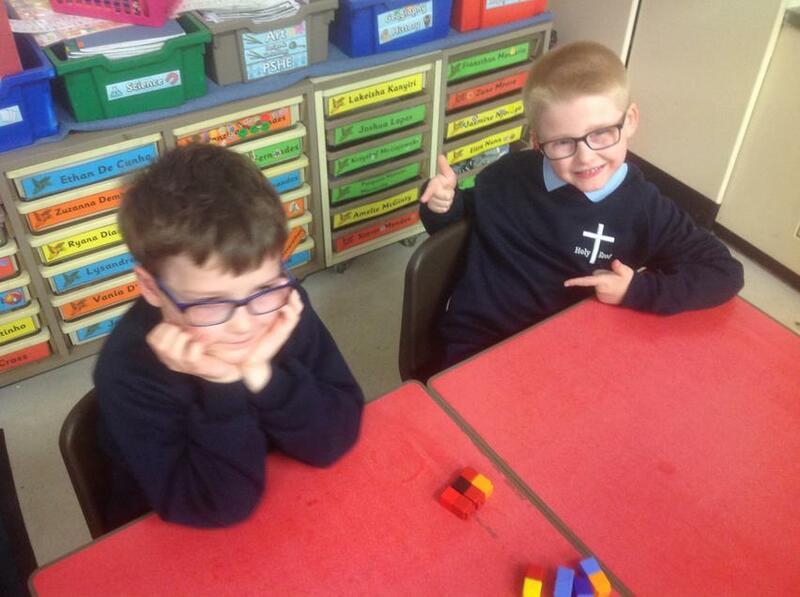 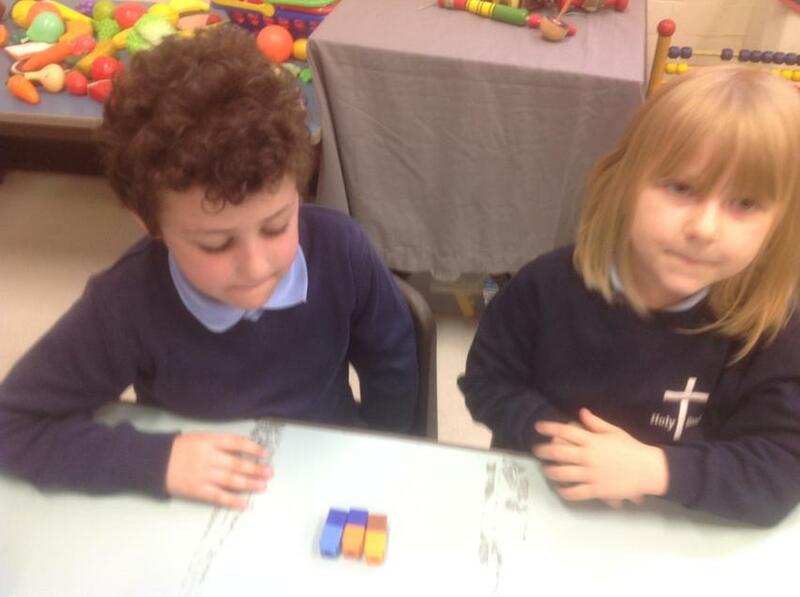 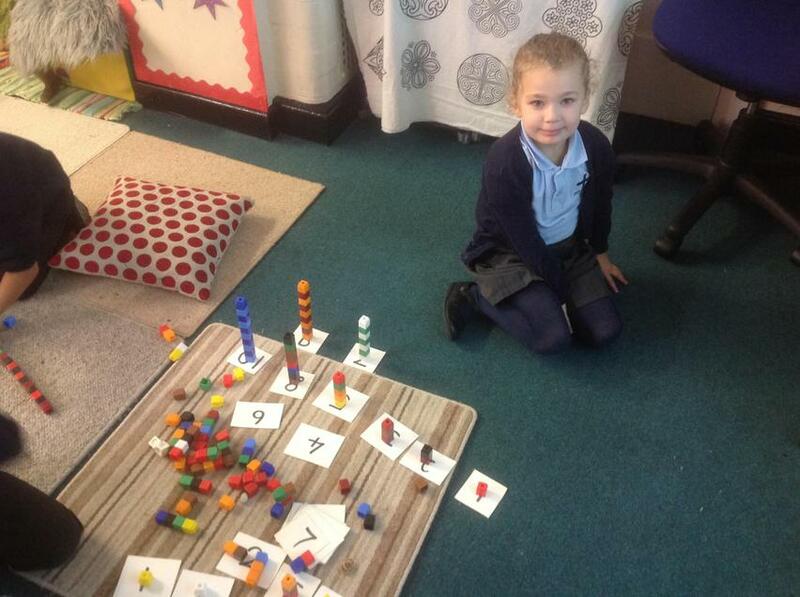 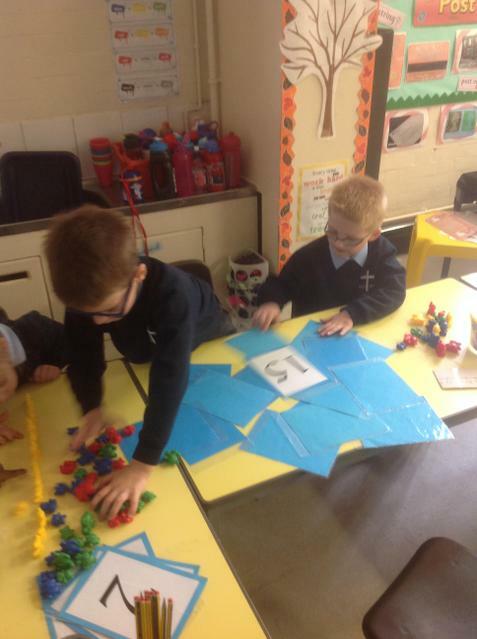 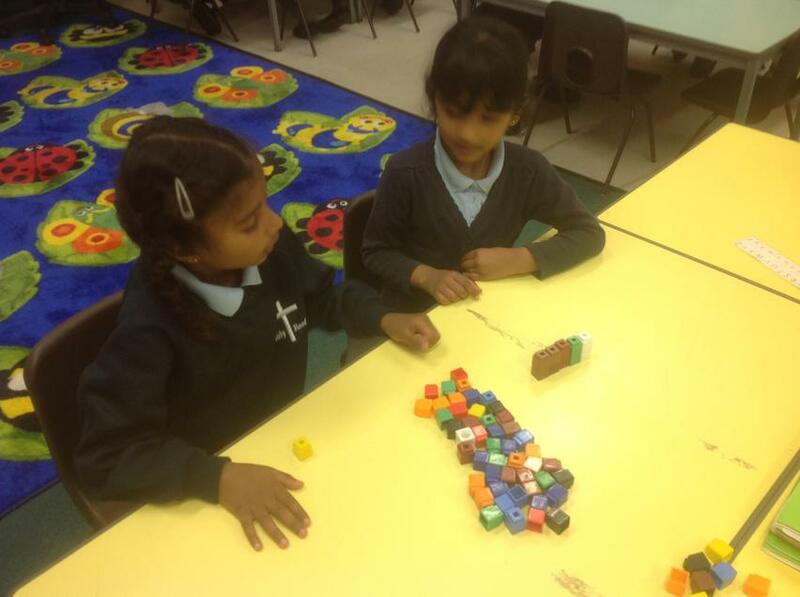 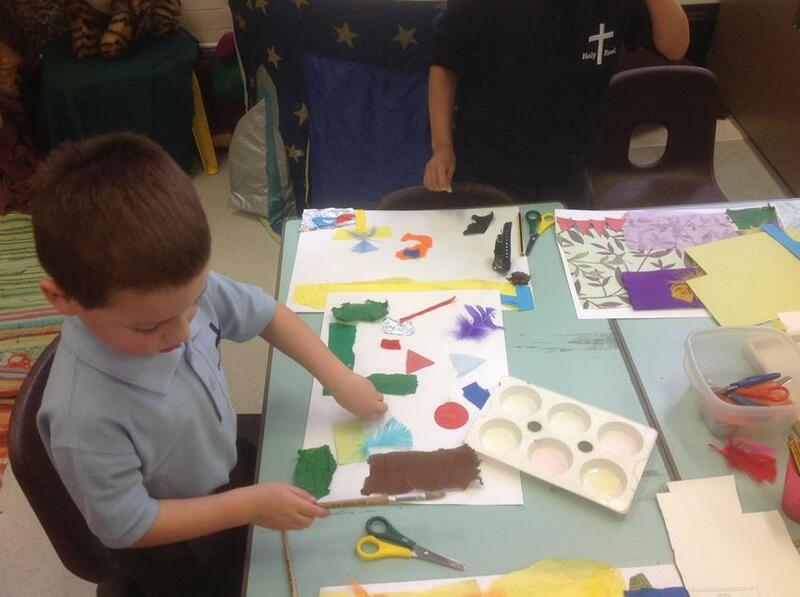 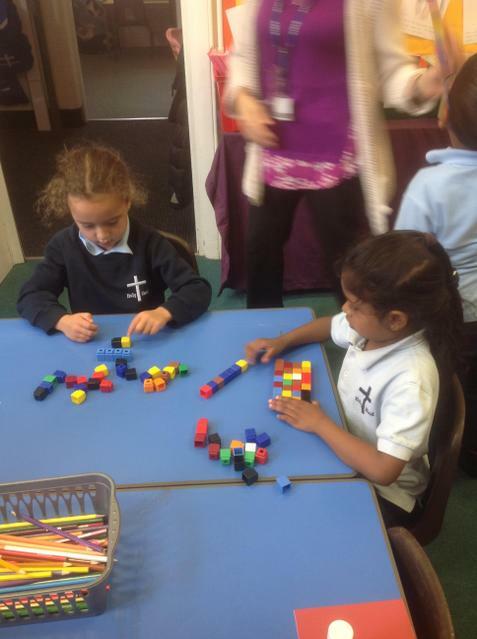 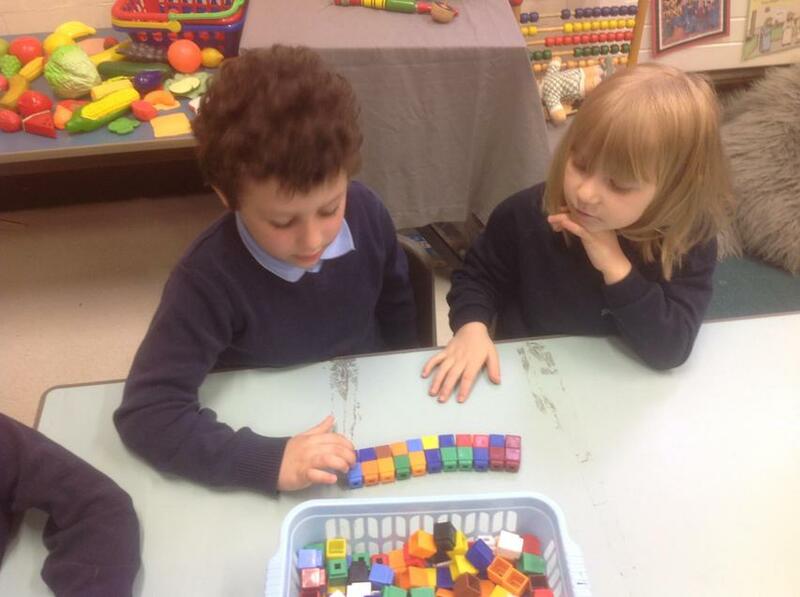 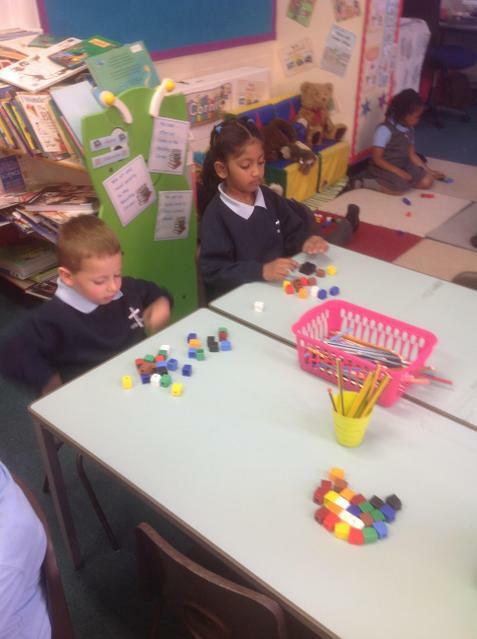 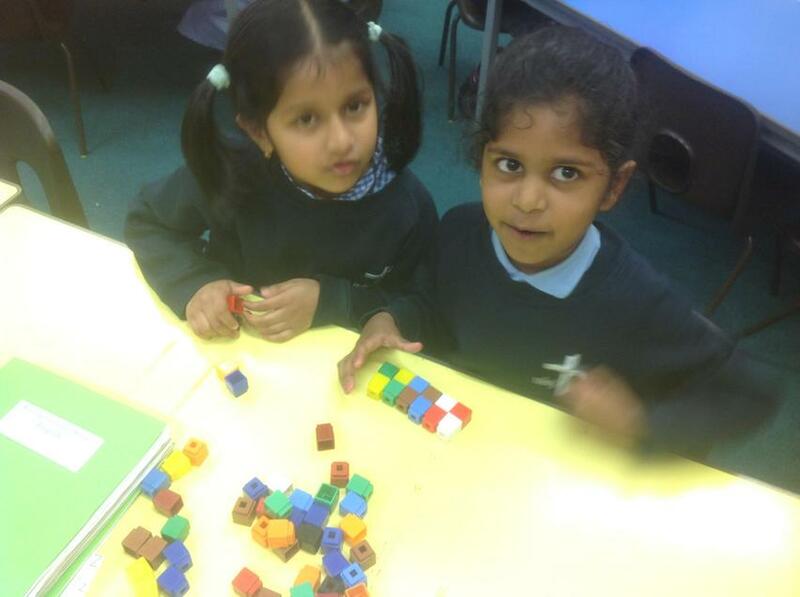 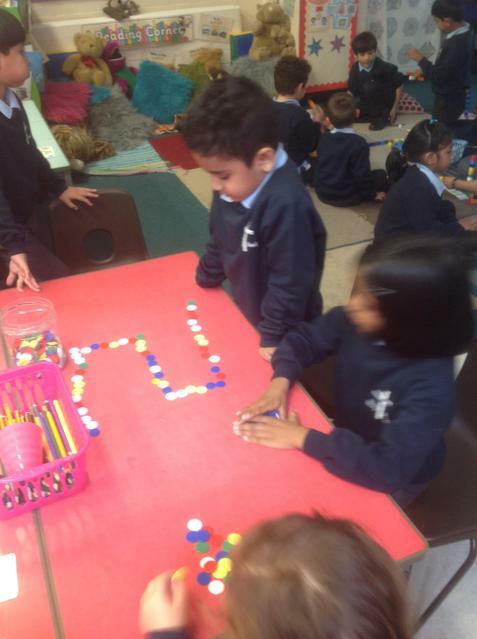 Here are the shapes we created. 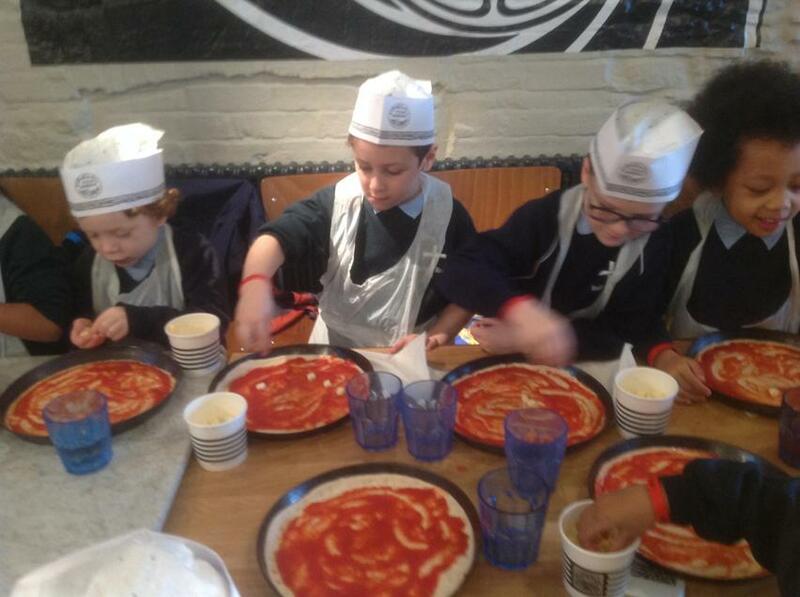 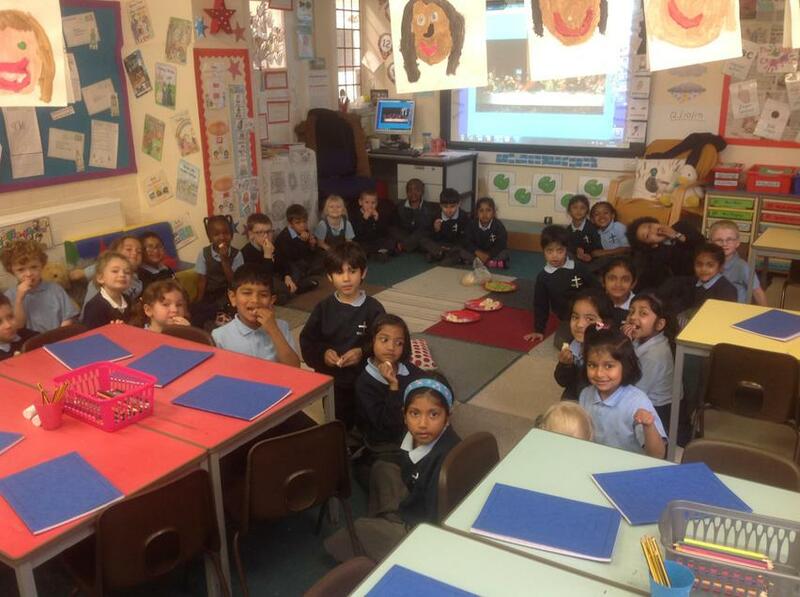 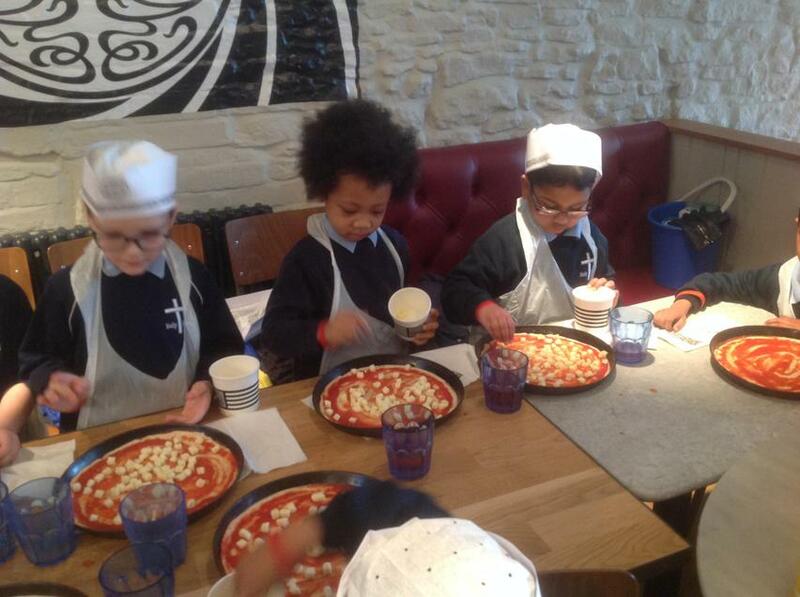 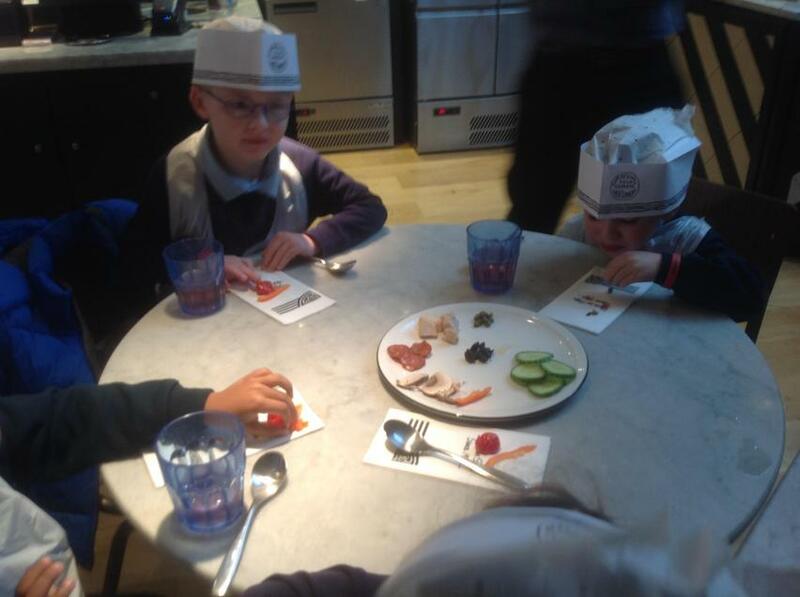 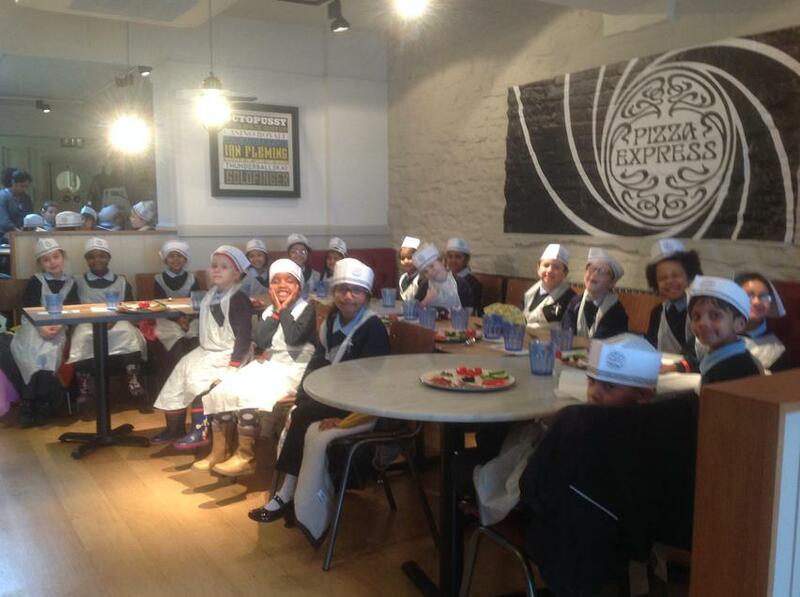 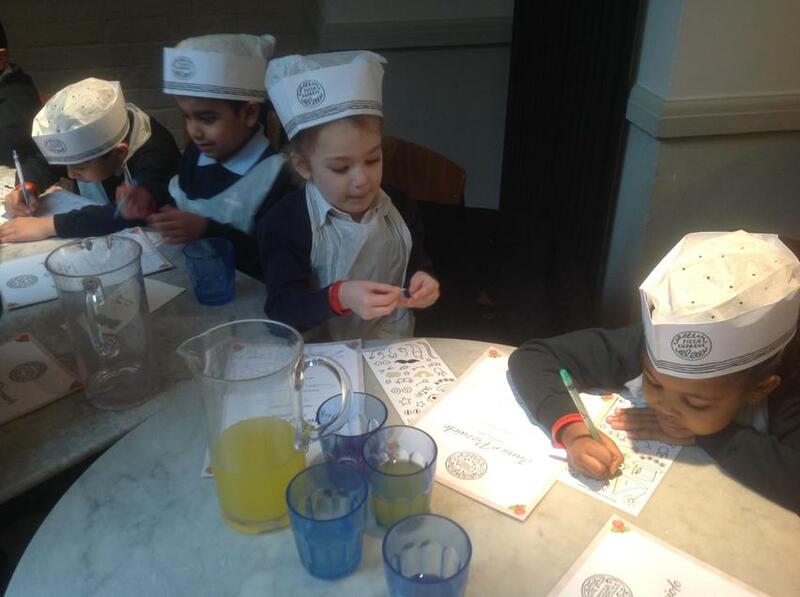 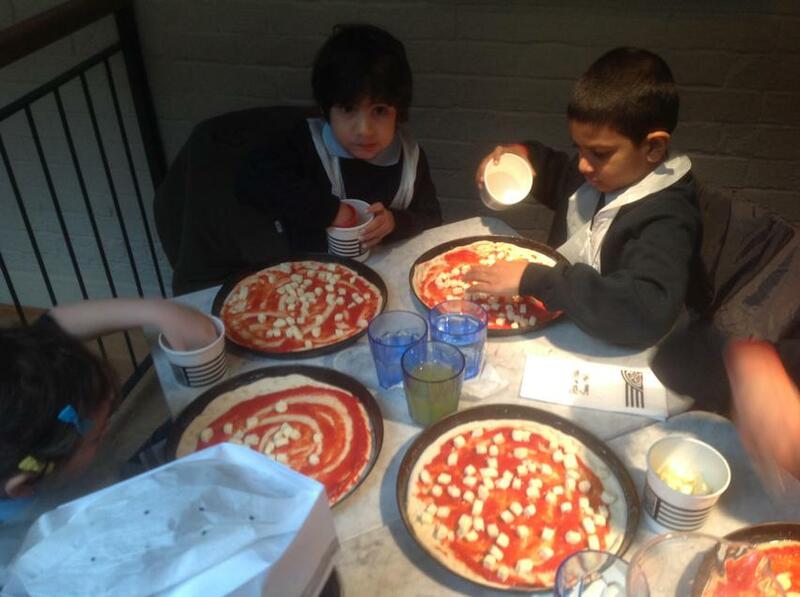 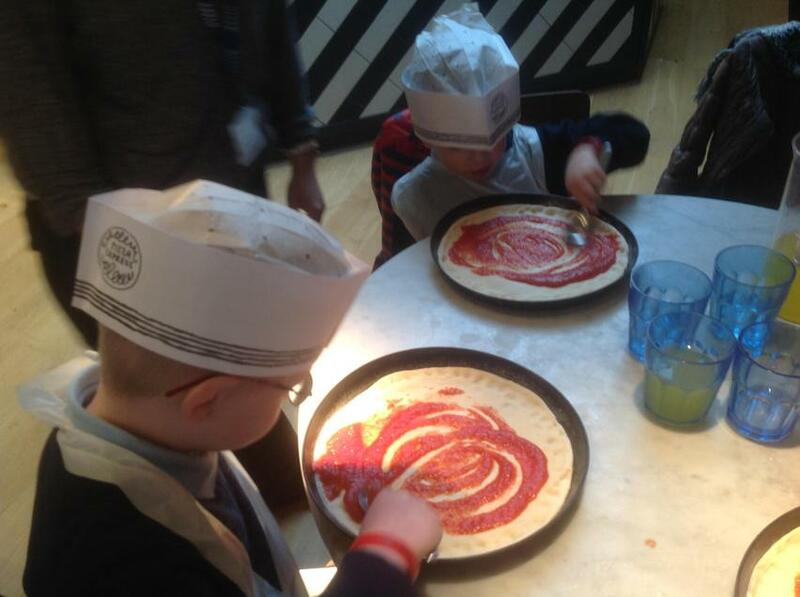 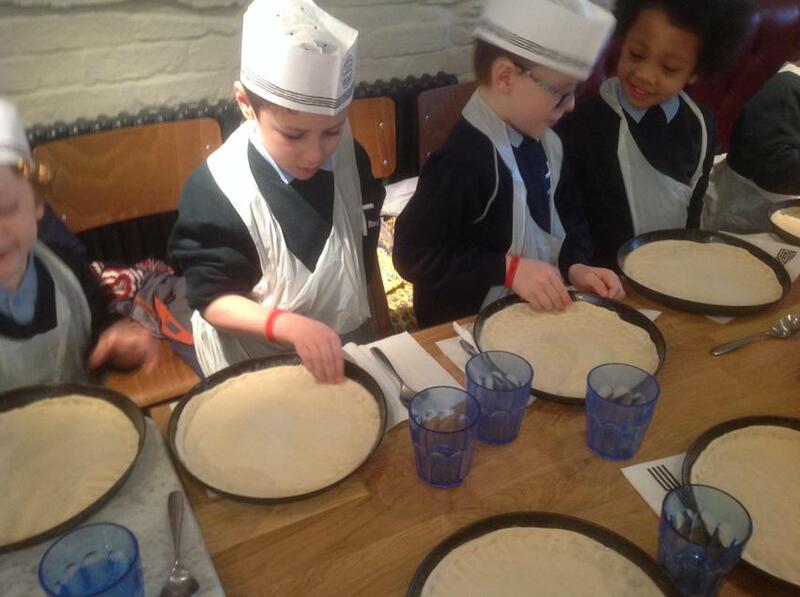 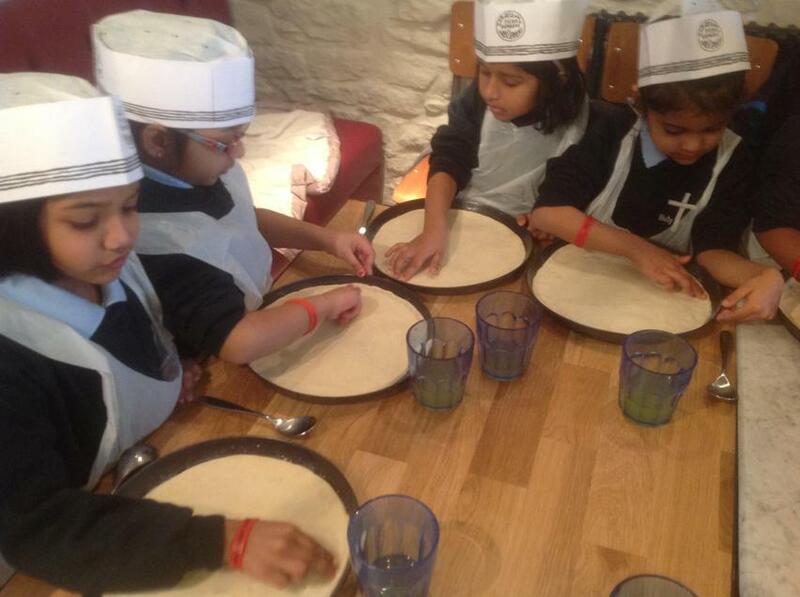 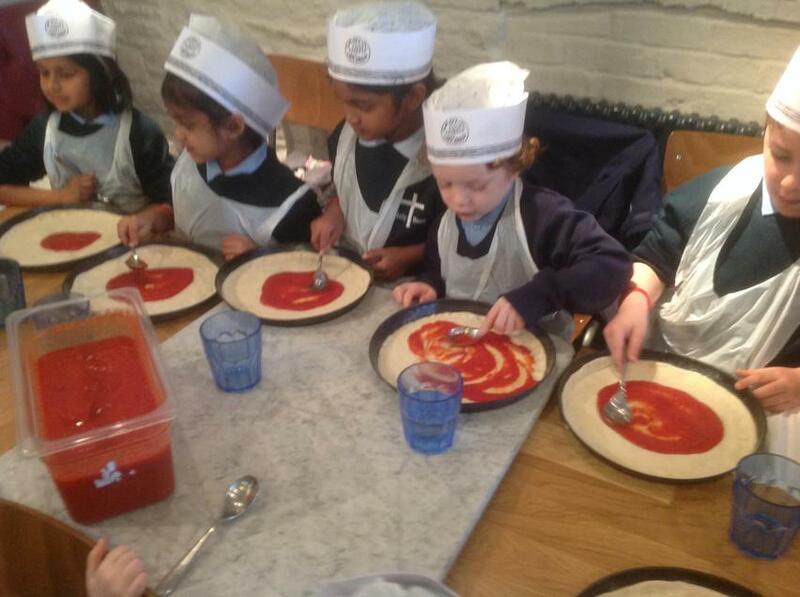 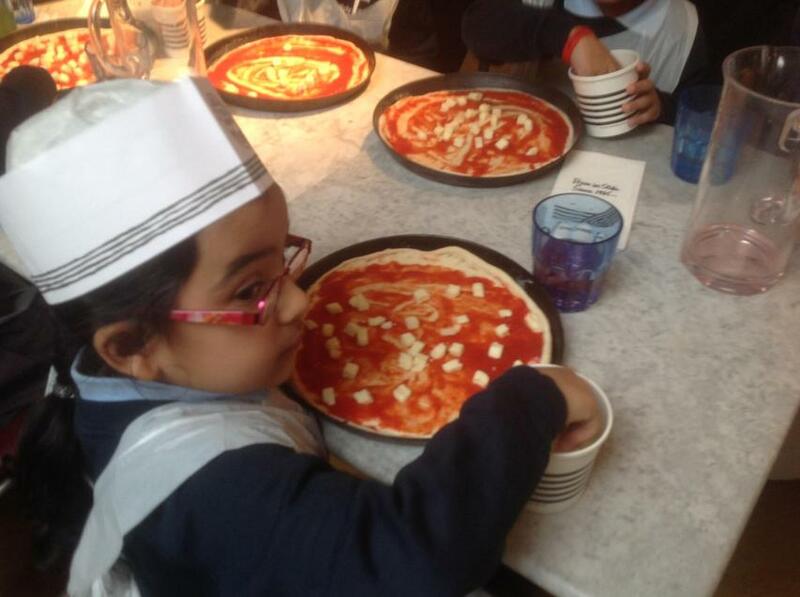 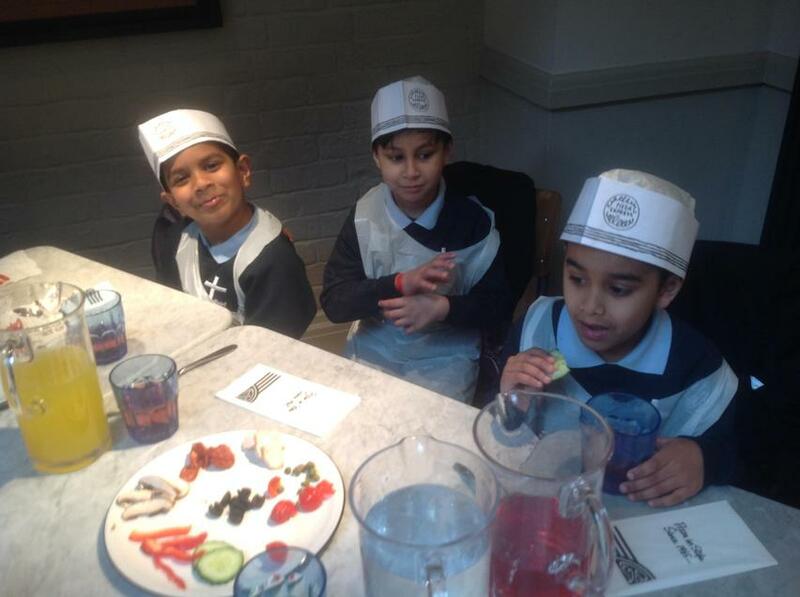 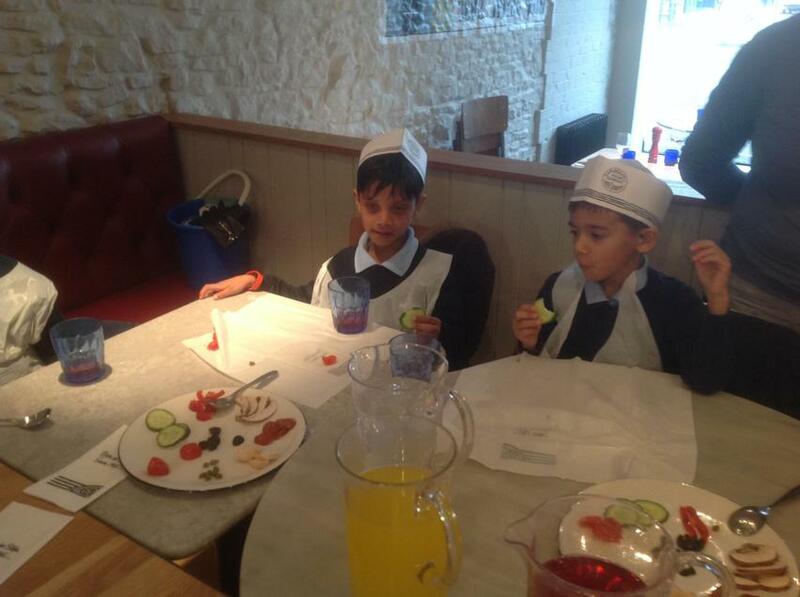 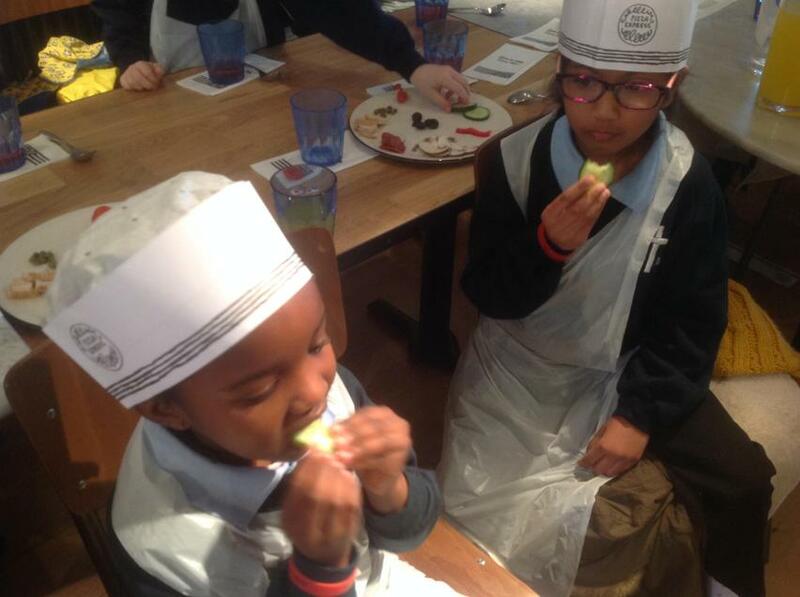 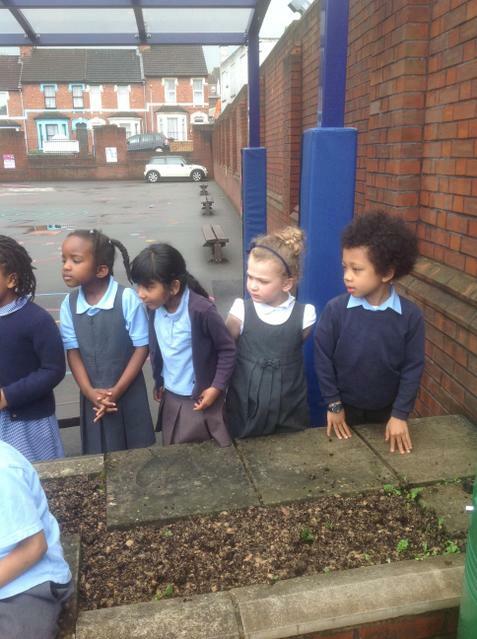 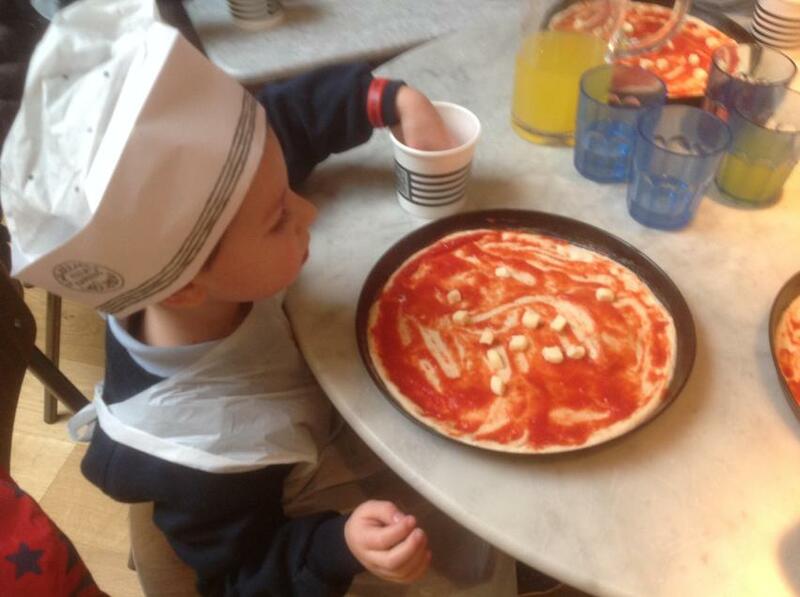 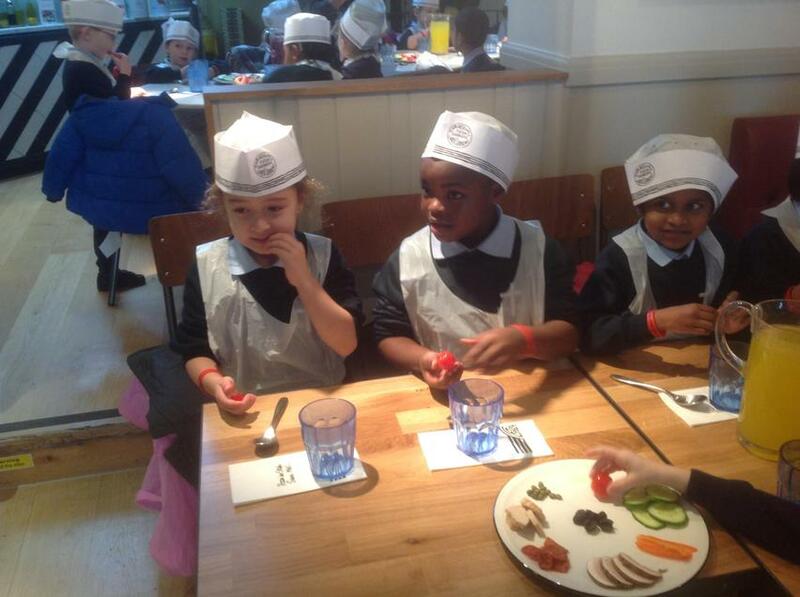 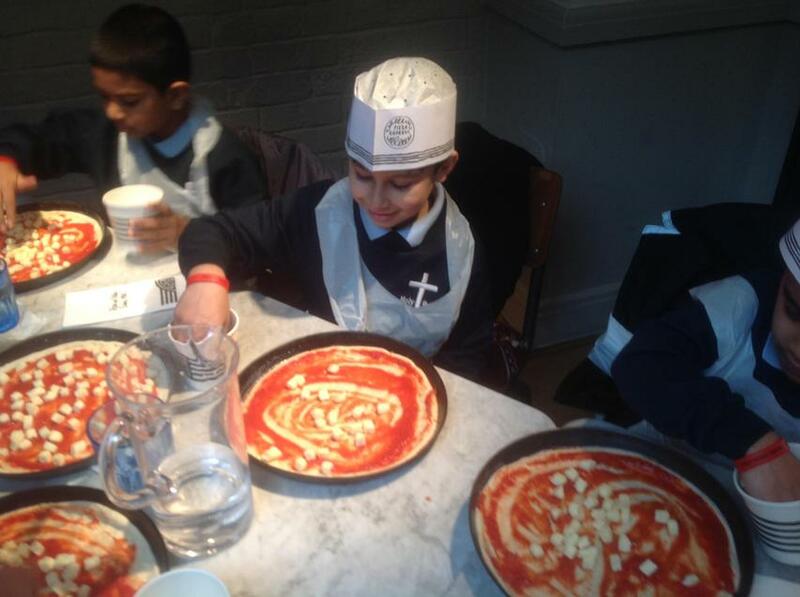 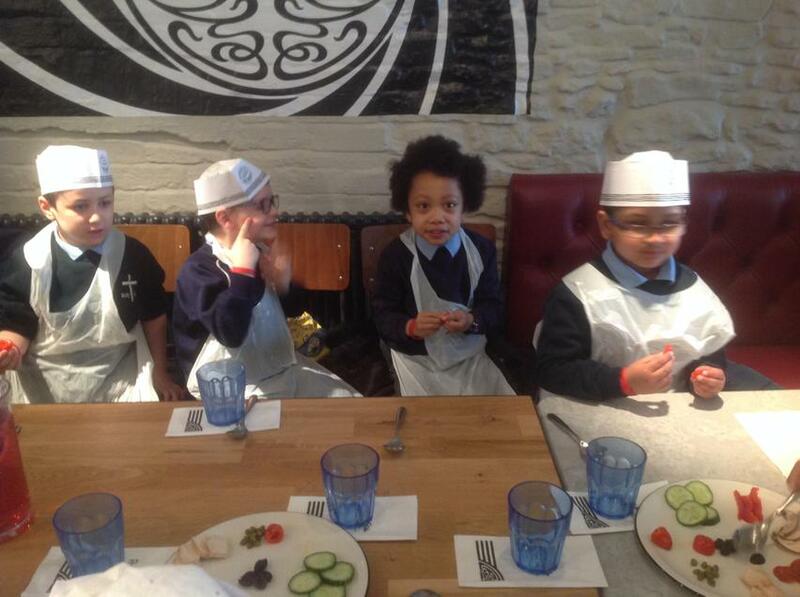 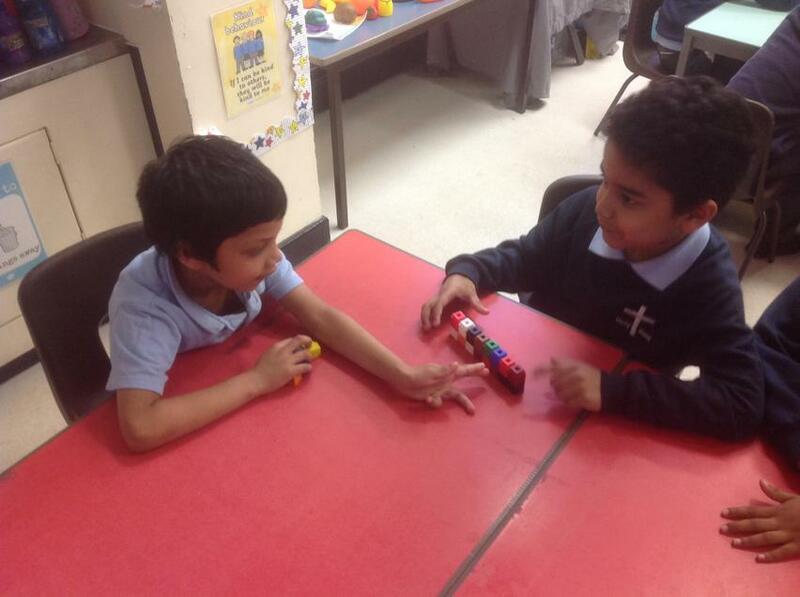 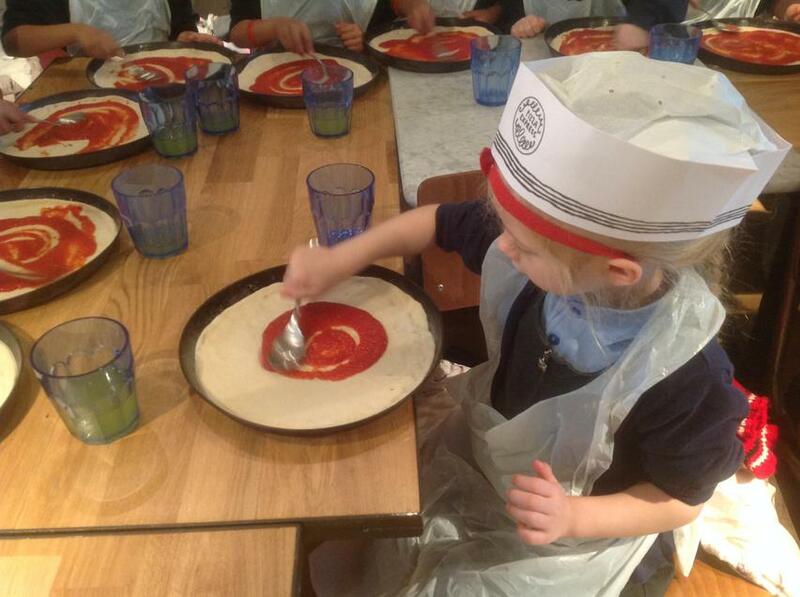 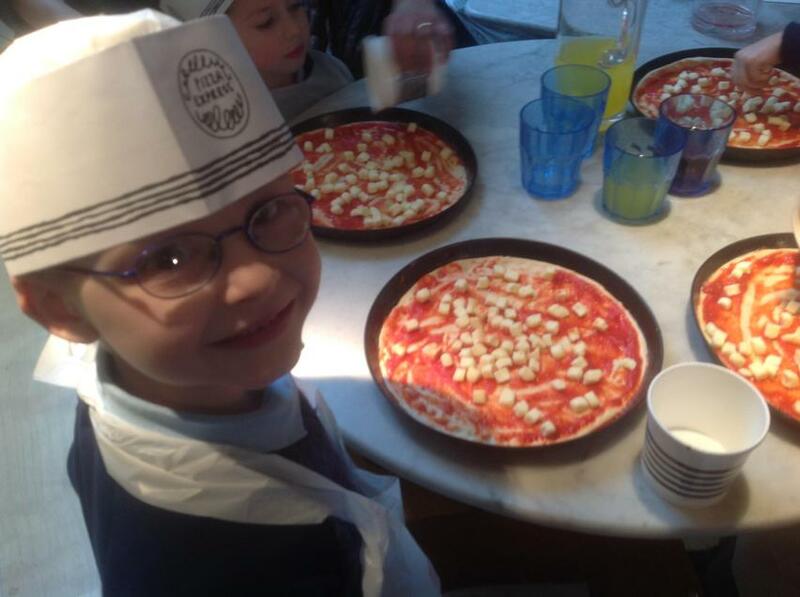 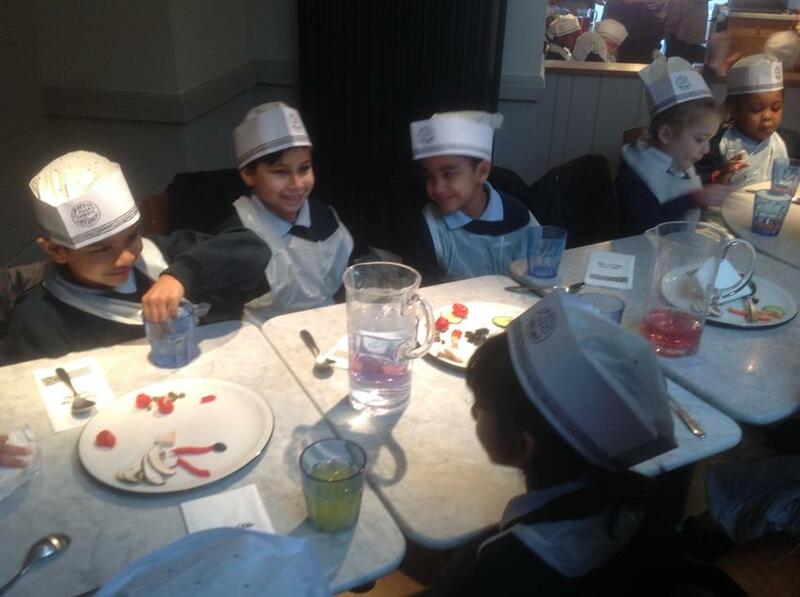 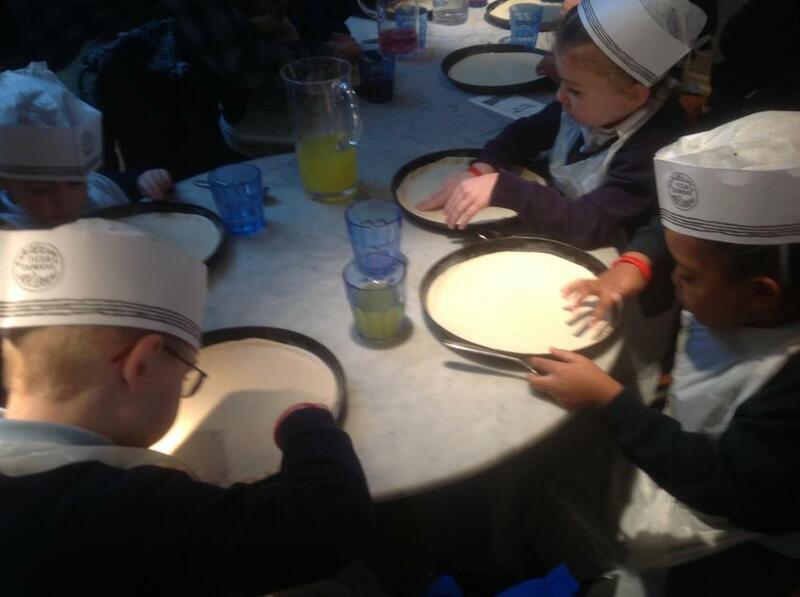 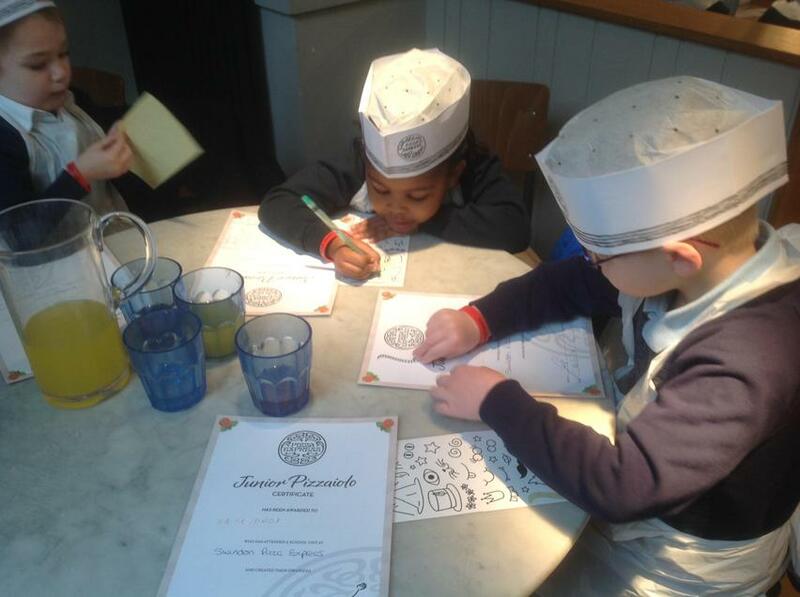 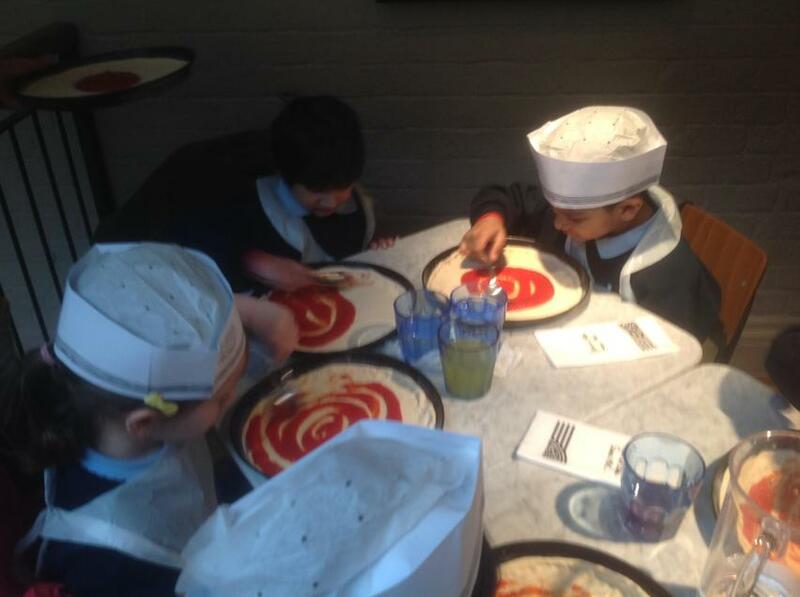 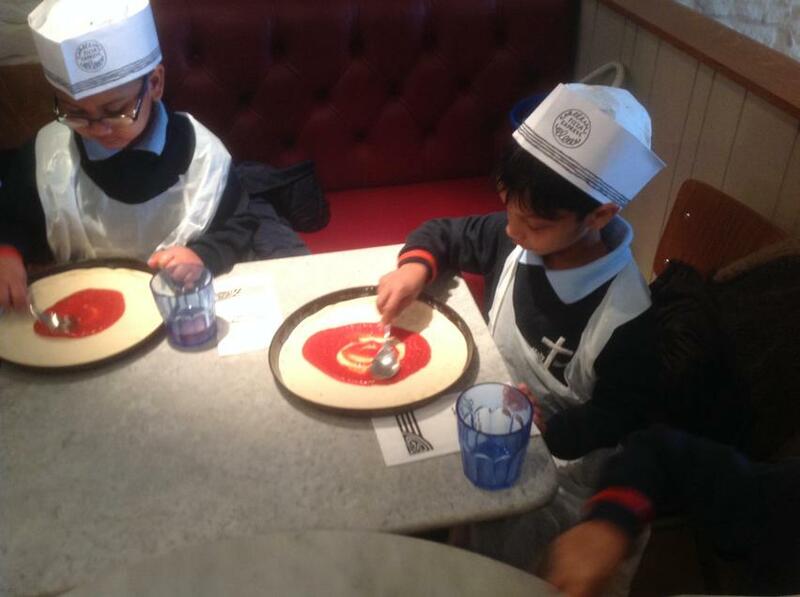 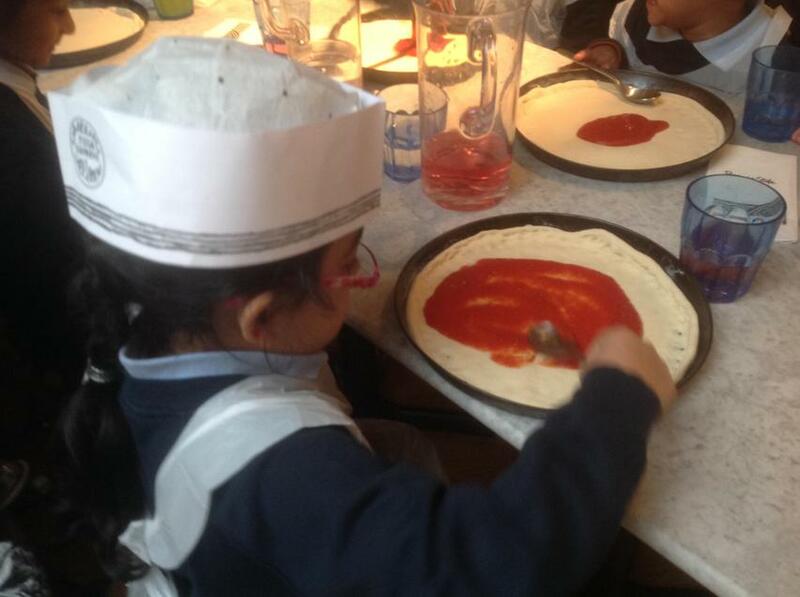 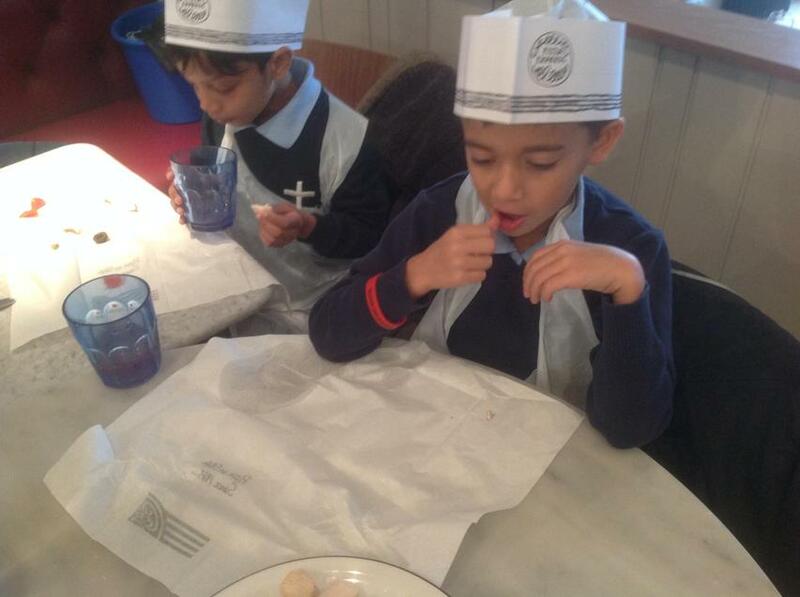 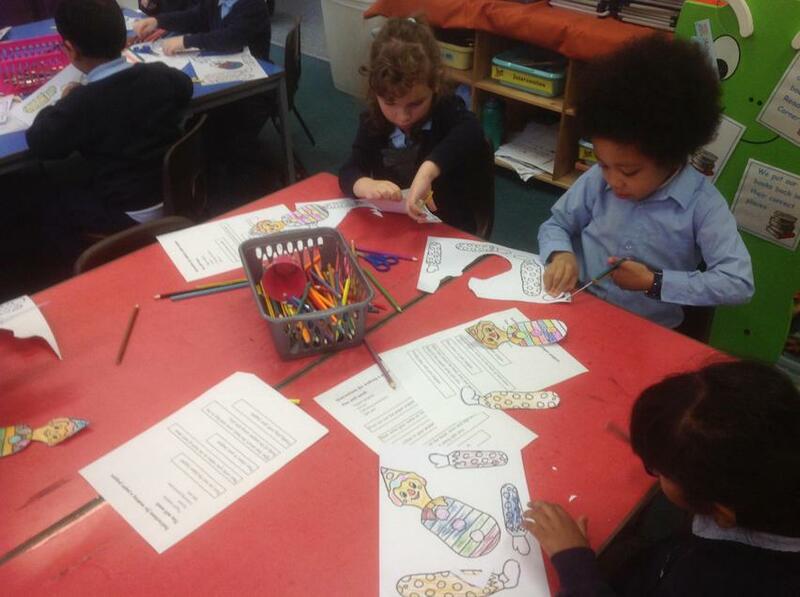 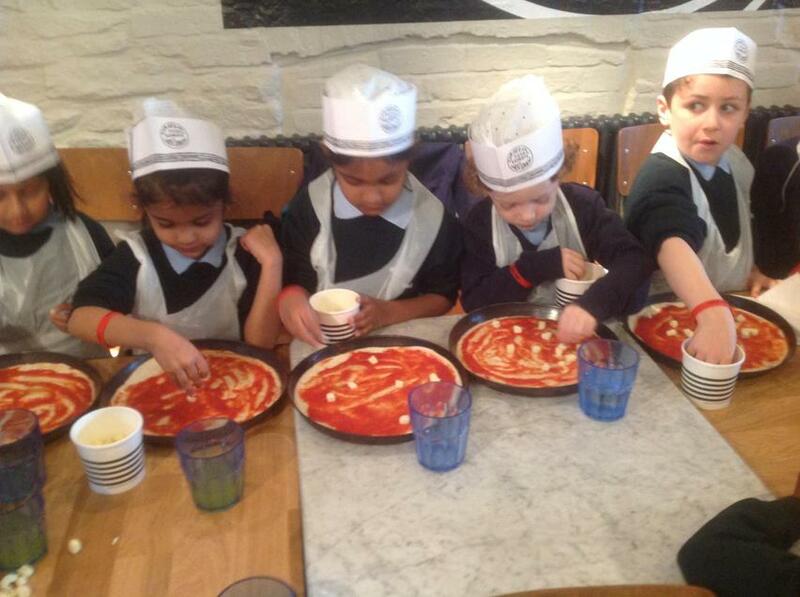 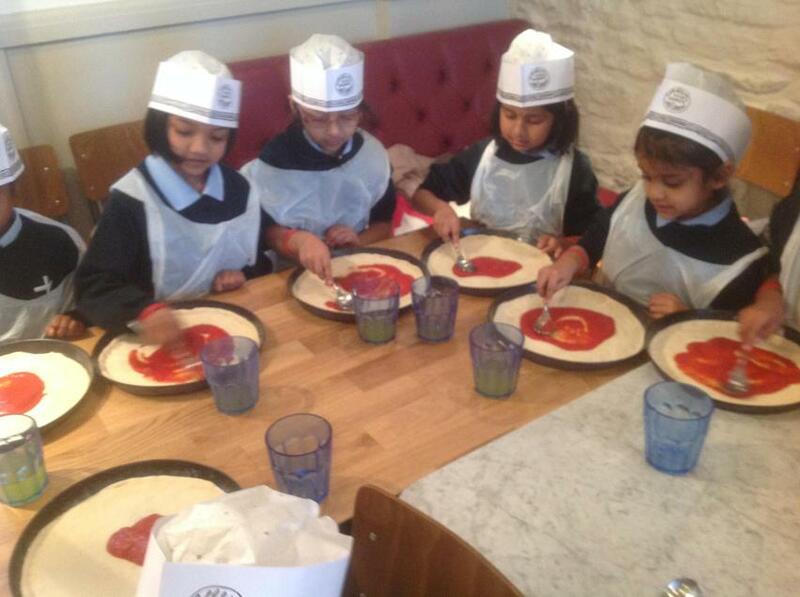 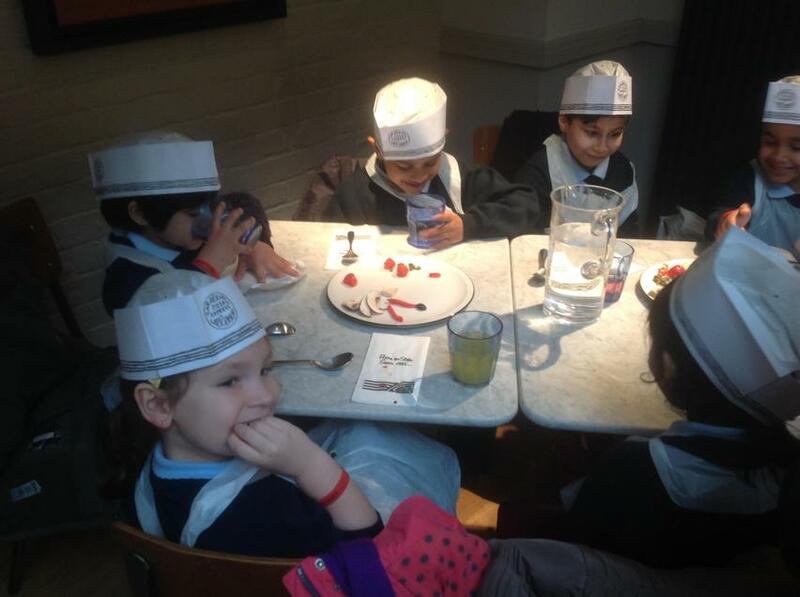 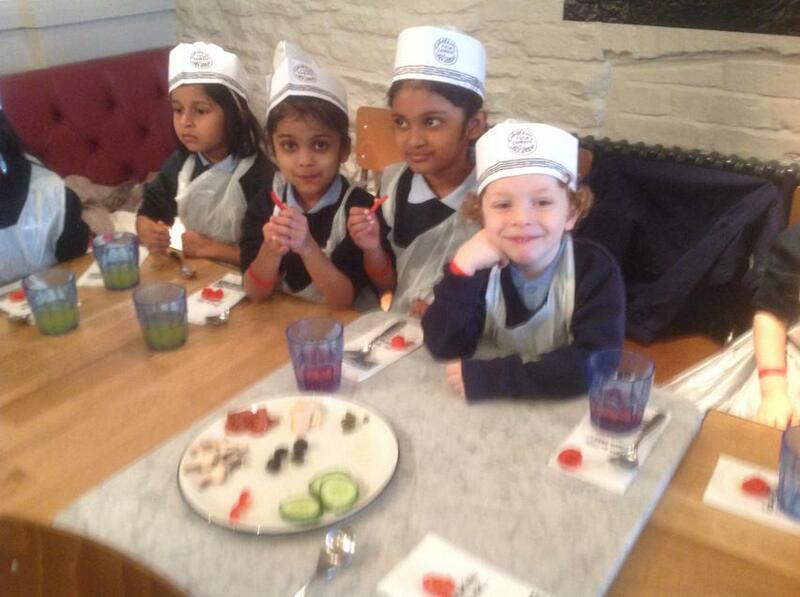 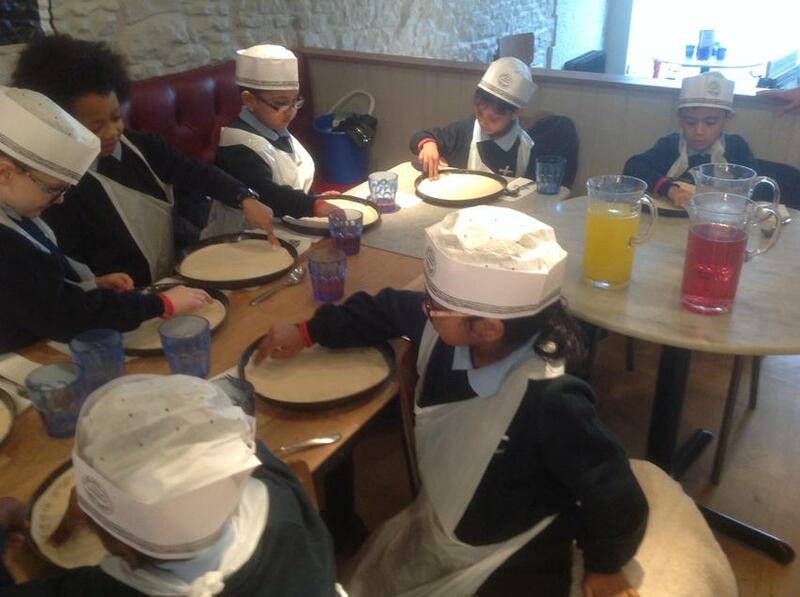 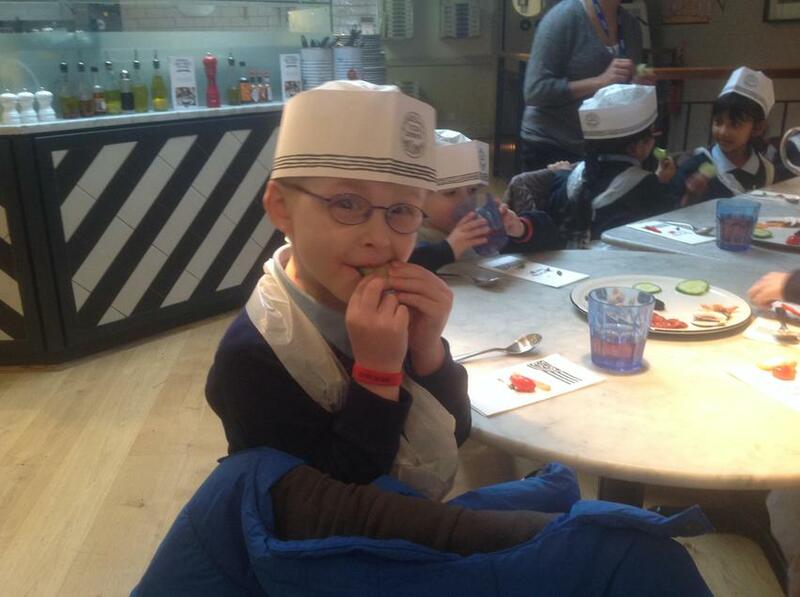 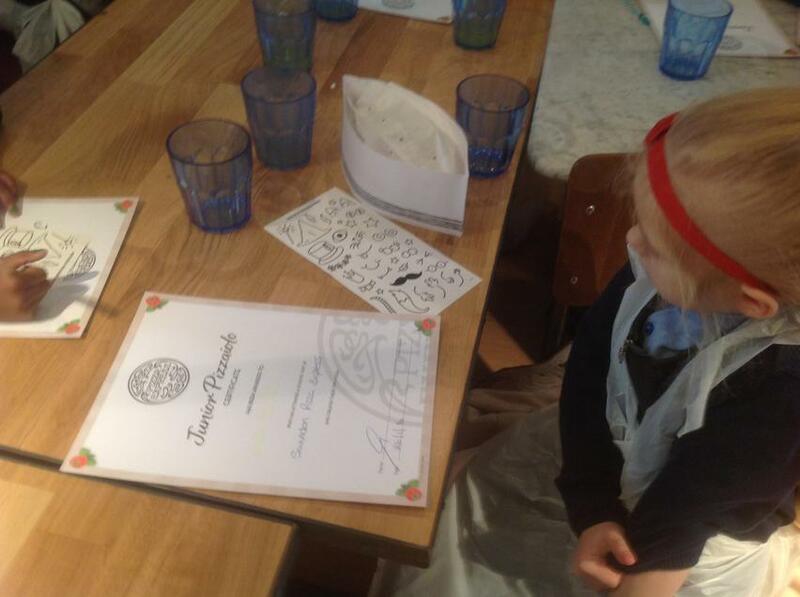 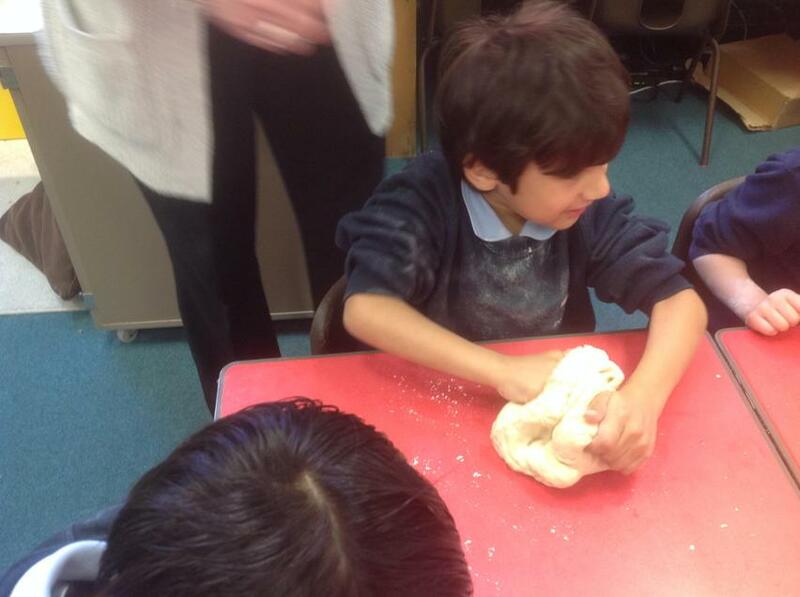 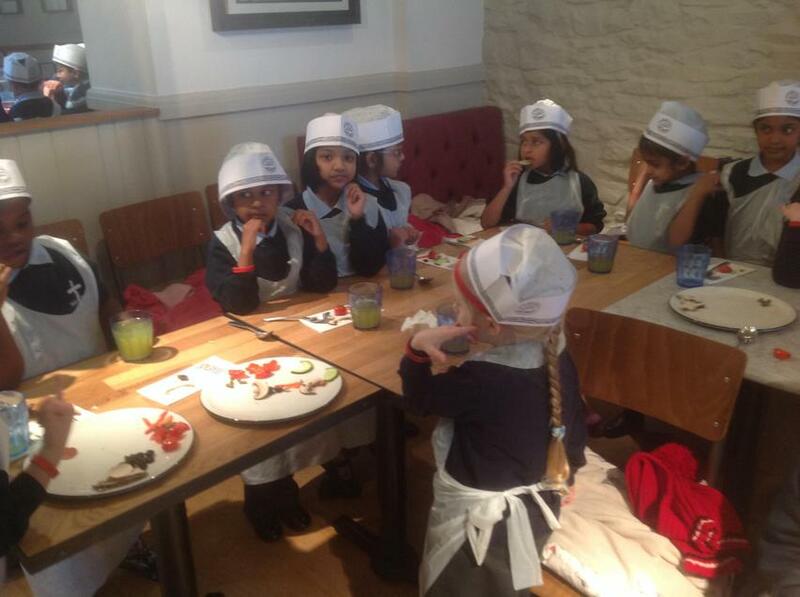 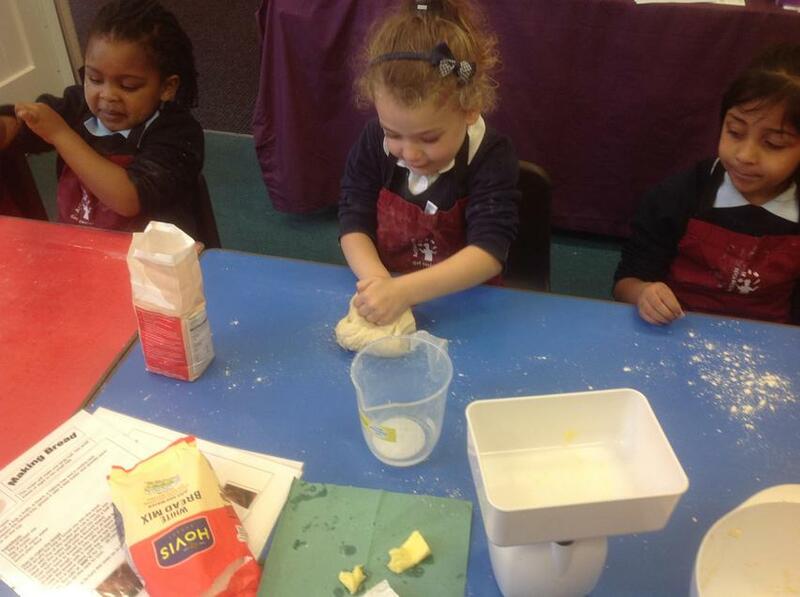 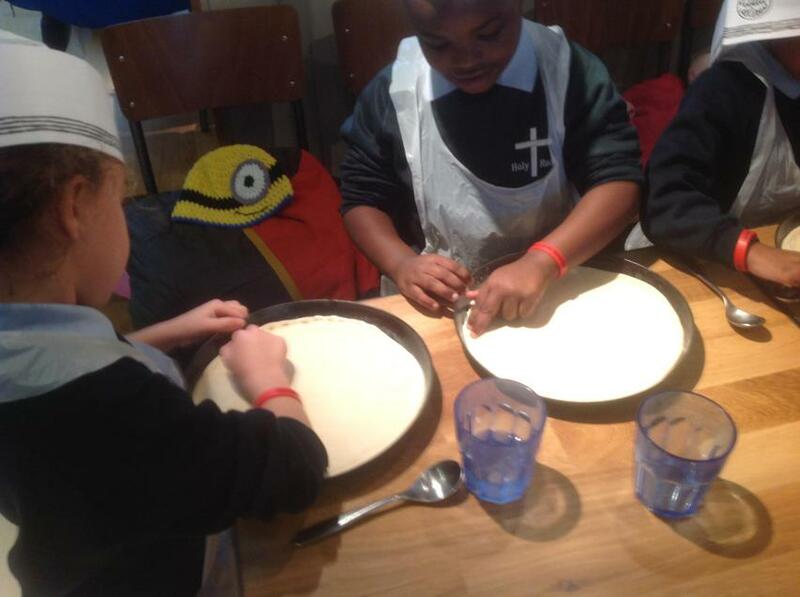 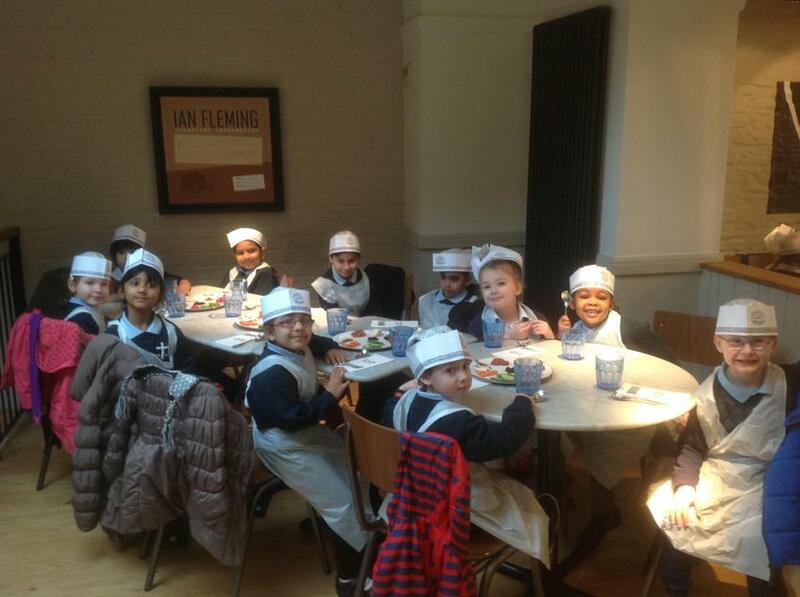 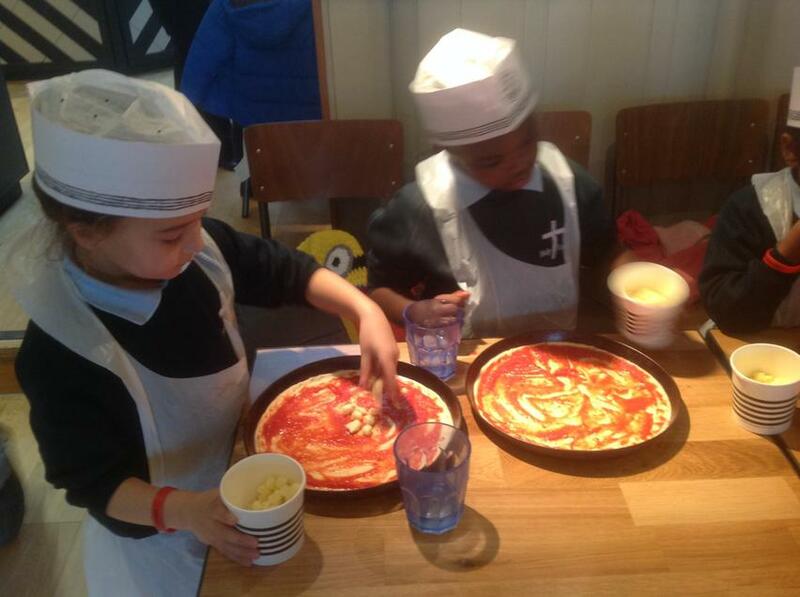 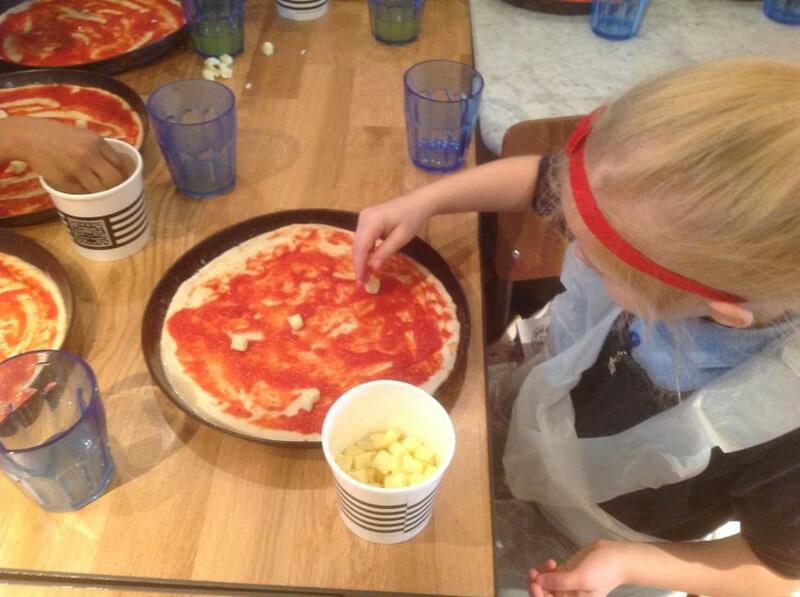 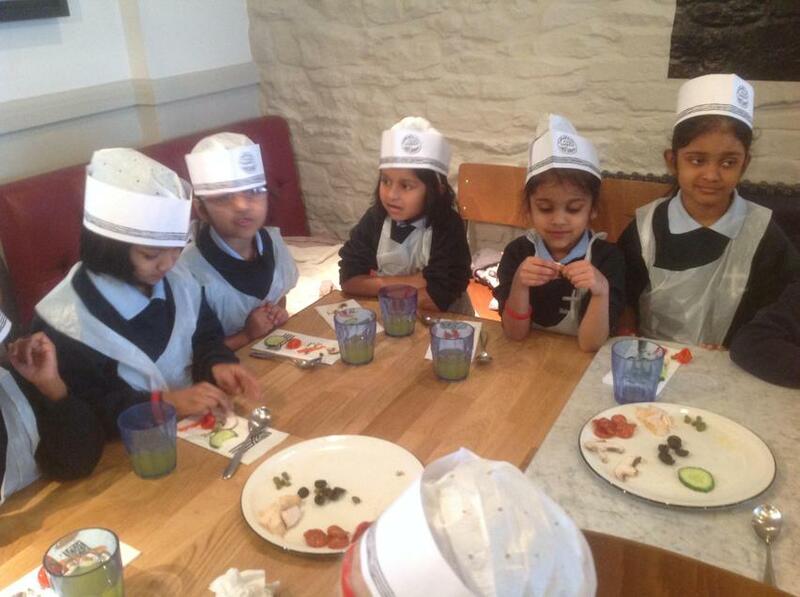 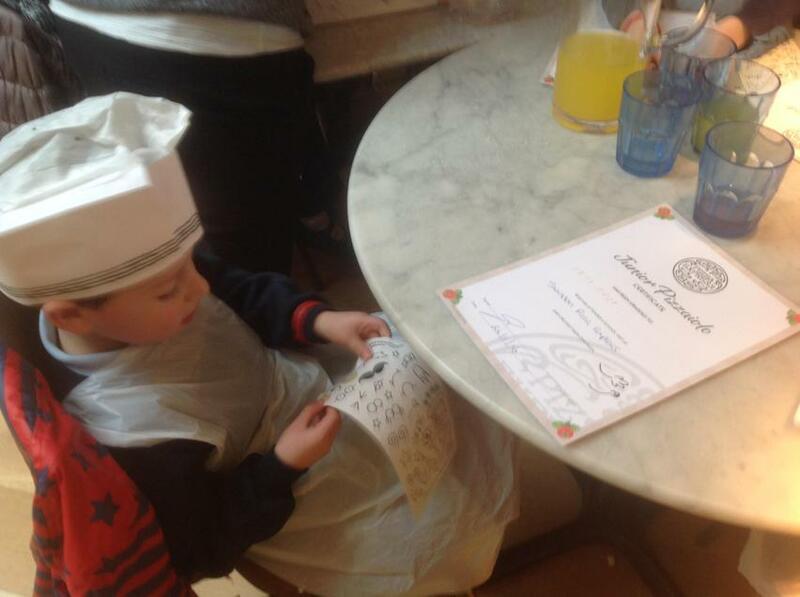 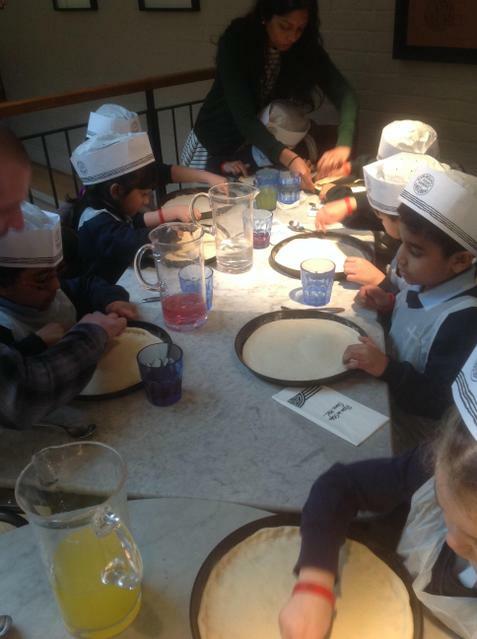 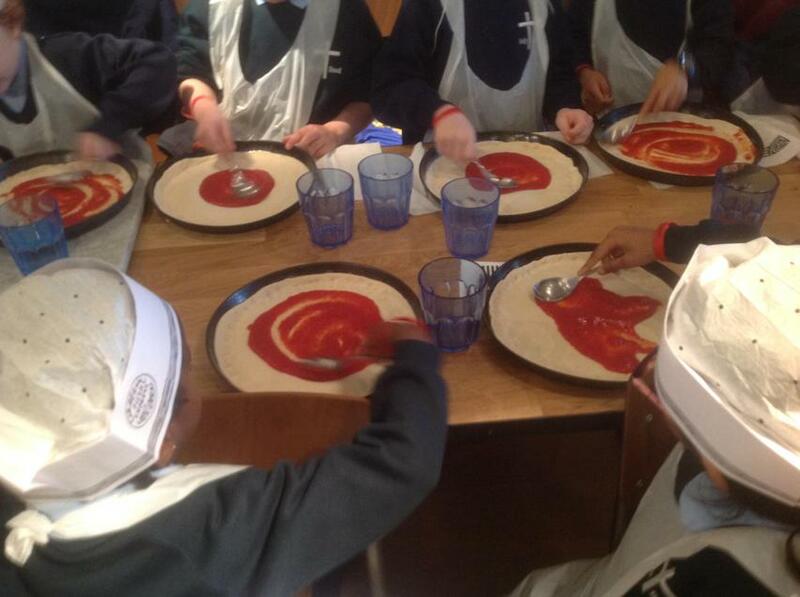 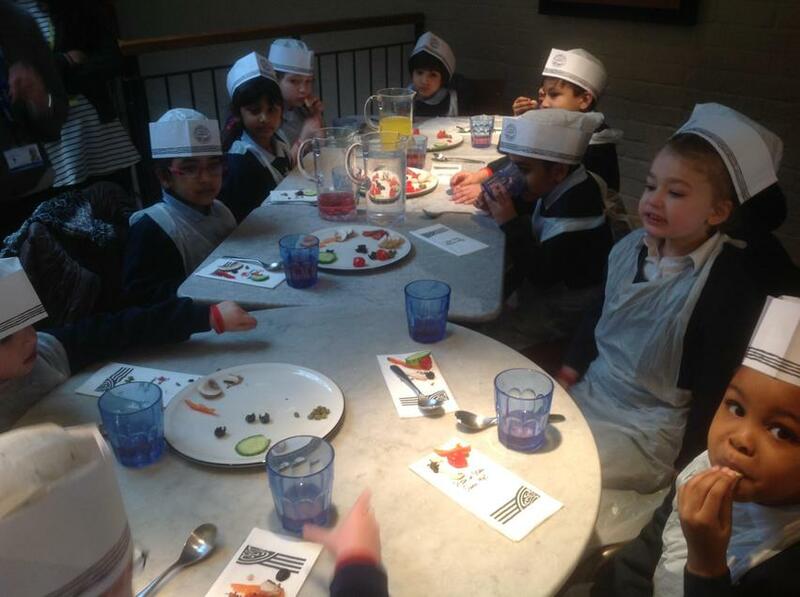 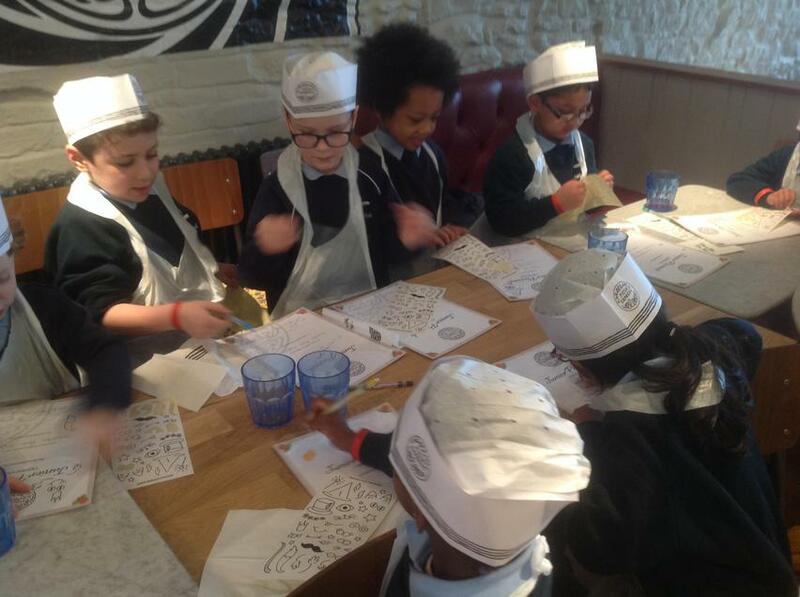 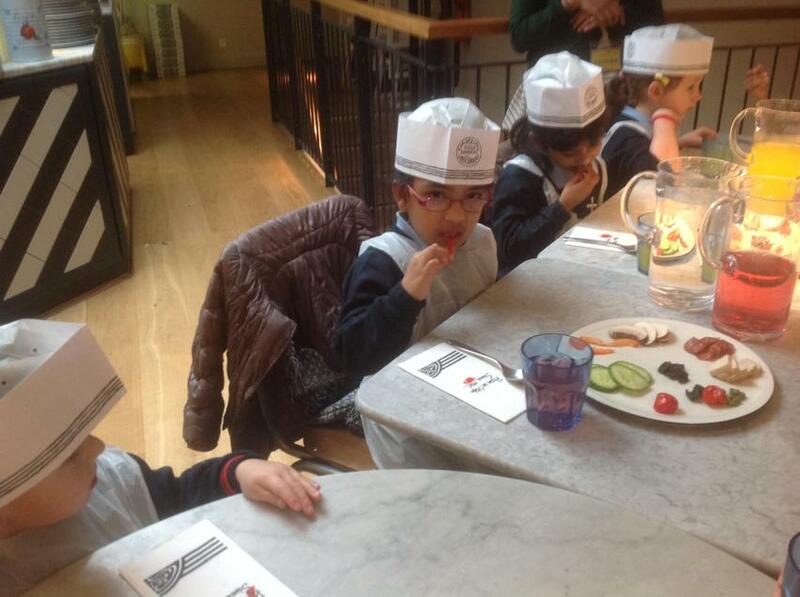 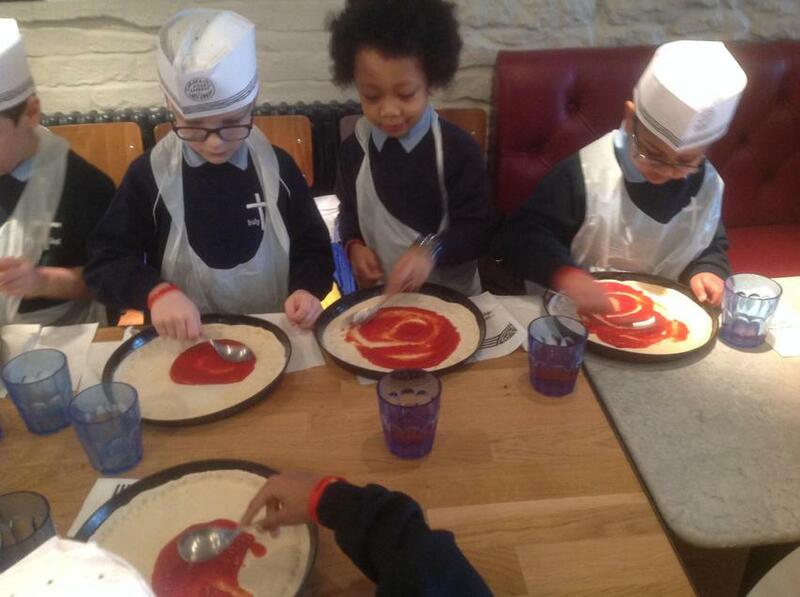 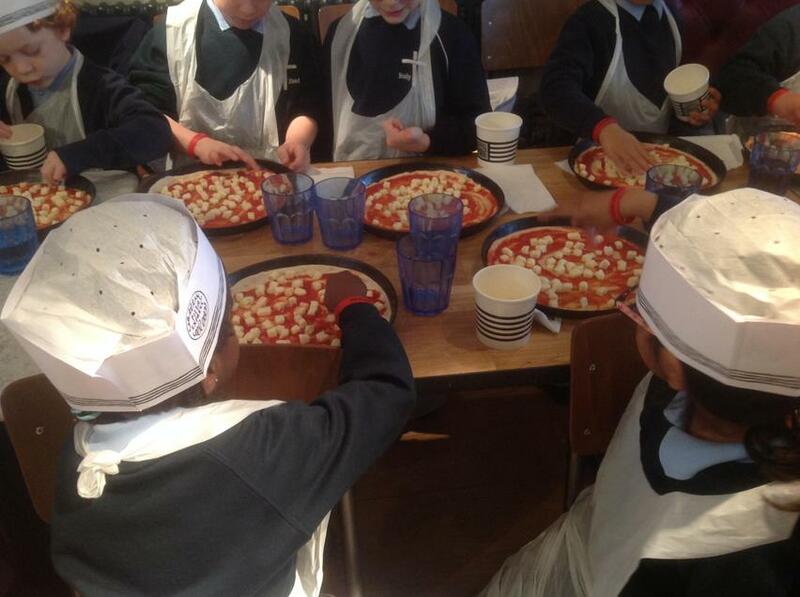 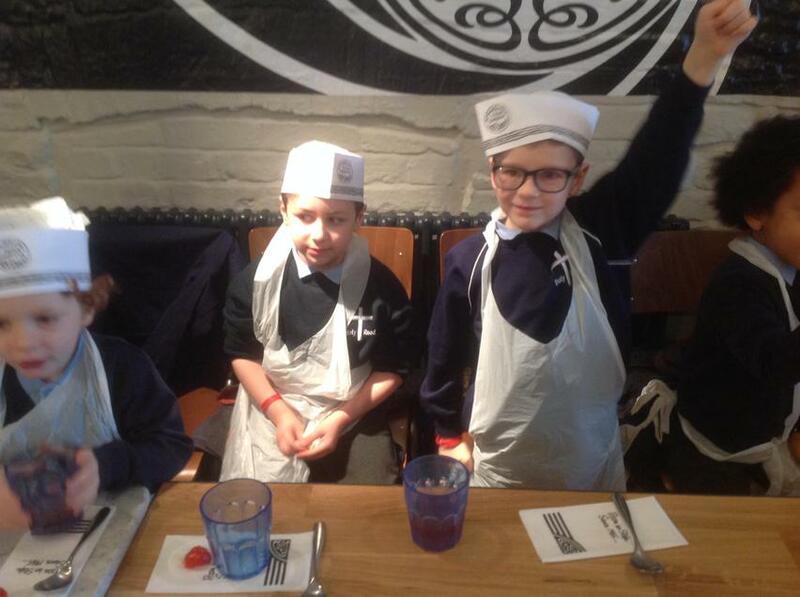 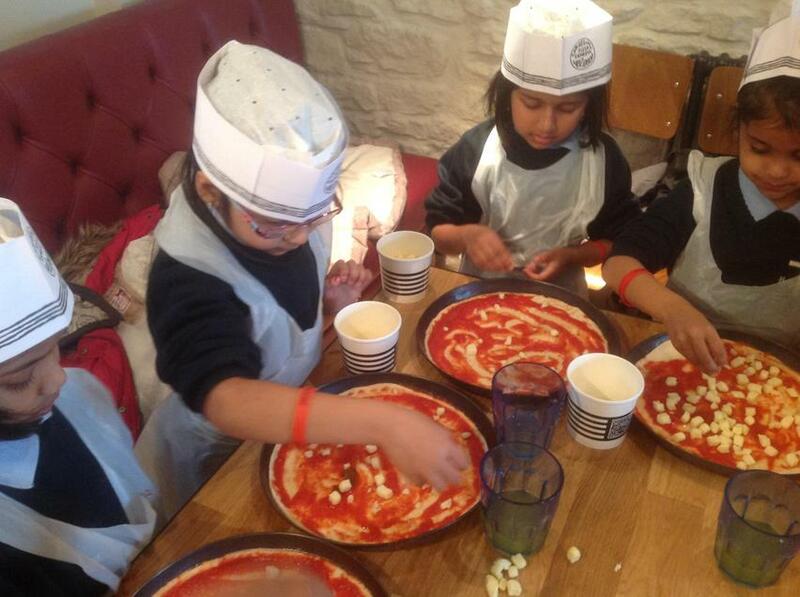 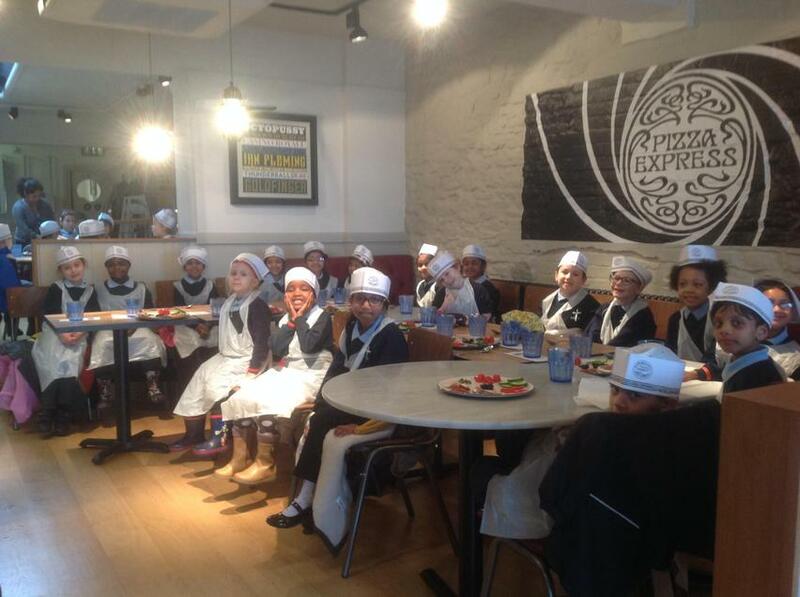 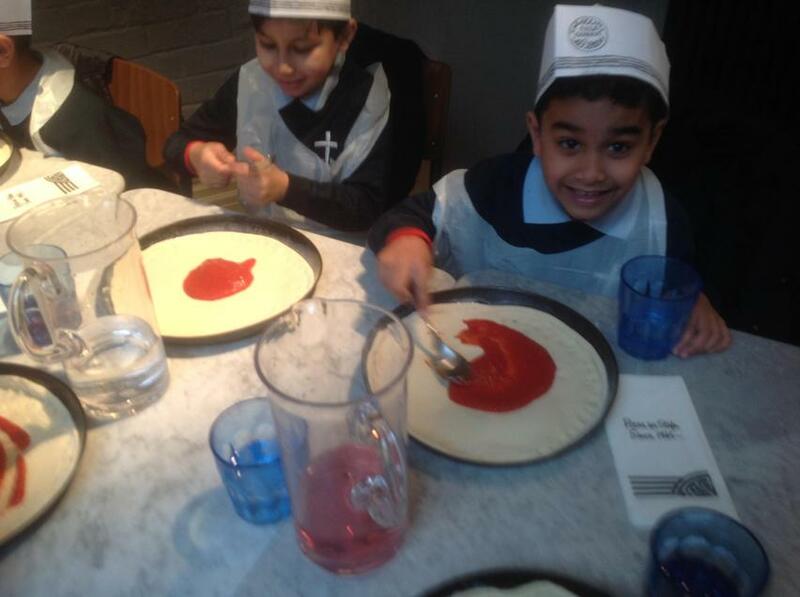 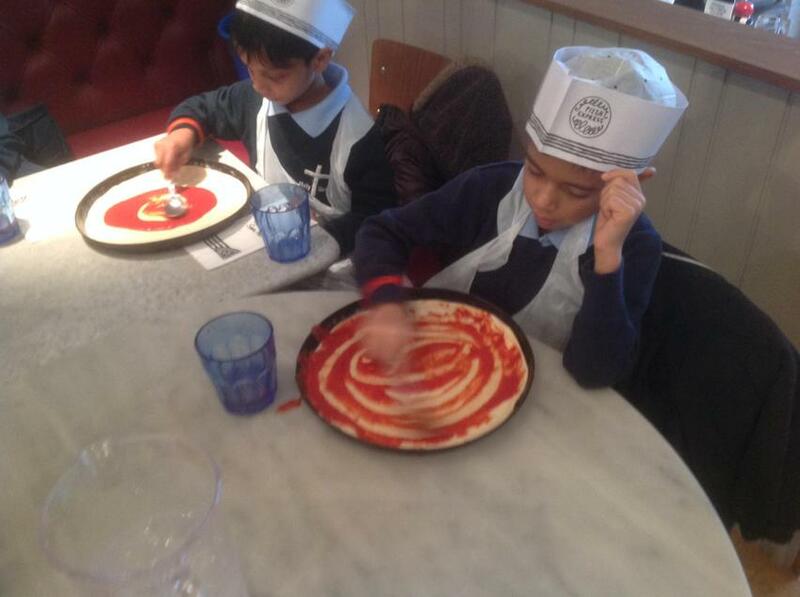 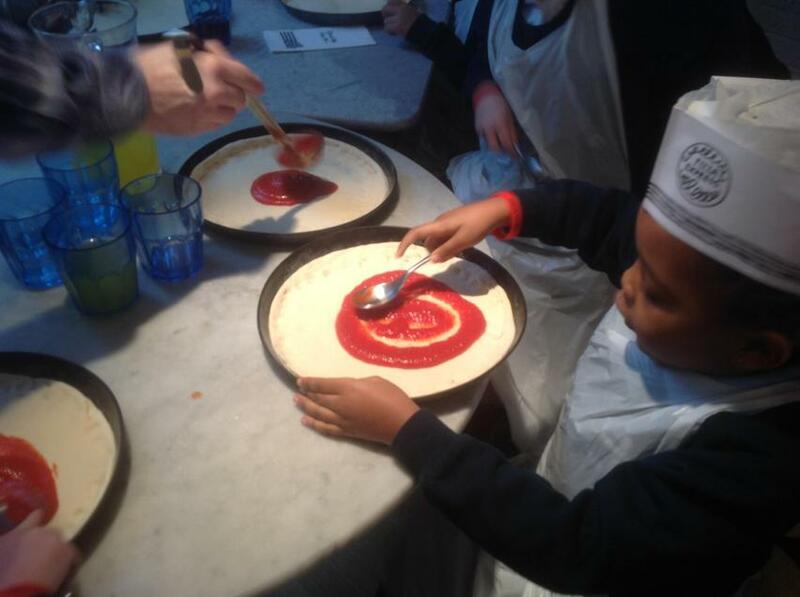 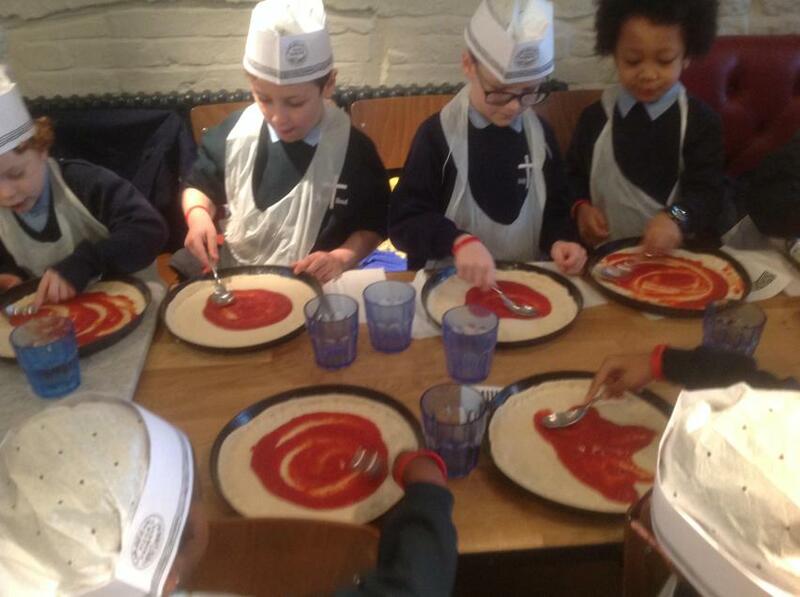 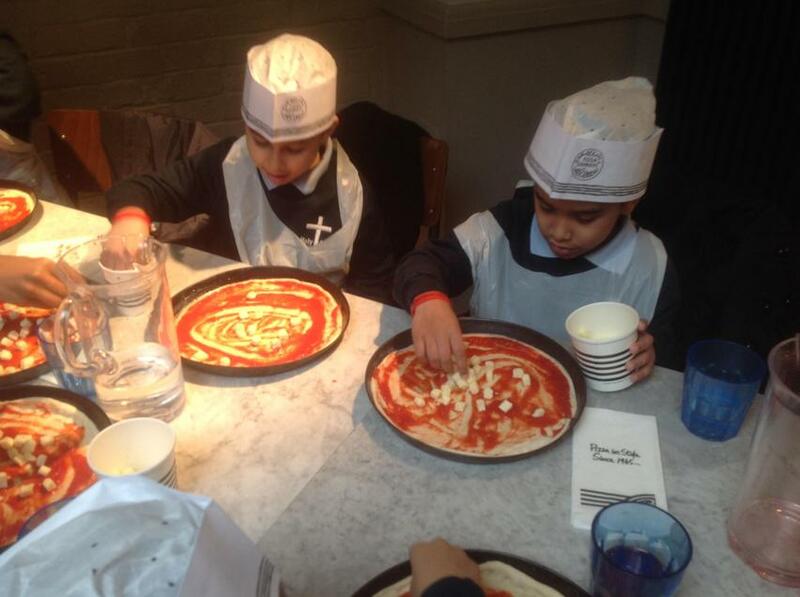 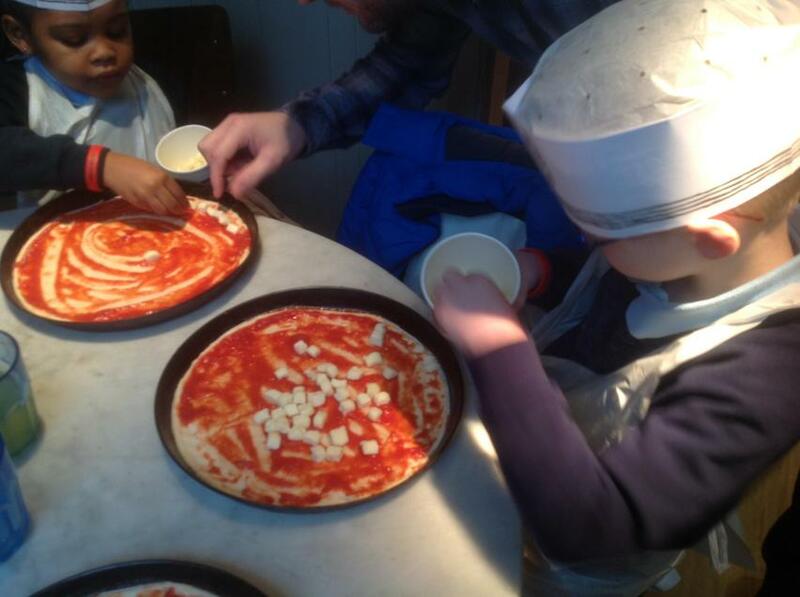 We visited Pizza Express on the 26th January and learnt how to make pizzas. 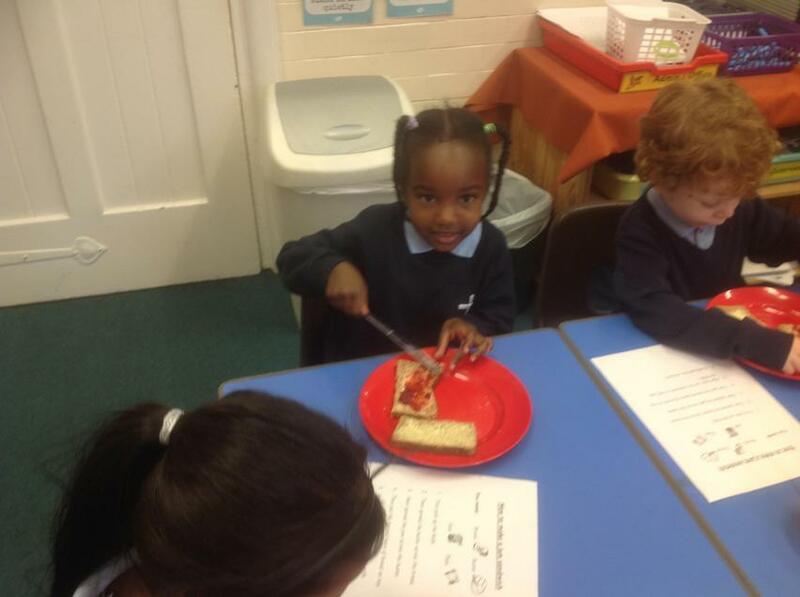 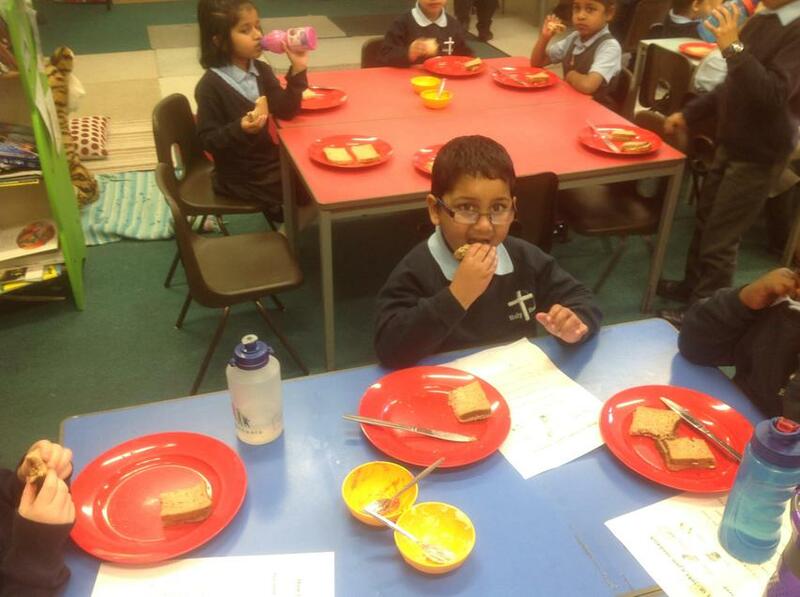 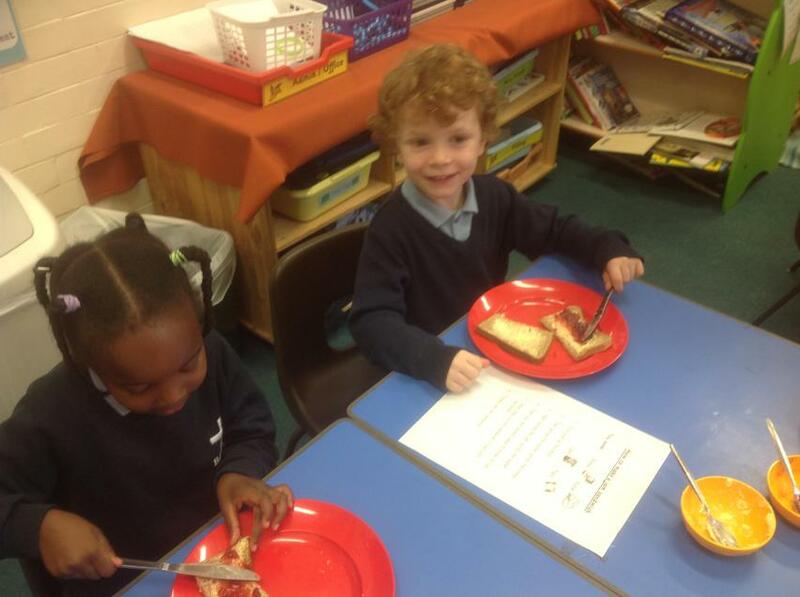 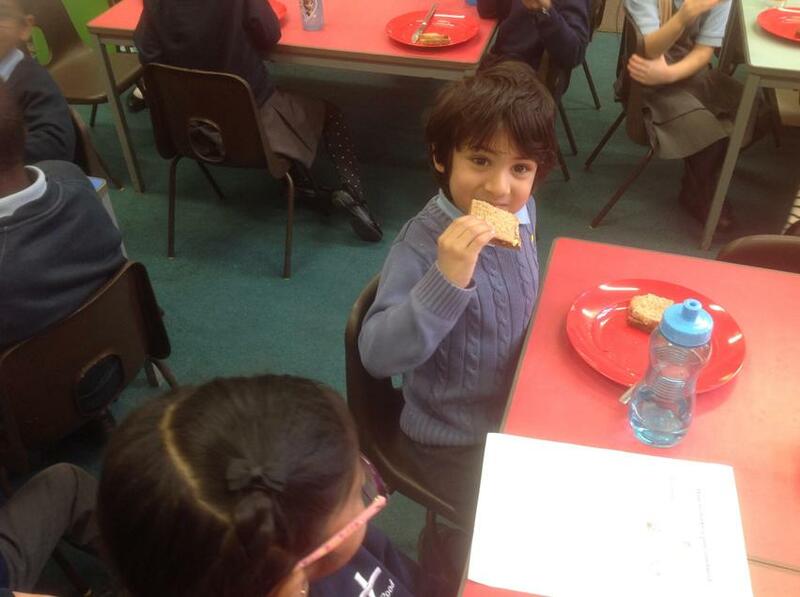 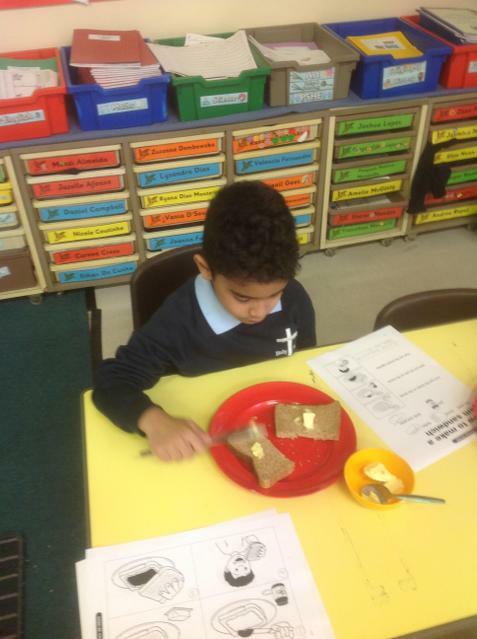 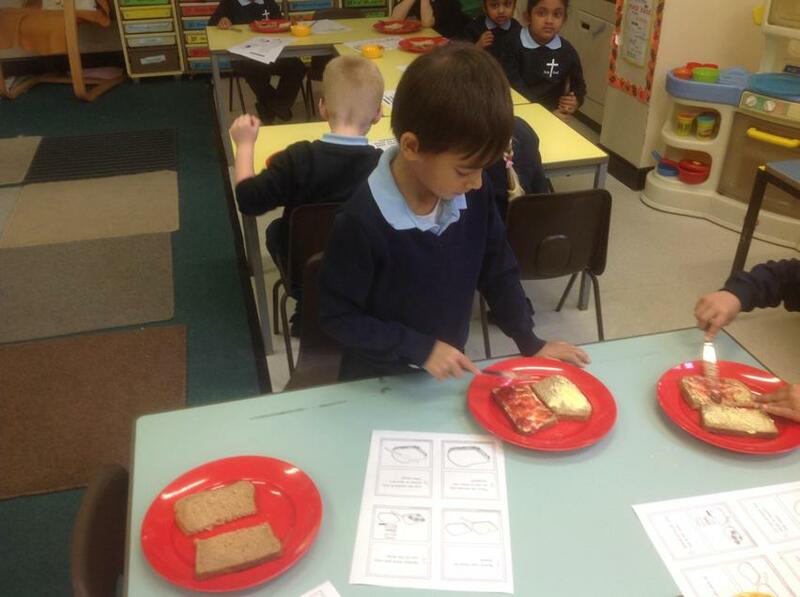 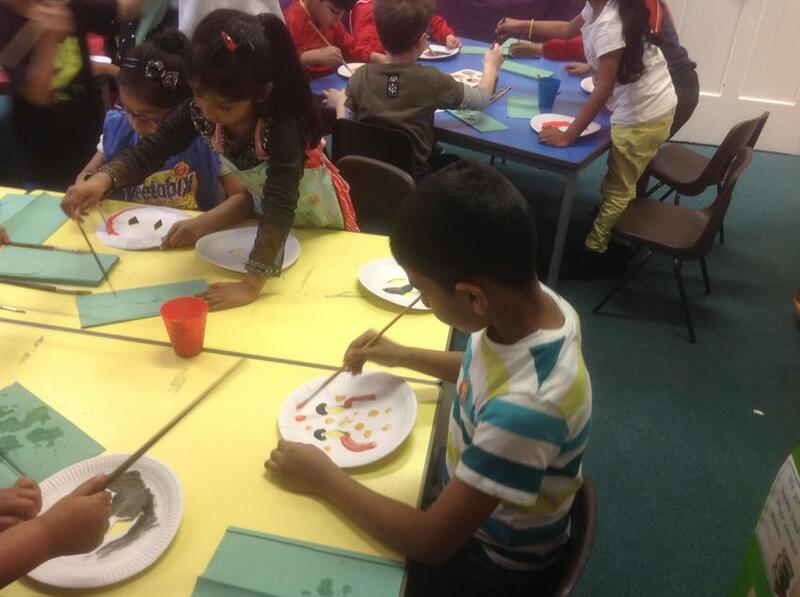 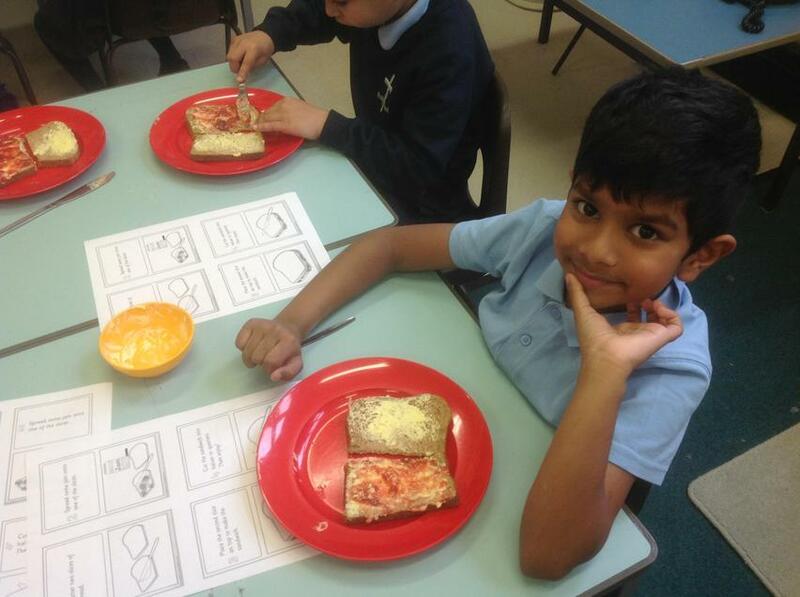 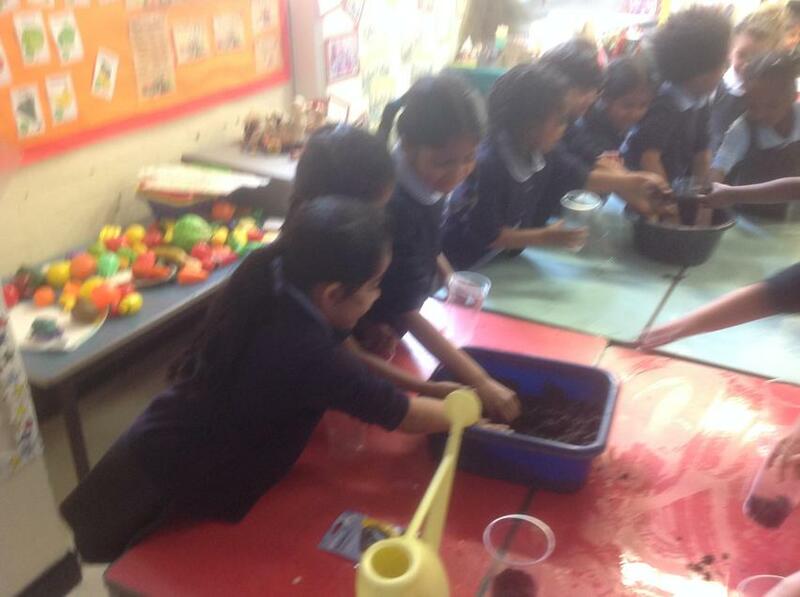 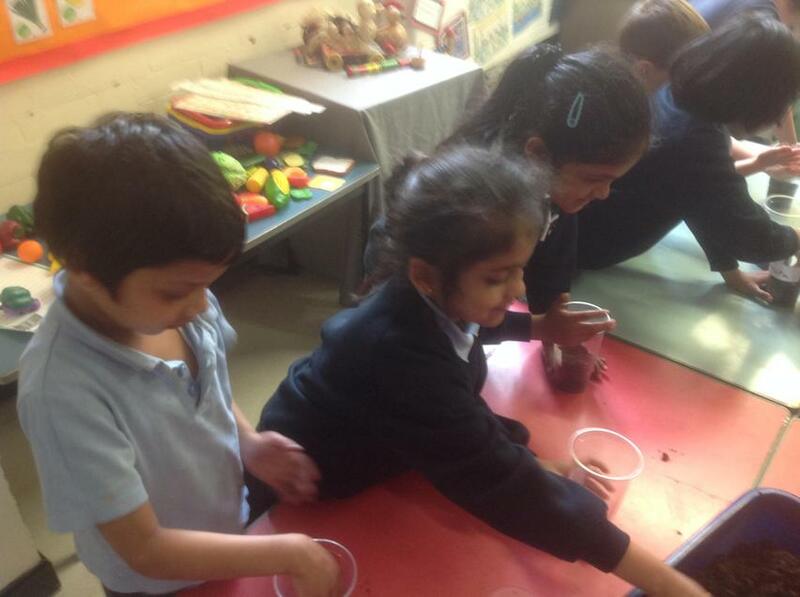 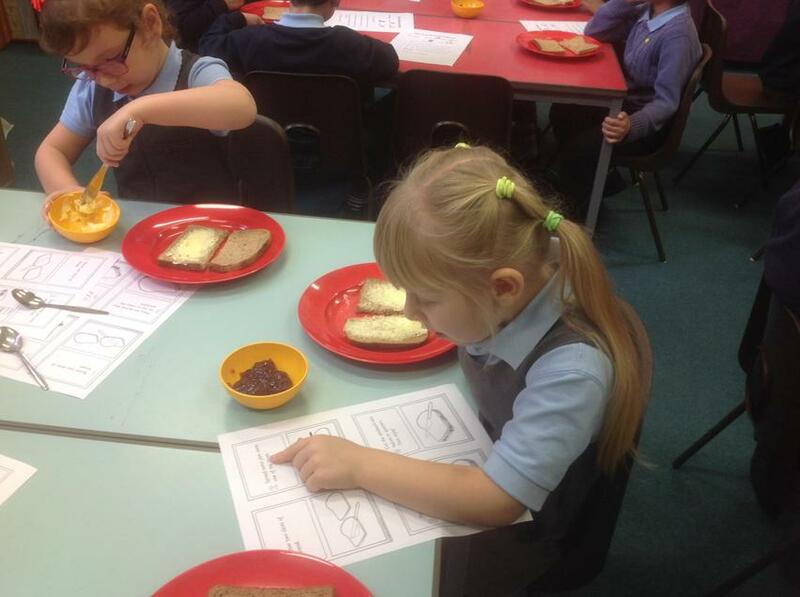 We tasted lots of different ingredients and added mozzarella cheese to our pizzas. 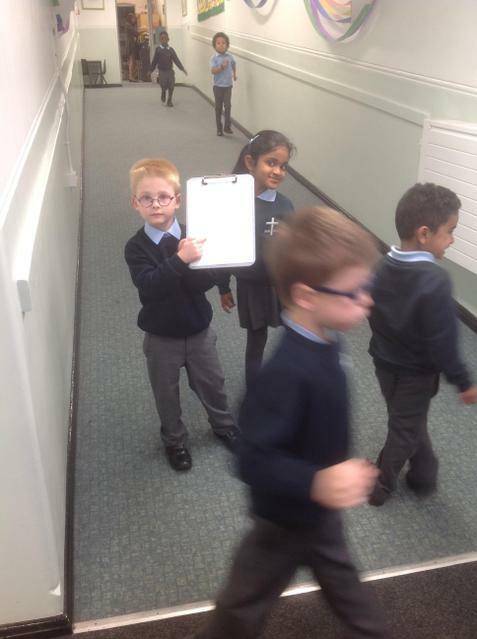 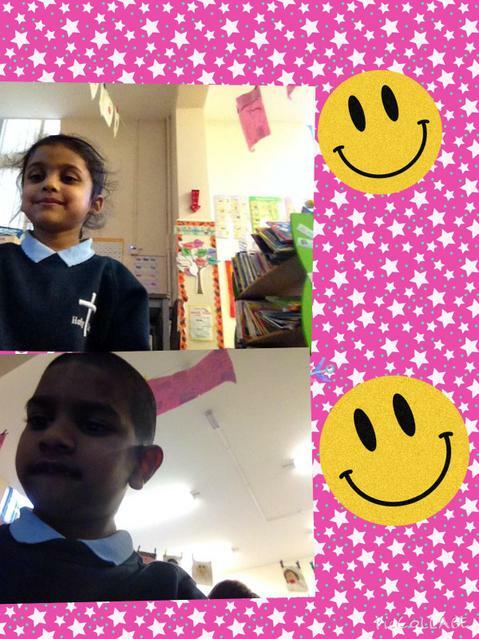 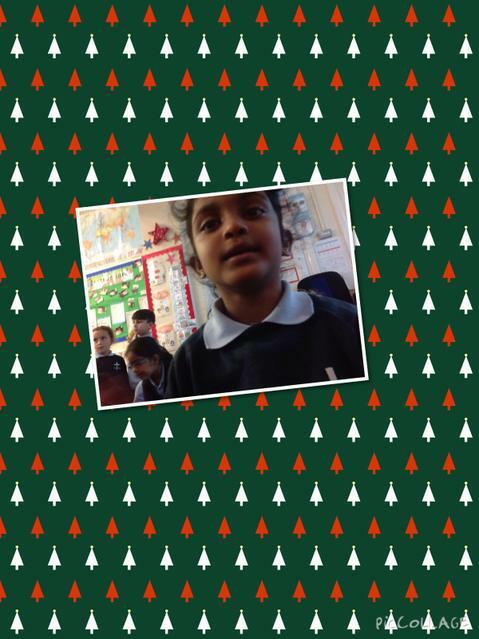 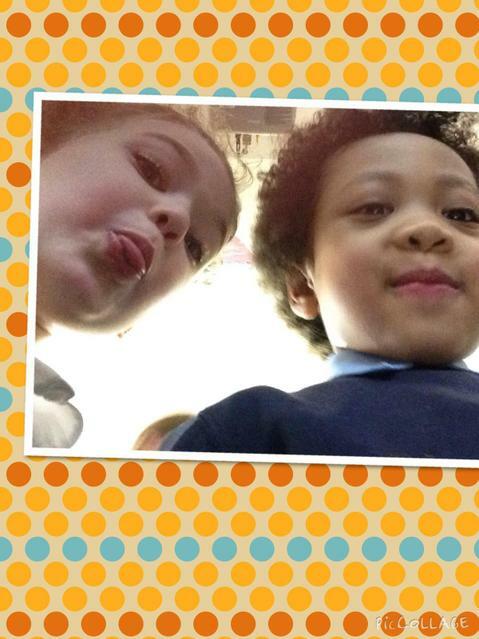 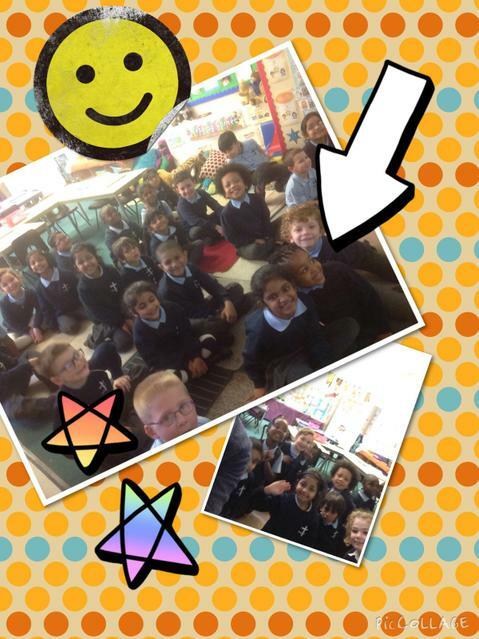 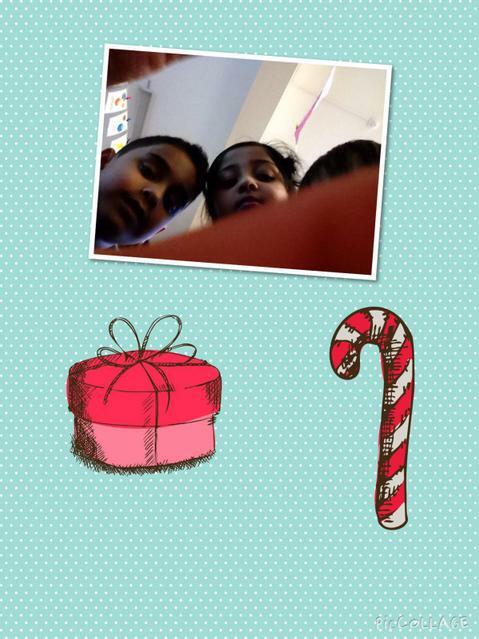 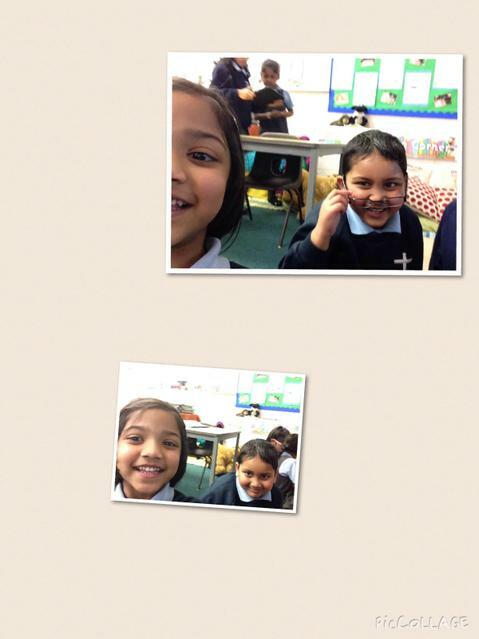 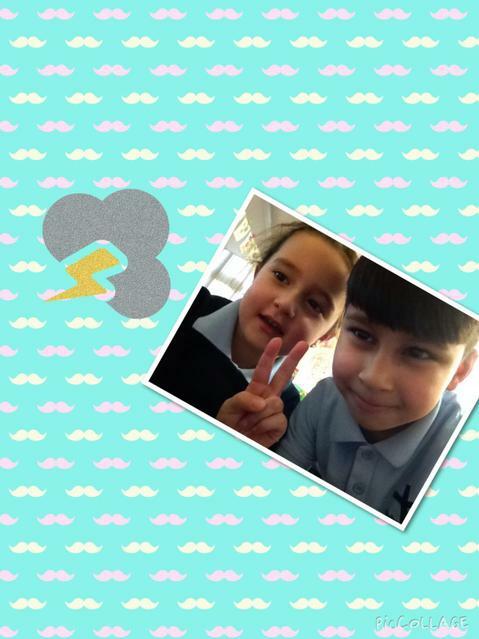 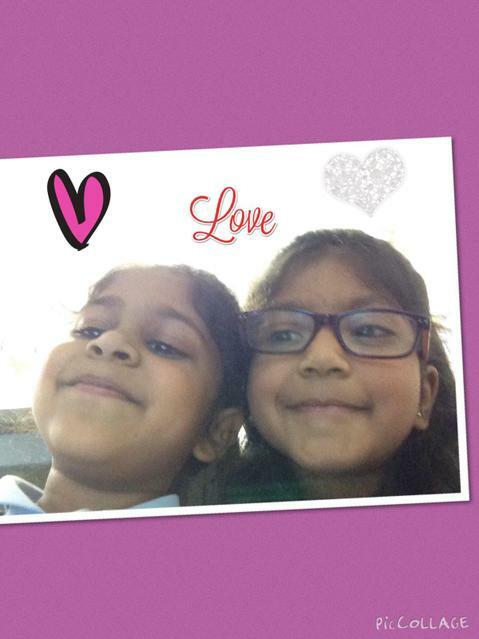 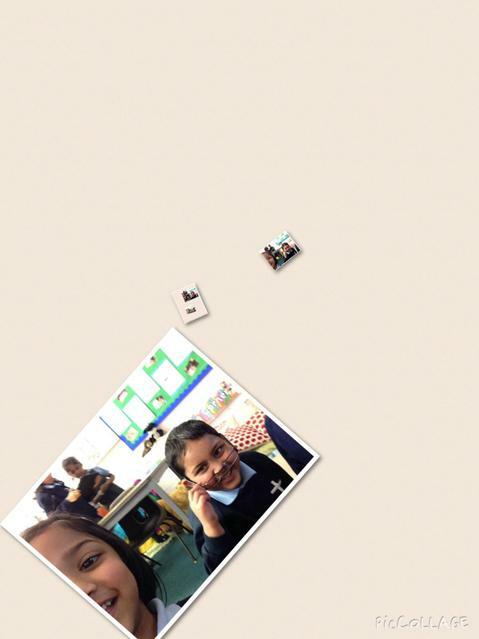 We have been using the iPads to take photographs and selfies. 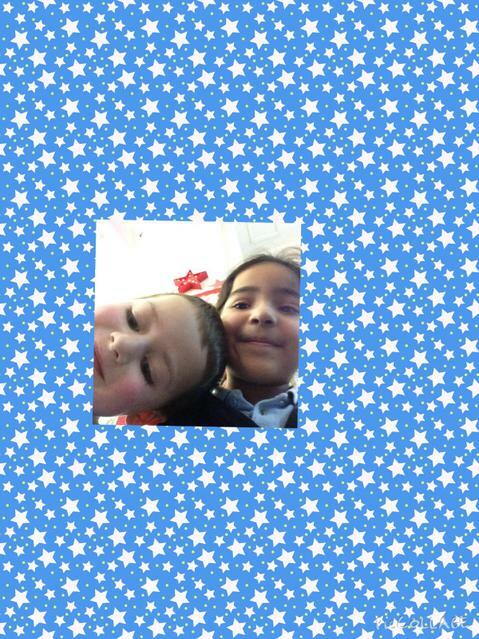 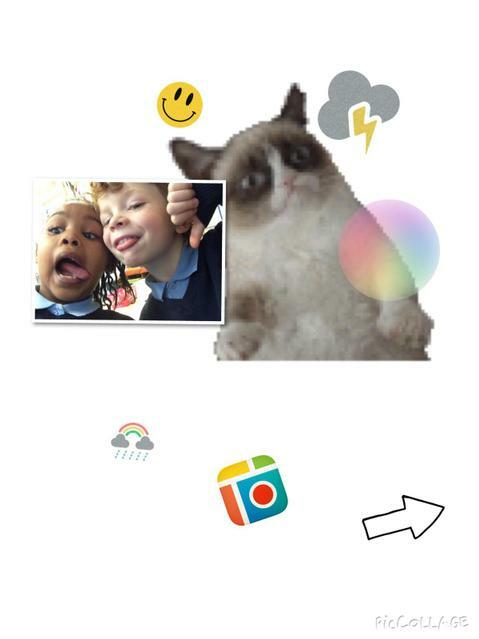 We have used Pic Collage to add backgrounds and stickers to our collages. 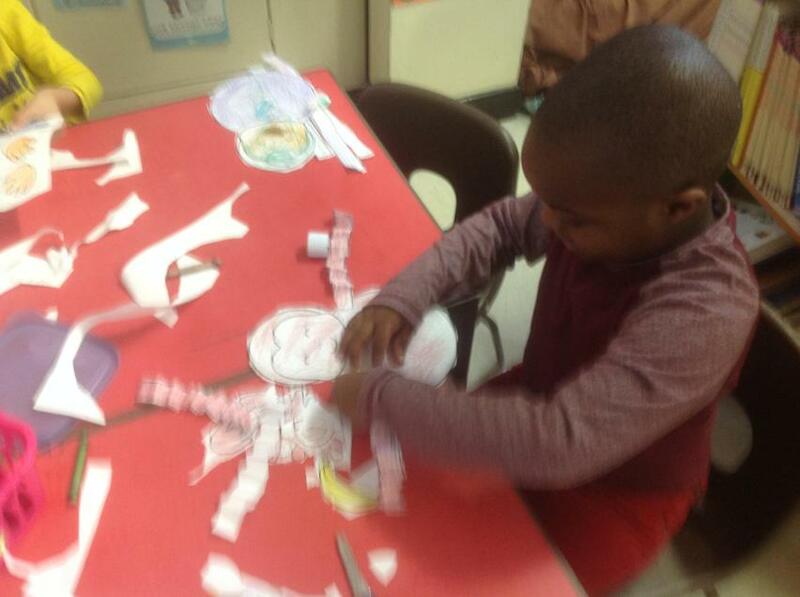 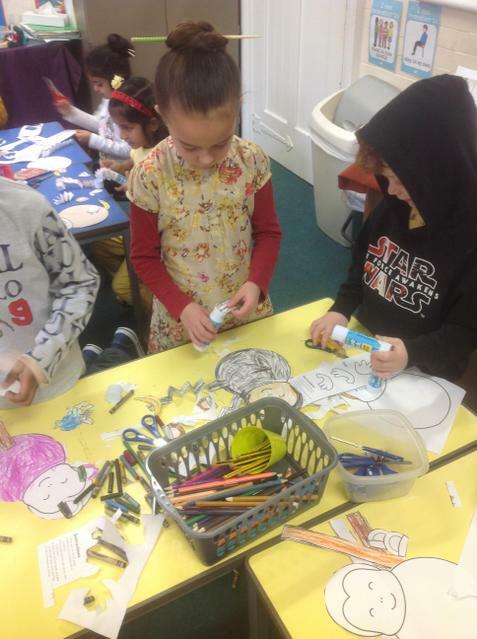 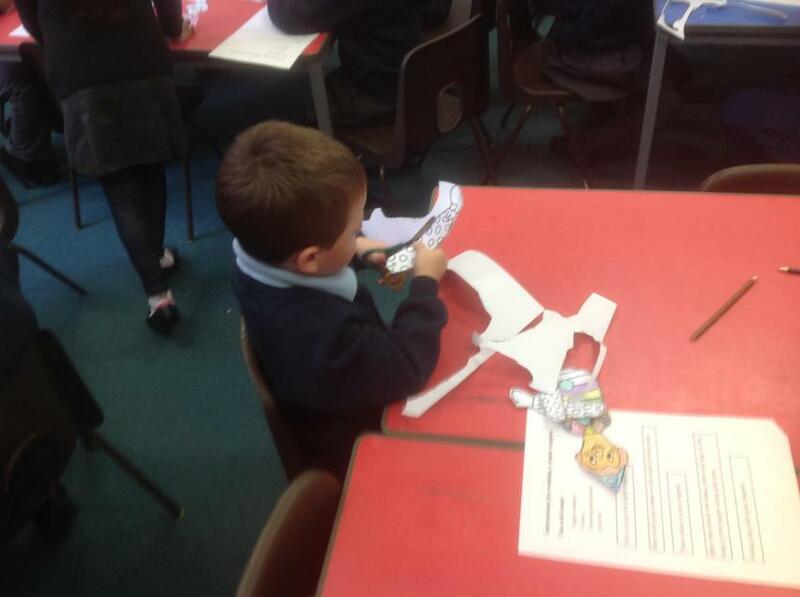 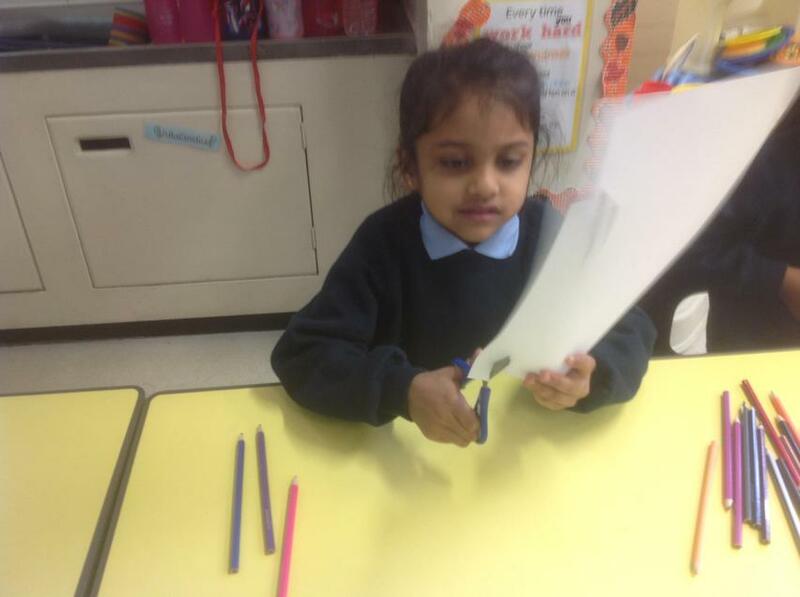 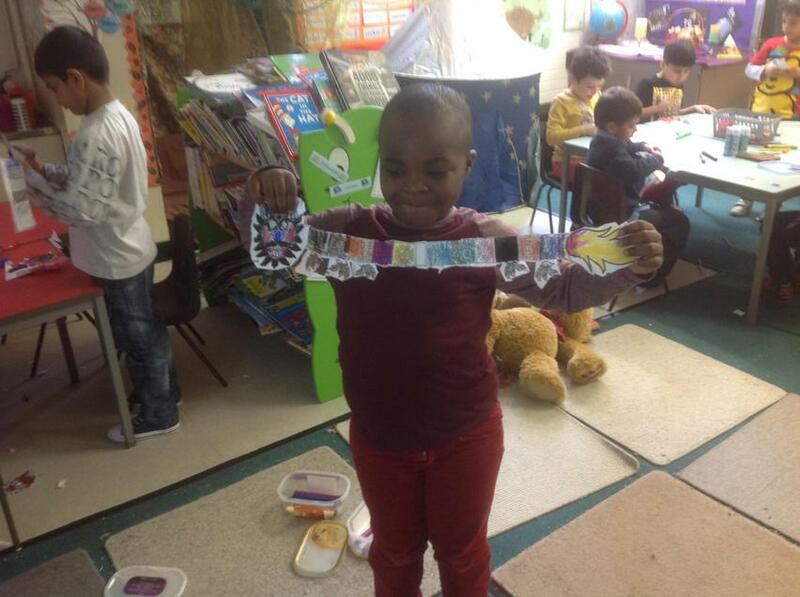 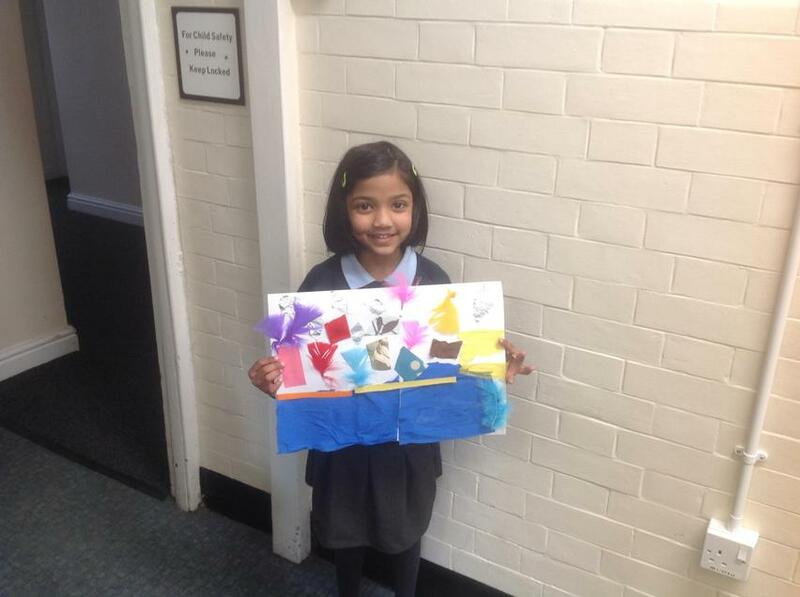 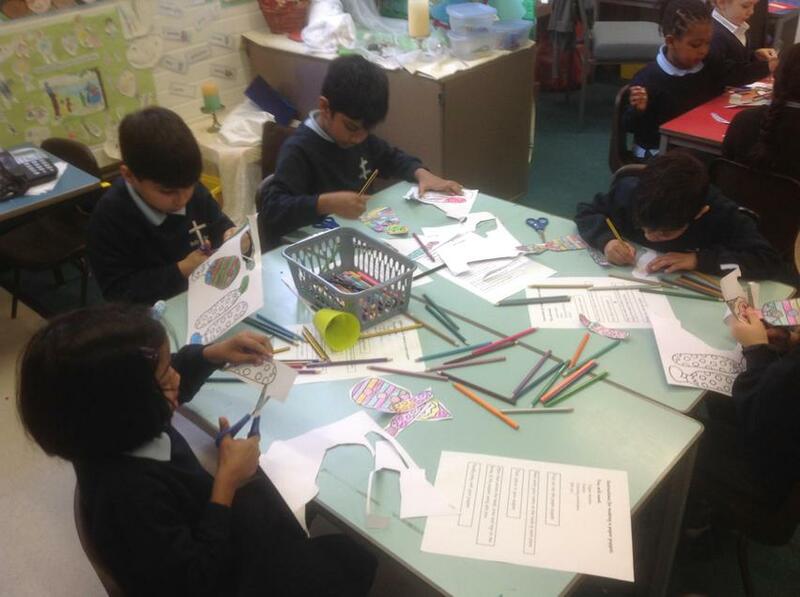 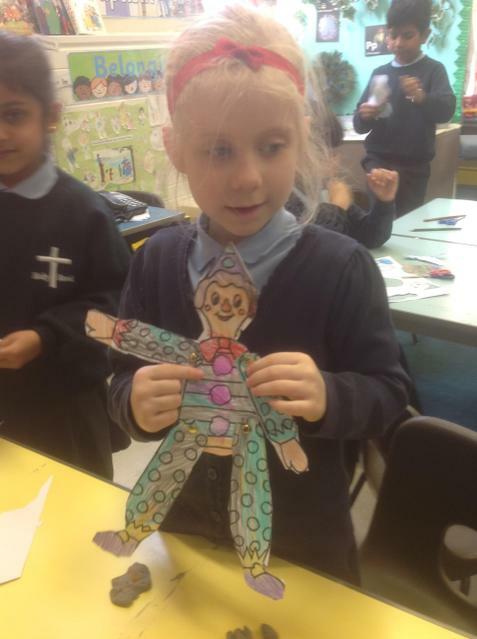 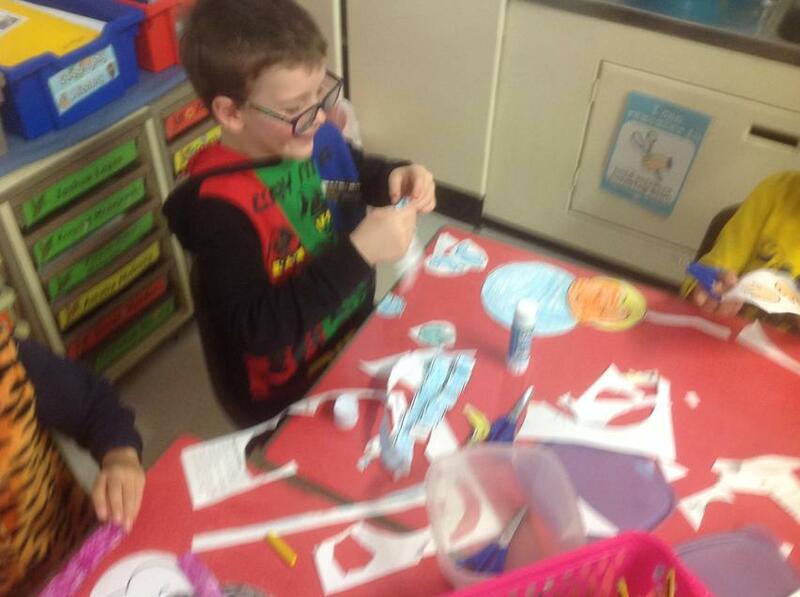 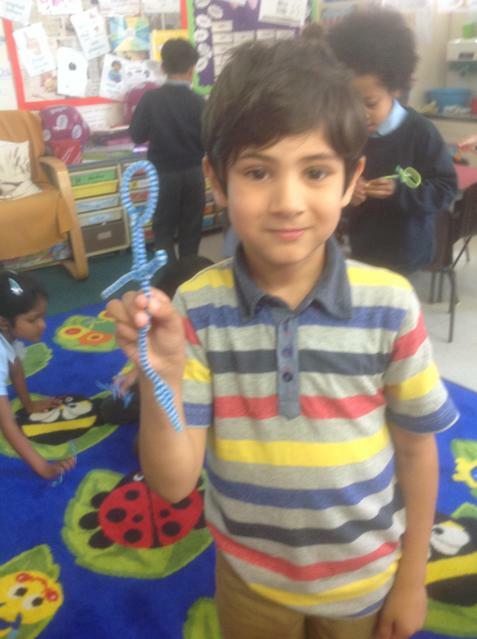 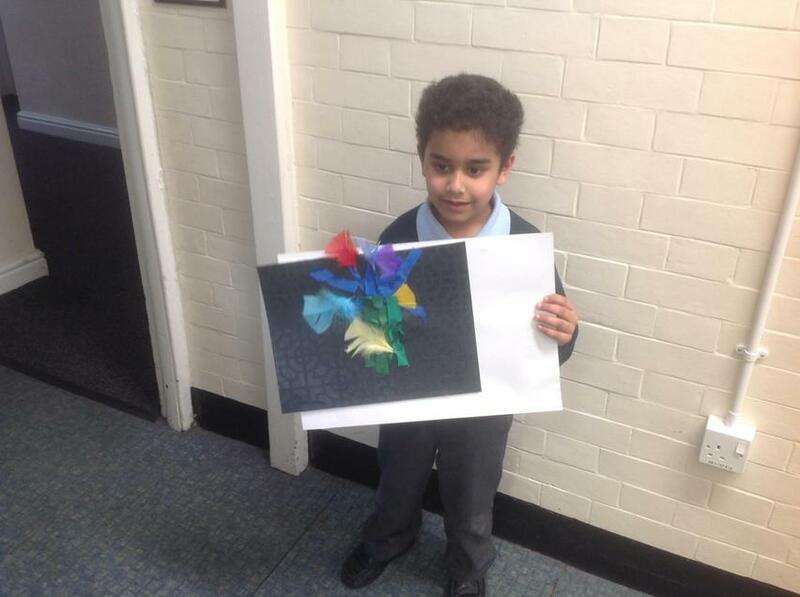 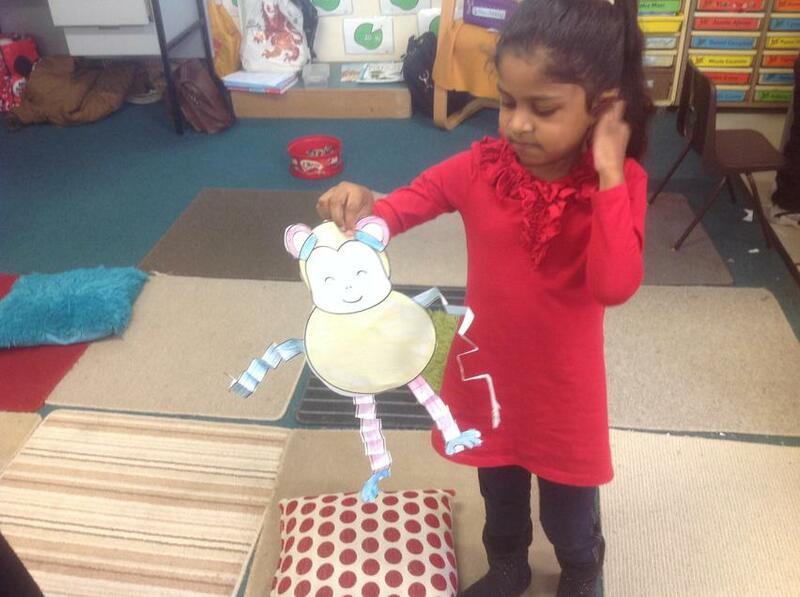 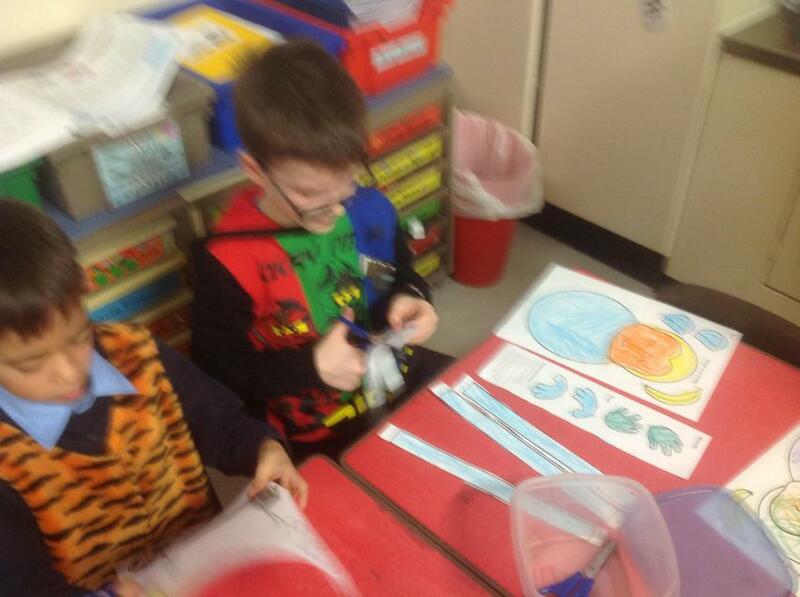 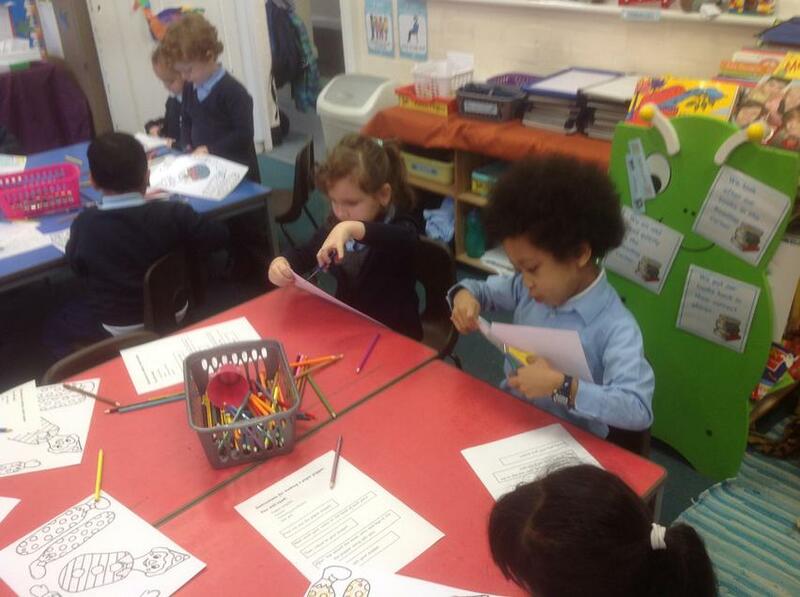 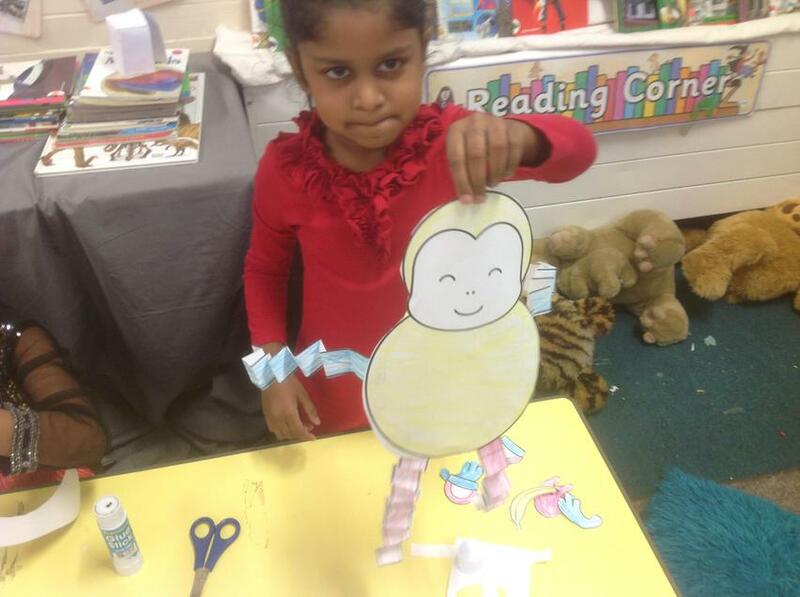 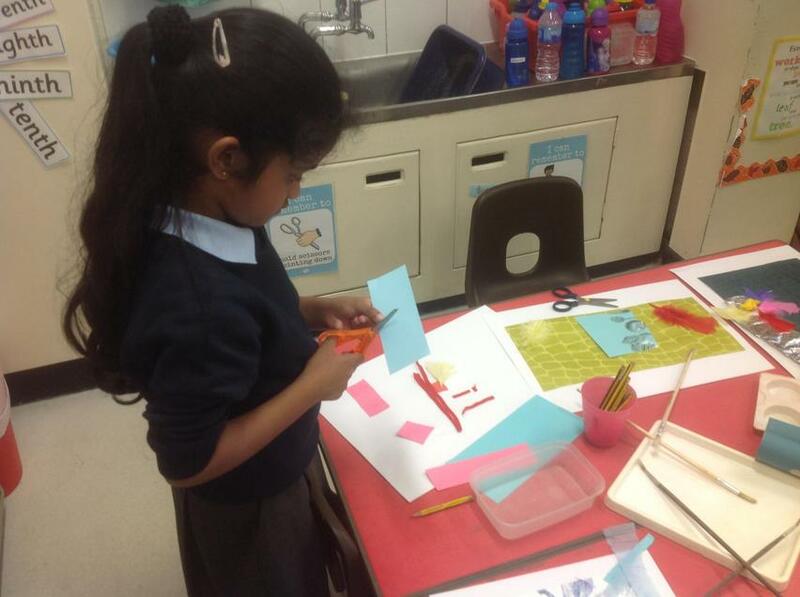 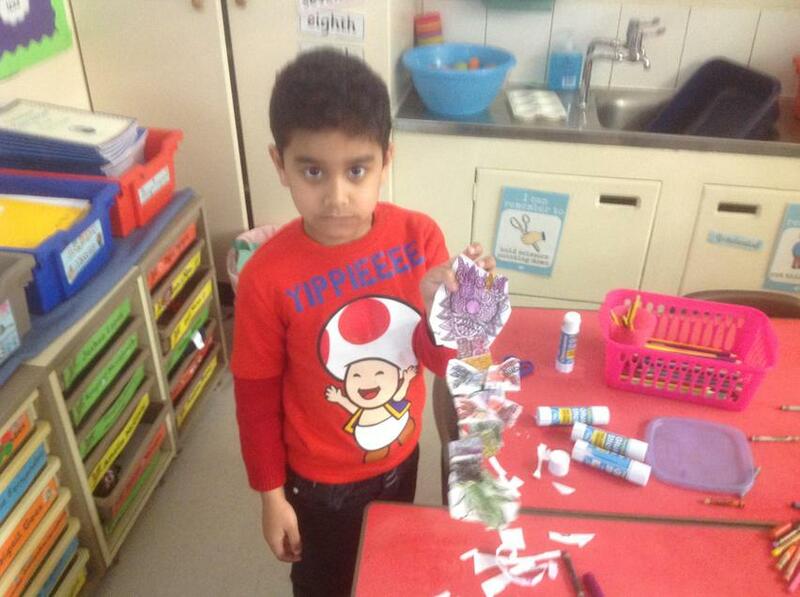 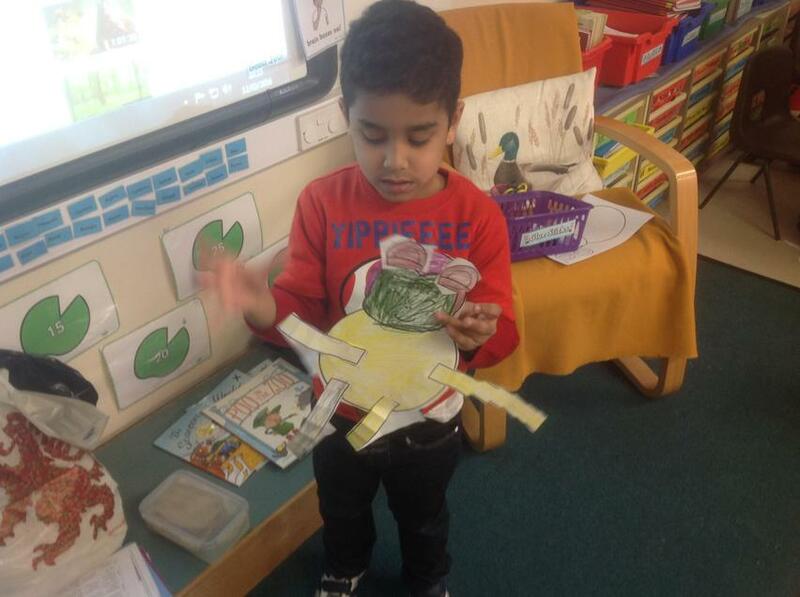 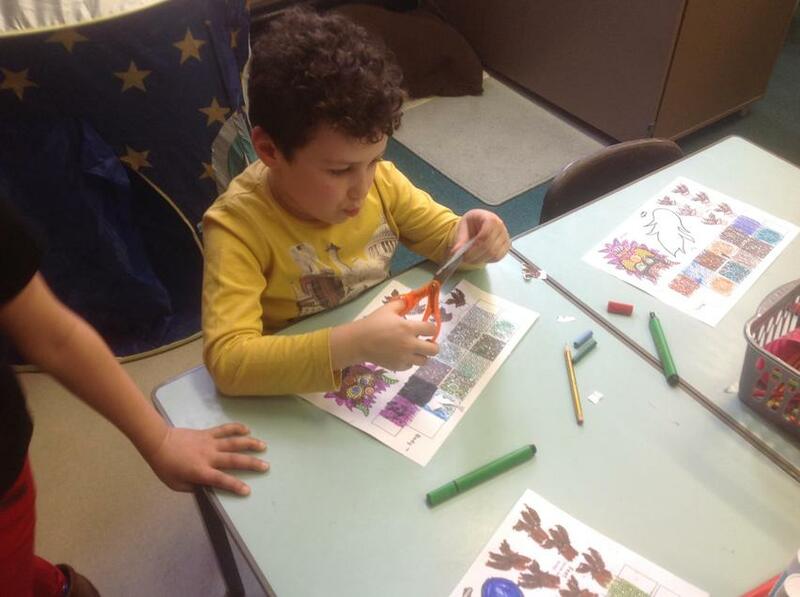 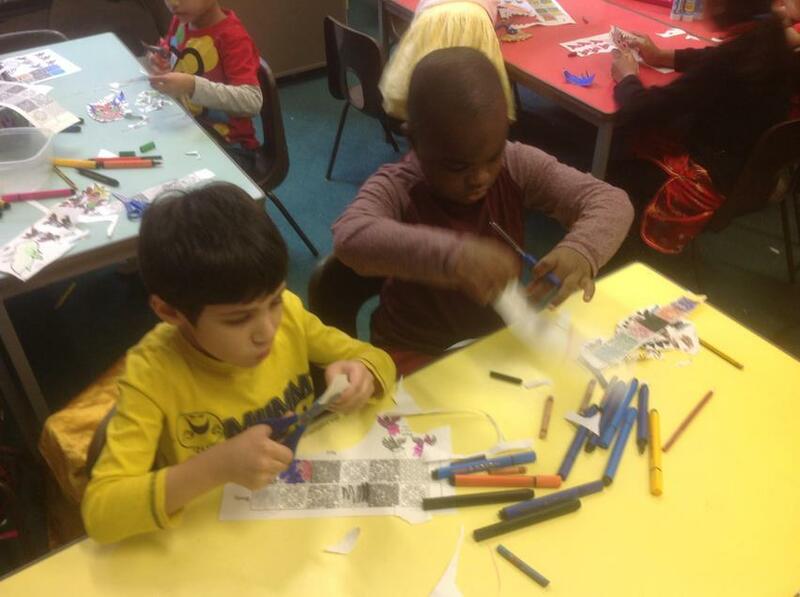 We followed a set of instructions to make a paper puppet. 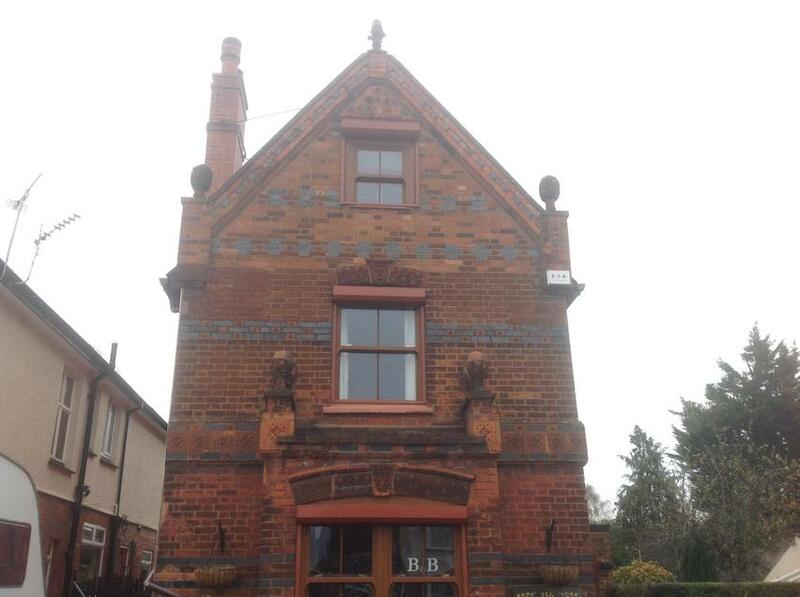 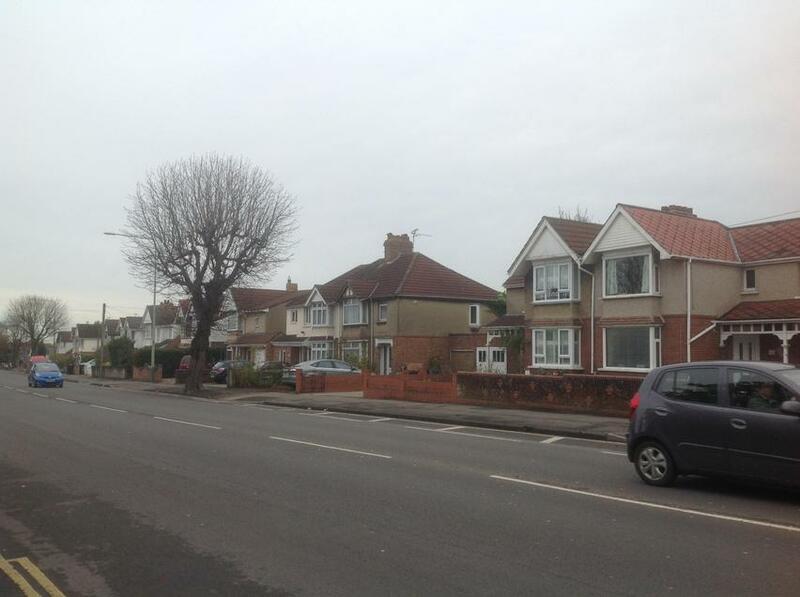 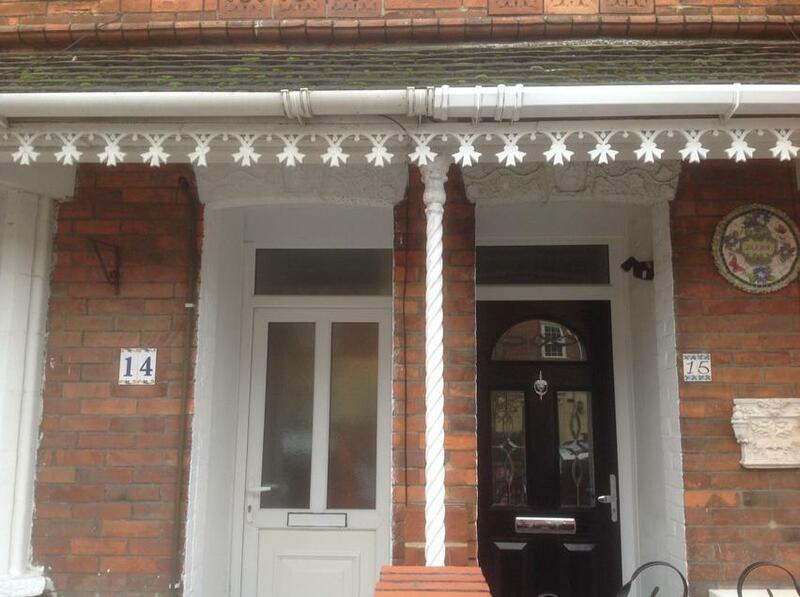 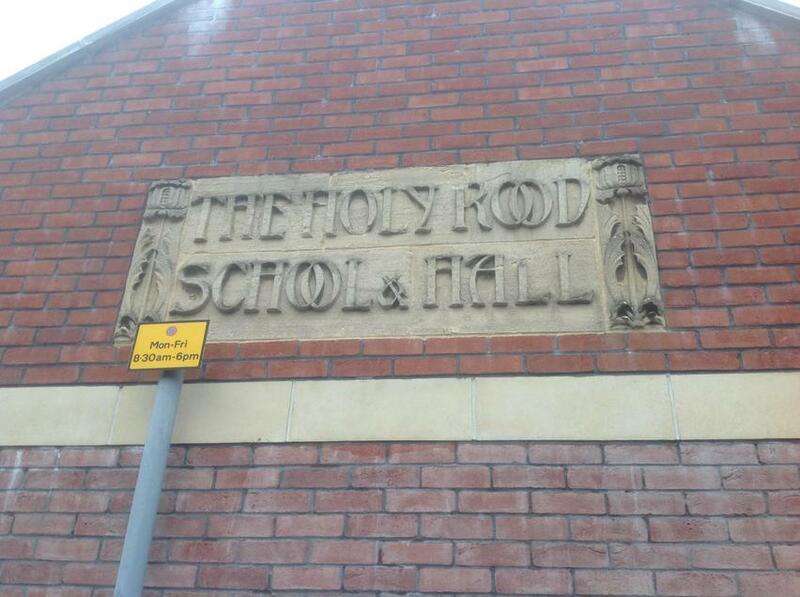 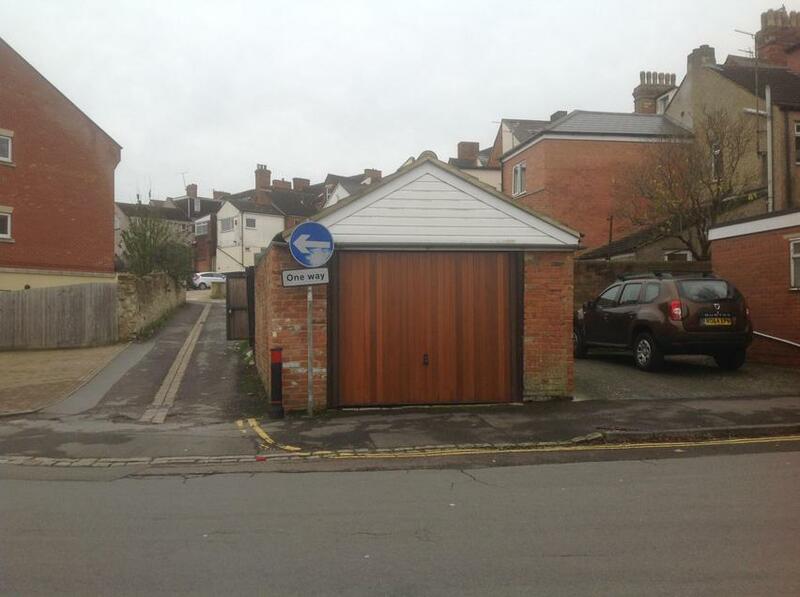 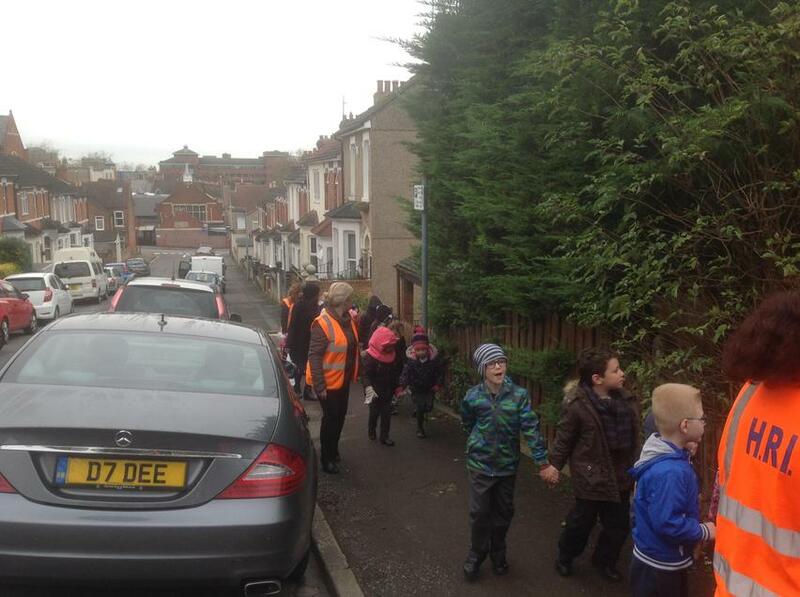 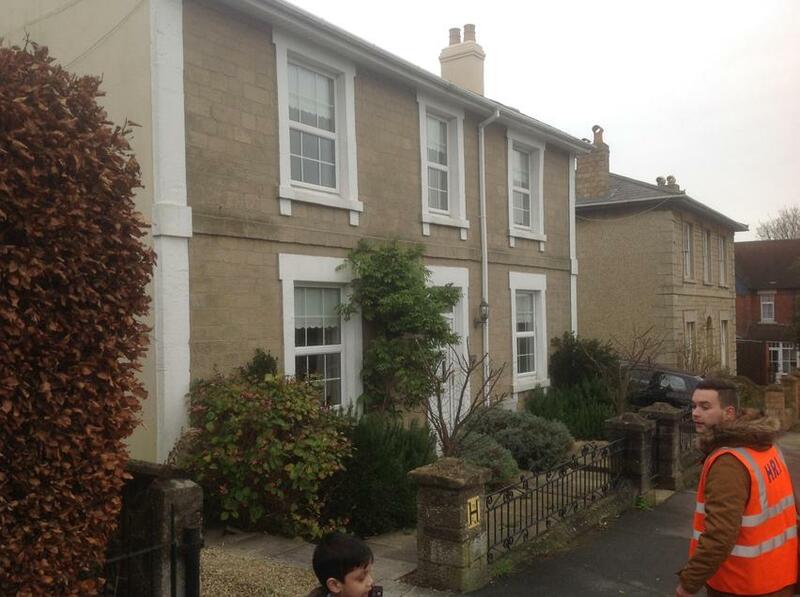 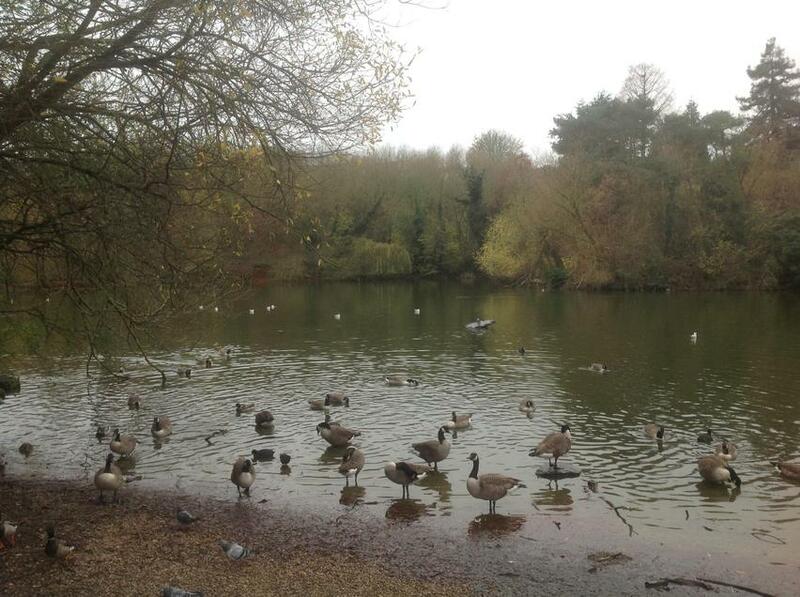 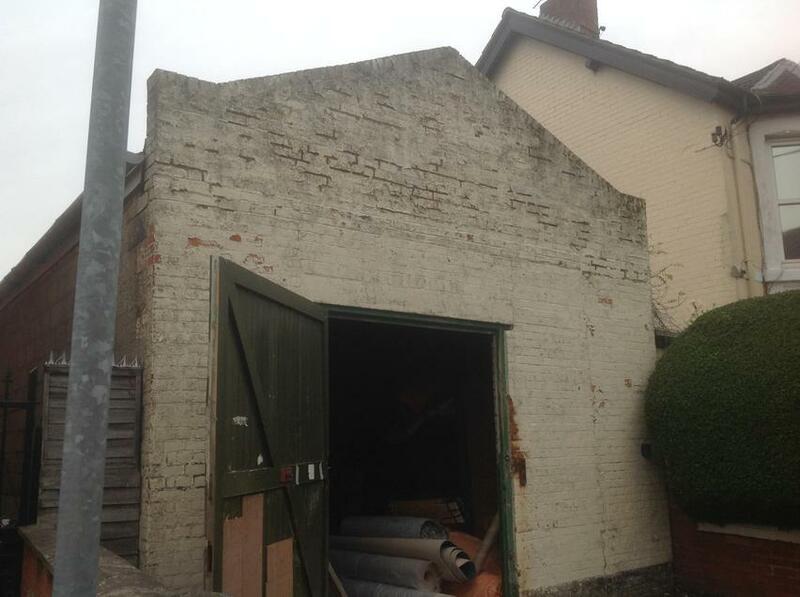 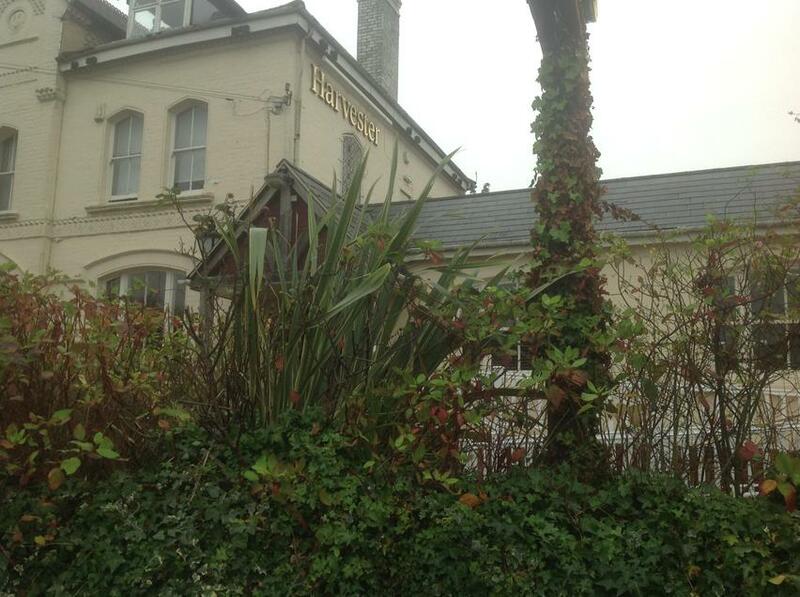 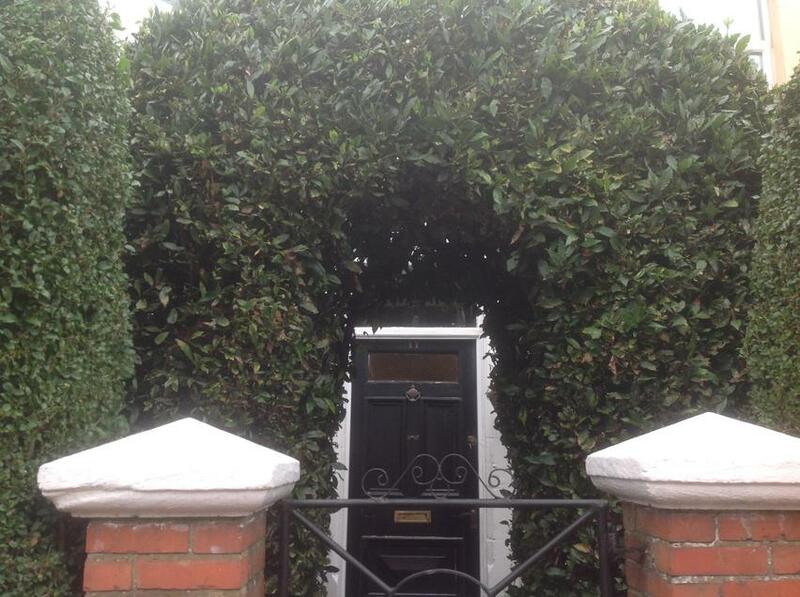 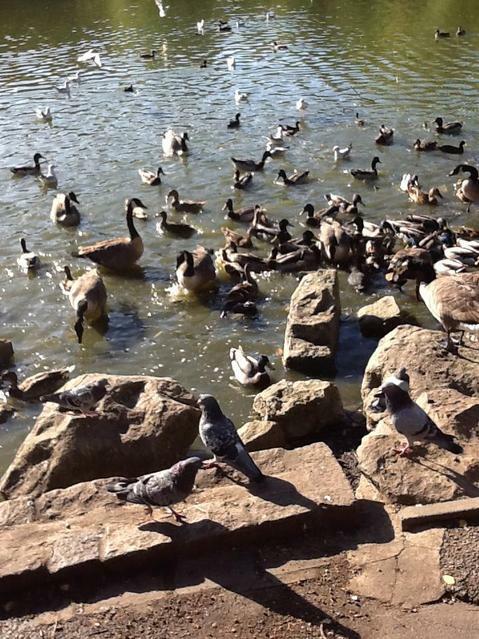 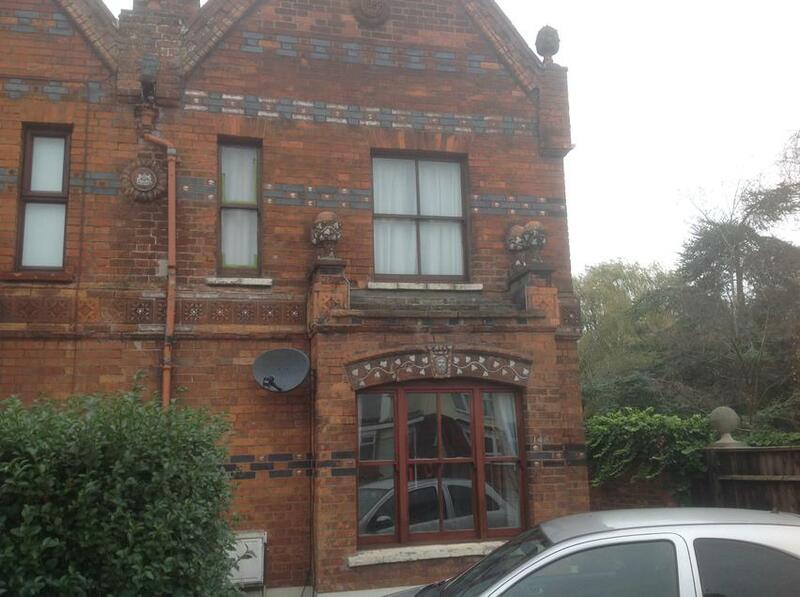 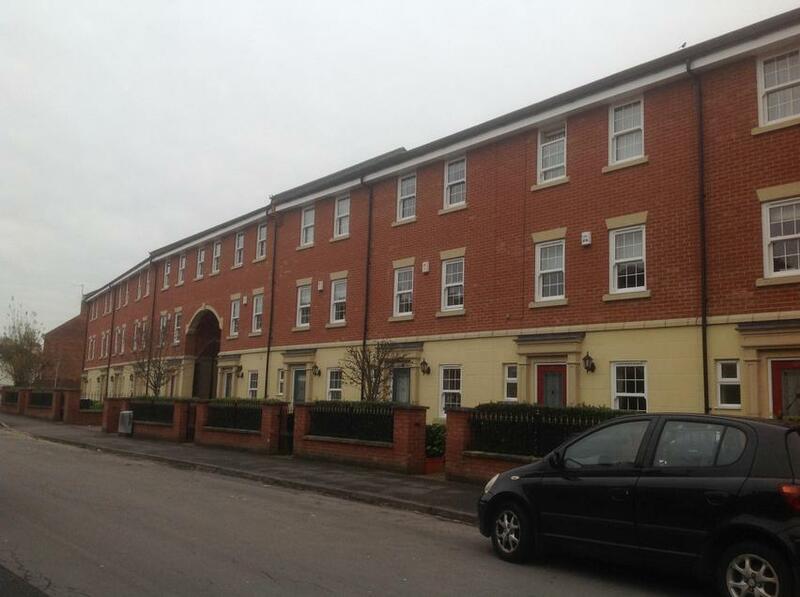 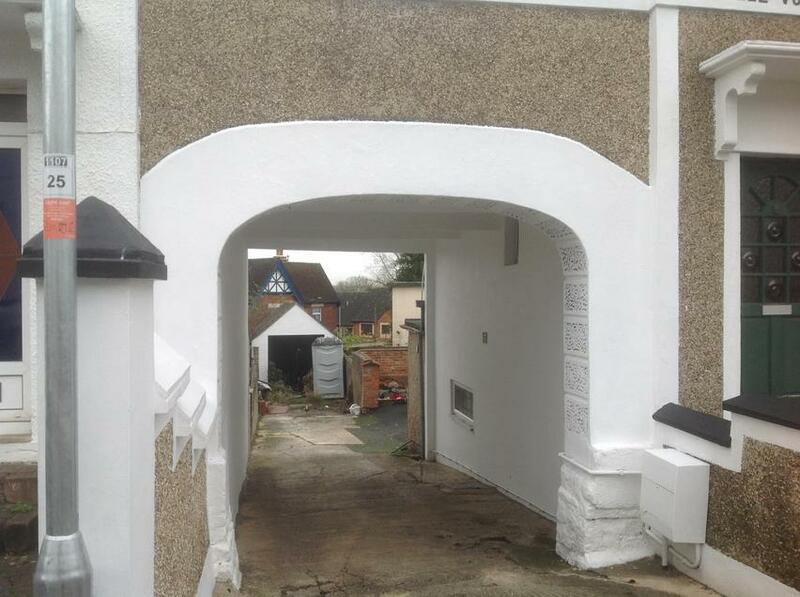 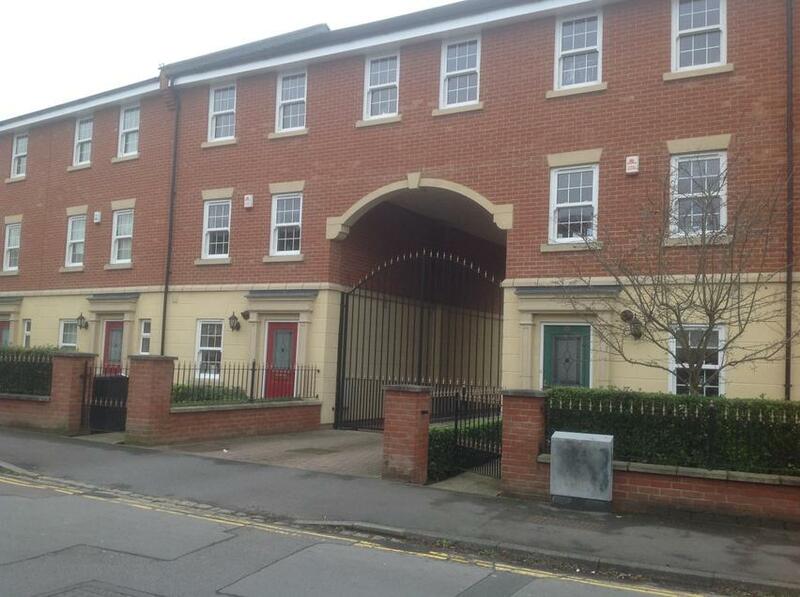 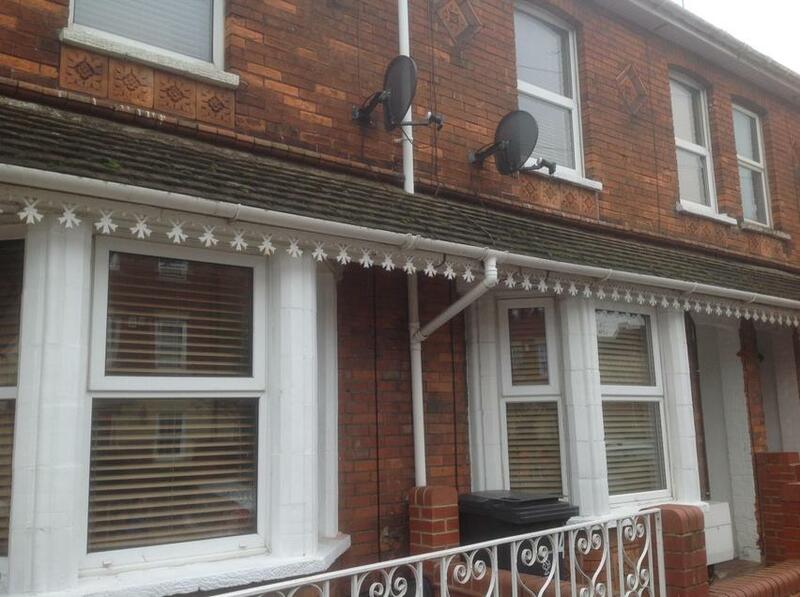 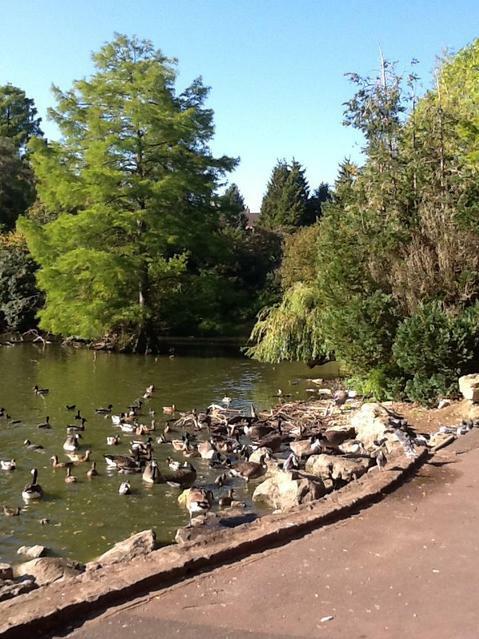 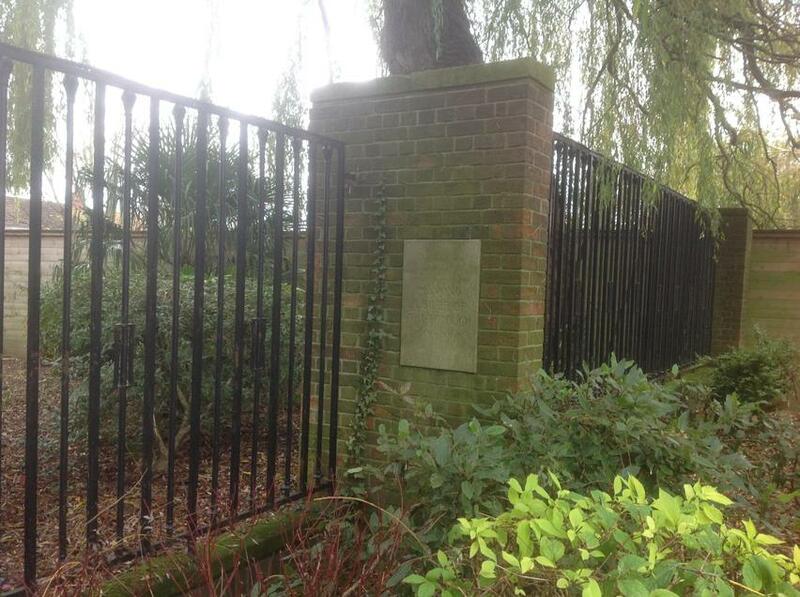 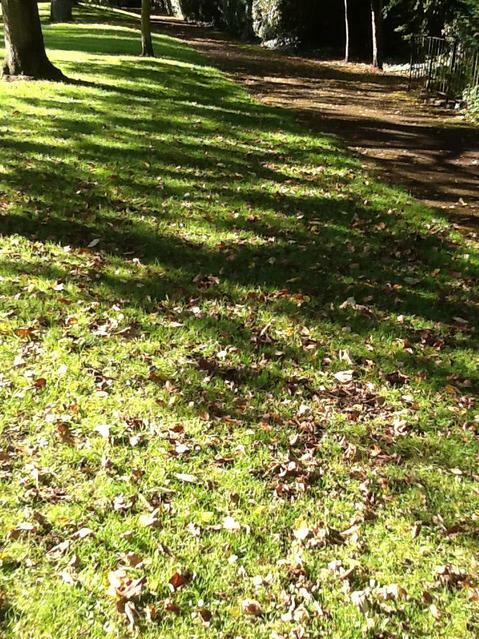 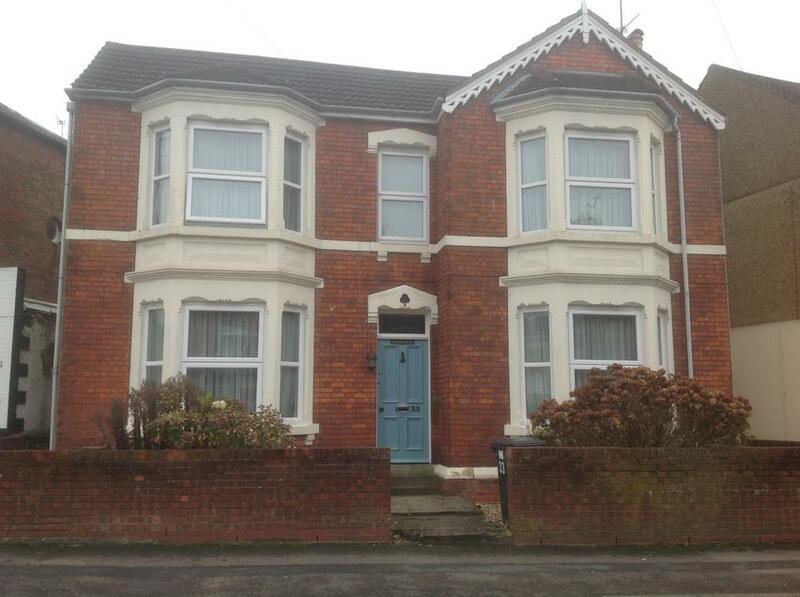 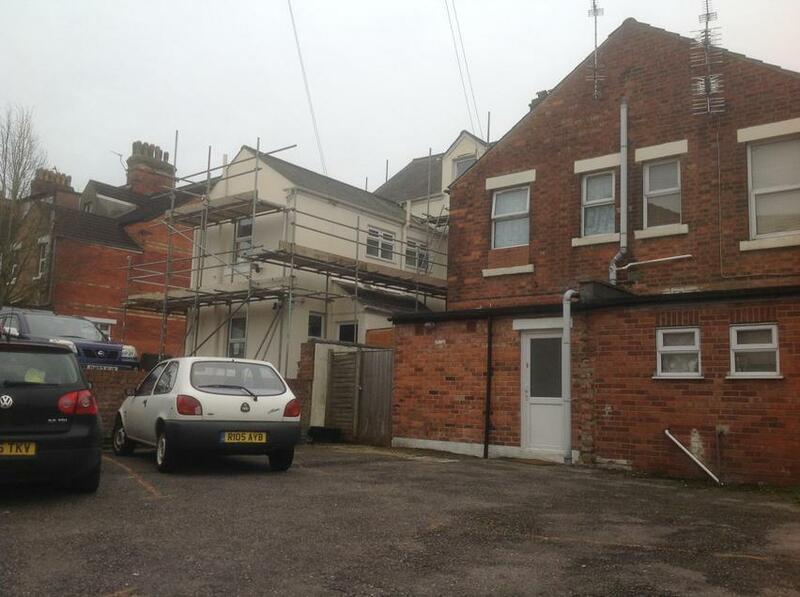 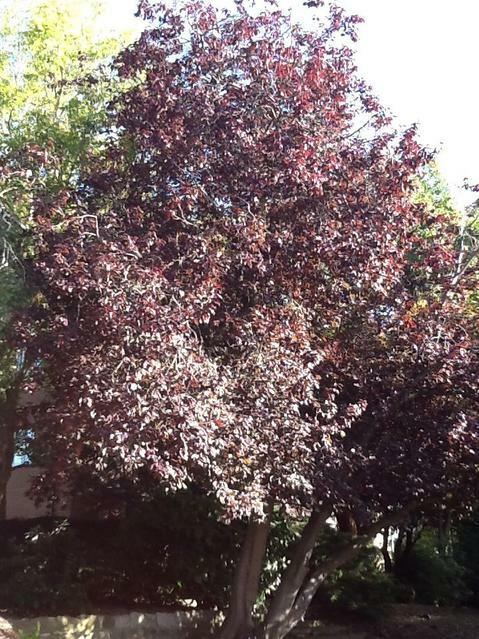 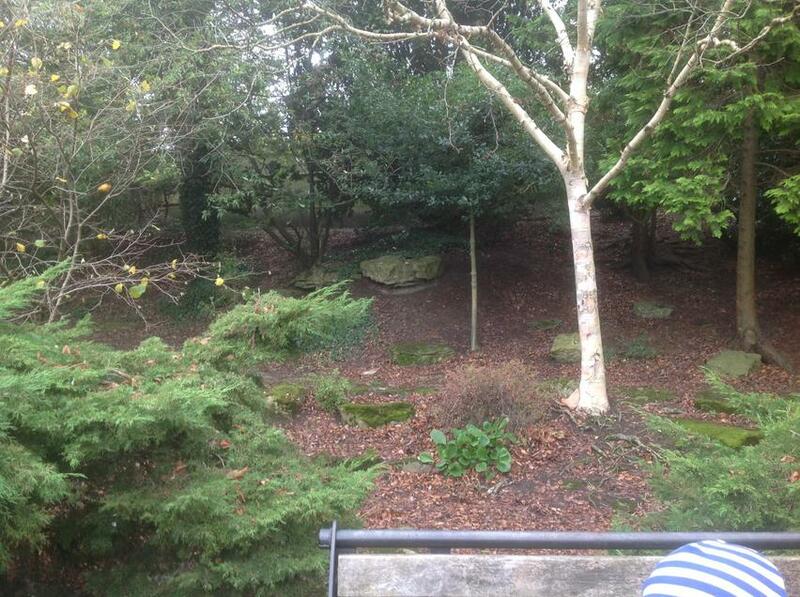 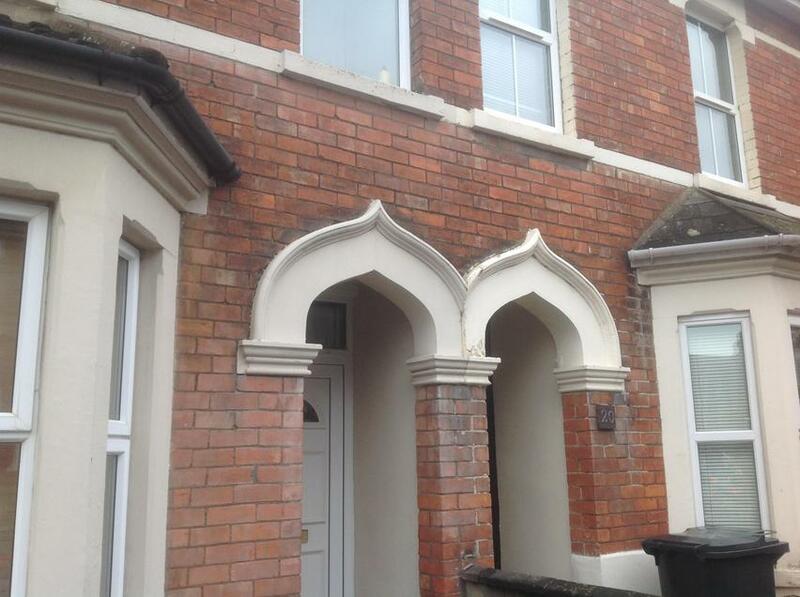 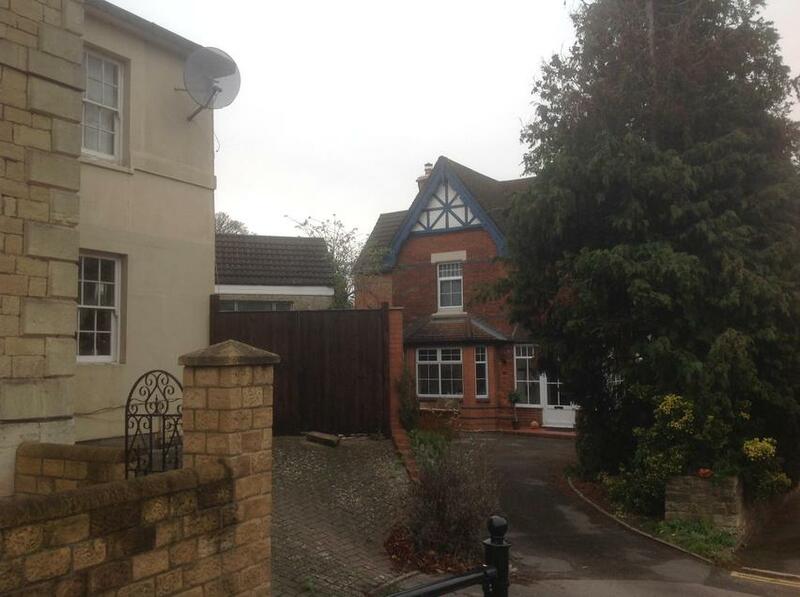 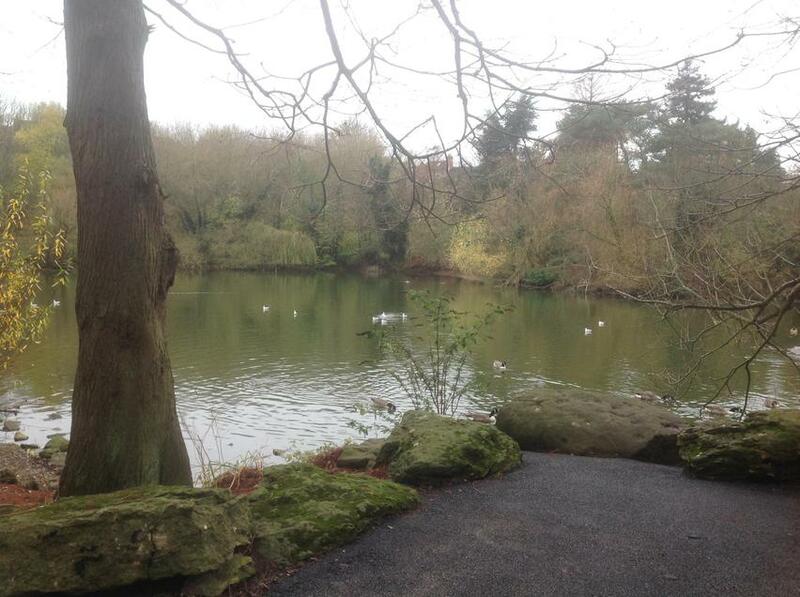 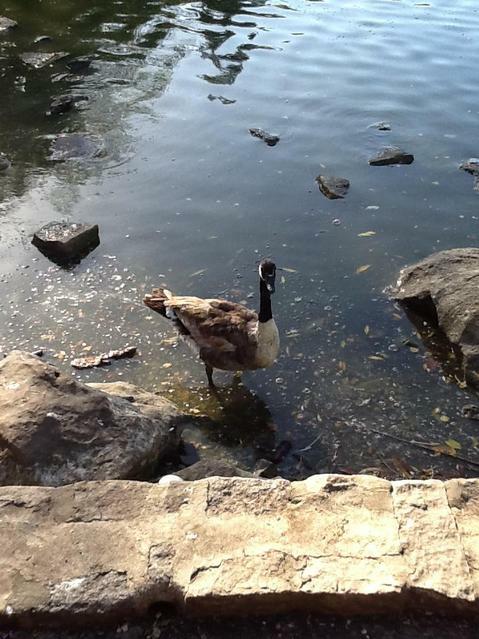 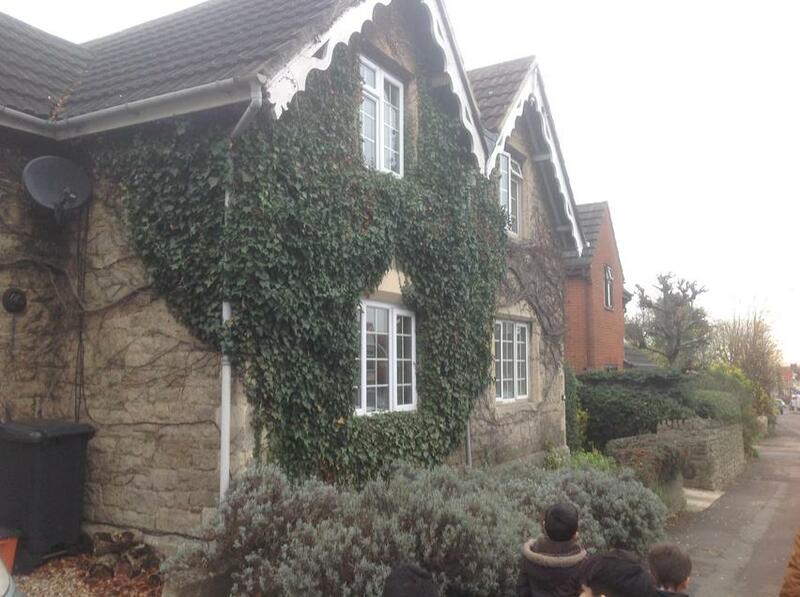 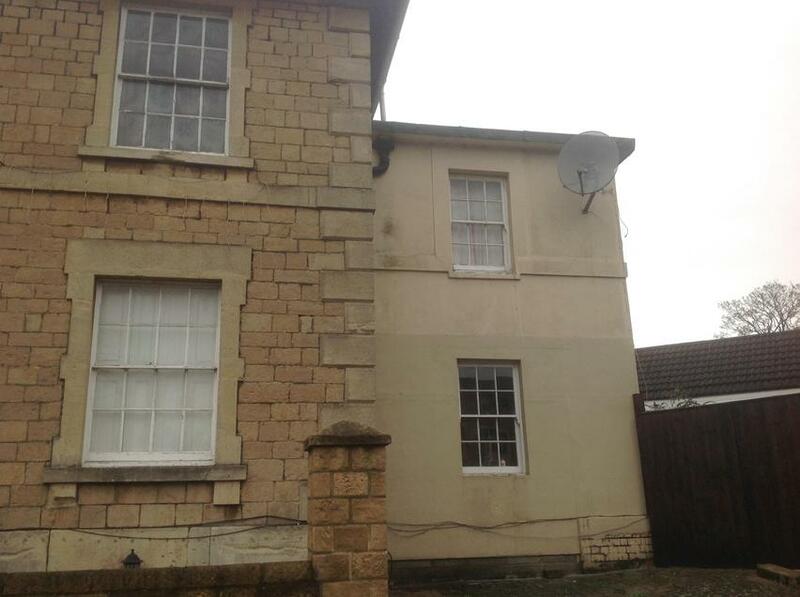 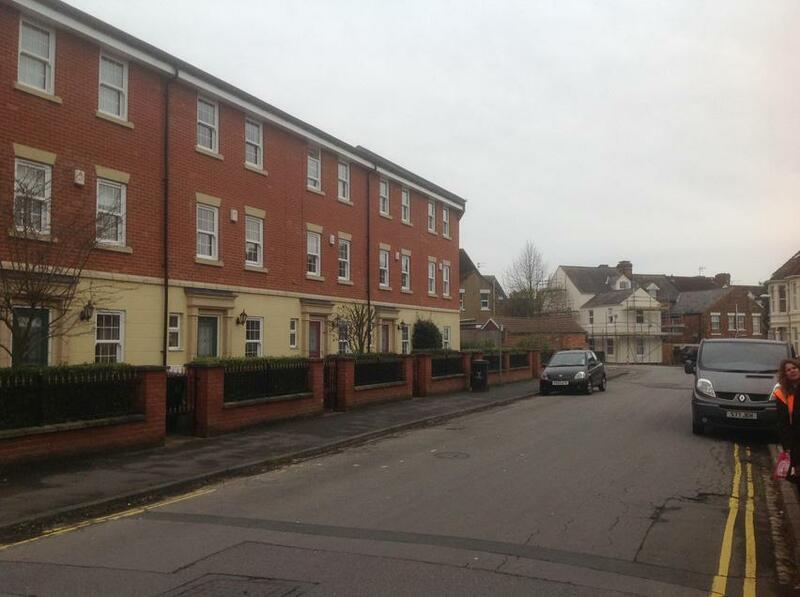 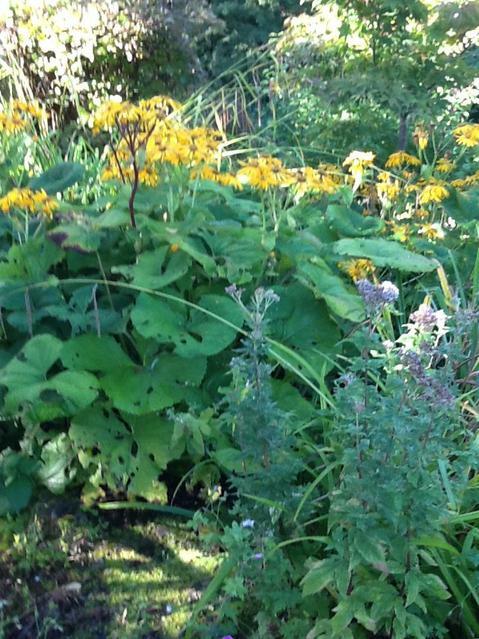 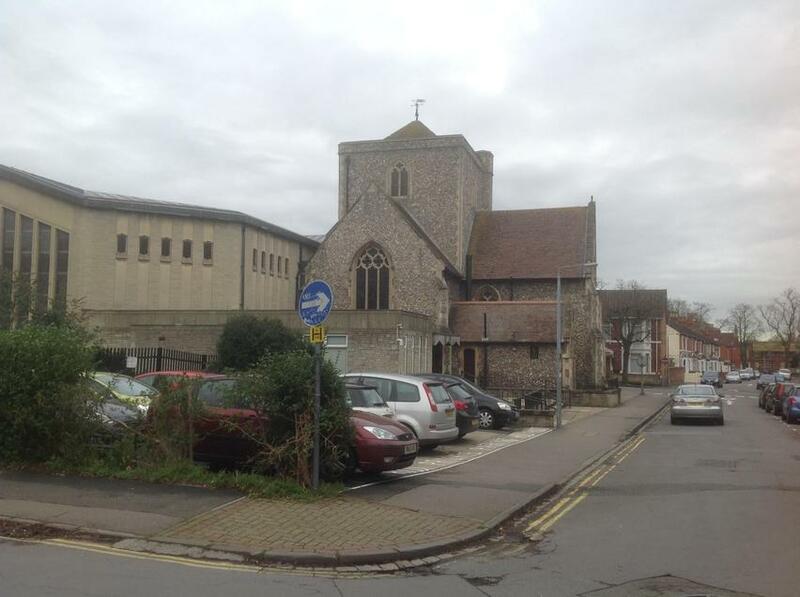 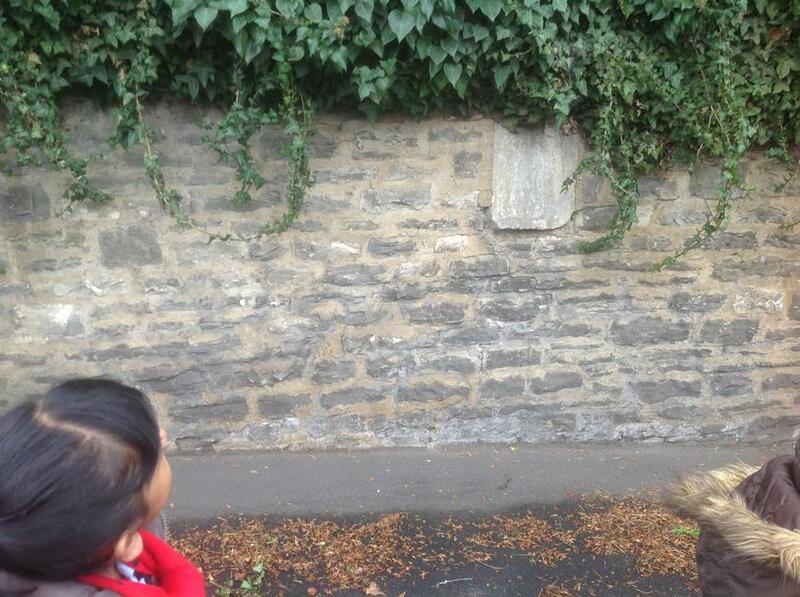 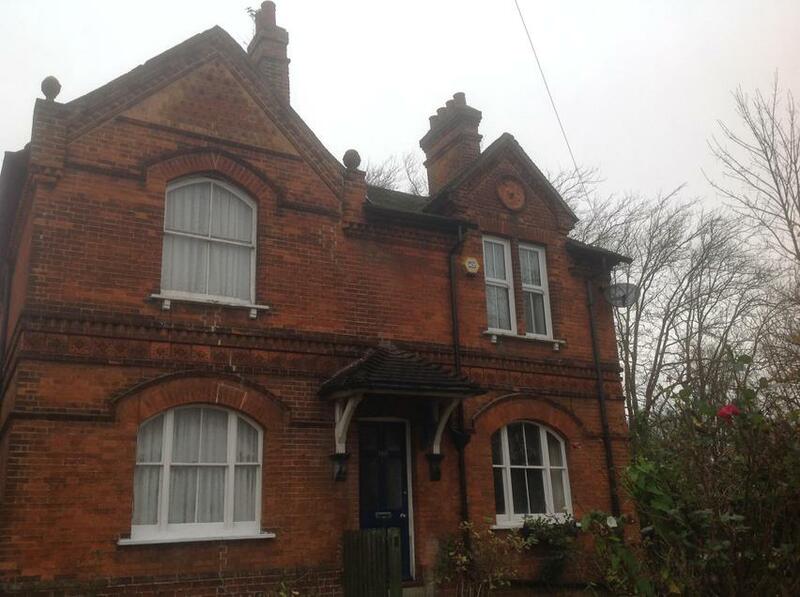 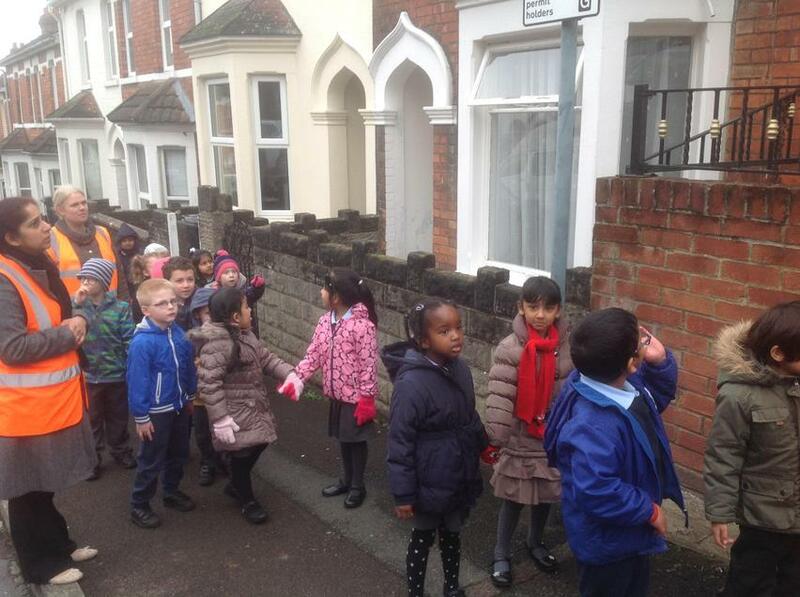 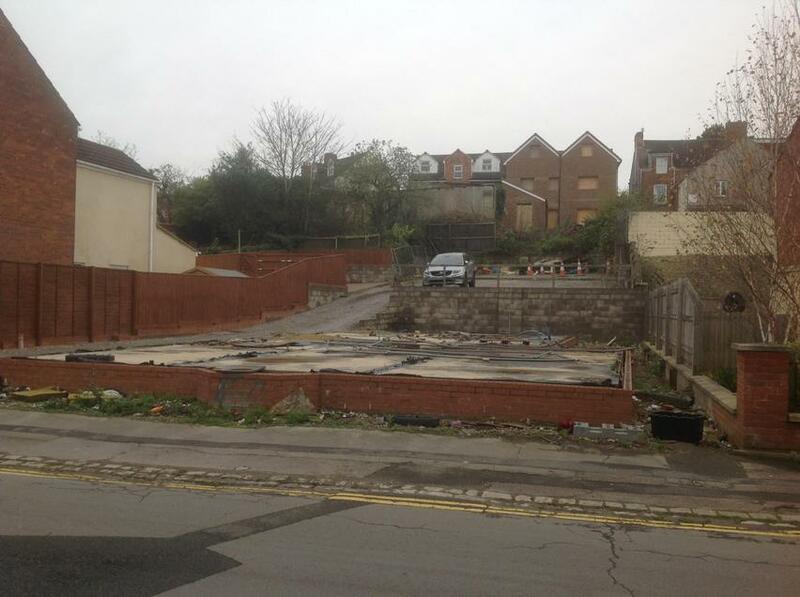 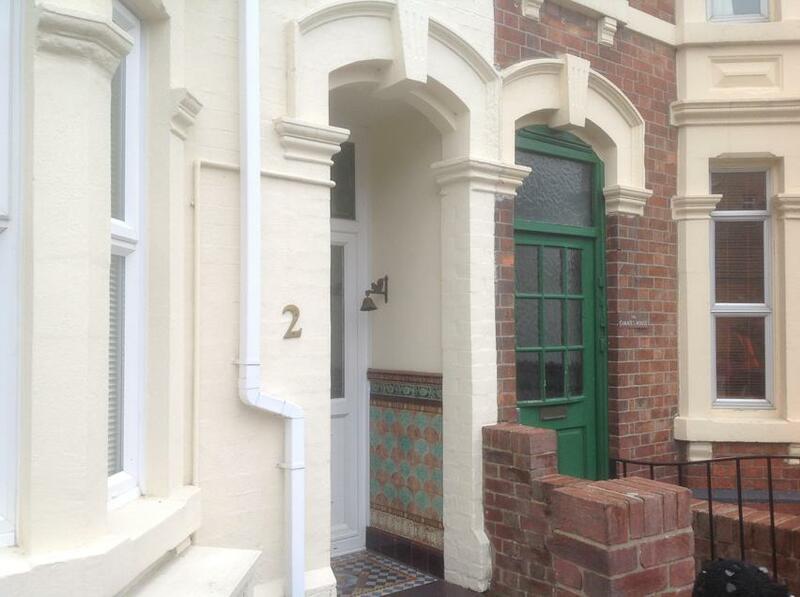 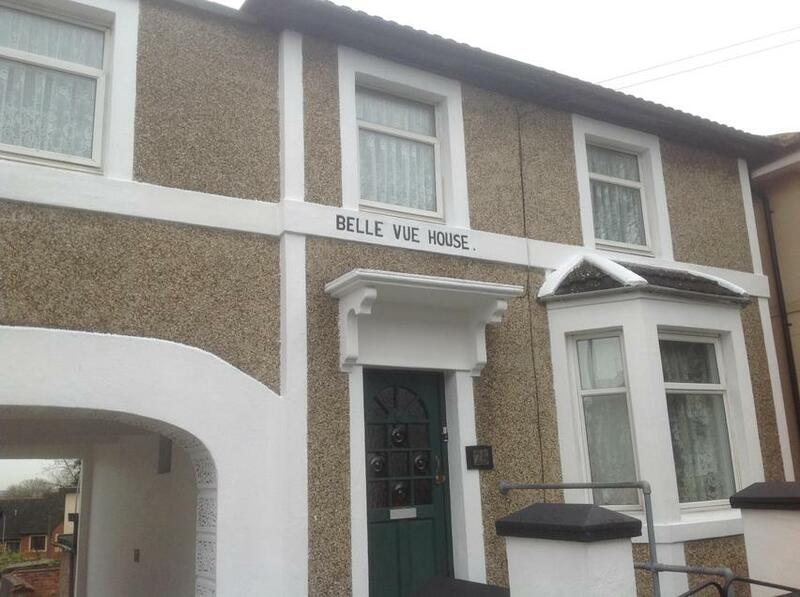 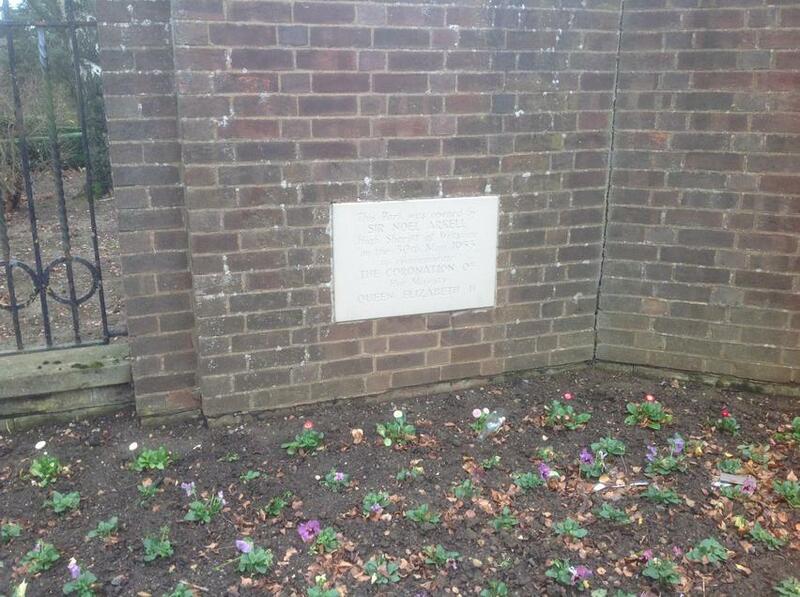 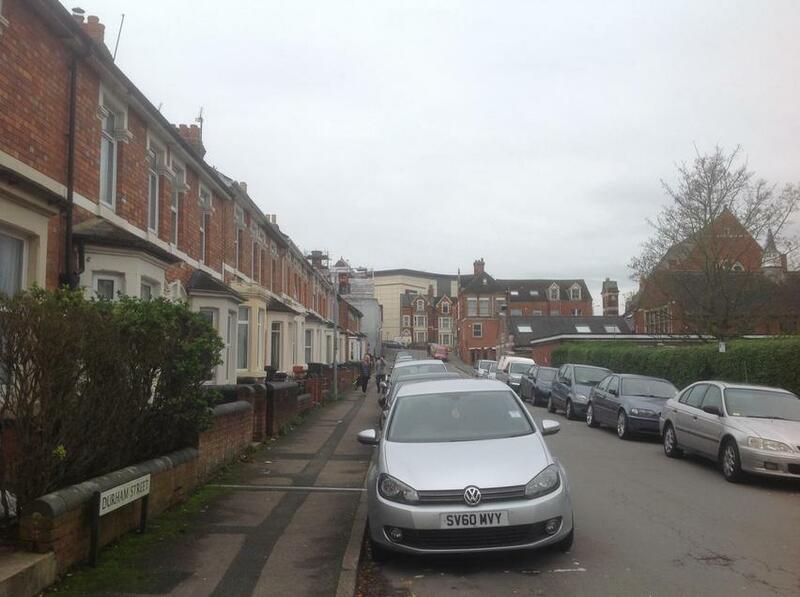 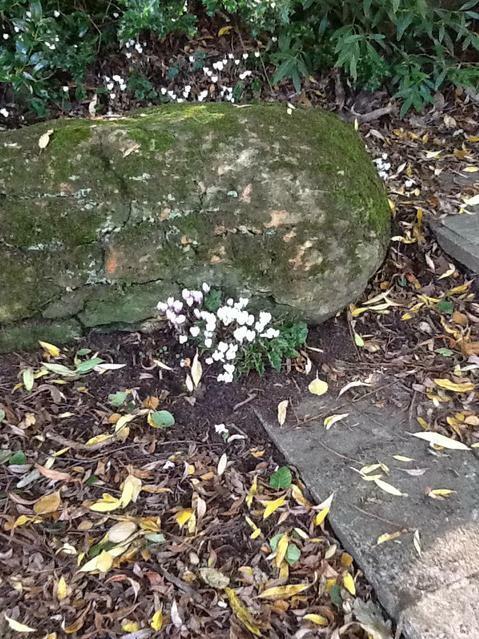 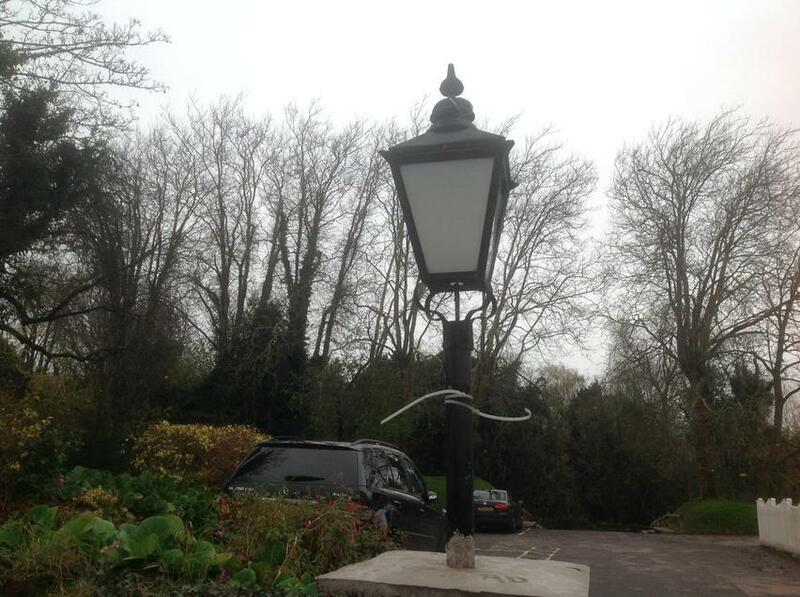 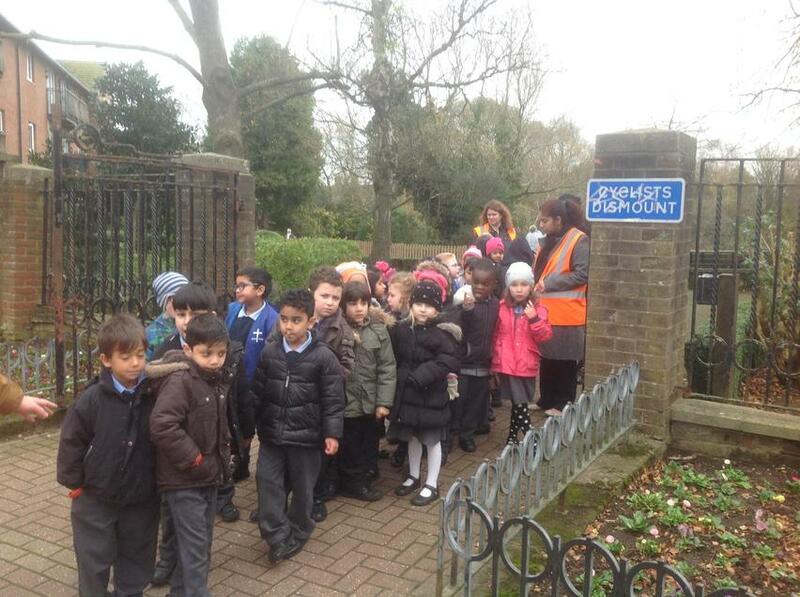 We went on a local history walk around the area. 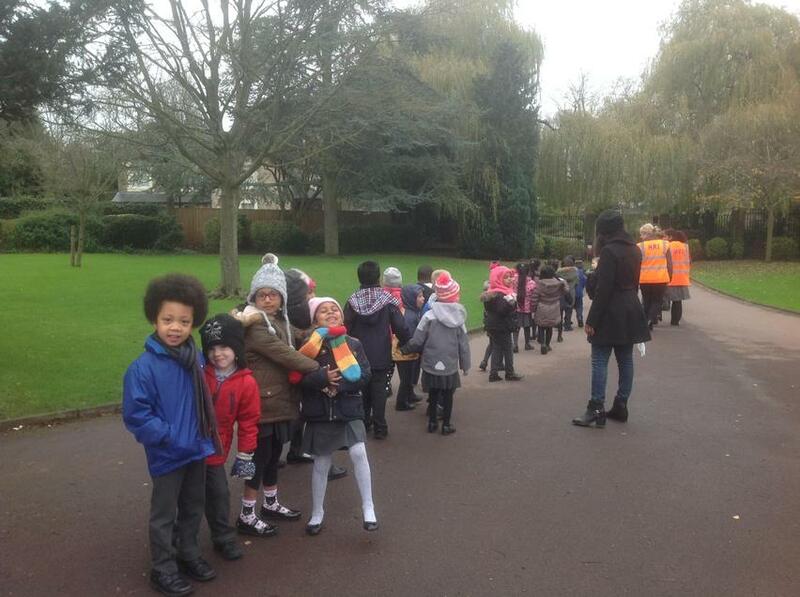 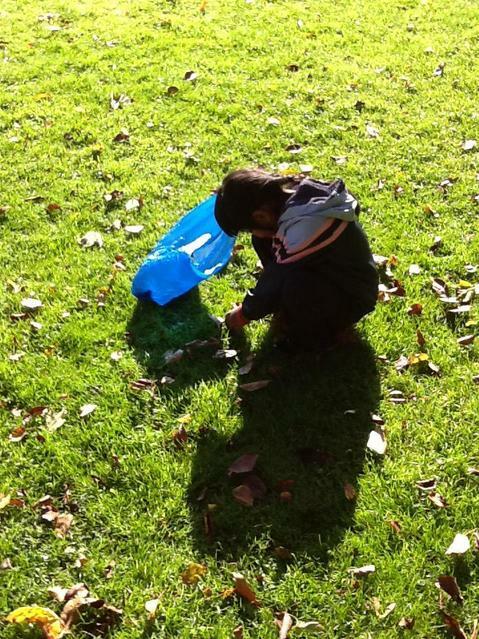 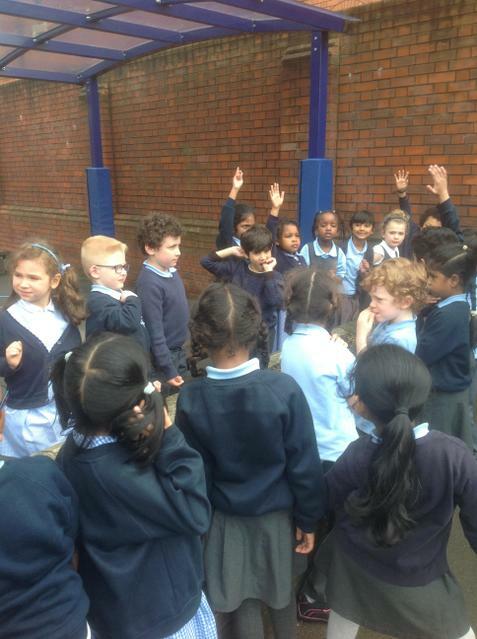 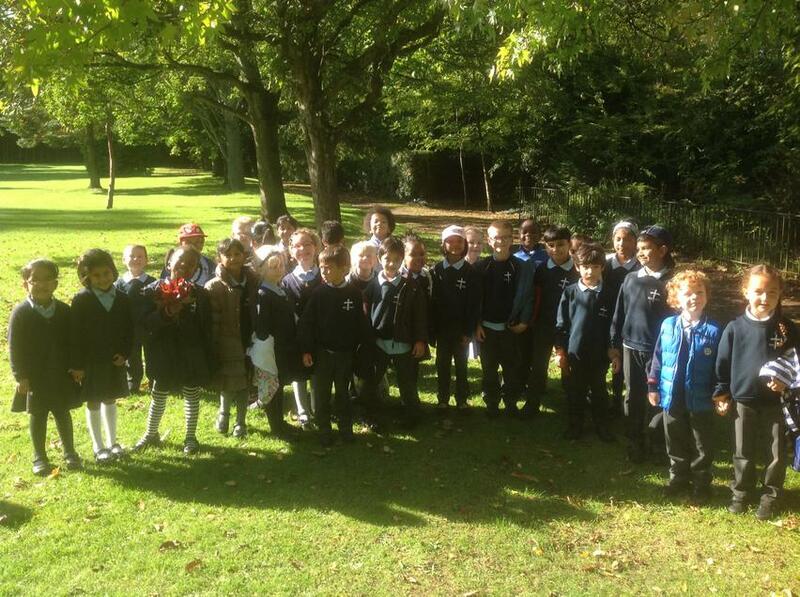 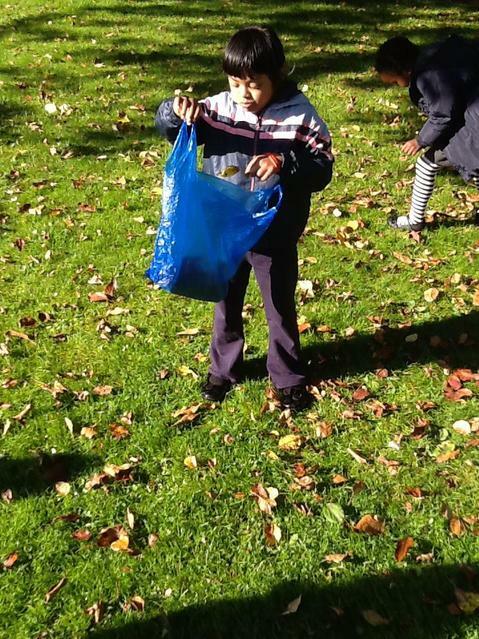 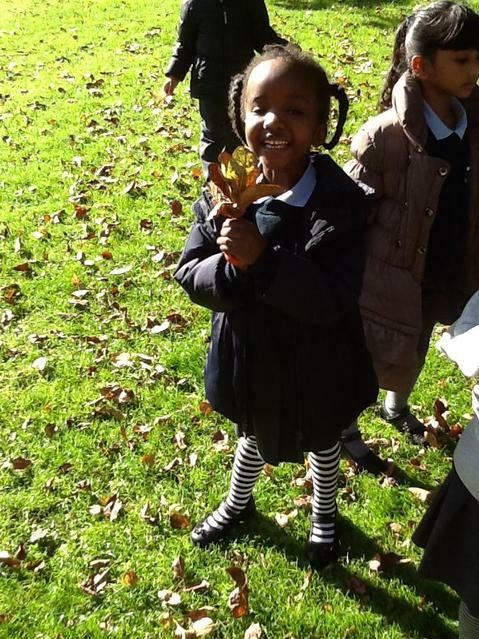 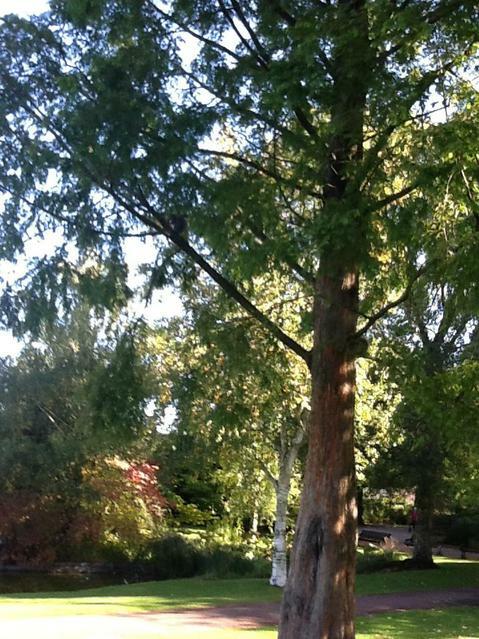 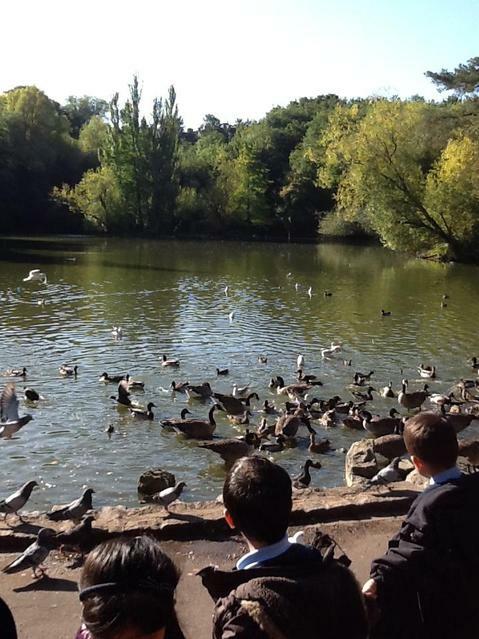 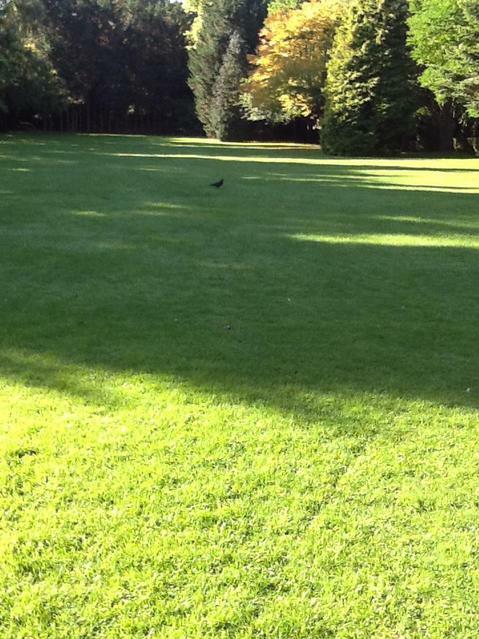 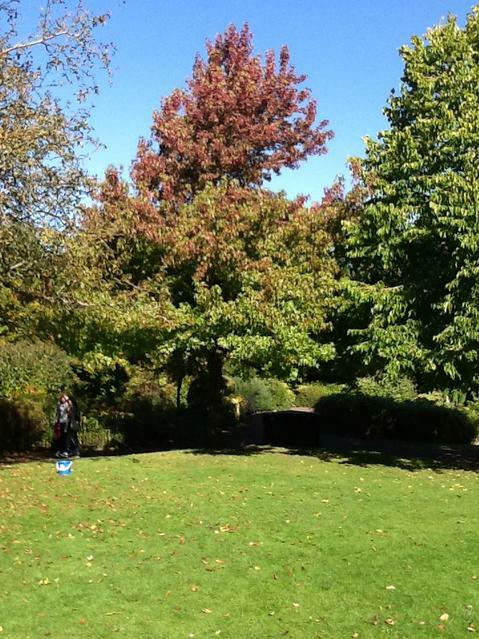 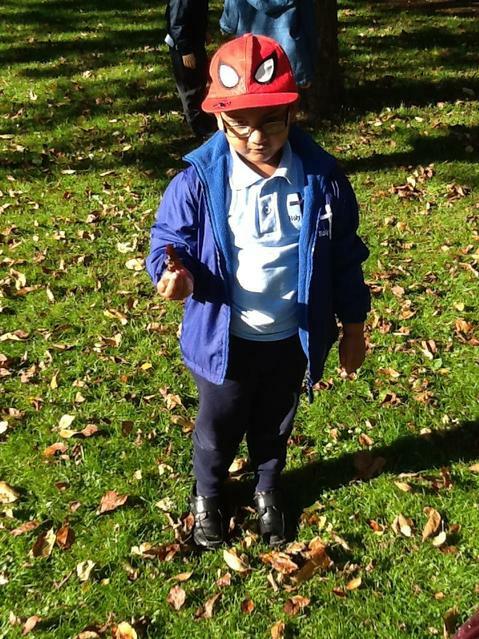 We found out lots of information about the buildings and the history of Queen's park. 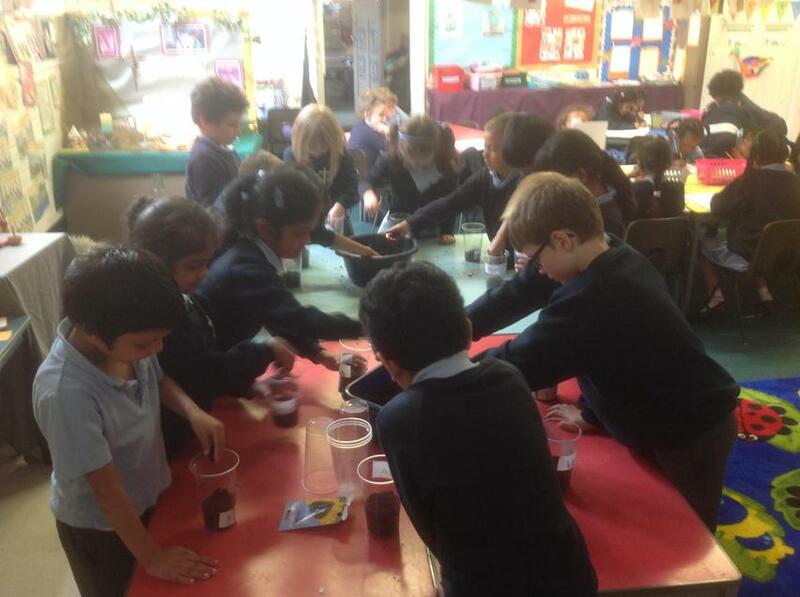 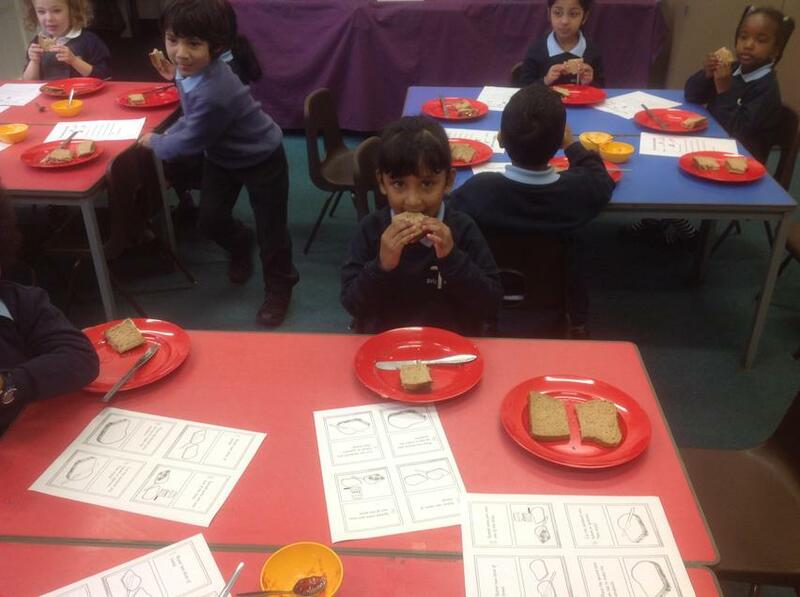 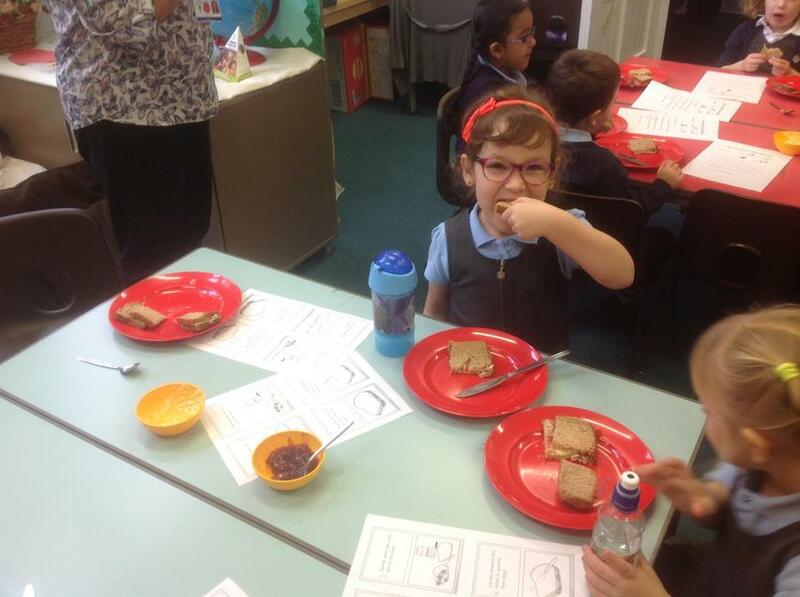 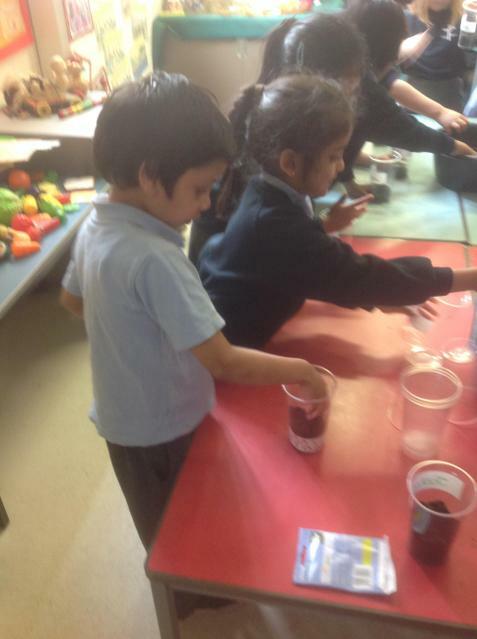 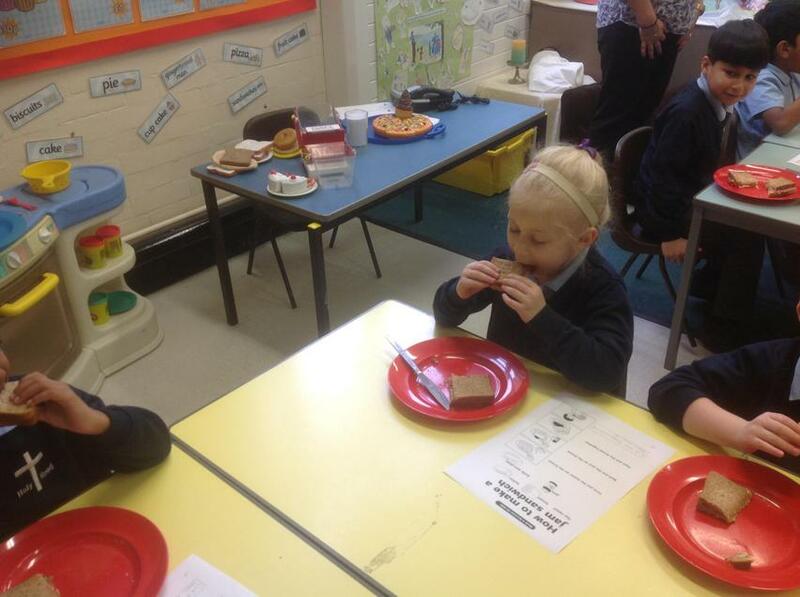 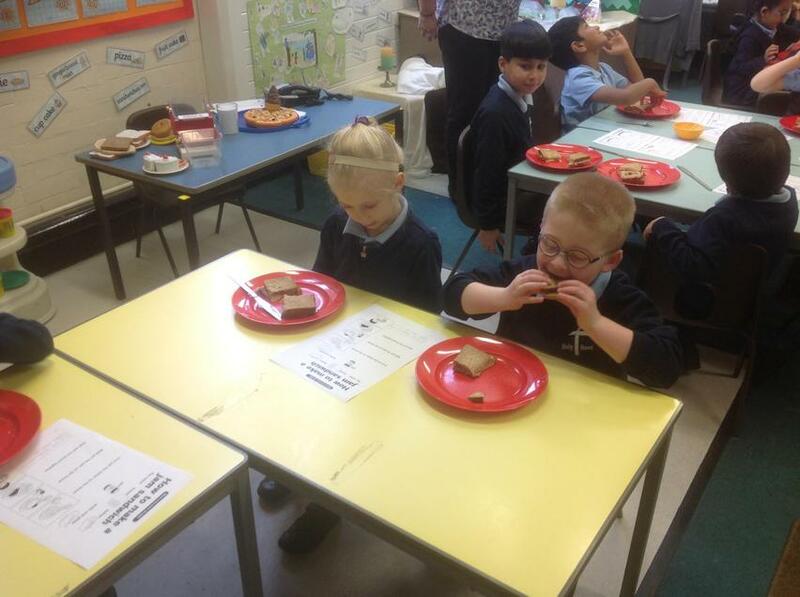 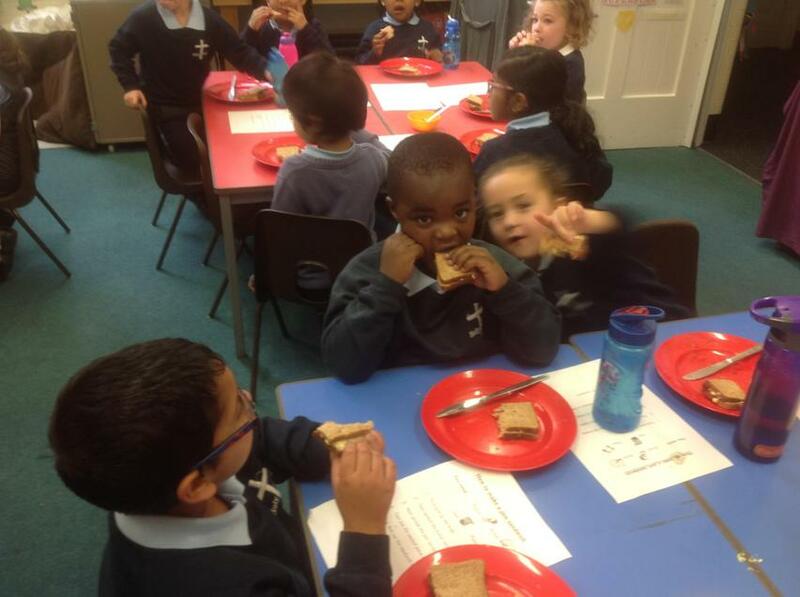 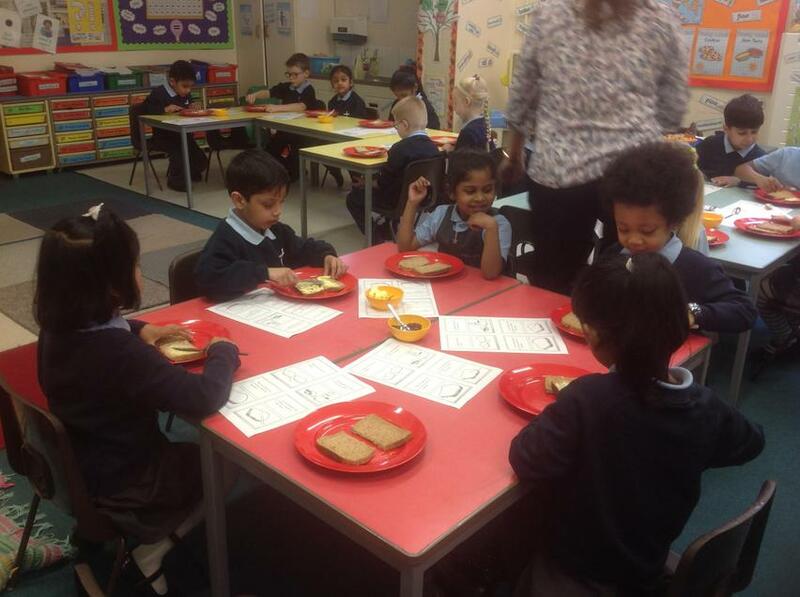 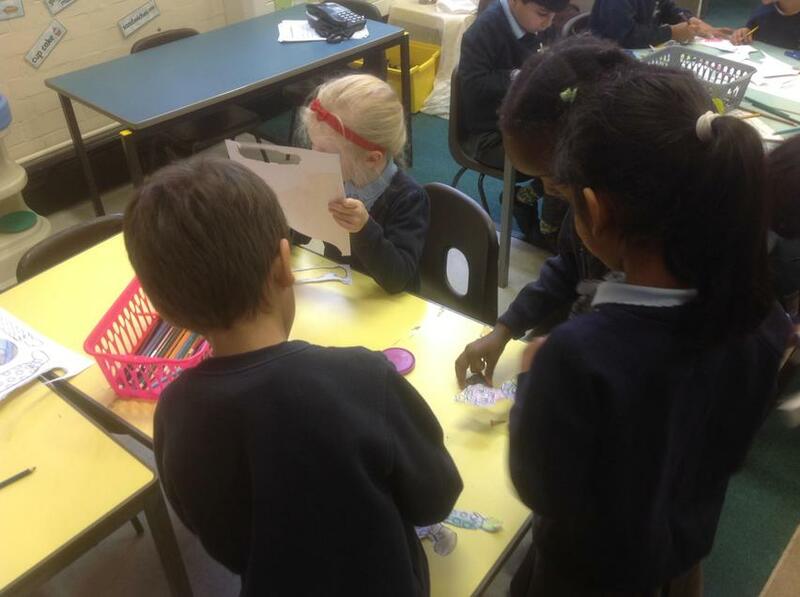 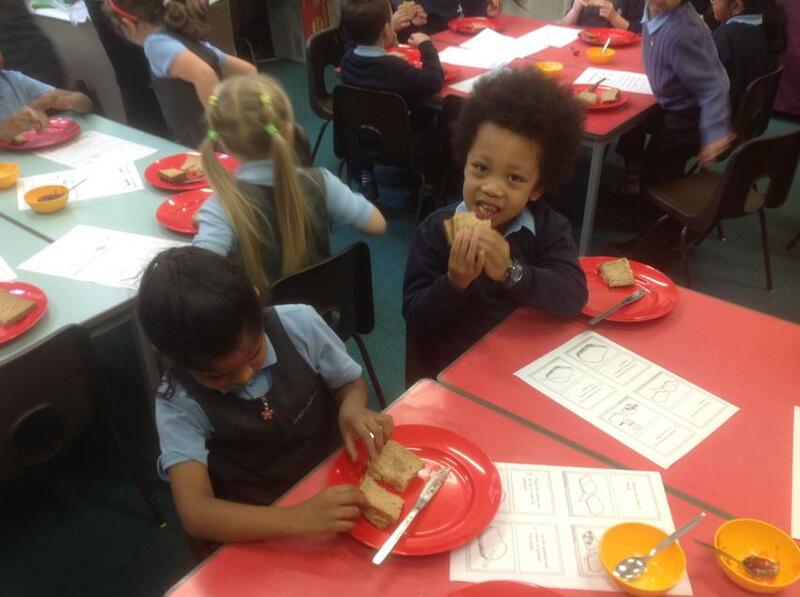 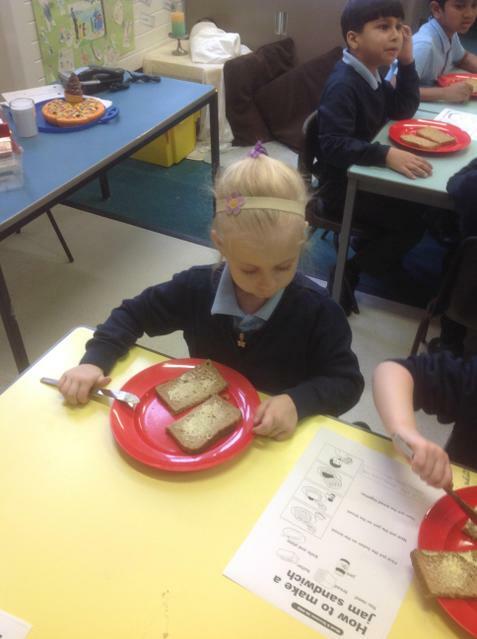 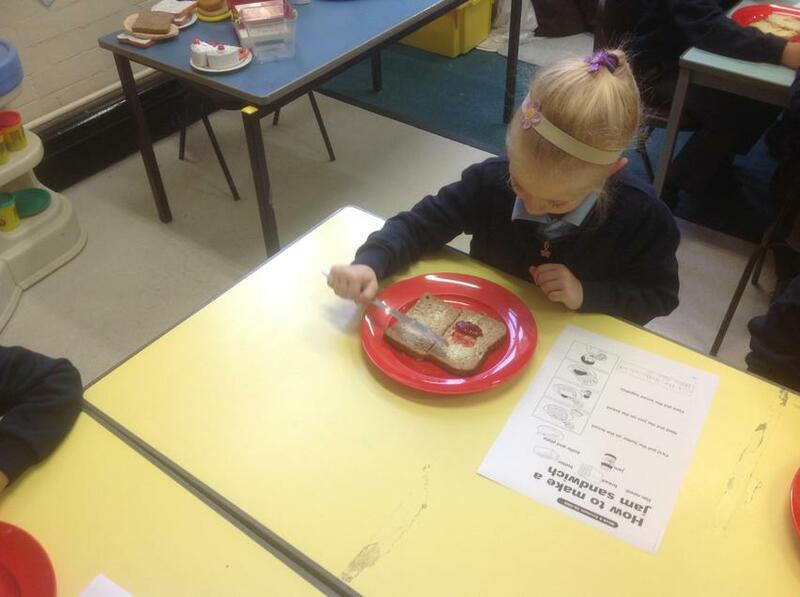 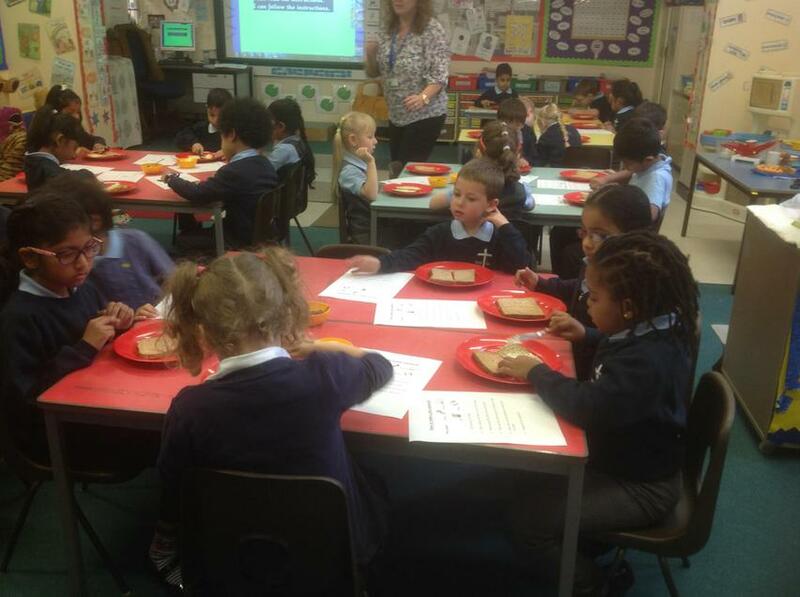 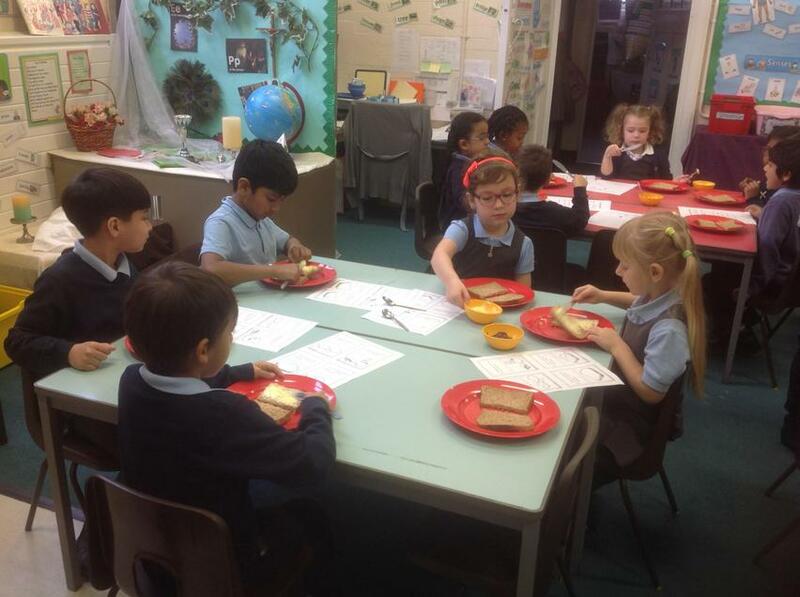 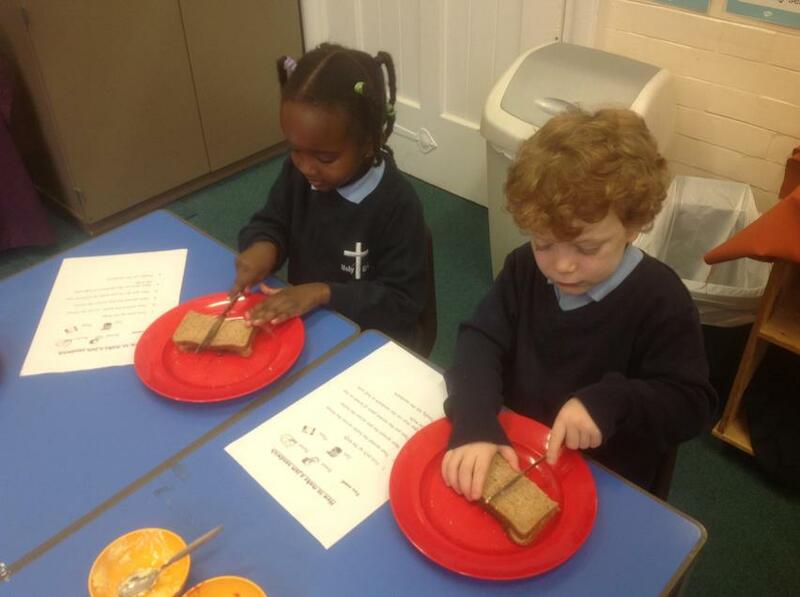 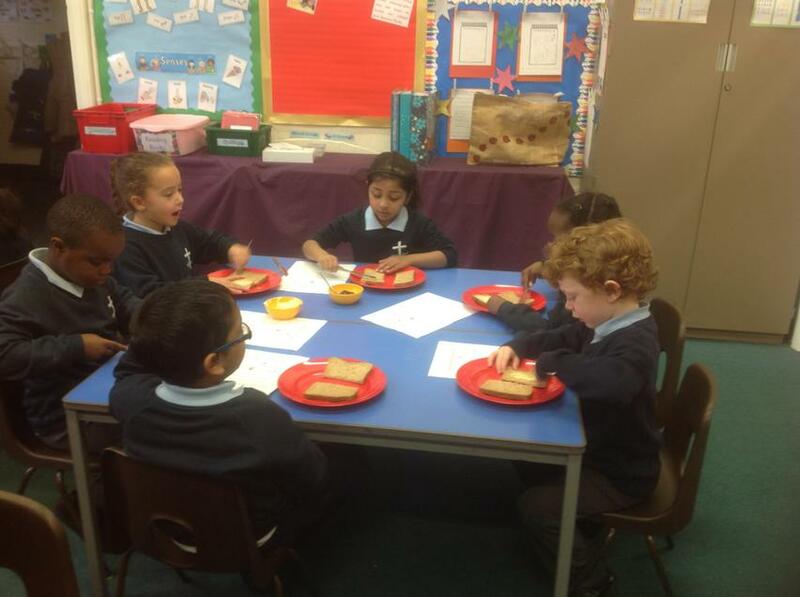 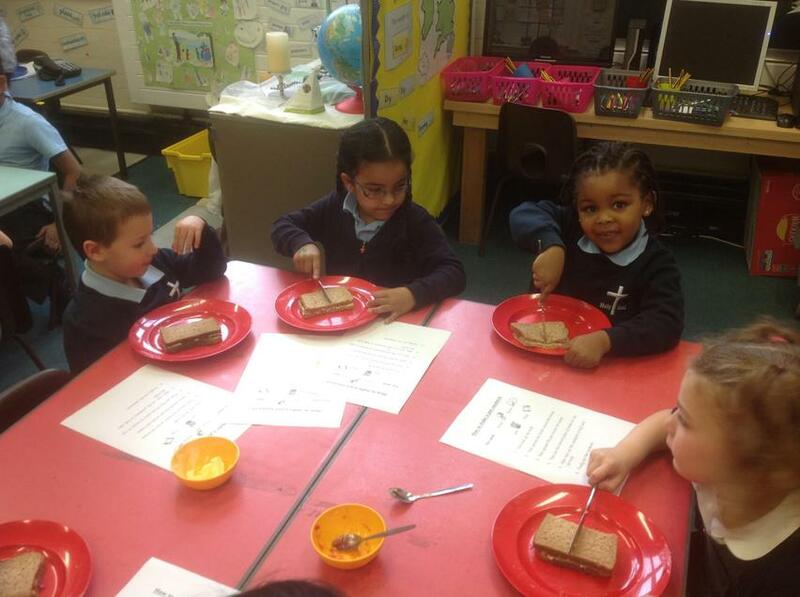 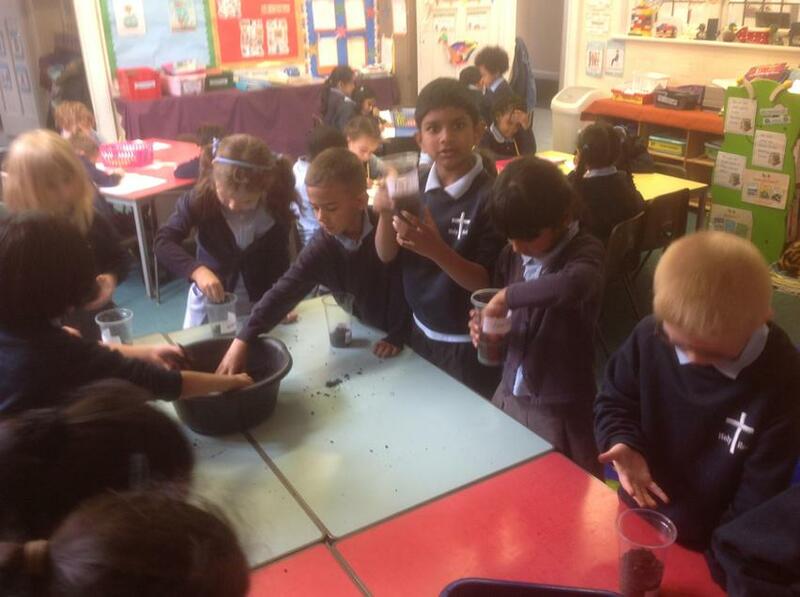 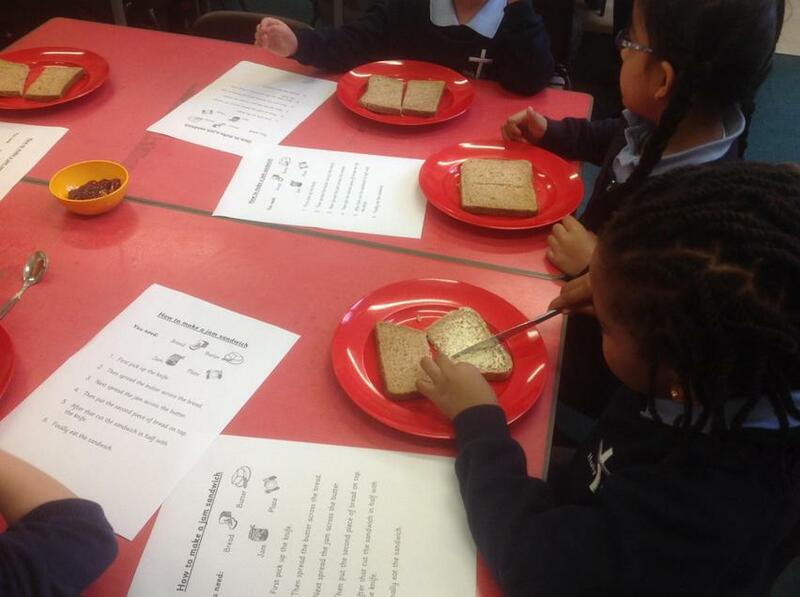 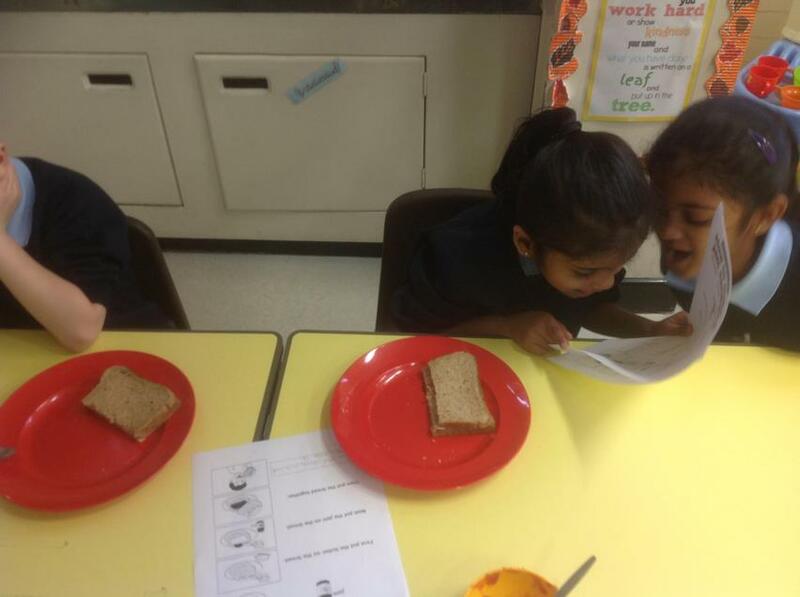 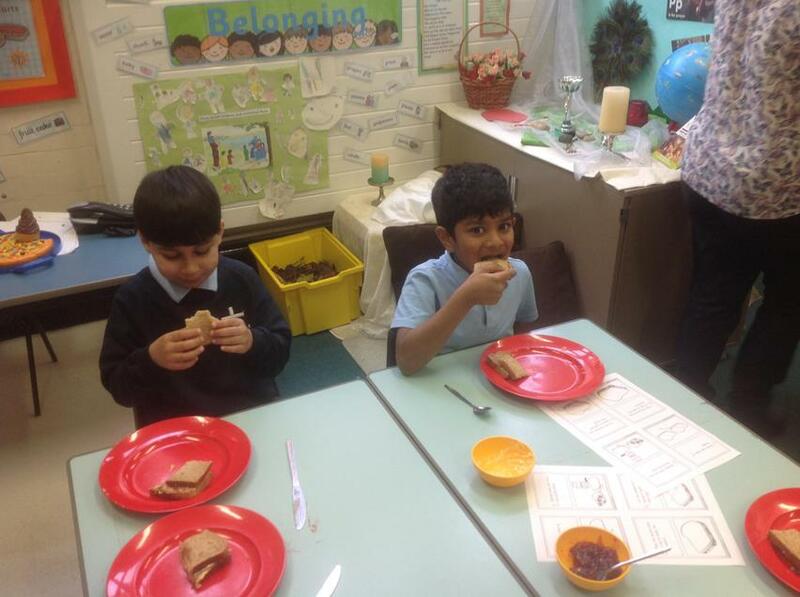 We followed a set of instructions and made our jam sandwiches. 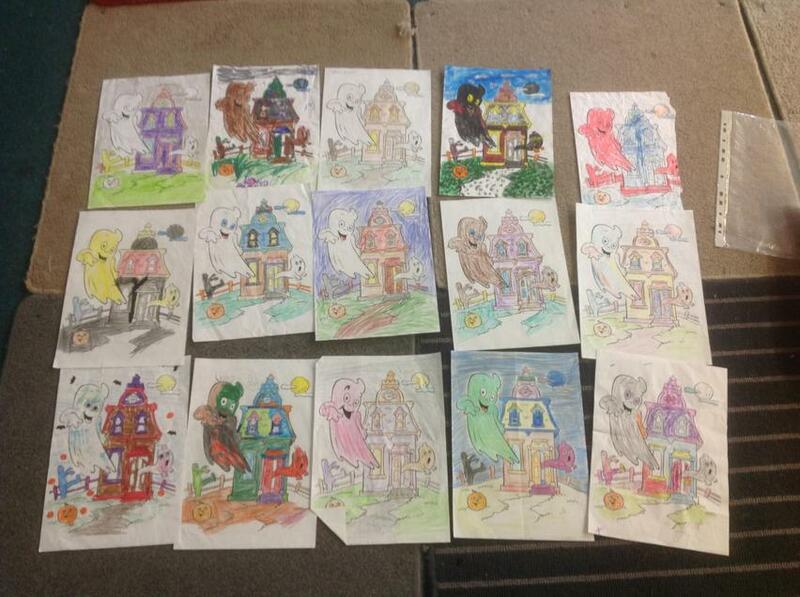 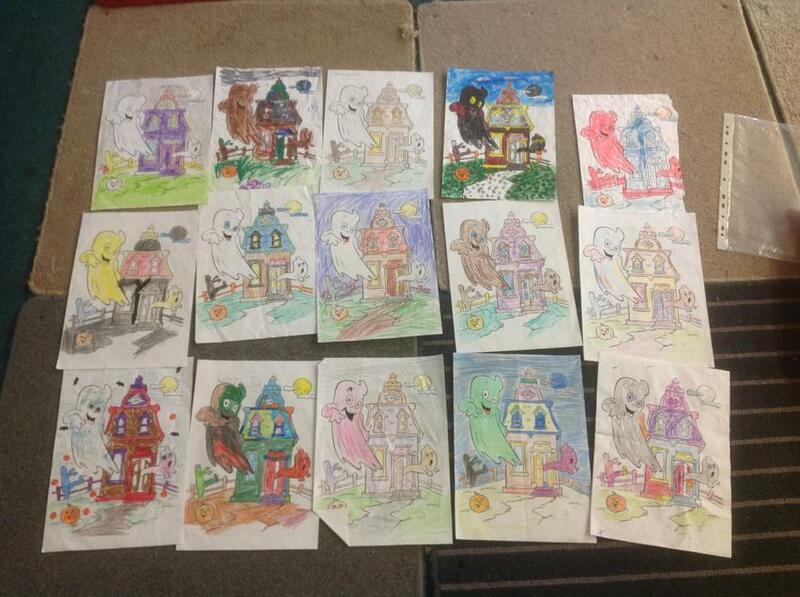 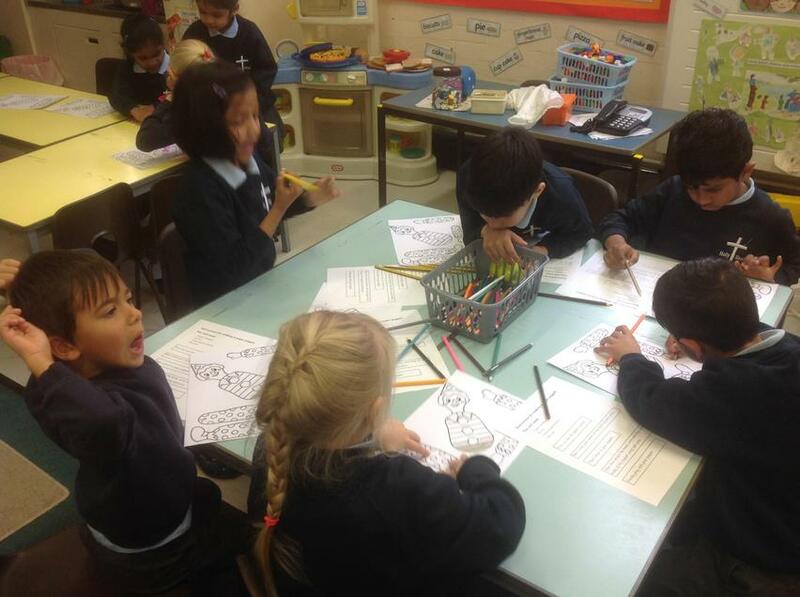 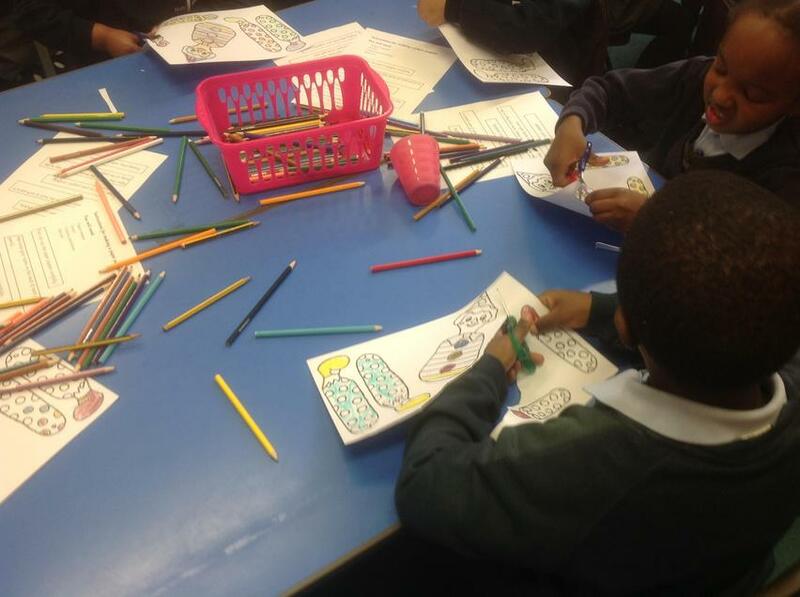 Thank you to everyone who entered our Halloween Colouring Competition. 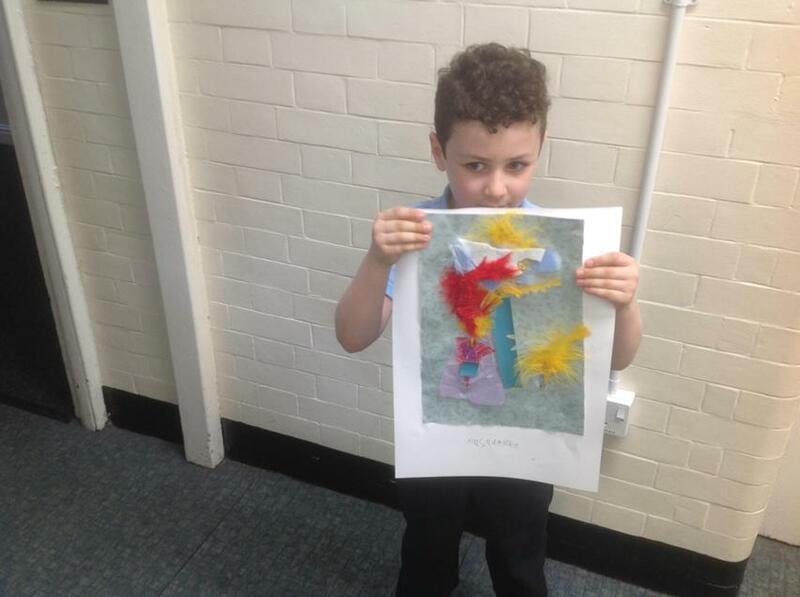 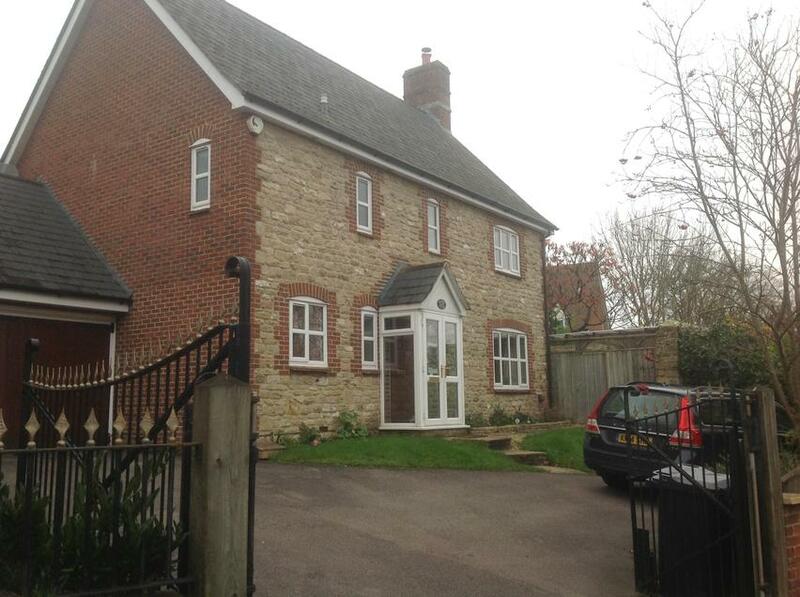 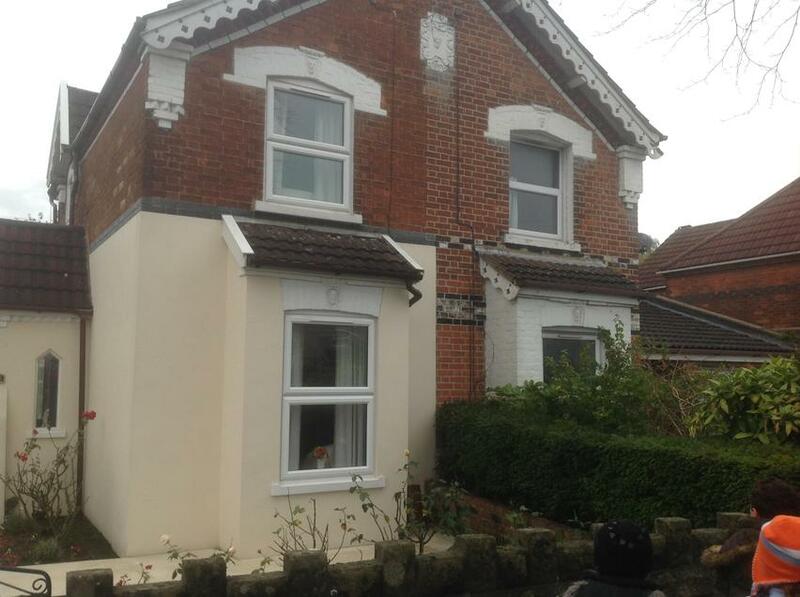 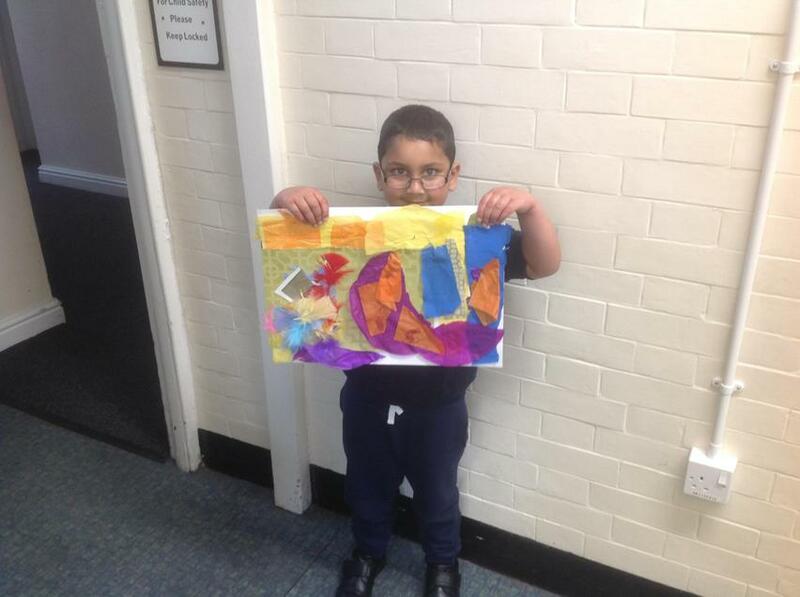 It was a 'Howling' Success! 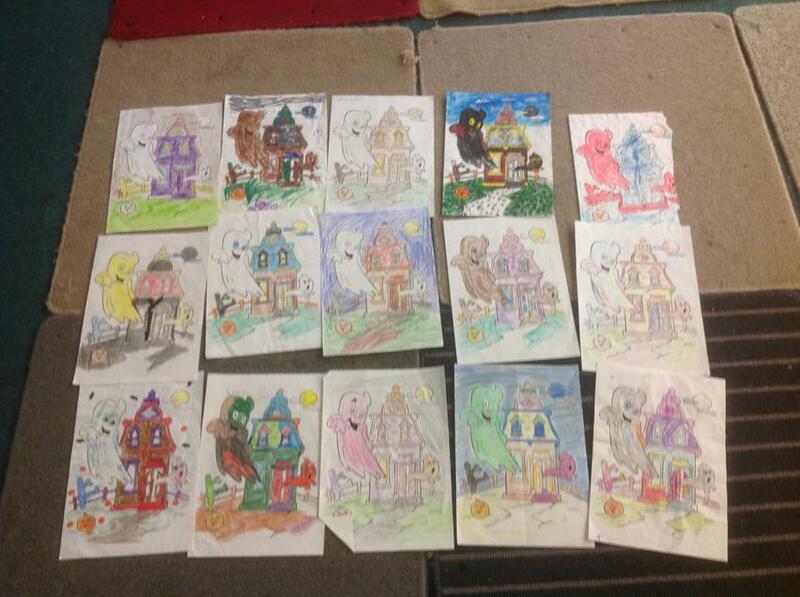 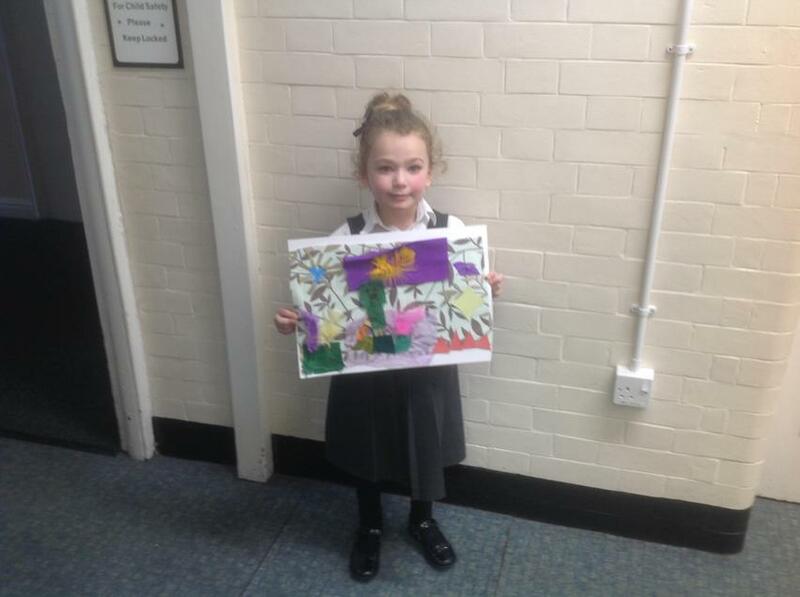 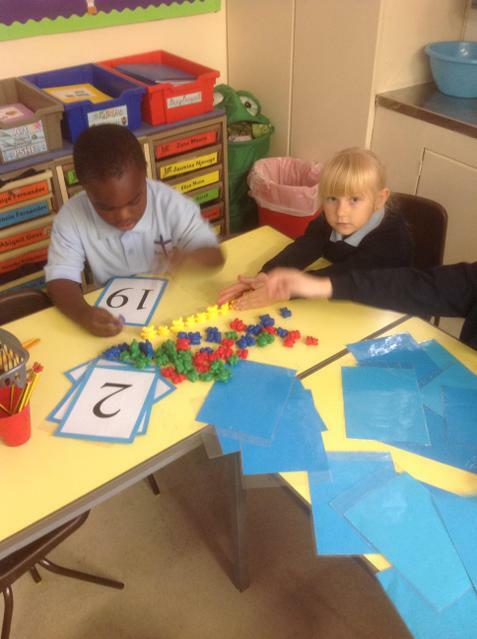 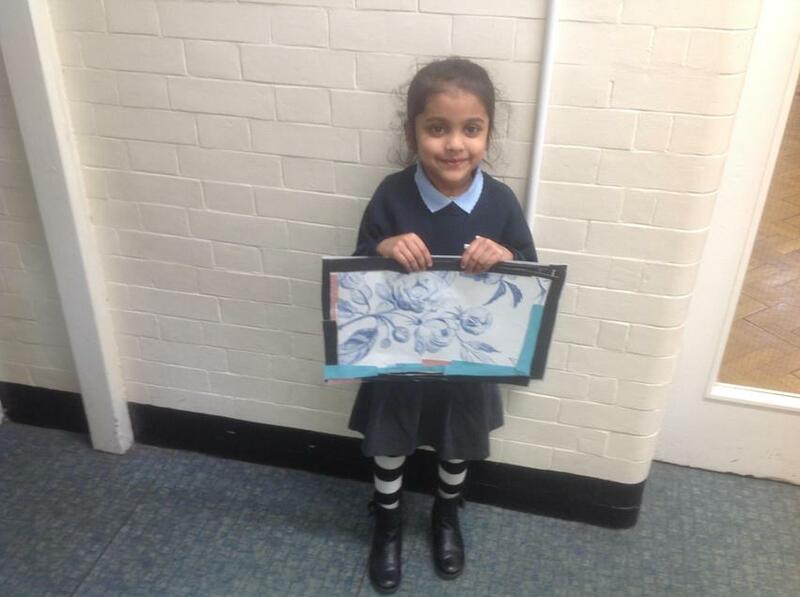 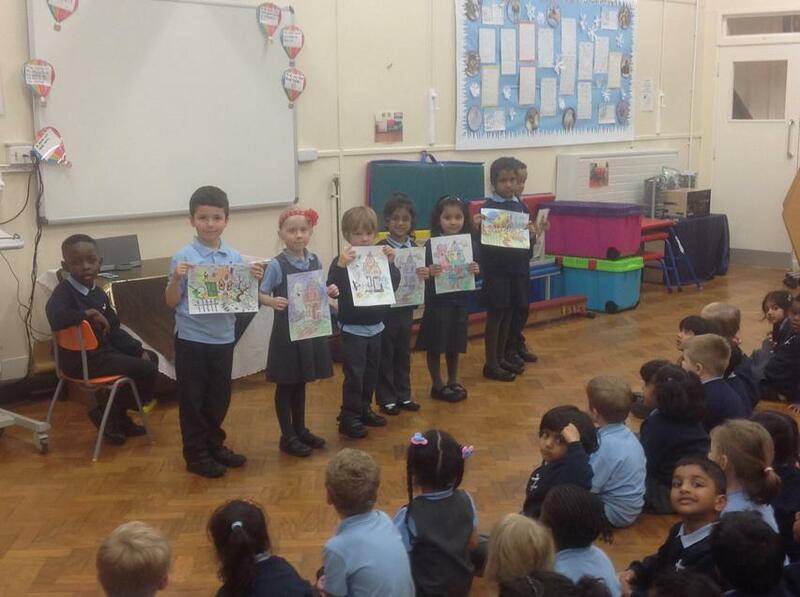 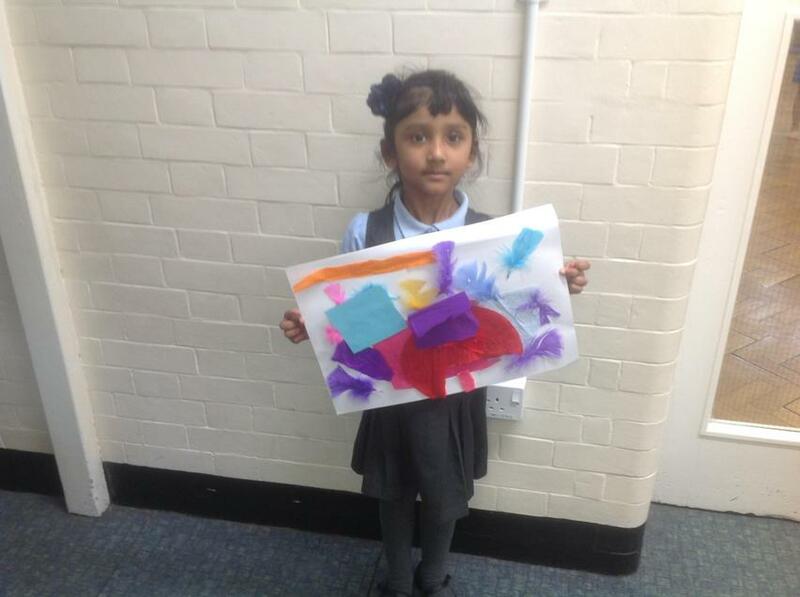 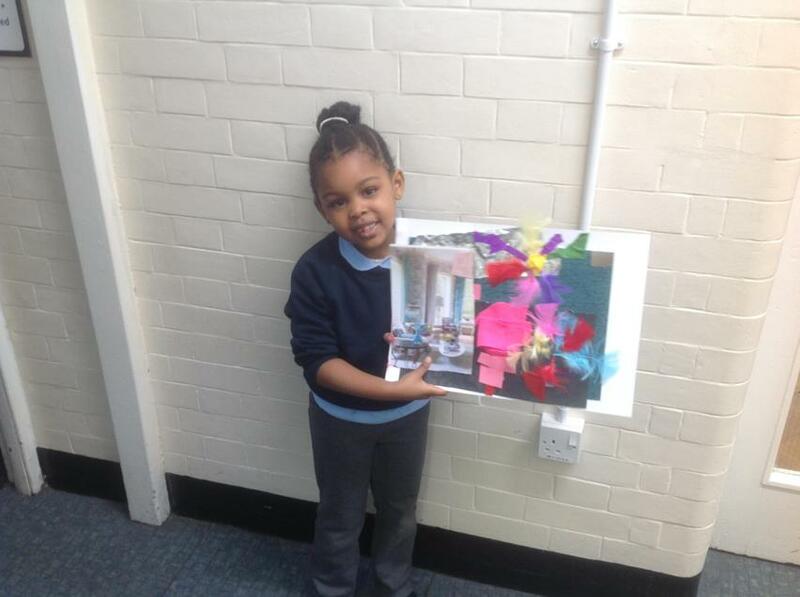 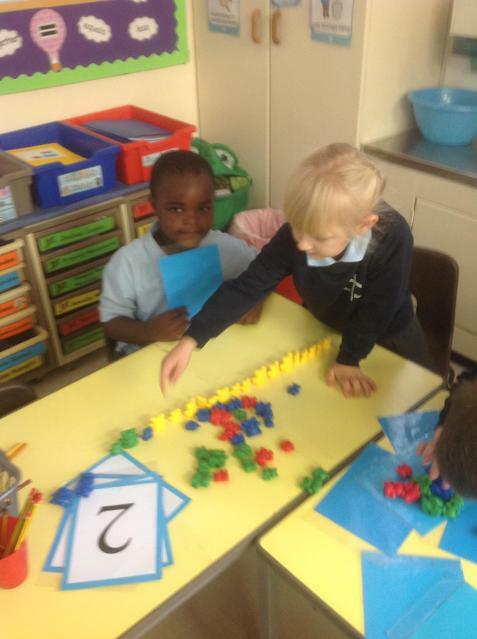 Here are Year Ones' entries. 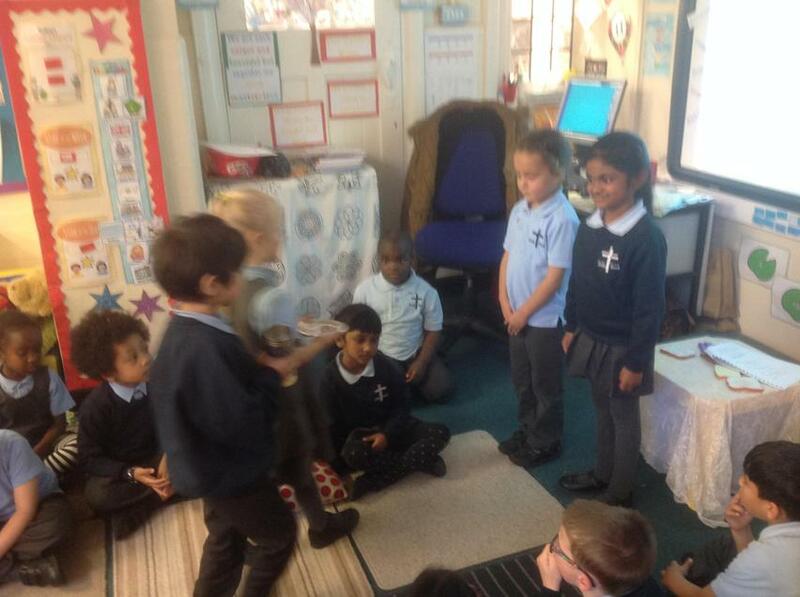 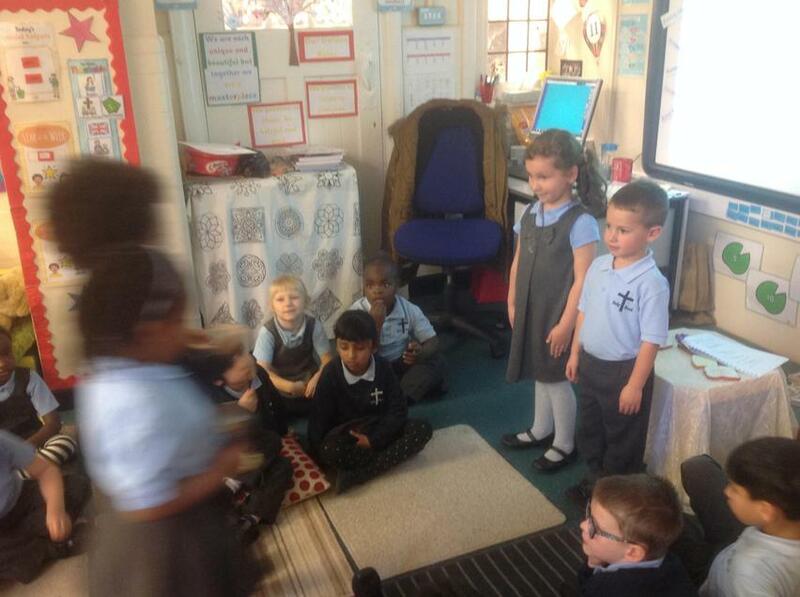 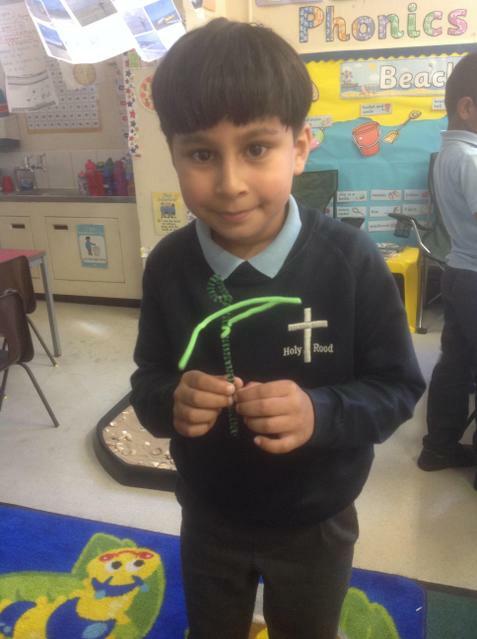 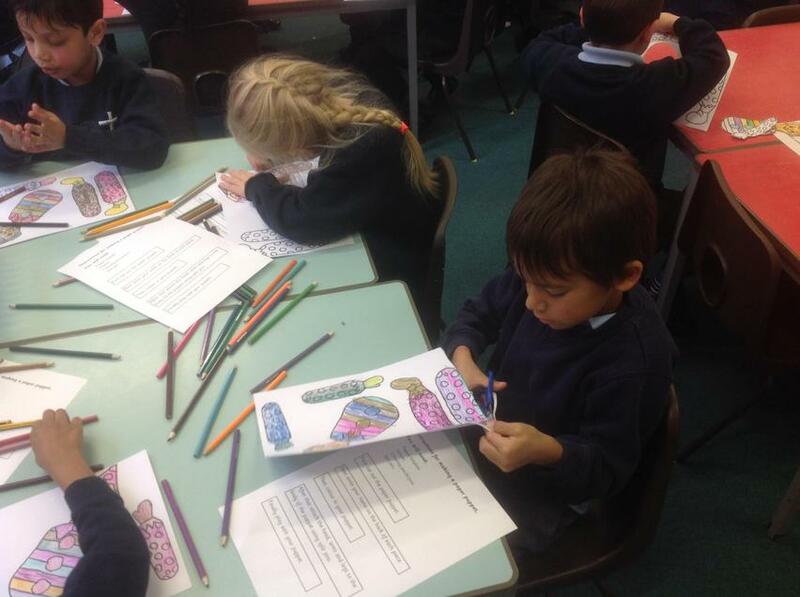 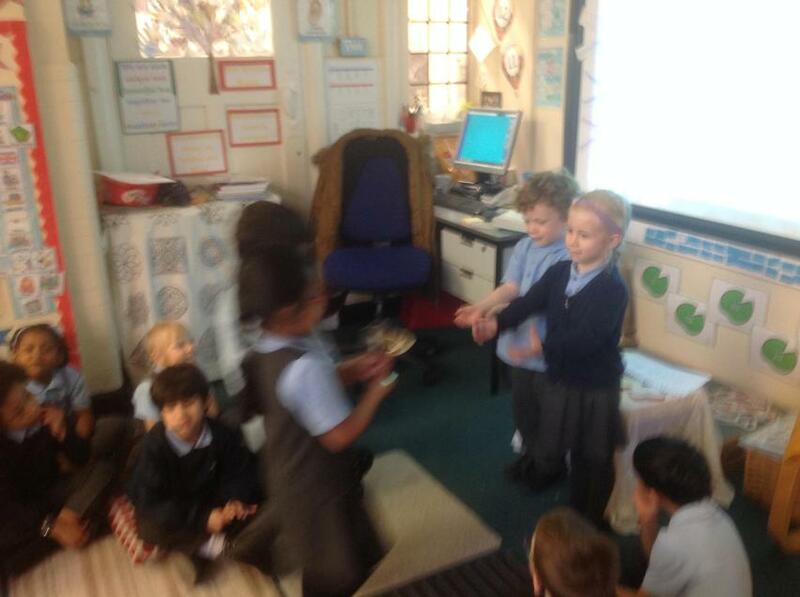 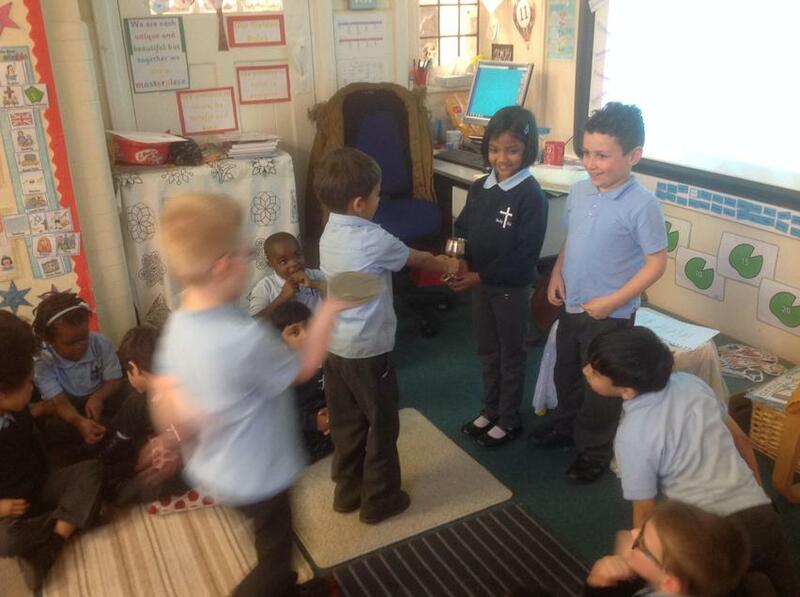 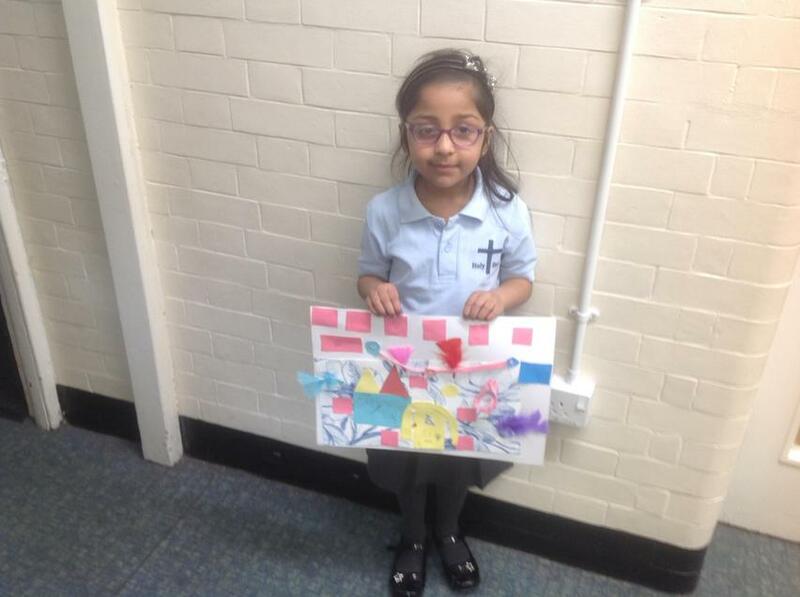 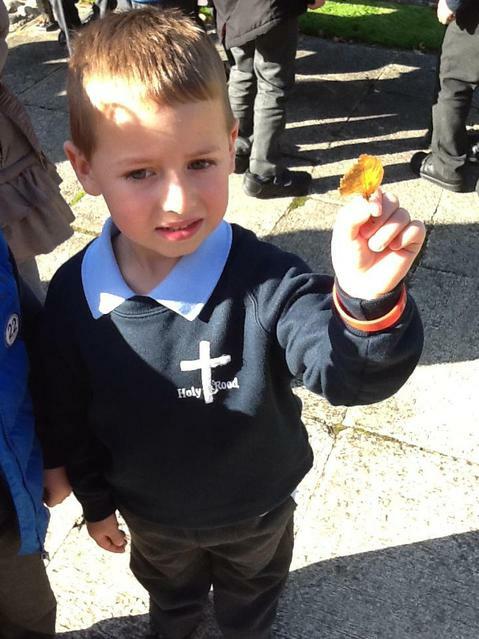 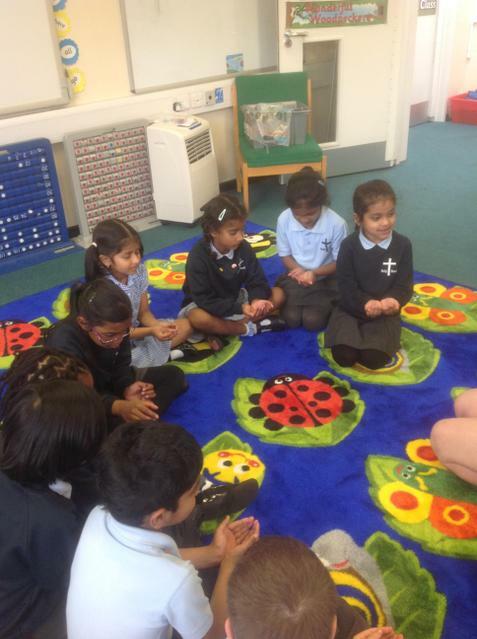 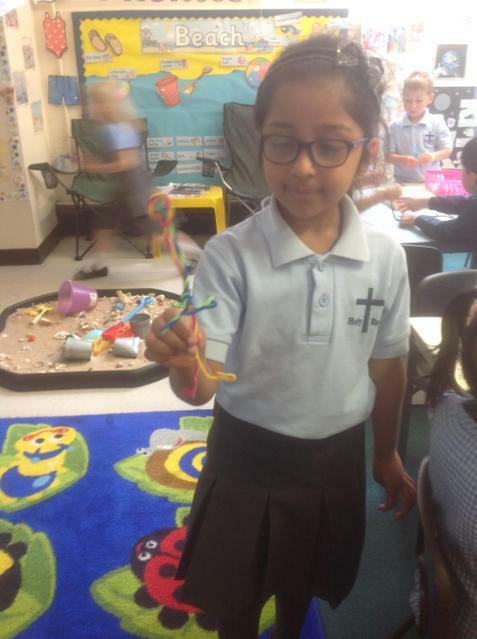 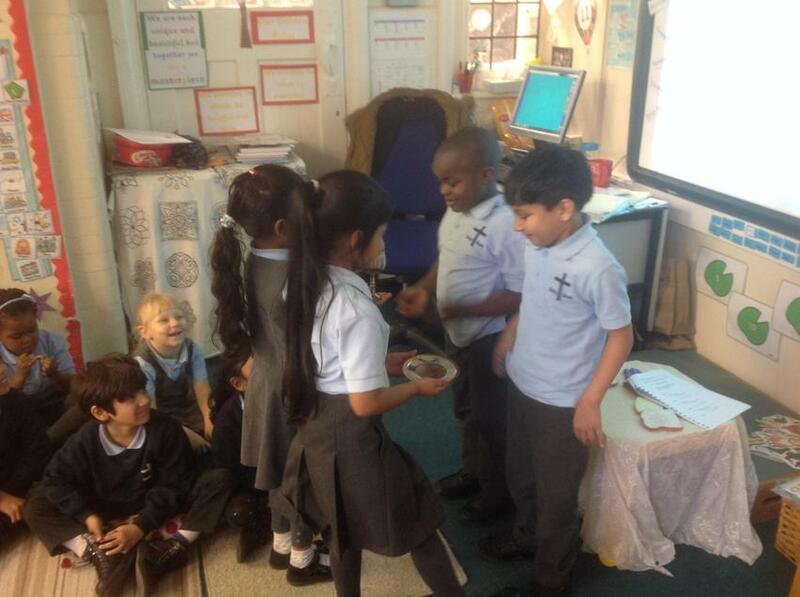 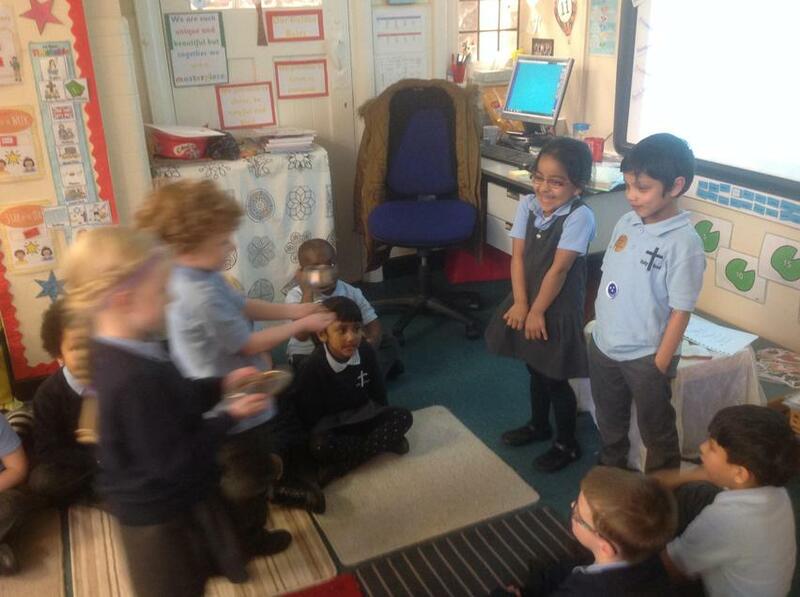 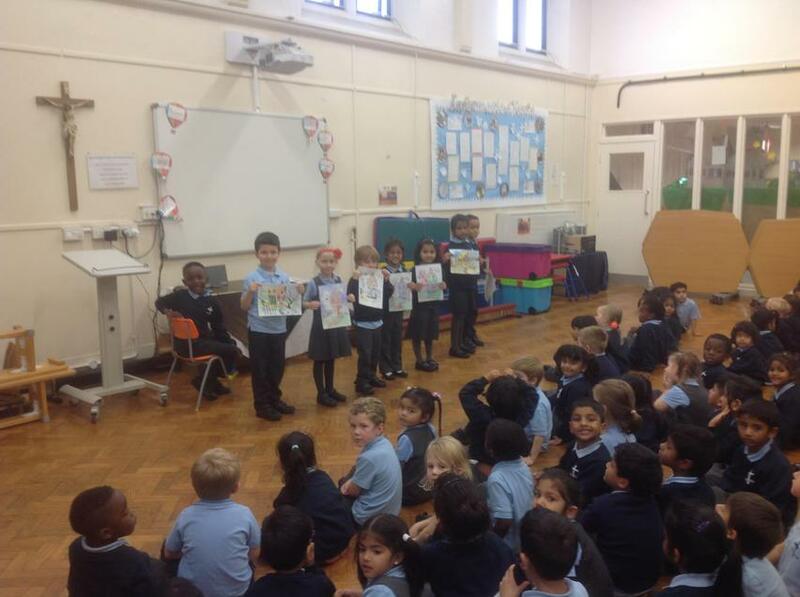 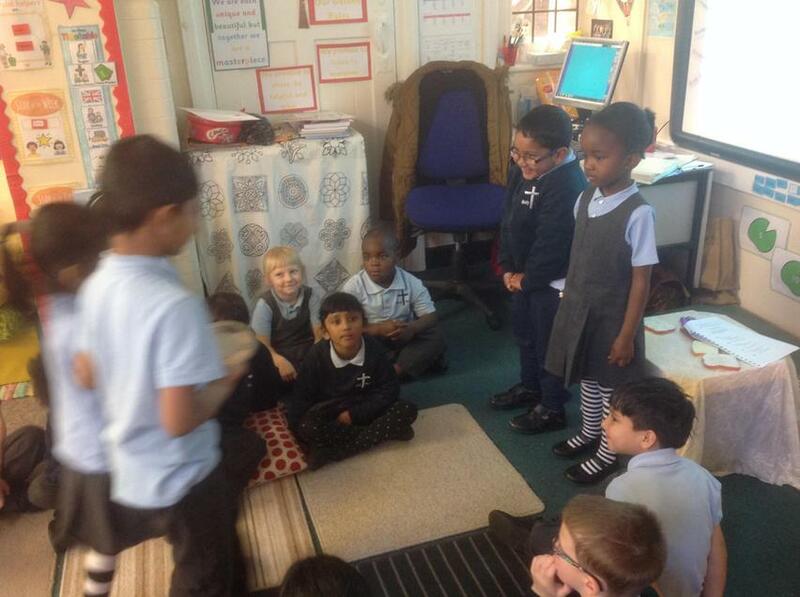 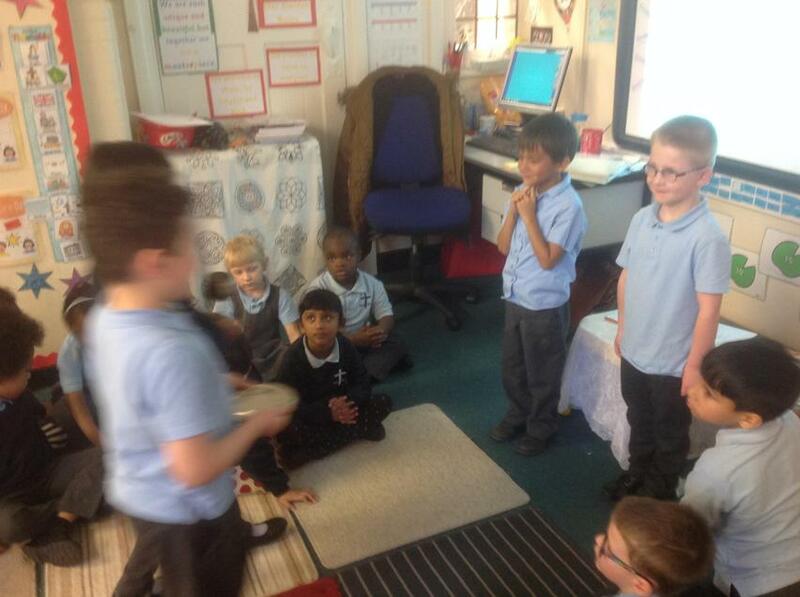 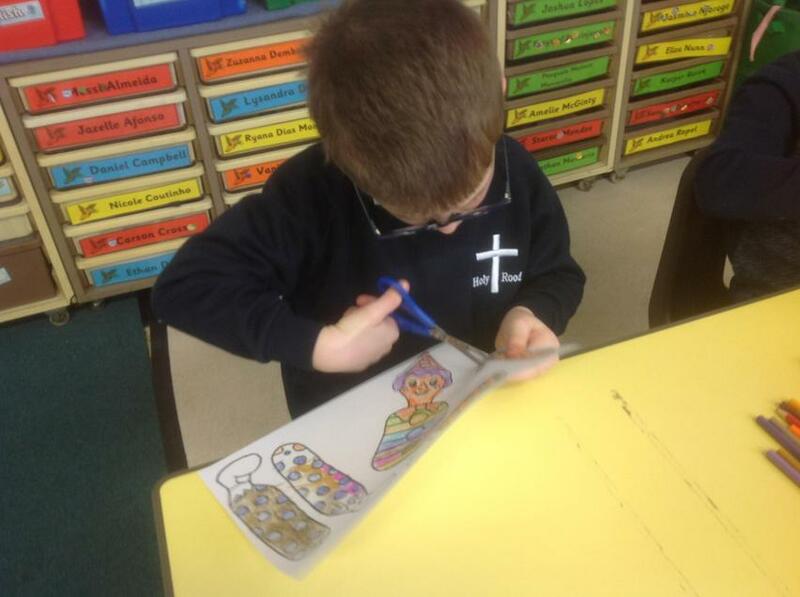 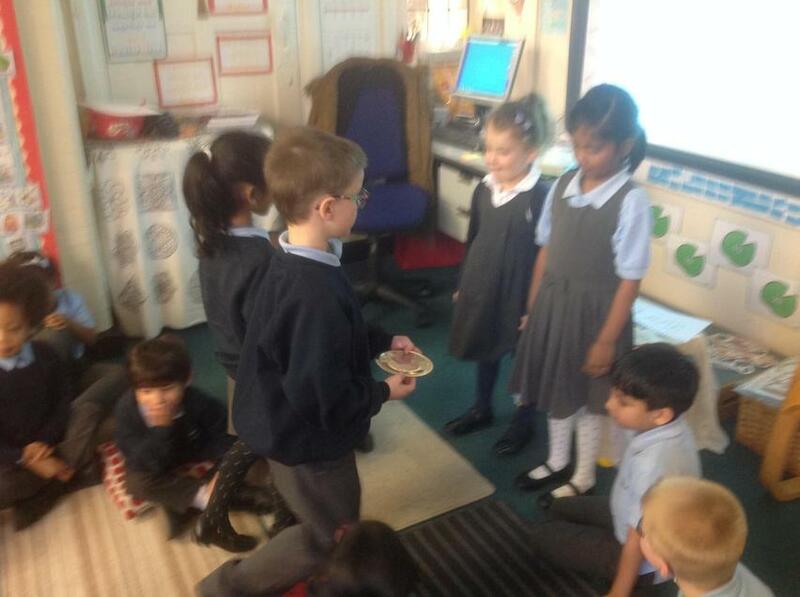 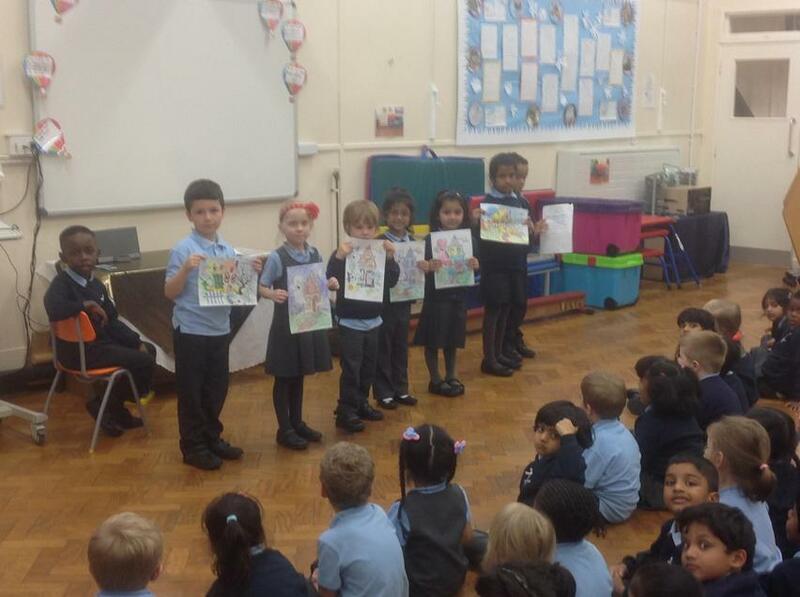 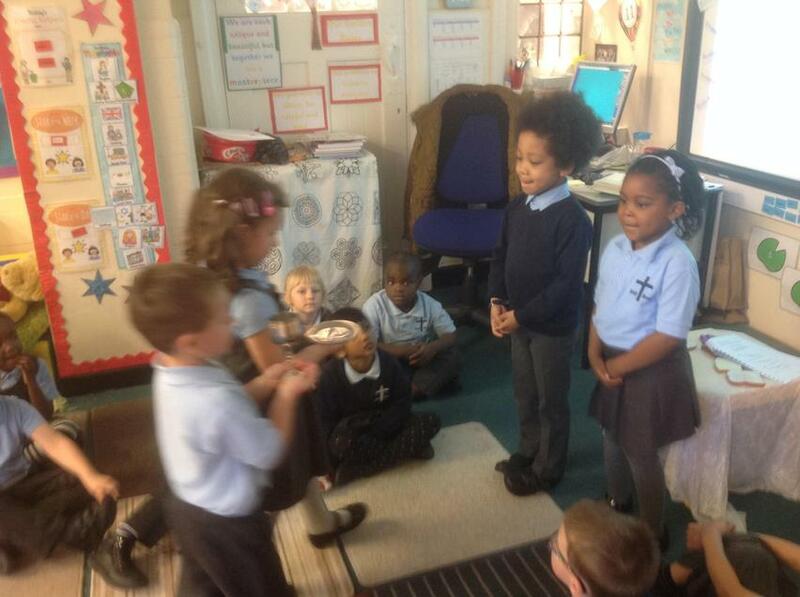 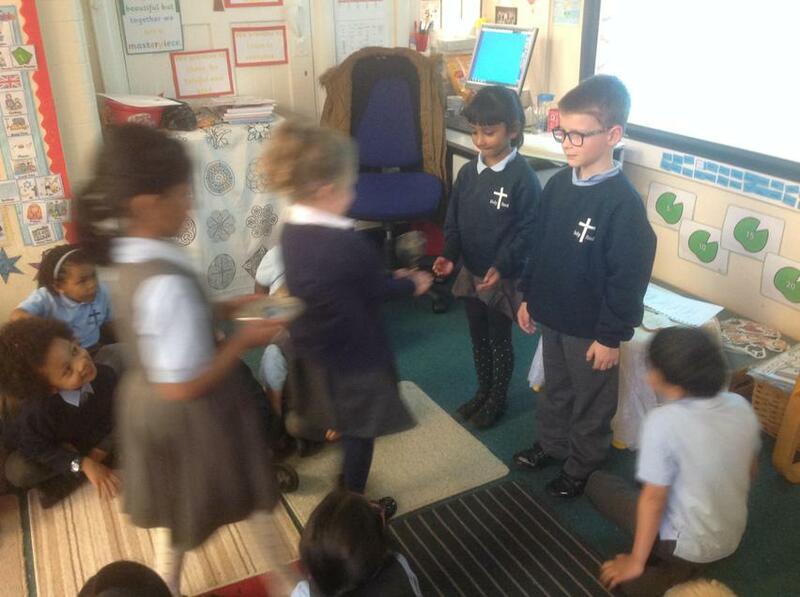 'We have been learning about the gifts that we offer in the offertory procession during mass'. 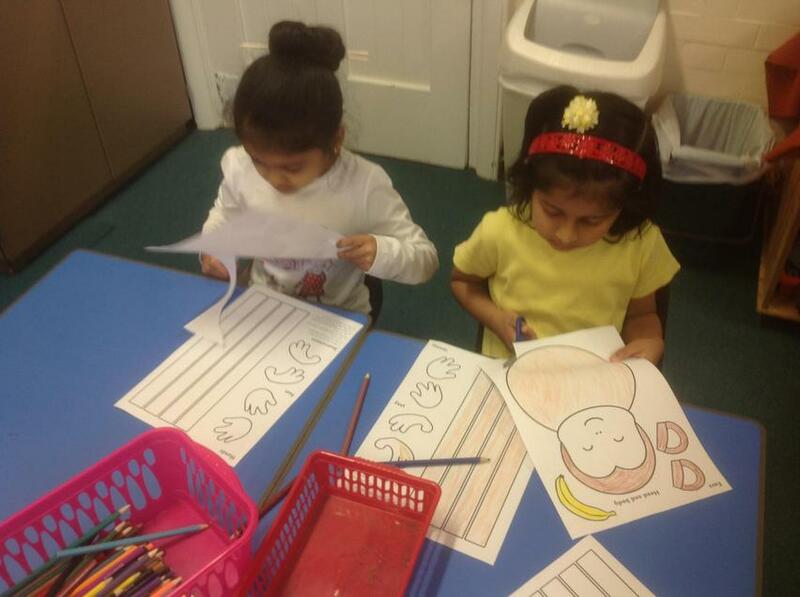 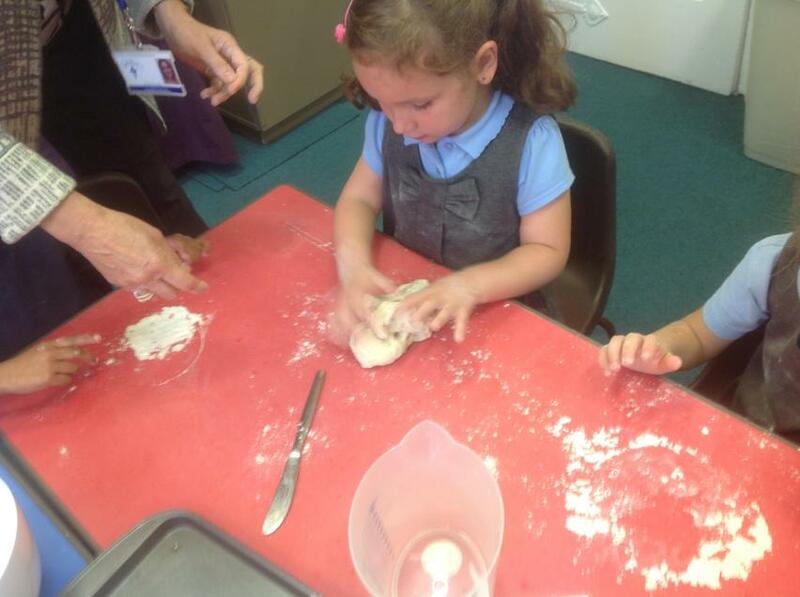 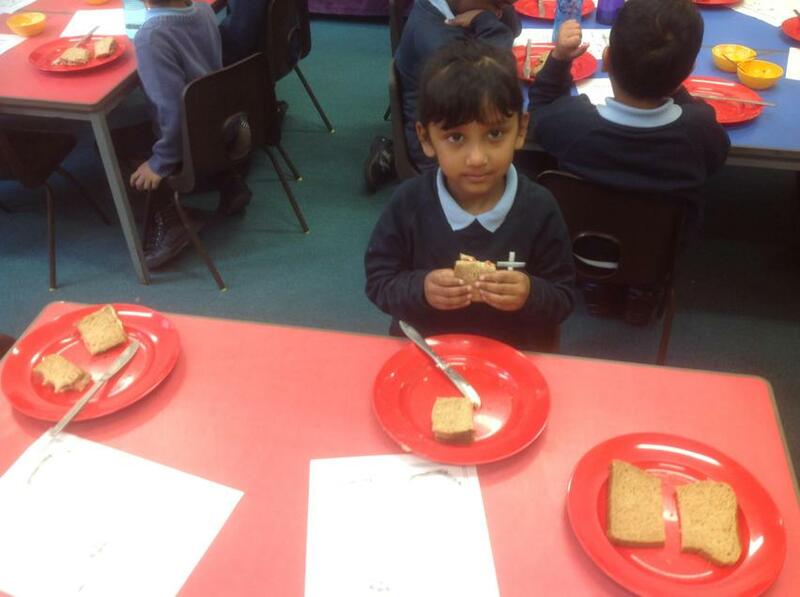 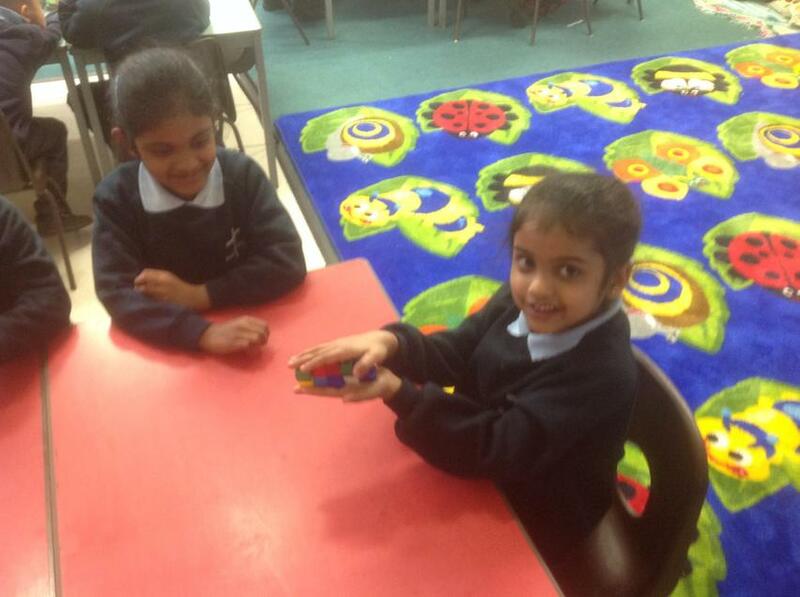 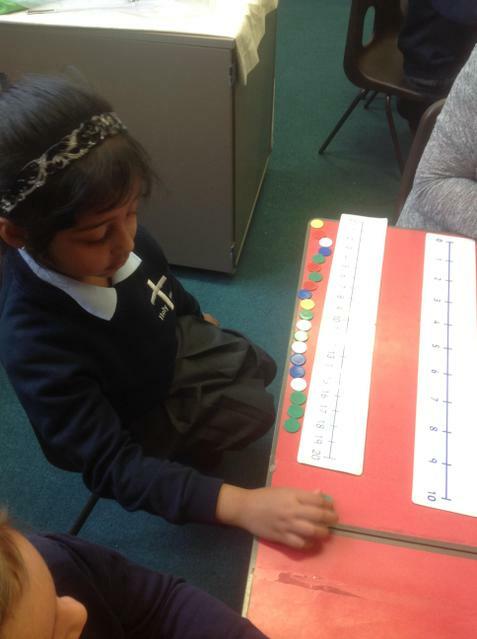 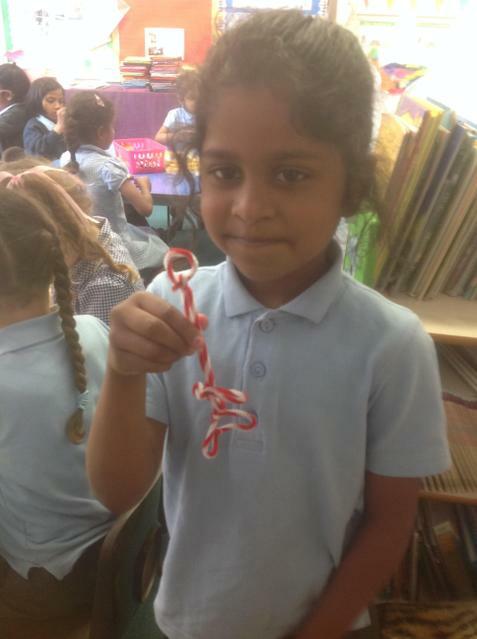 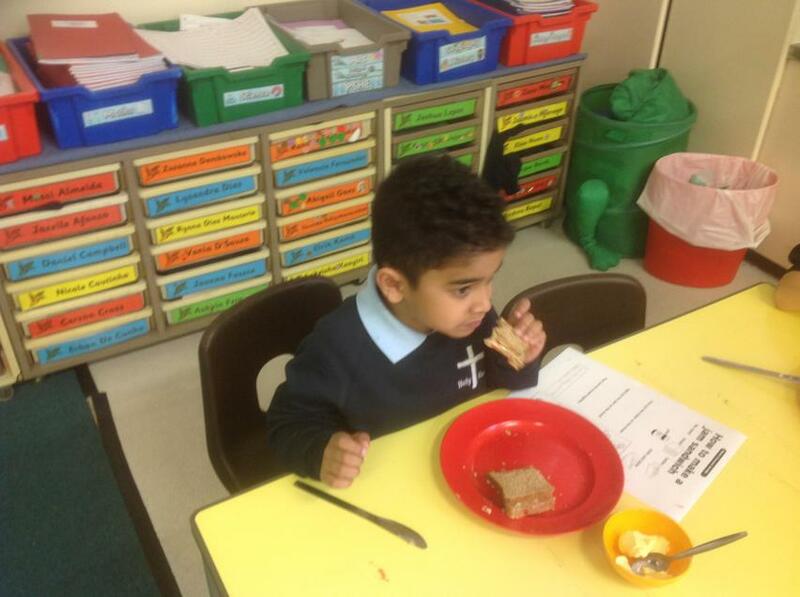 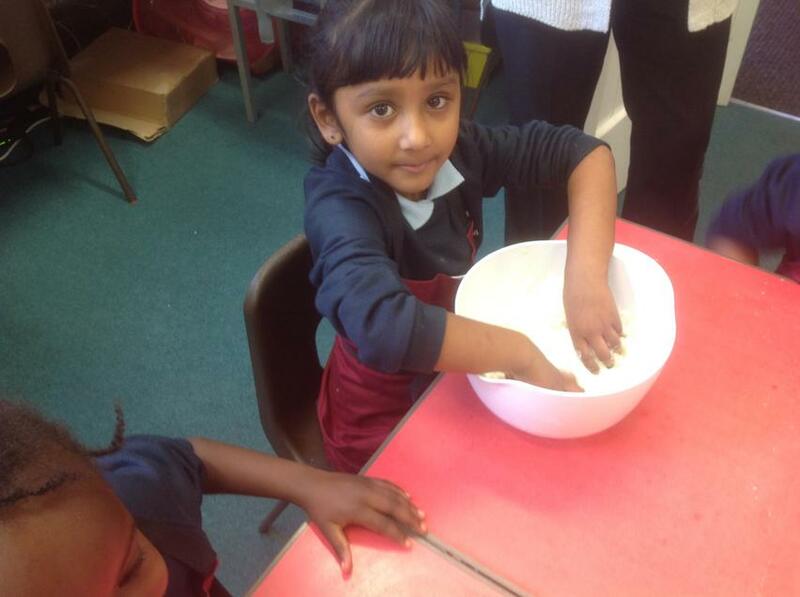 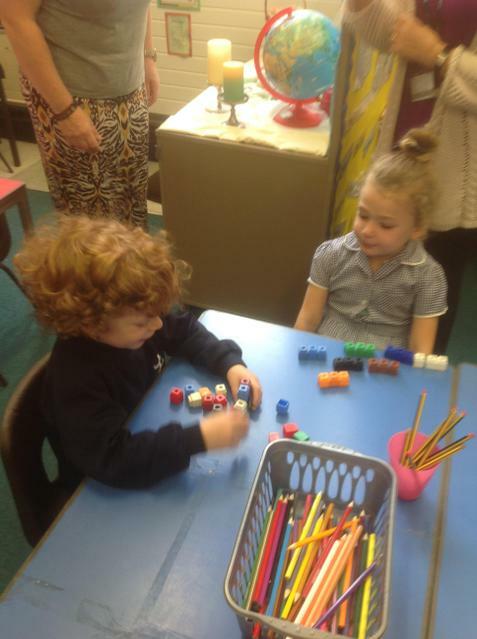 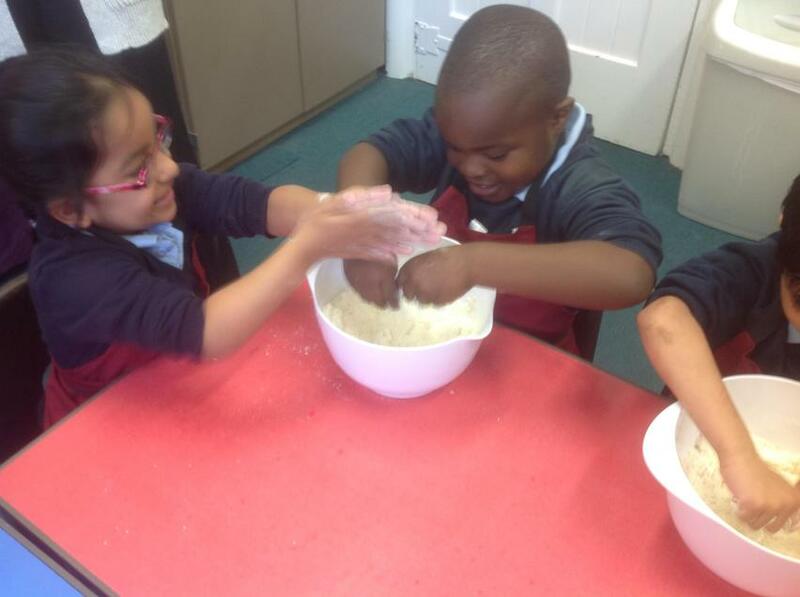 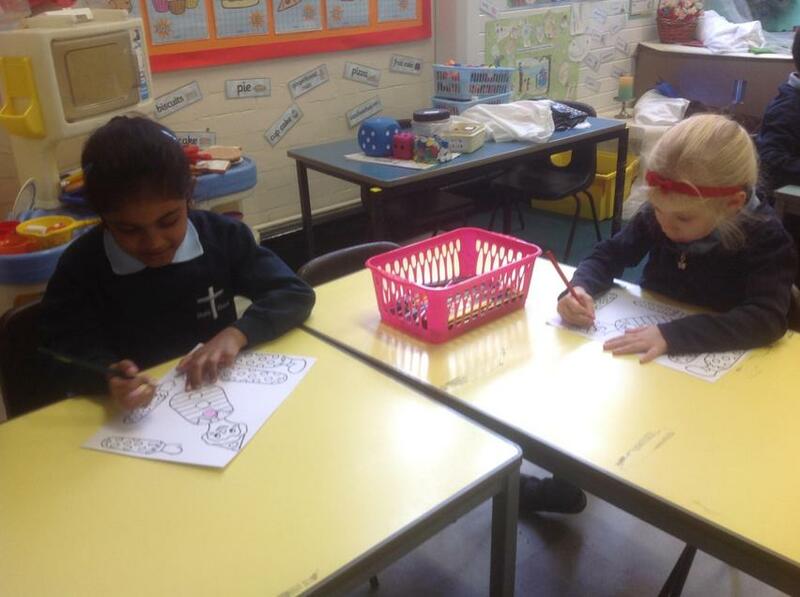 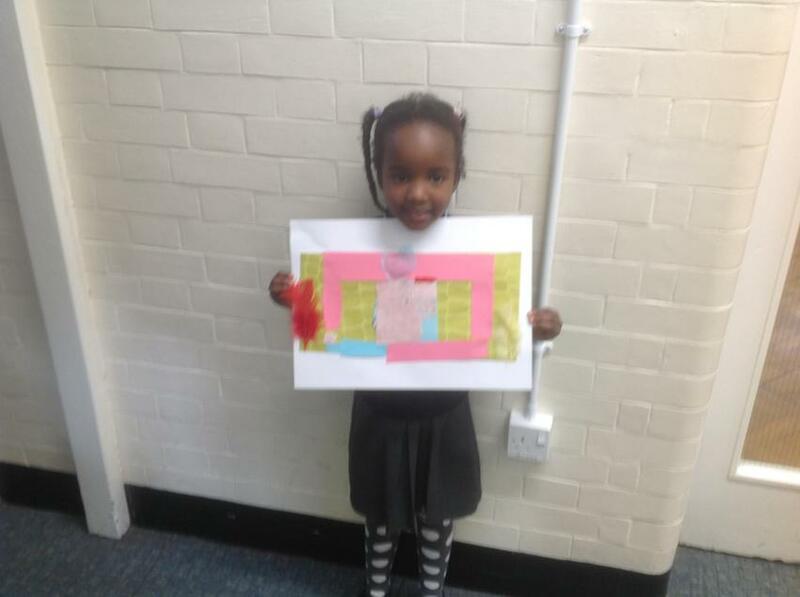 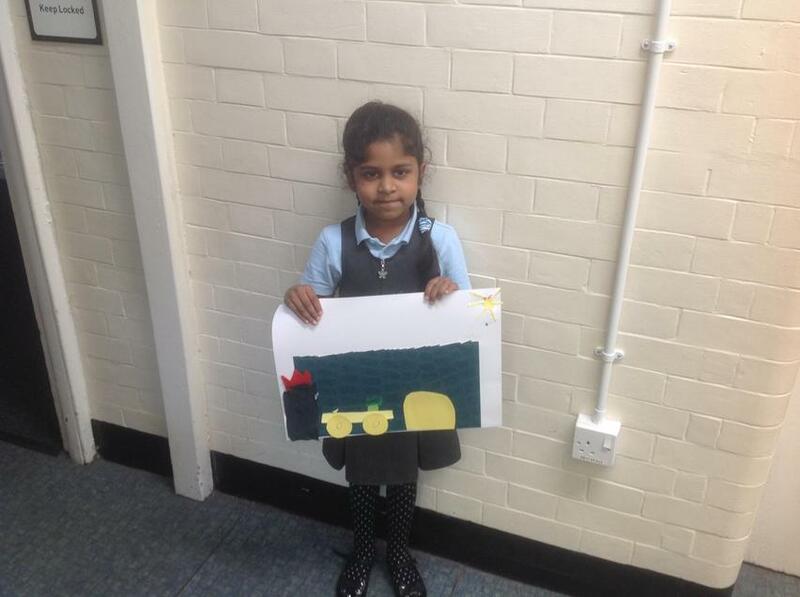 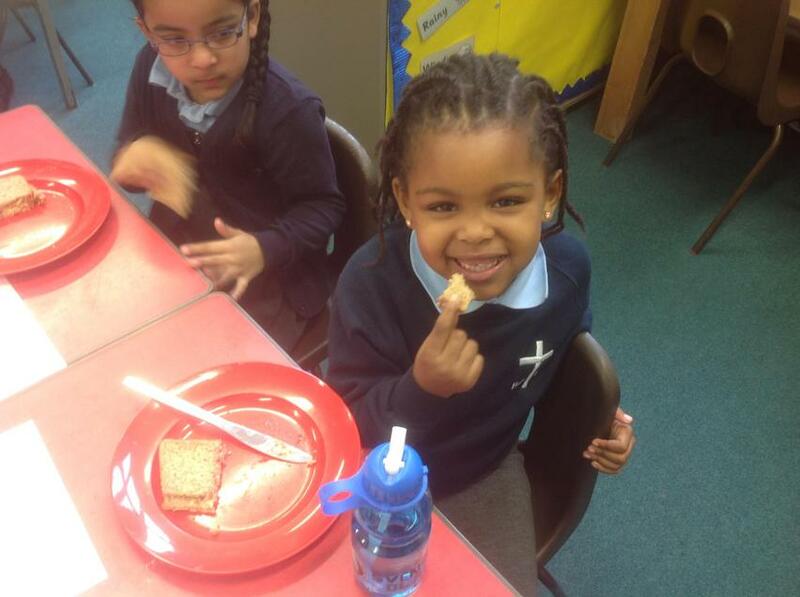 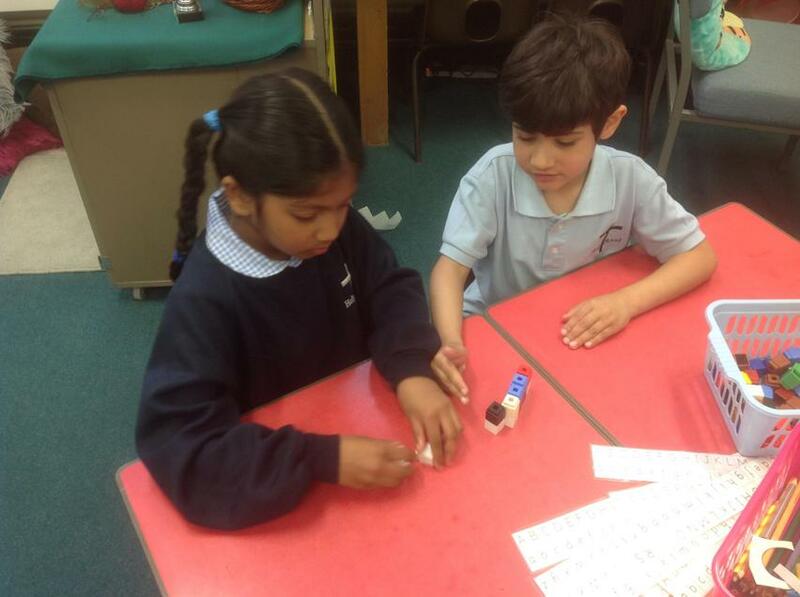 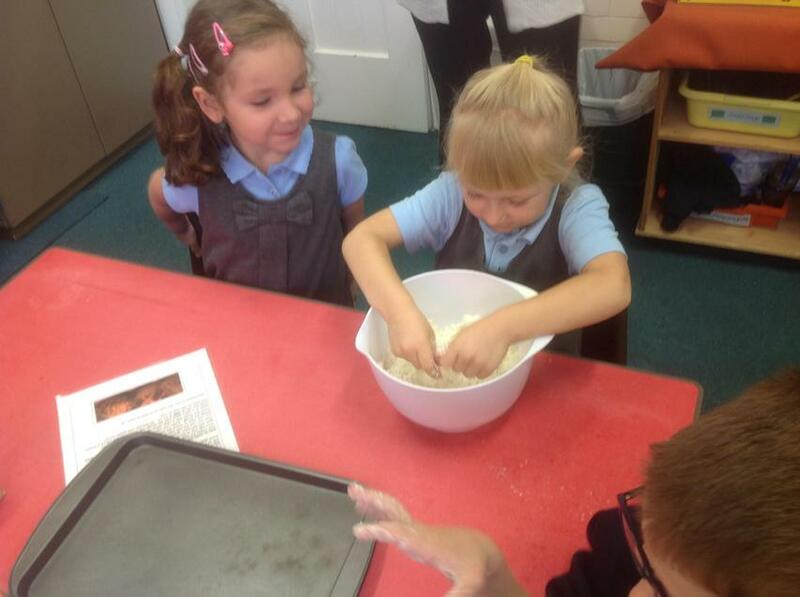 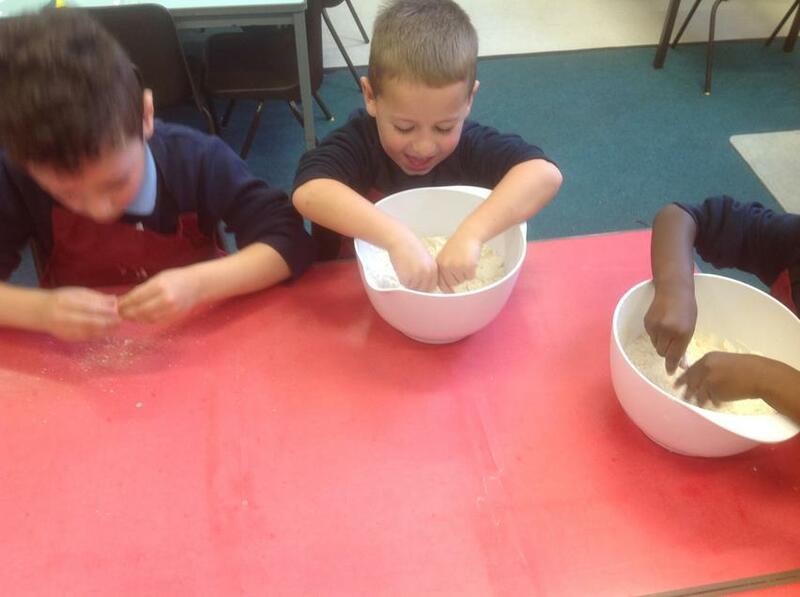 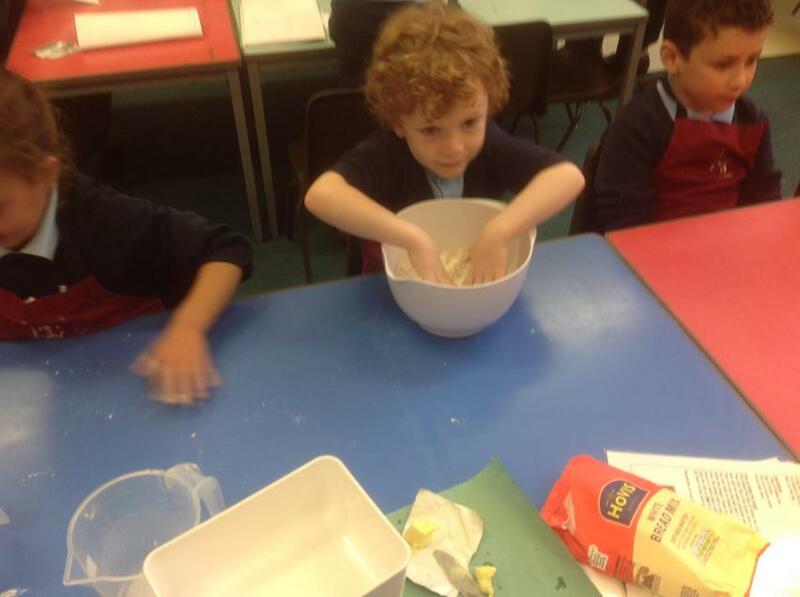 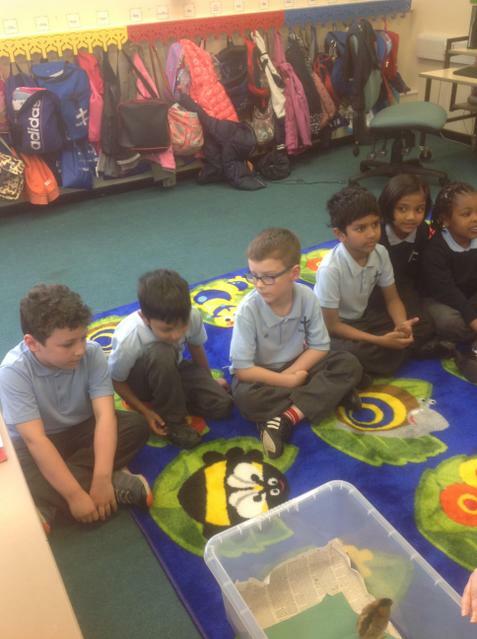 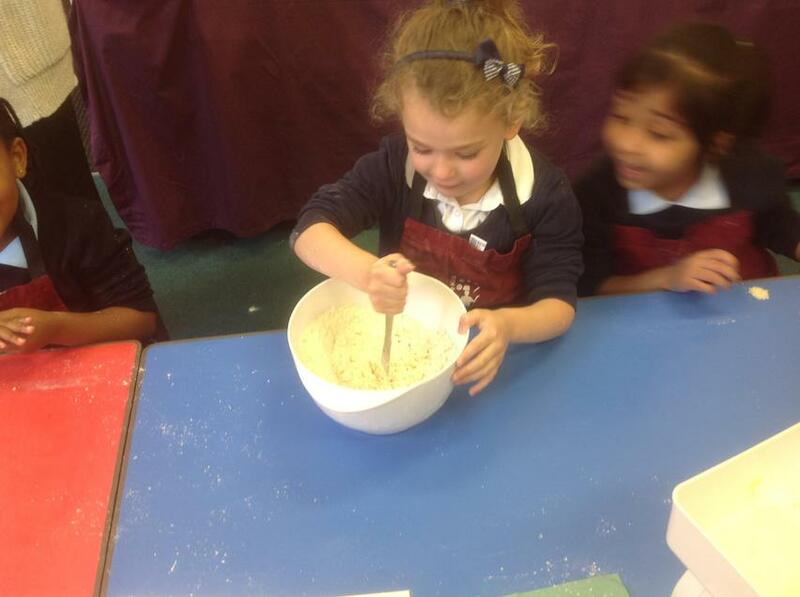 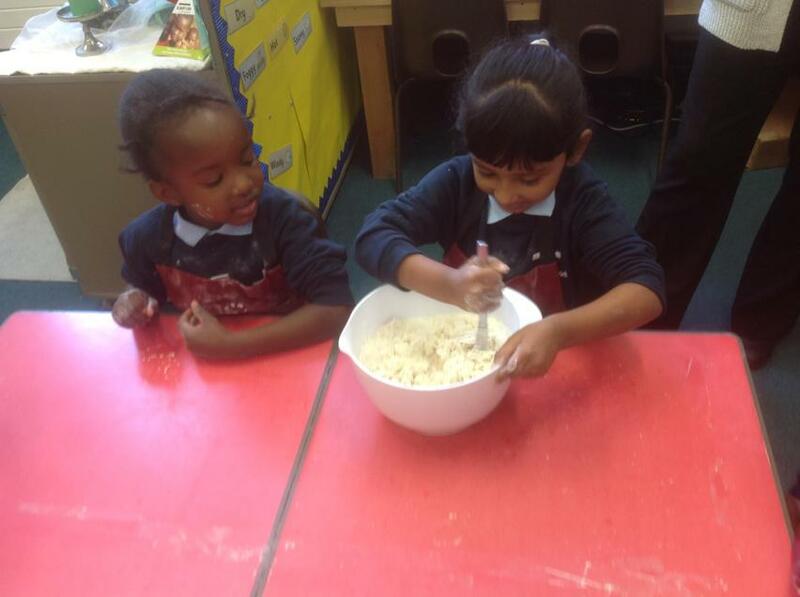 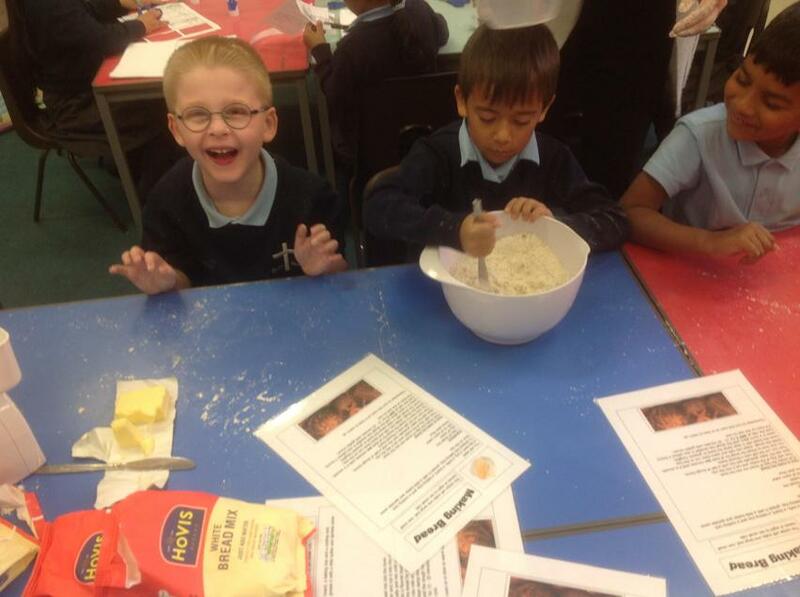 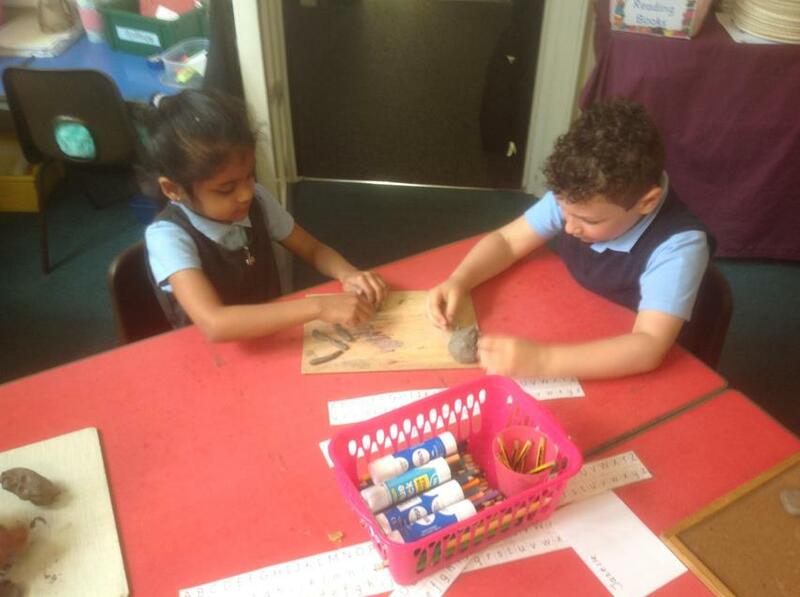 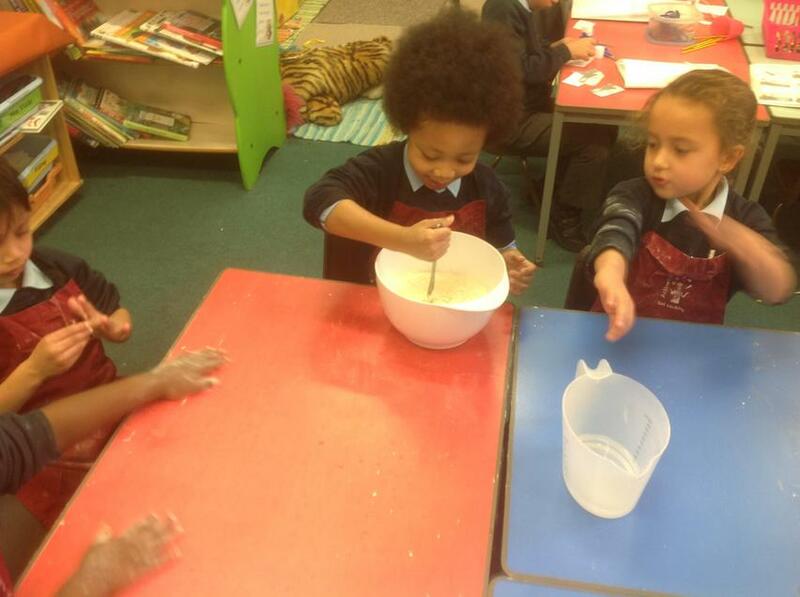 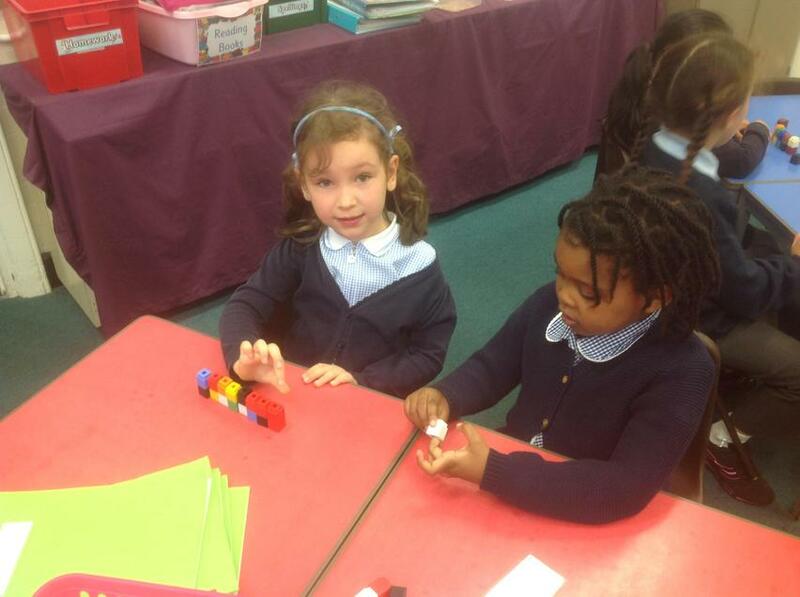 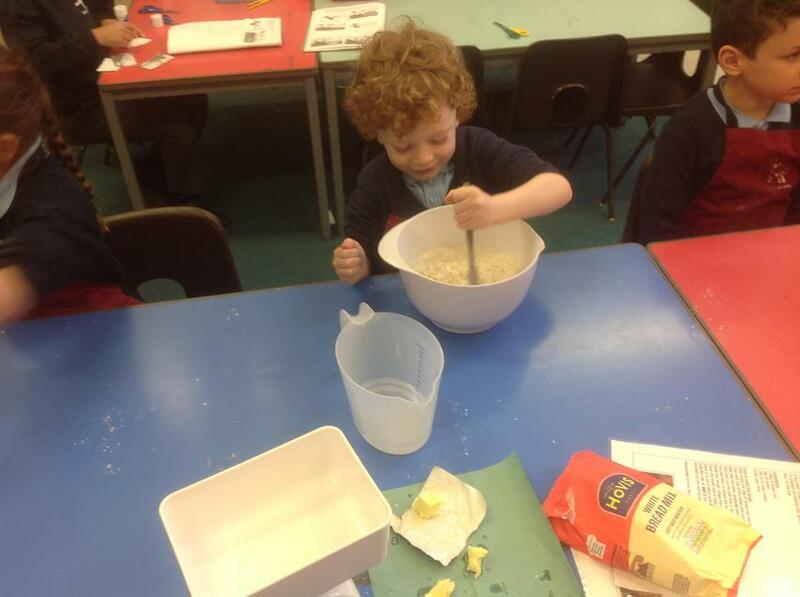 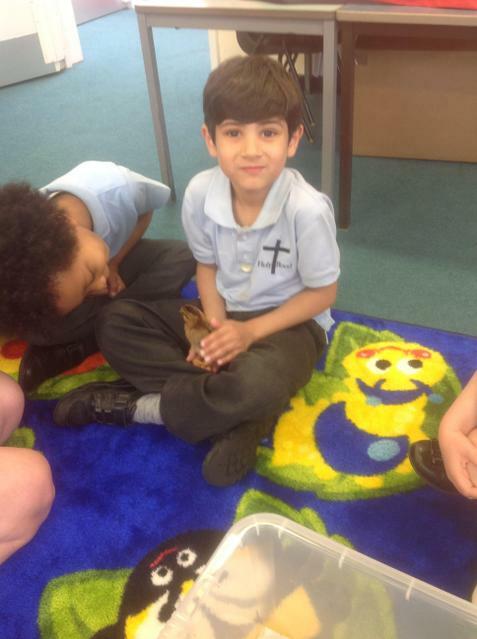 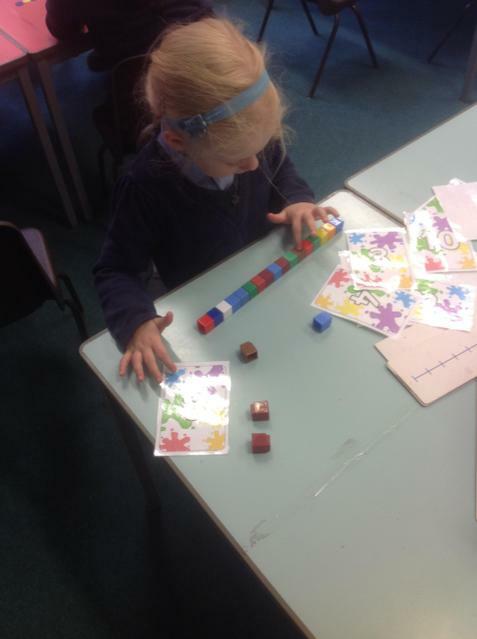 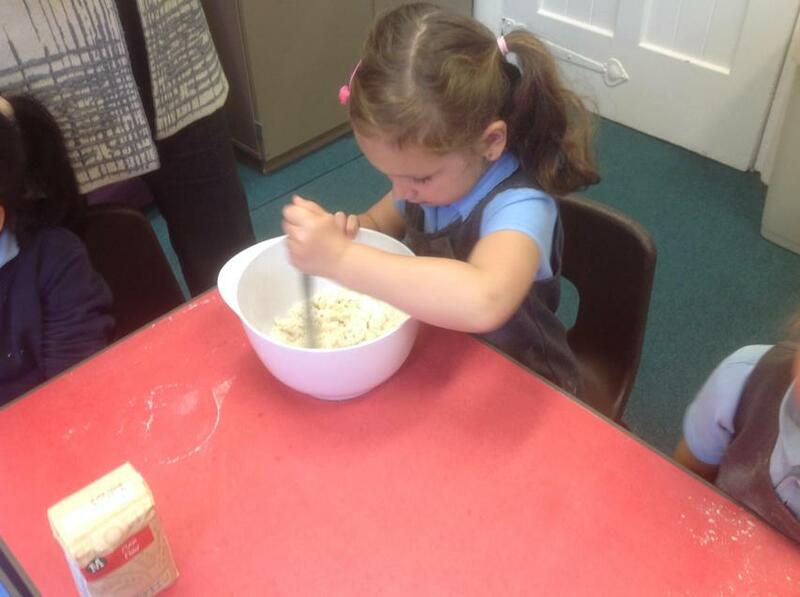 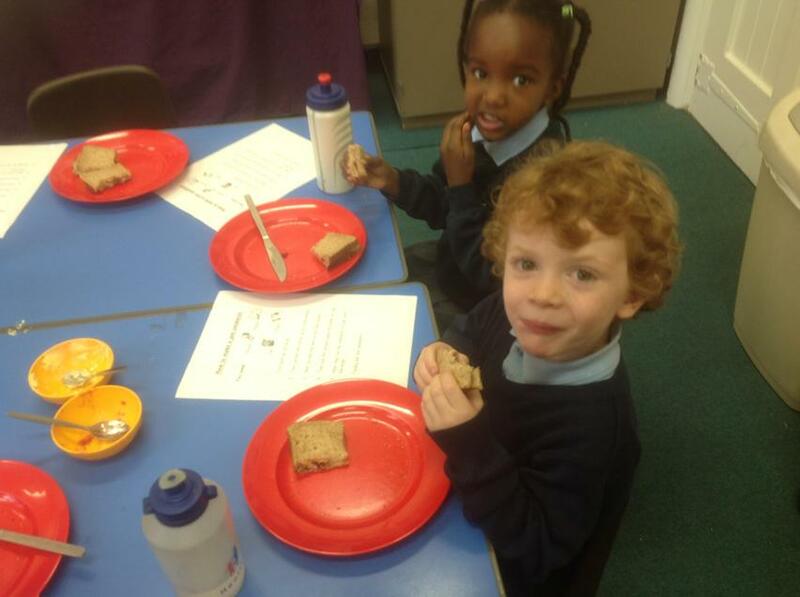 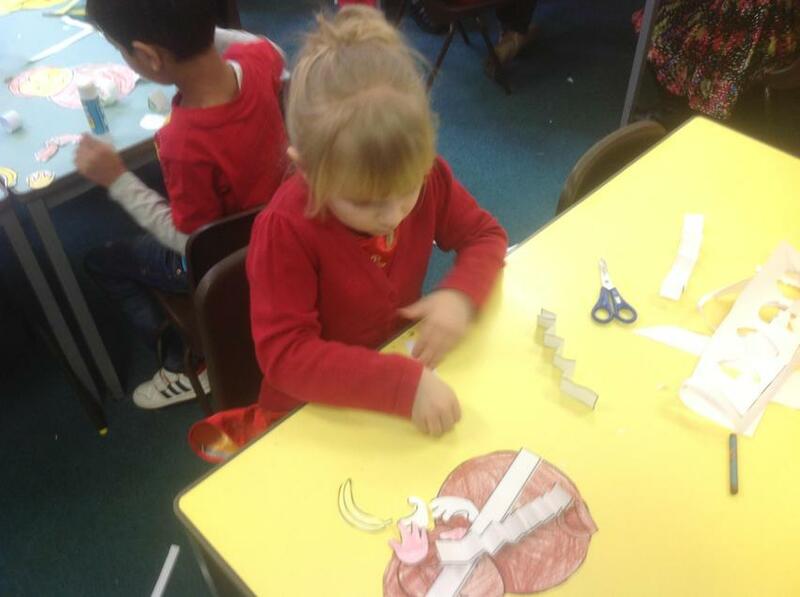 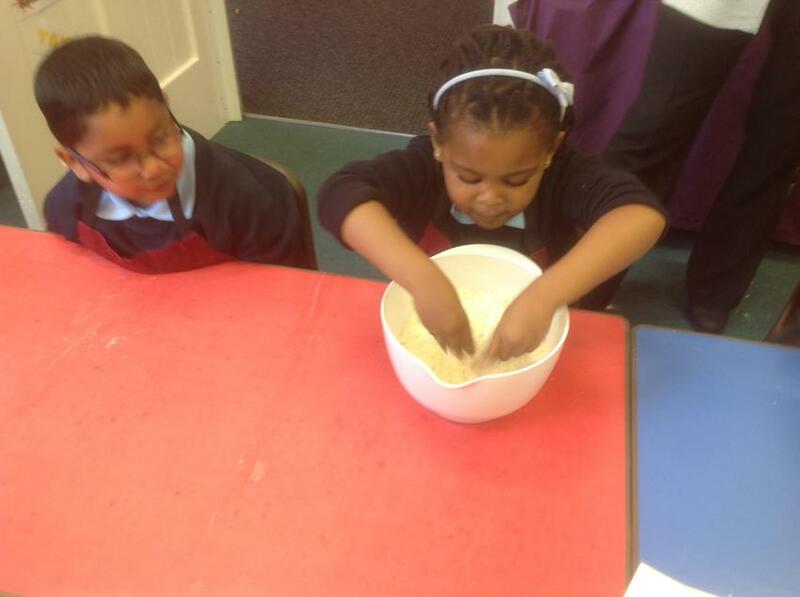 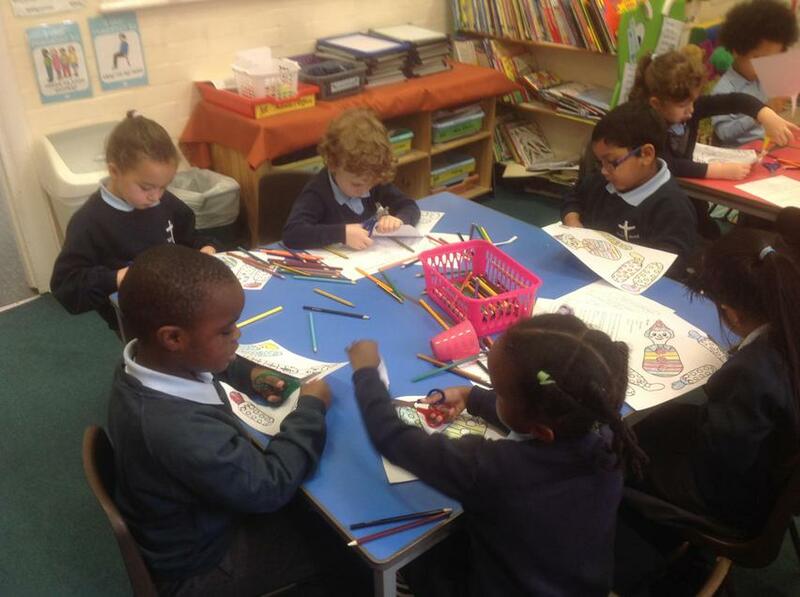 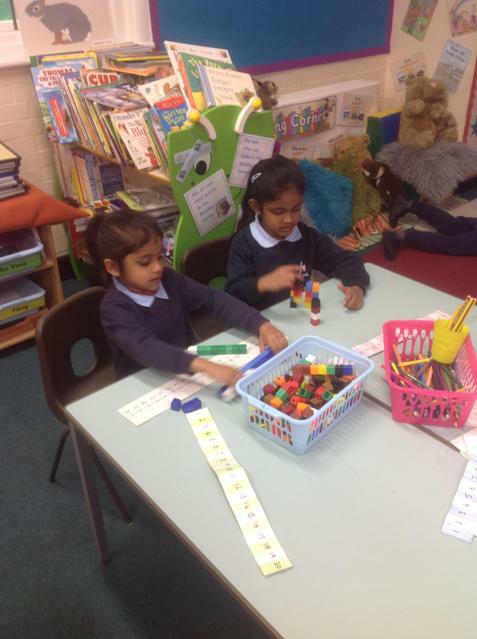 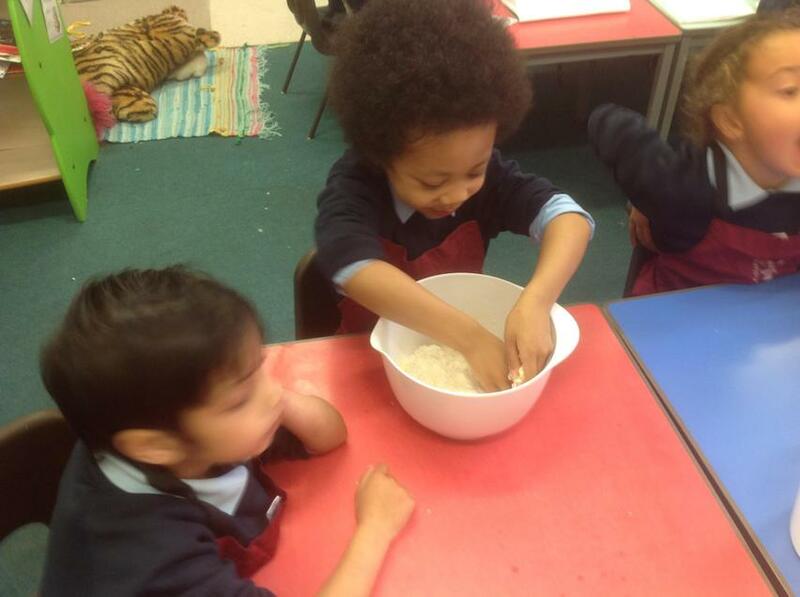 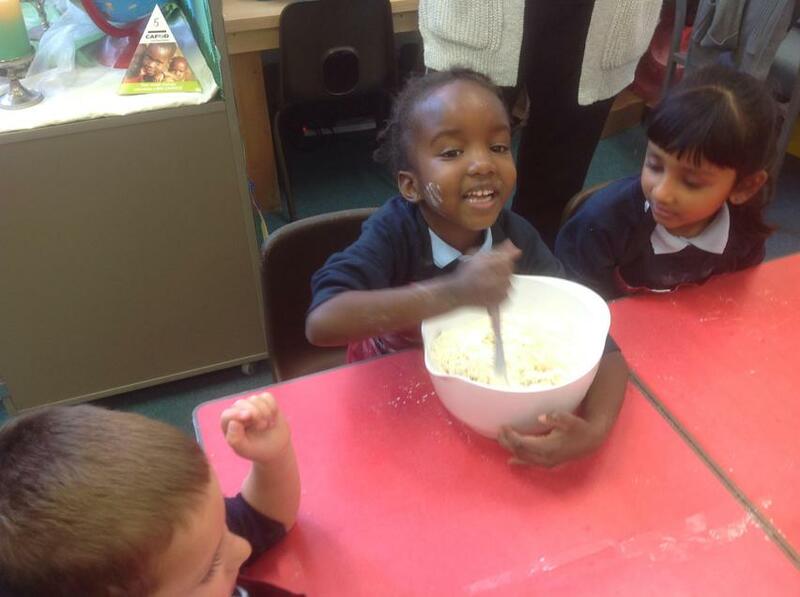 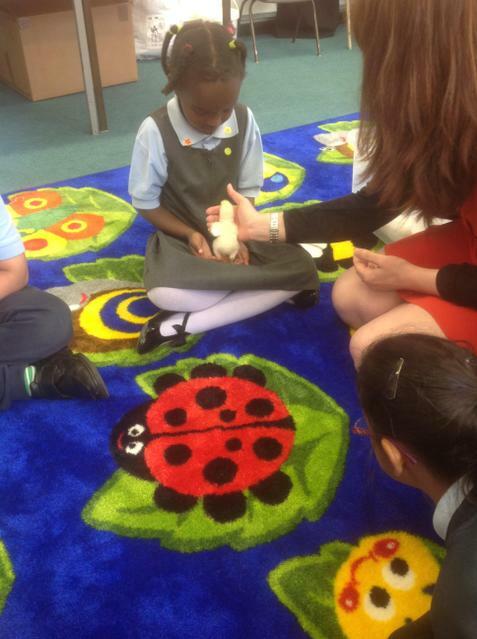 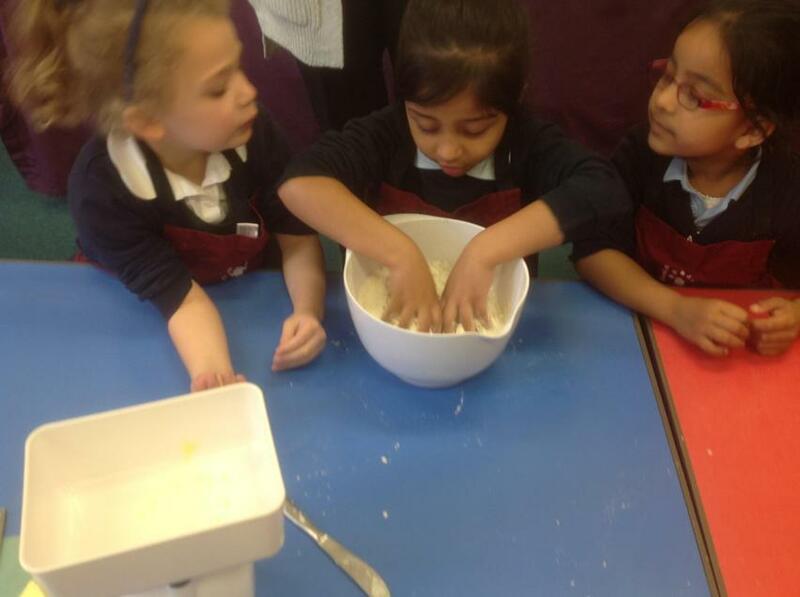 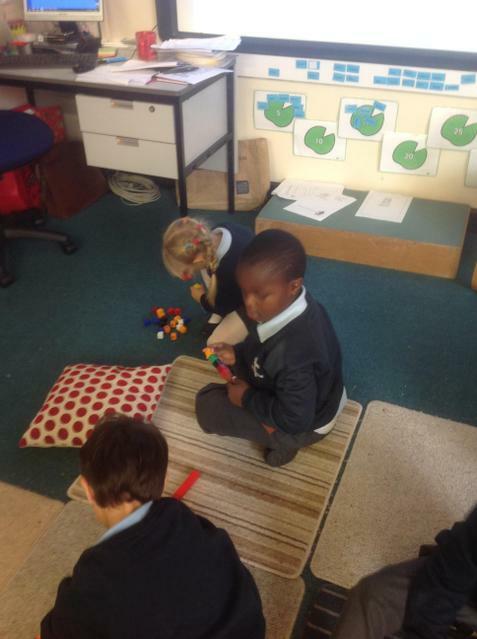 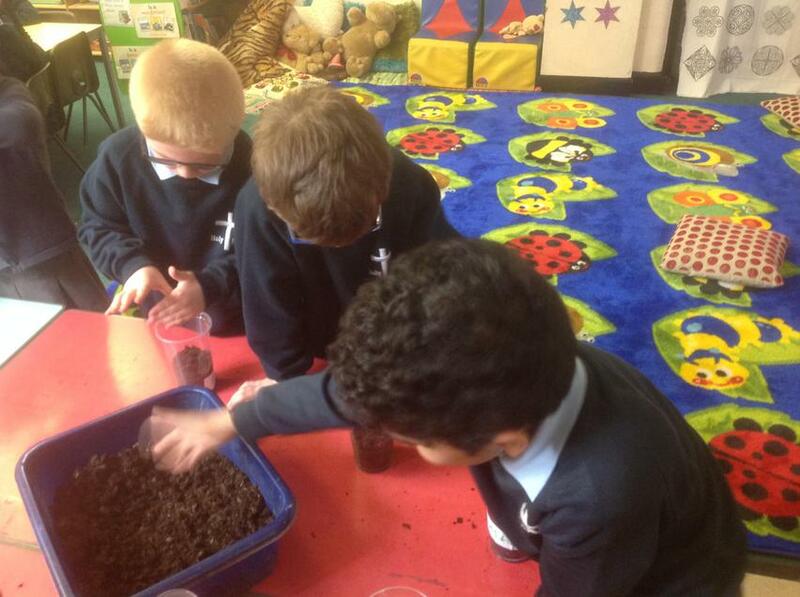 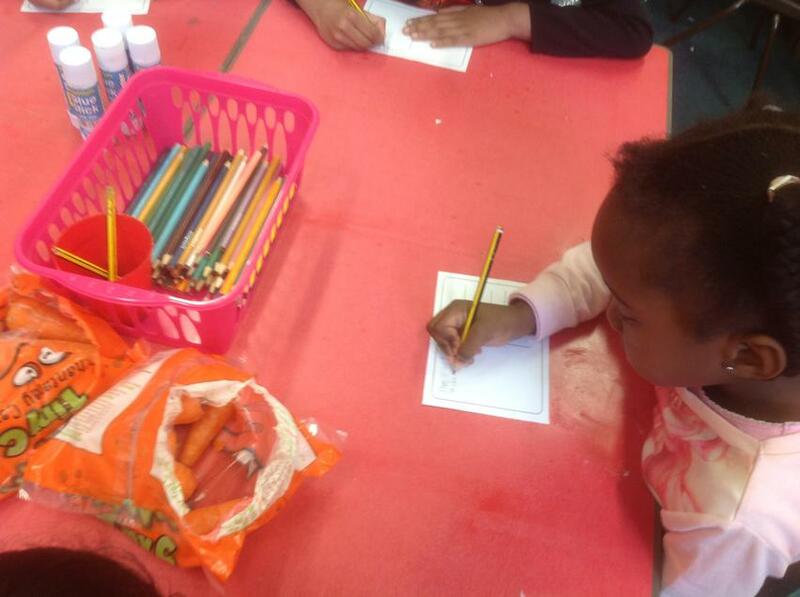 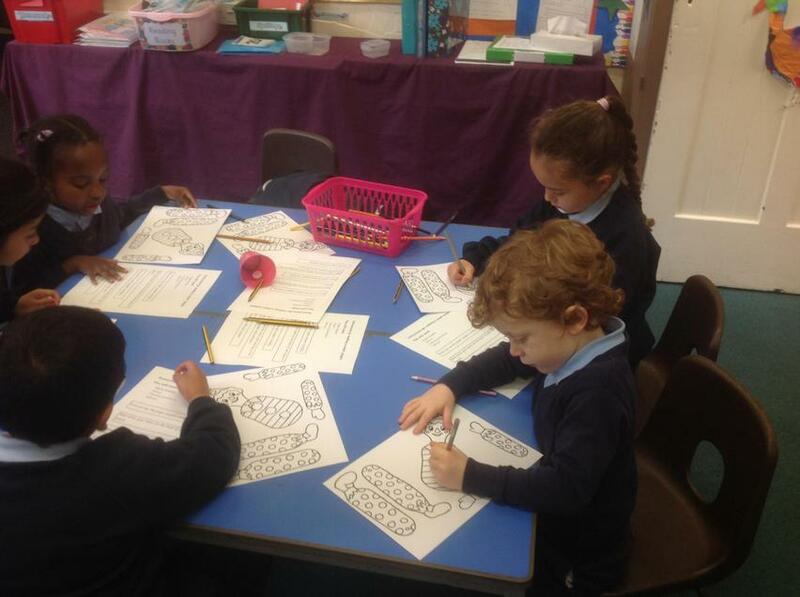 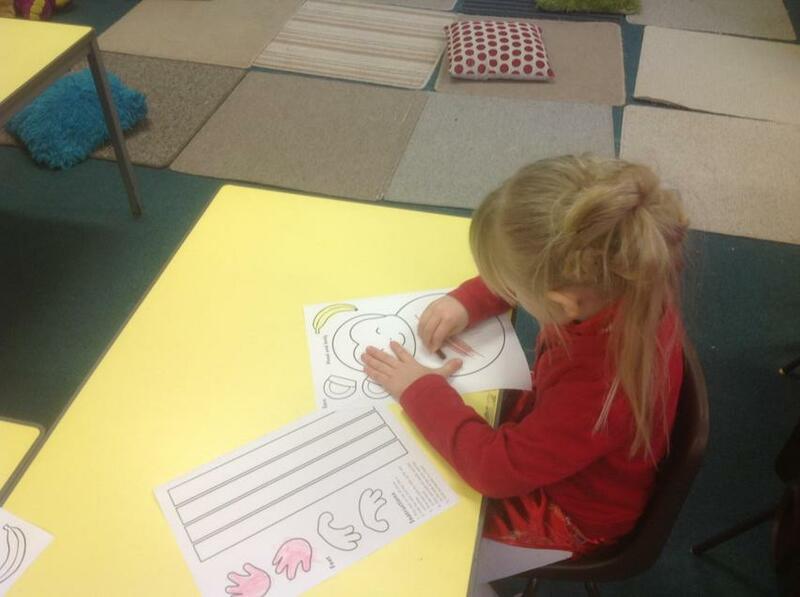 'We have been looking at the story of 'The Little Red Hen' and how she made her bread. 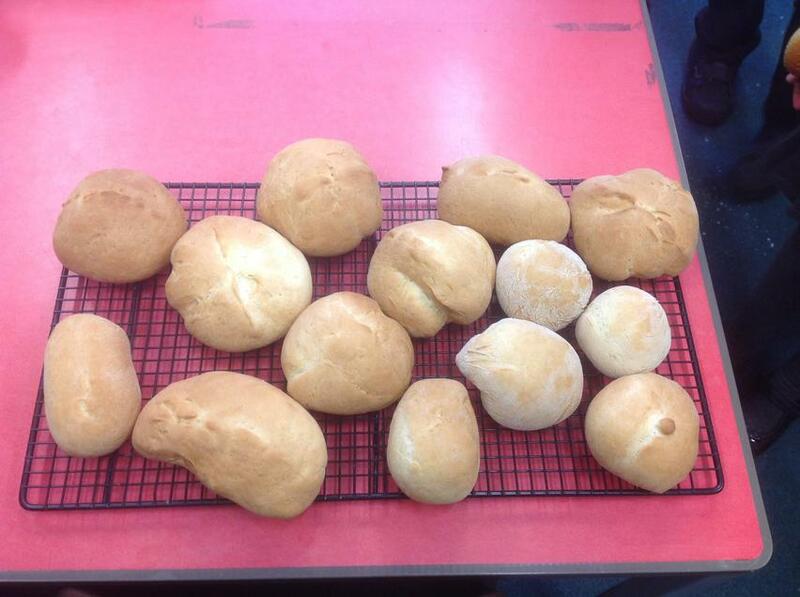 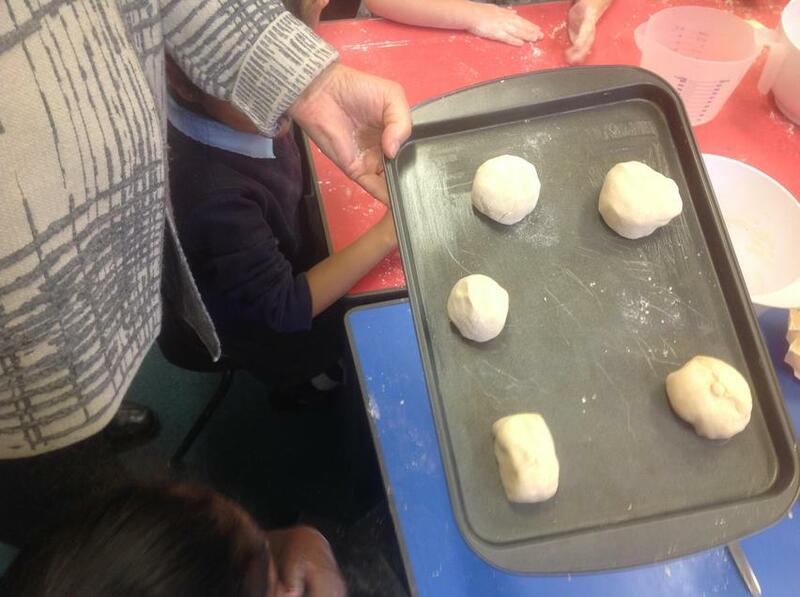 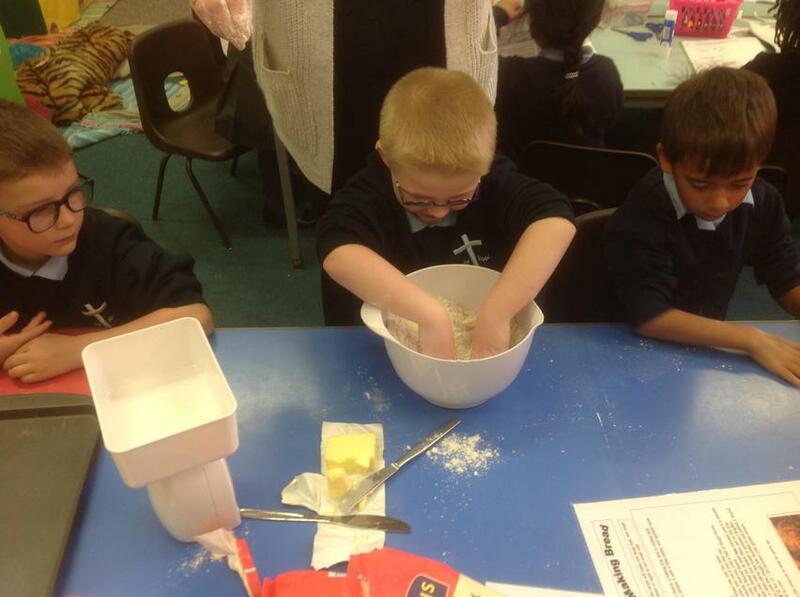 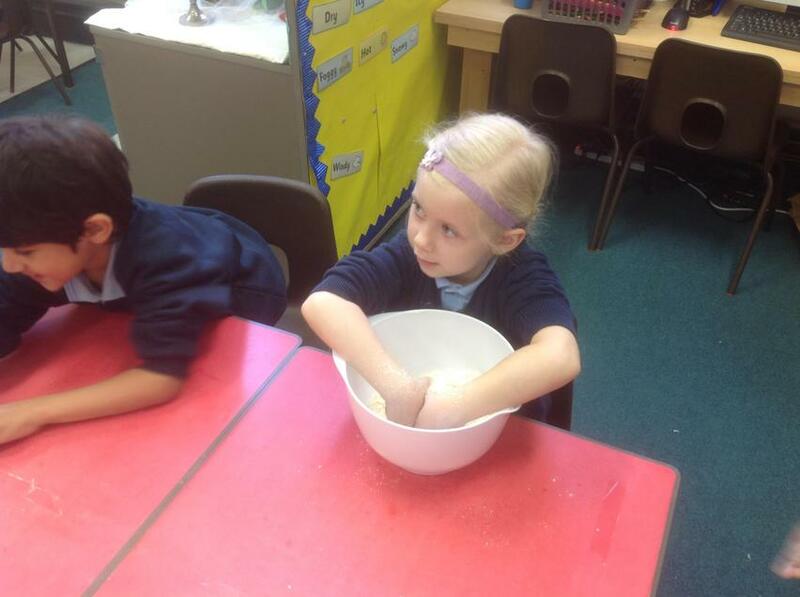 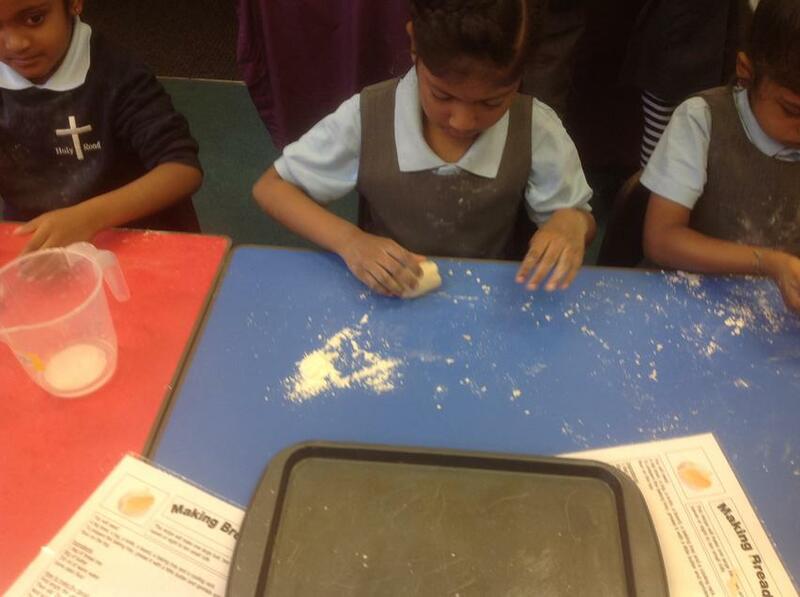 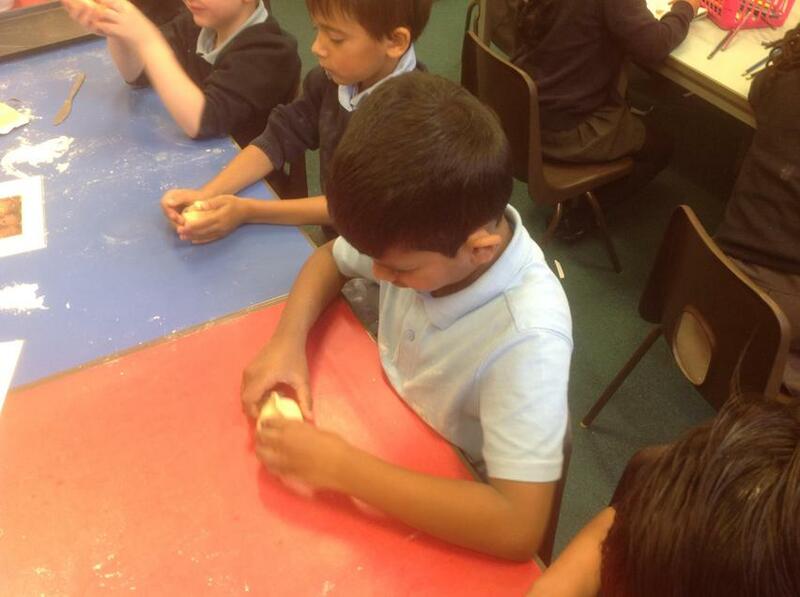 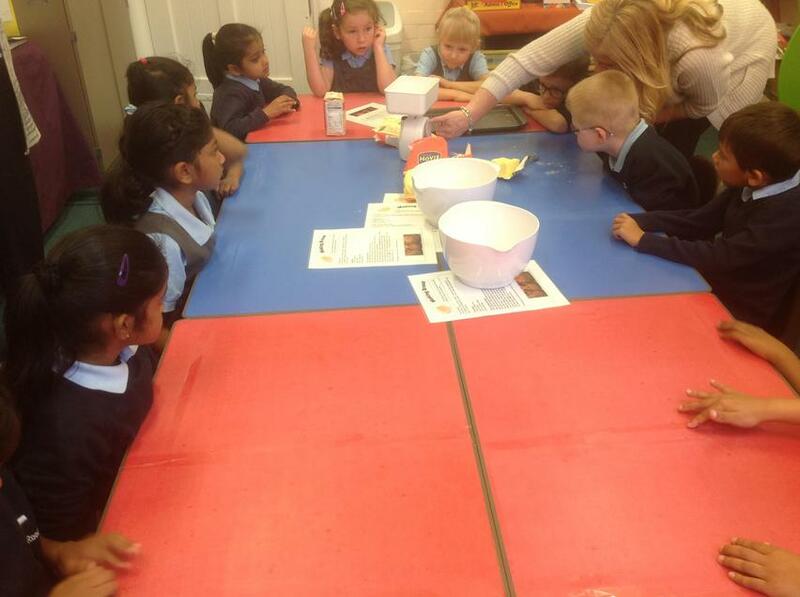 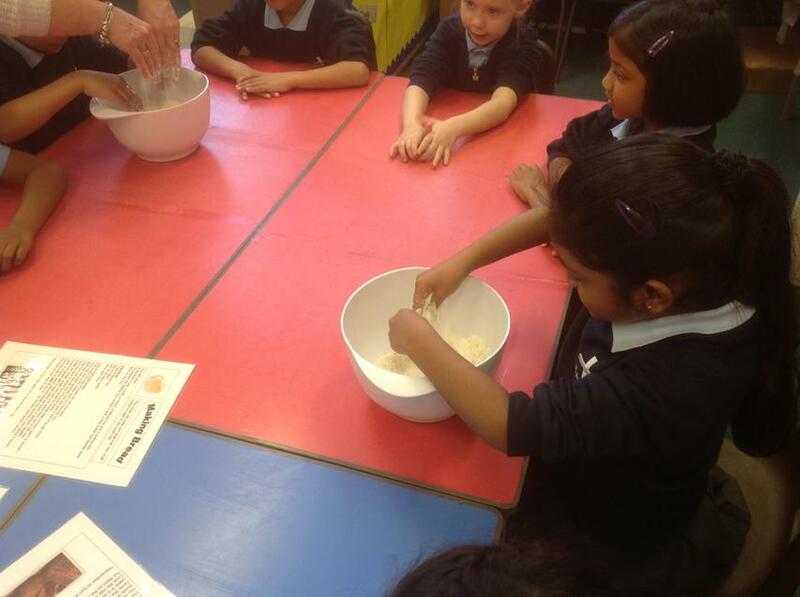 We followed instructions about how to make bread and learned that yeast helps the bread to rise'. 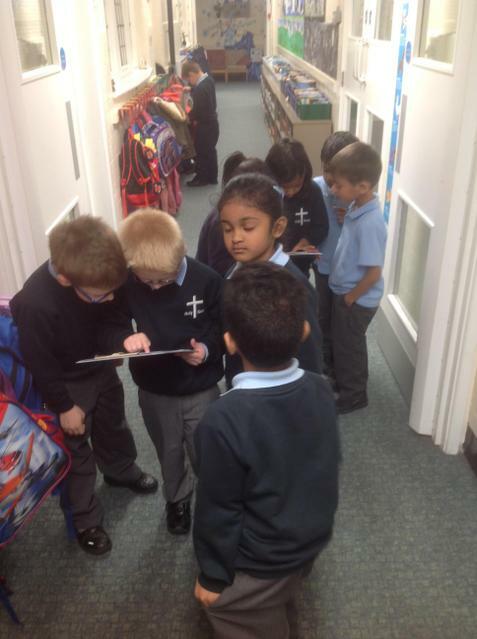 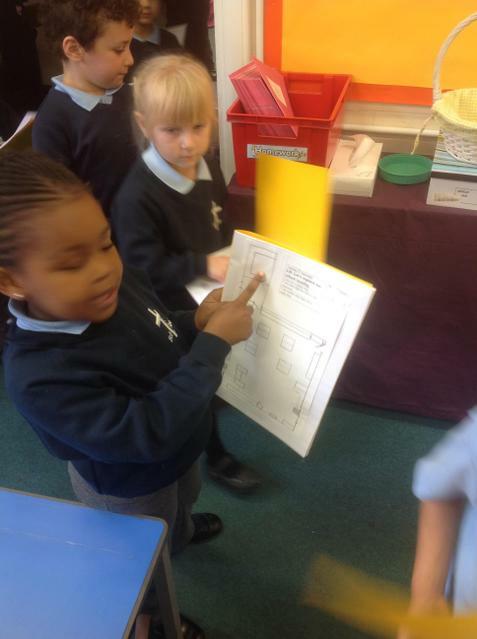 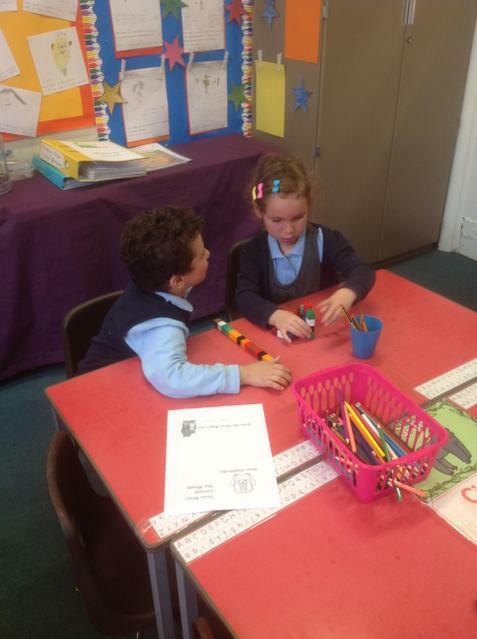 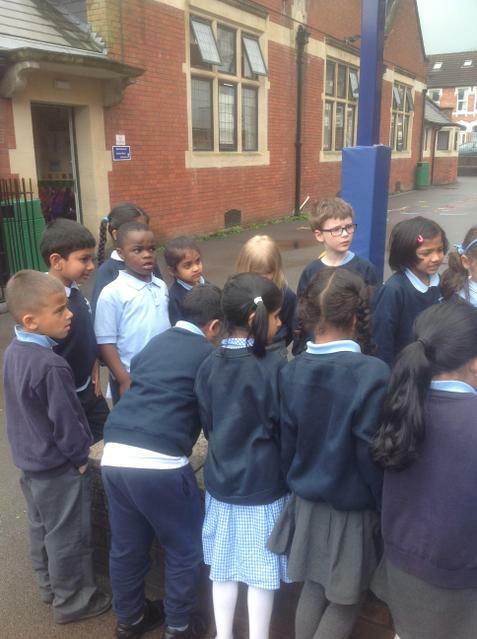 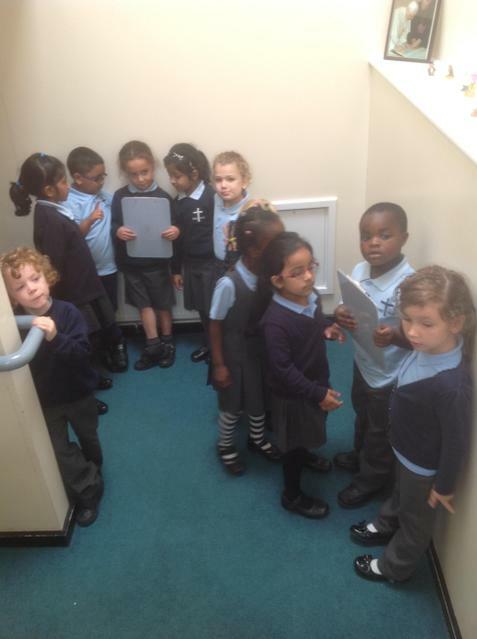 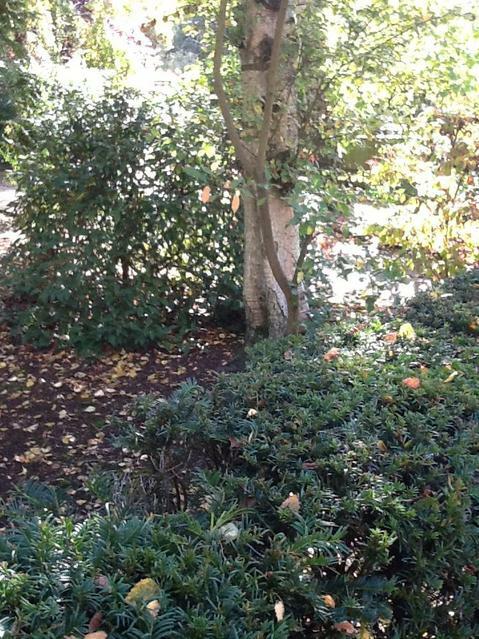 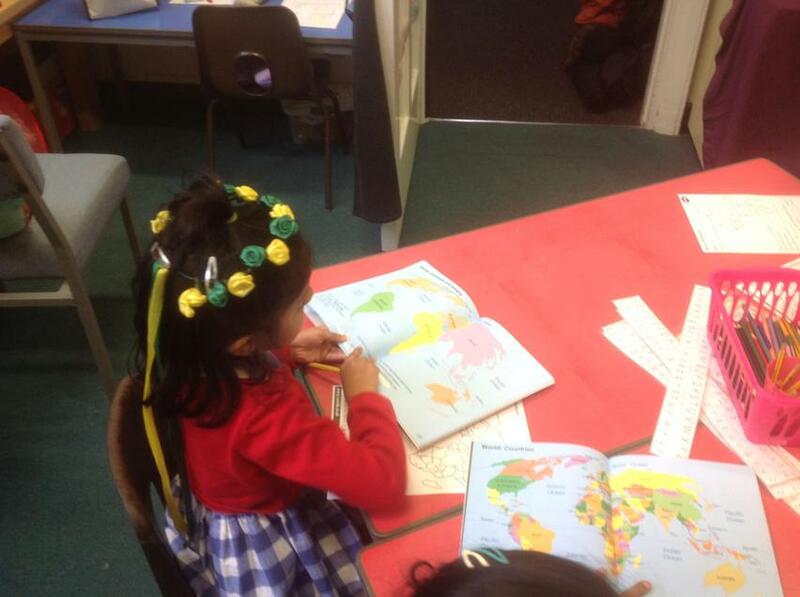 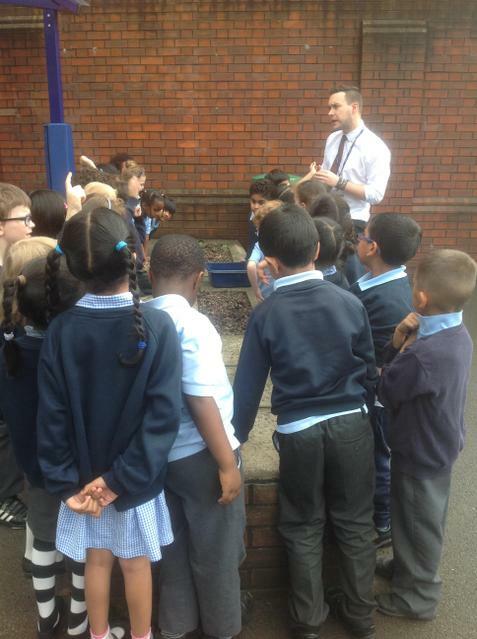 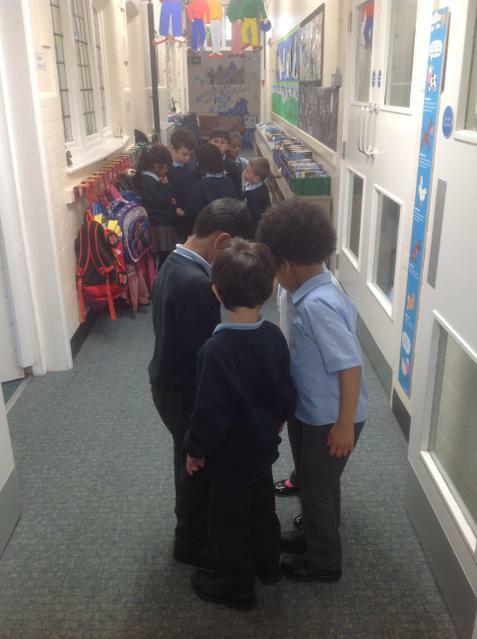 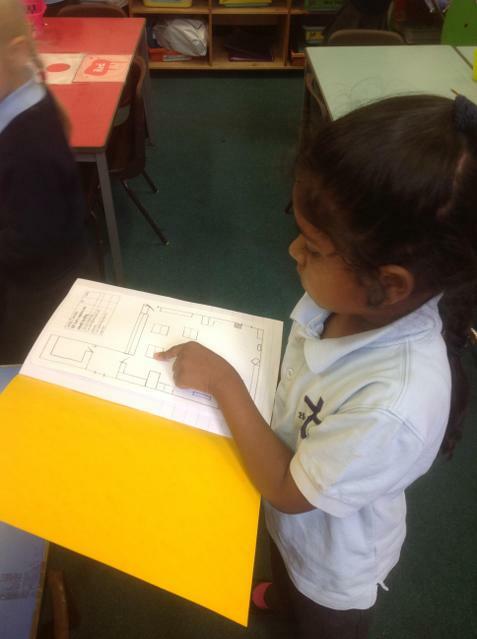 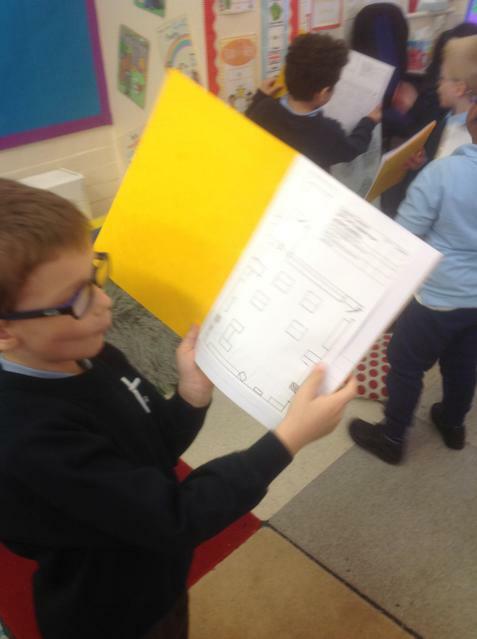 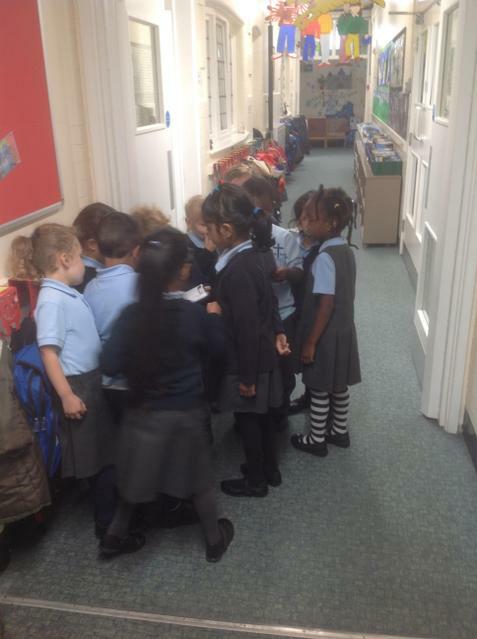 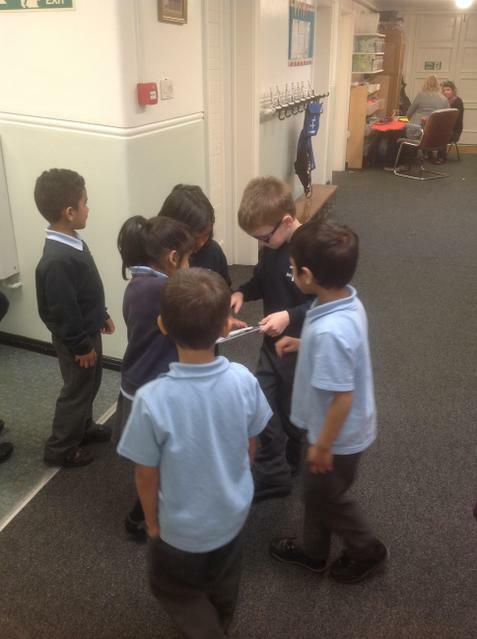 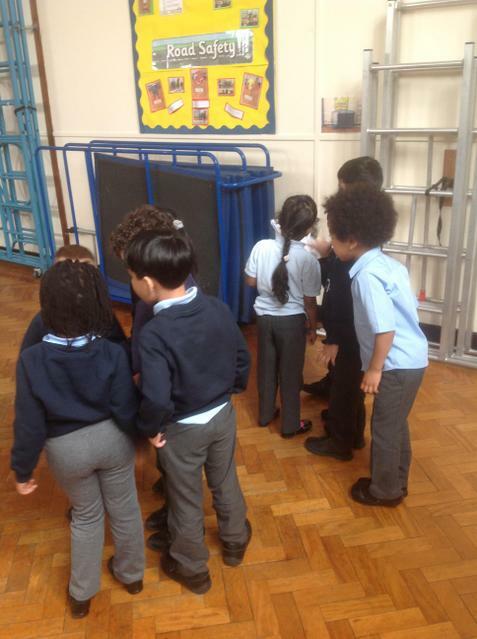 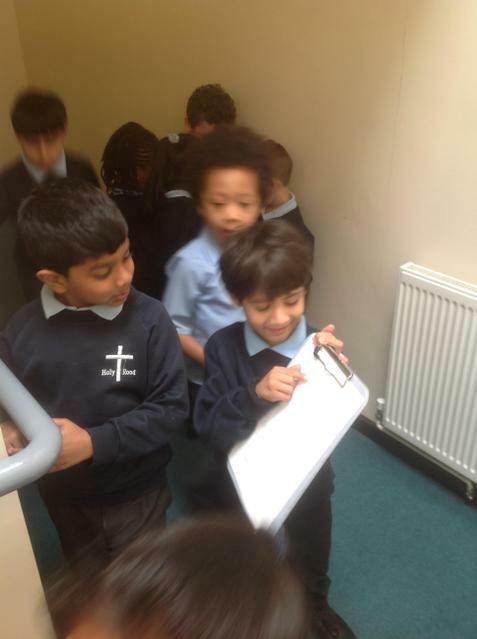 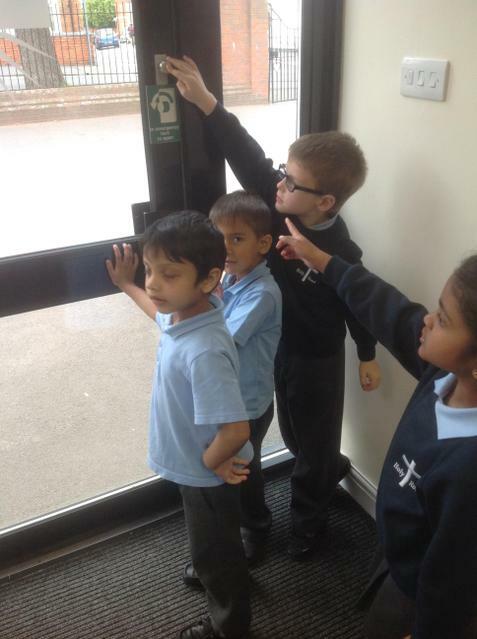 We are using our Geography skills to find our way around school.